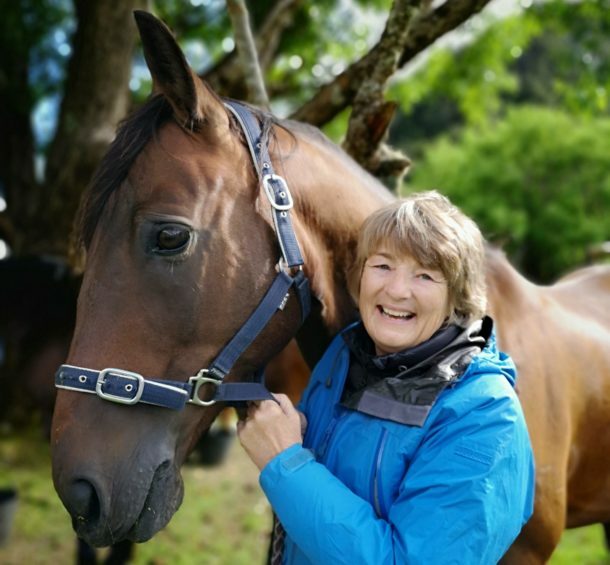 ‘Your website is easy to use, you are available to speak to whenever we feel the need, and you follow up, which is fantastic. 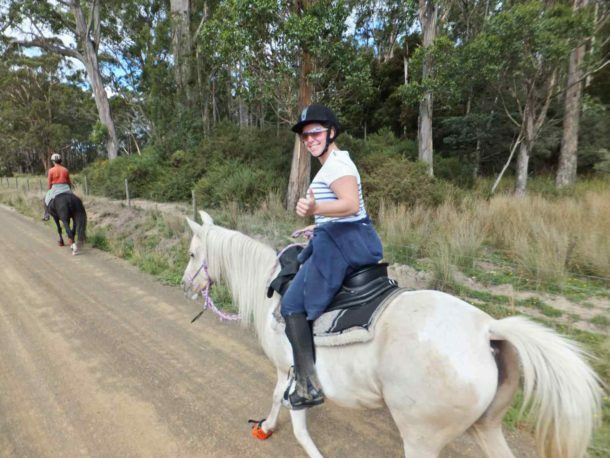 OMG this ride was so good! 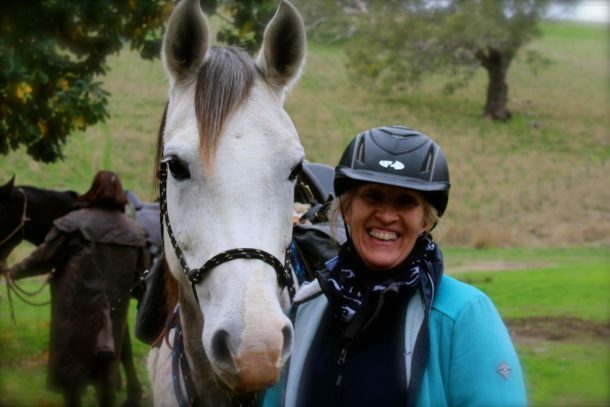 I had a brilliant time and met so many new faces, all with a common passion for riding. 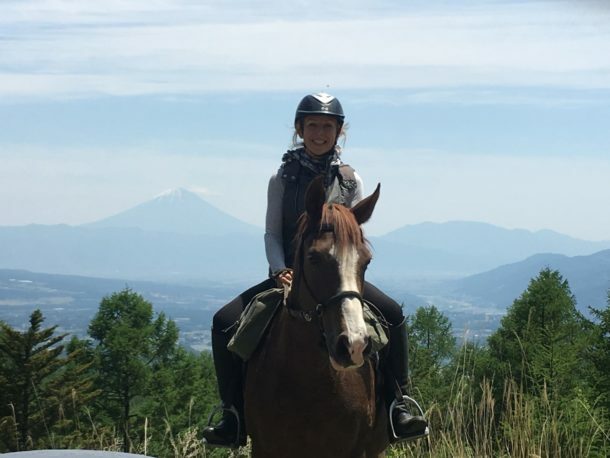 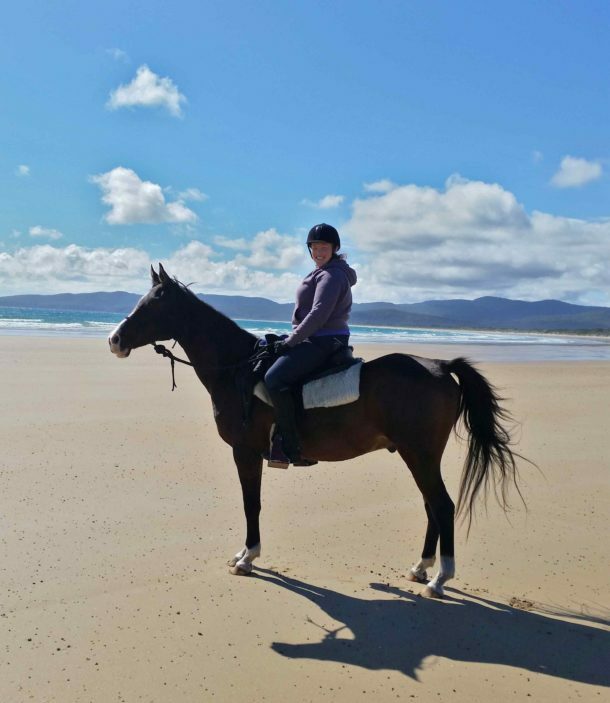 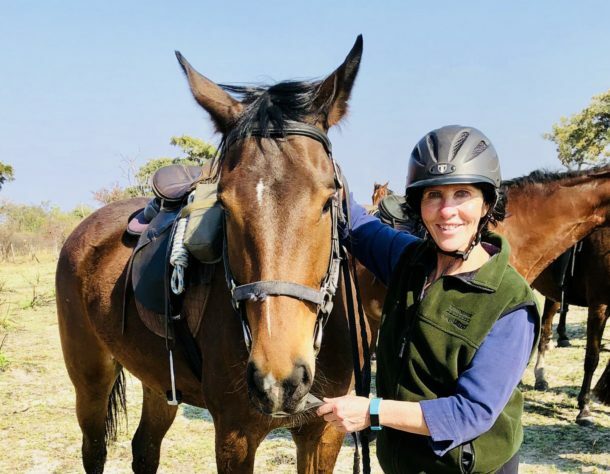 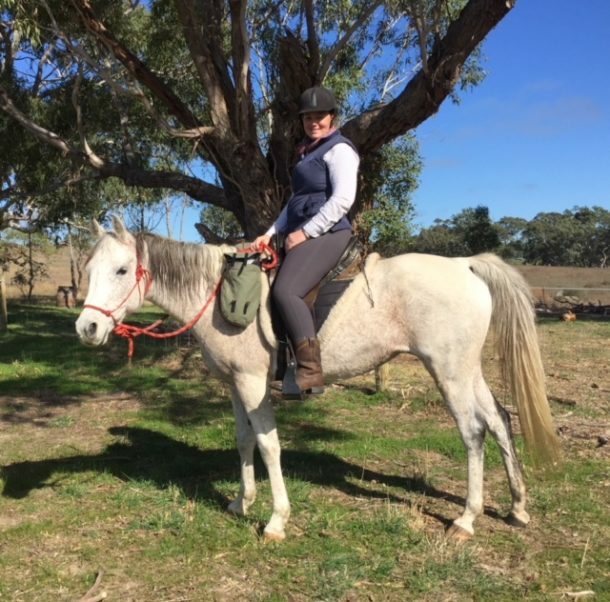 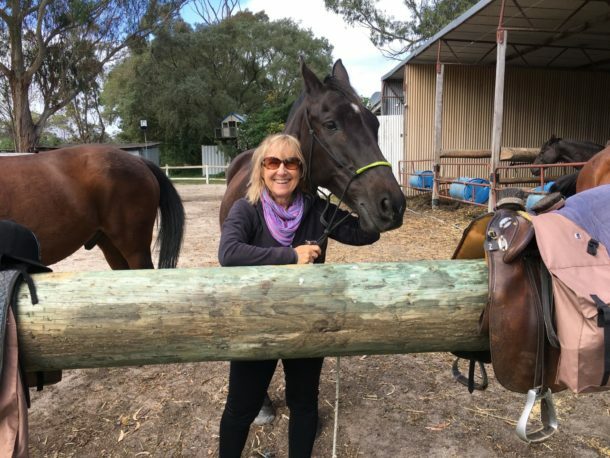 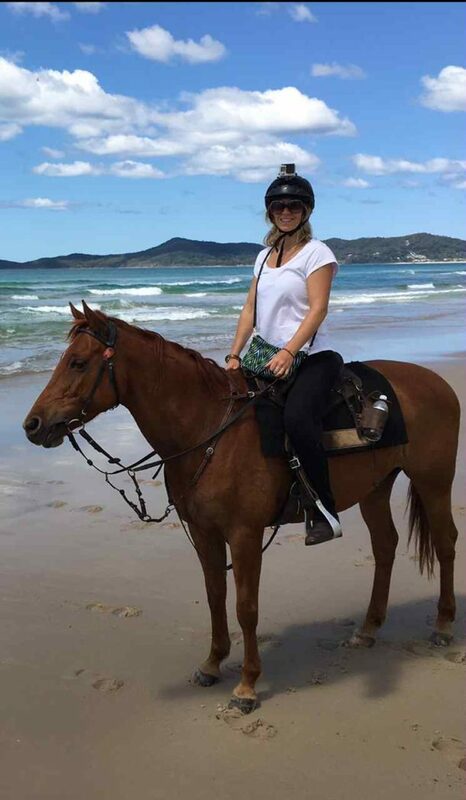 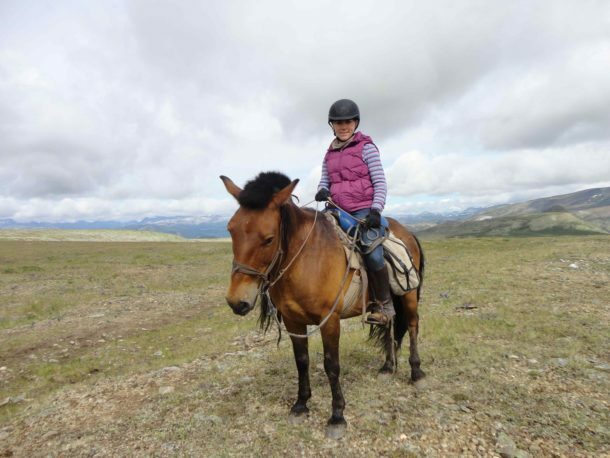 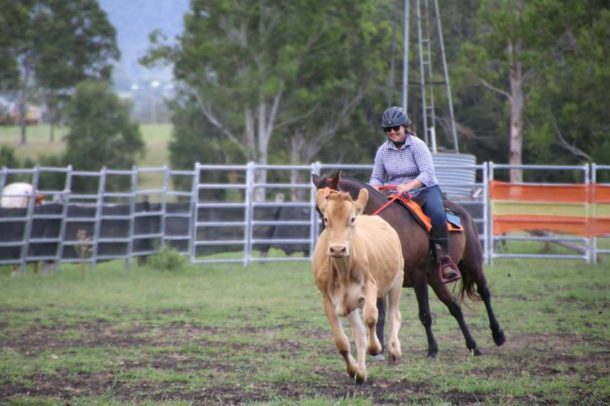 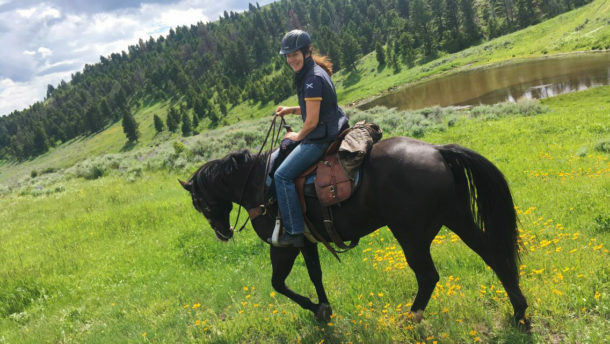 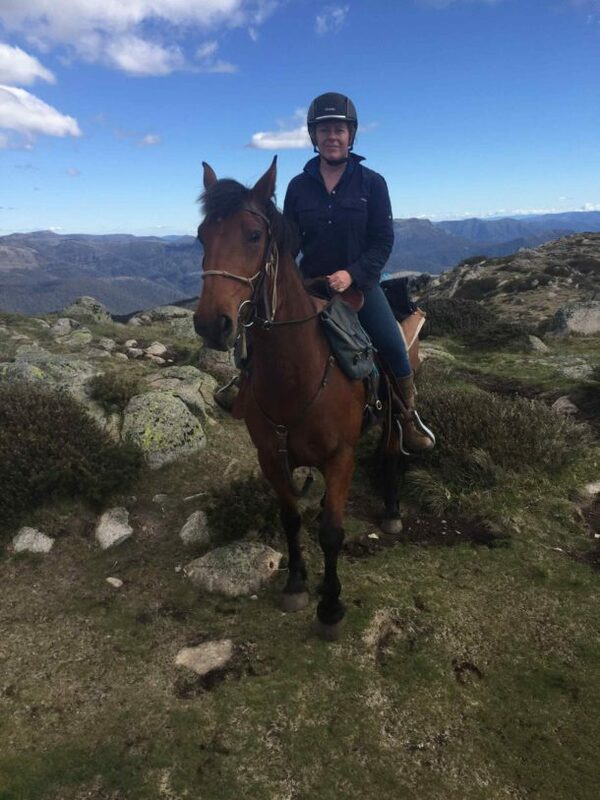 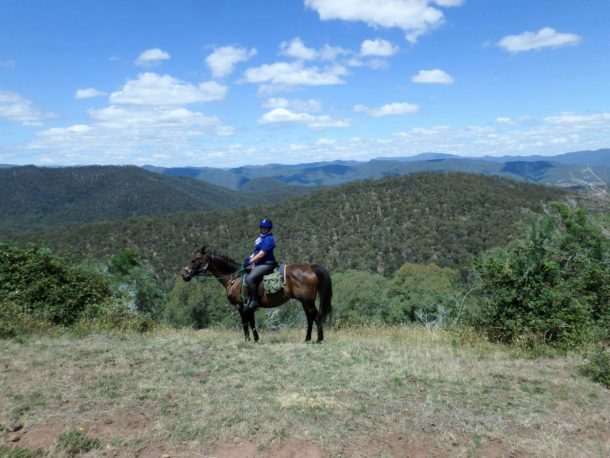 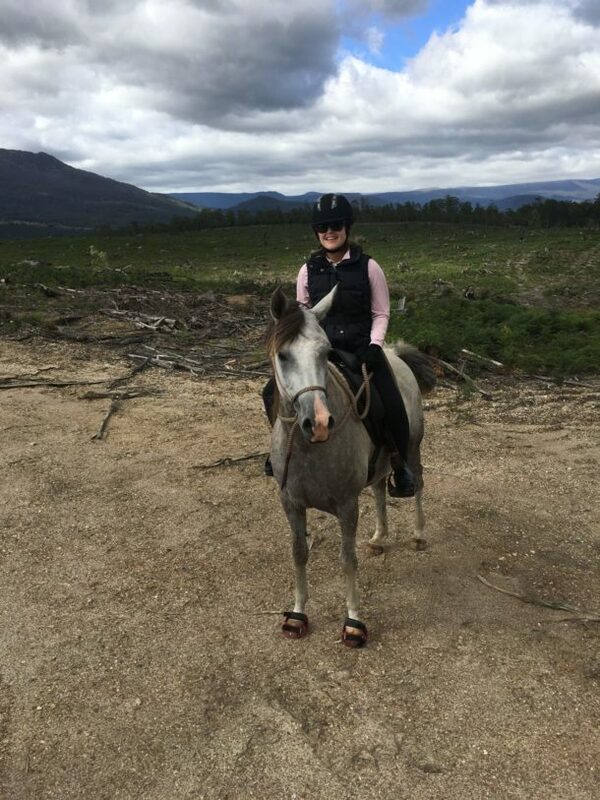 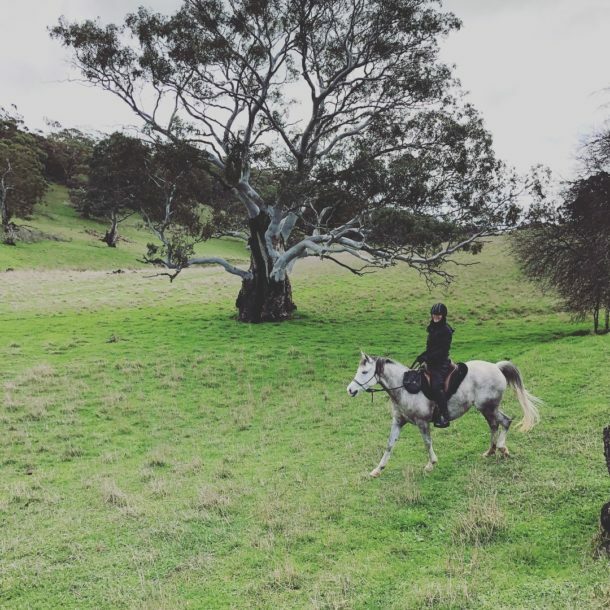 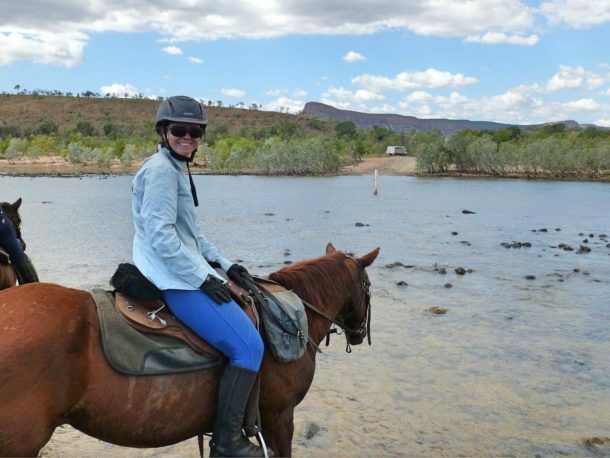 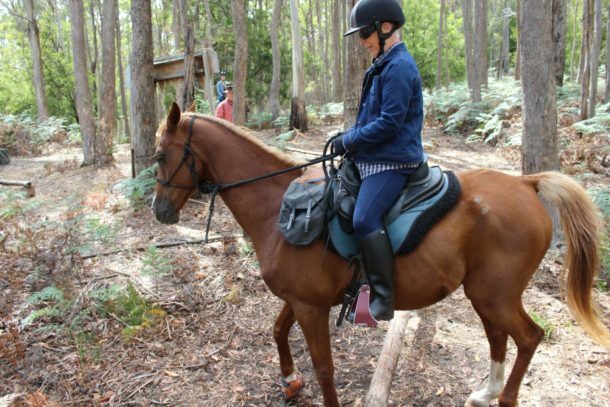 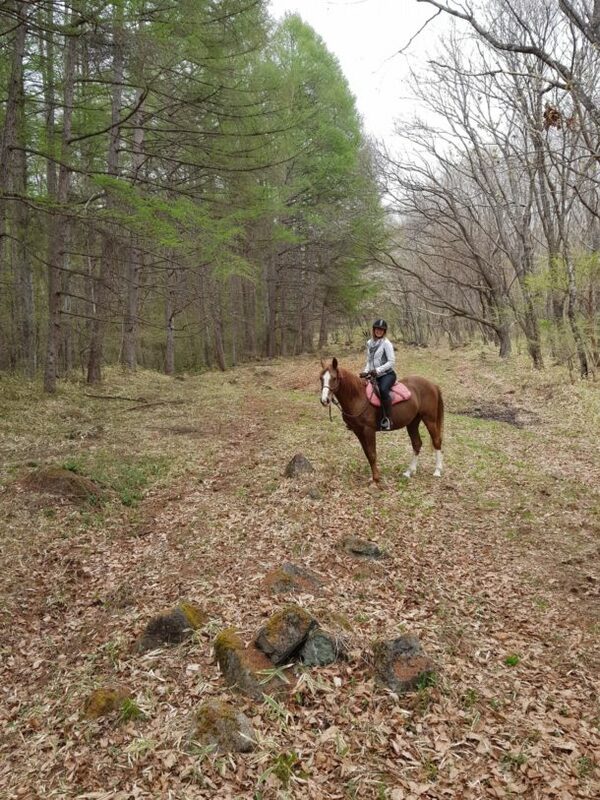 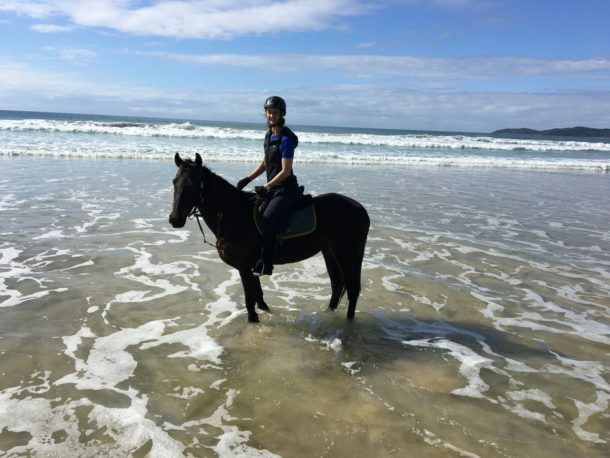 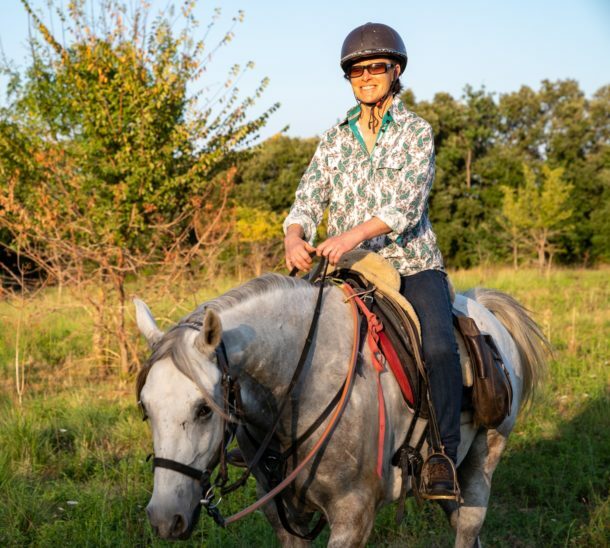 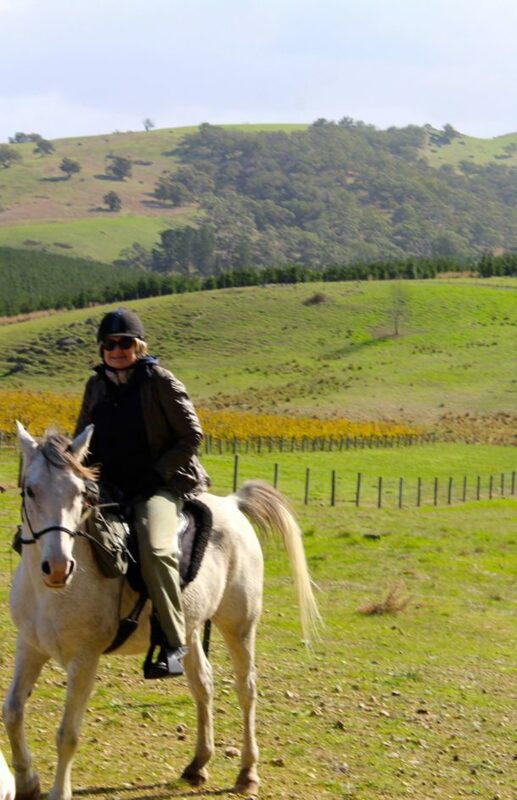 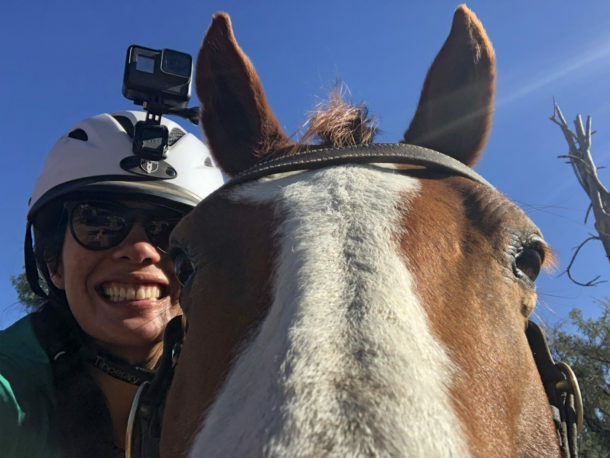 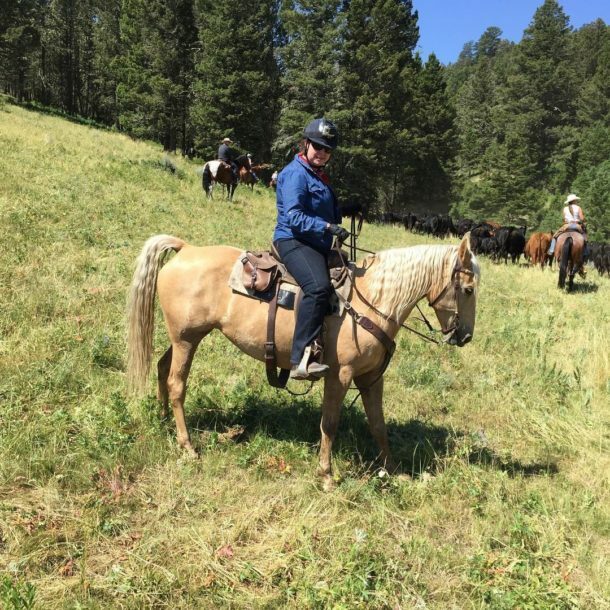 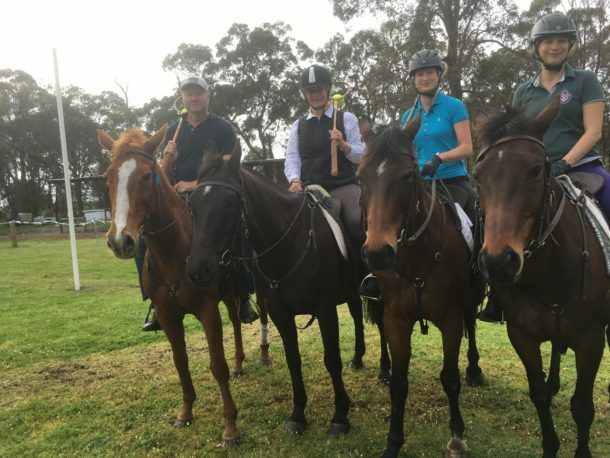 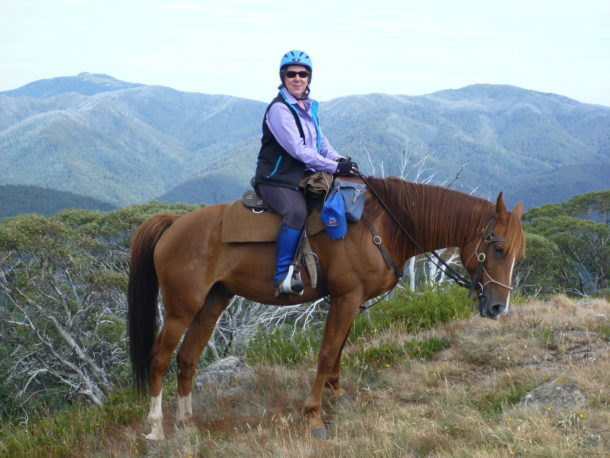 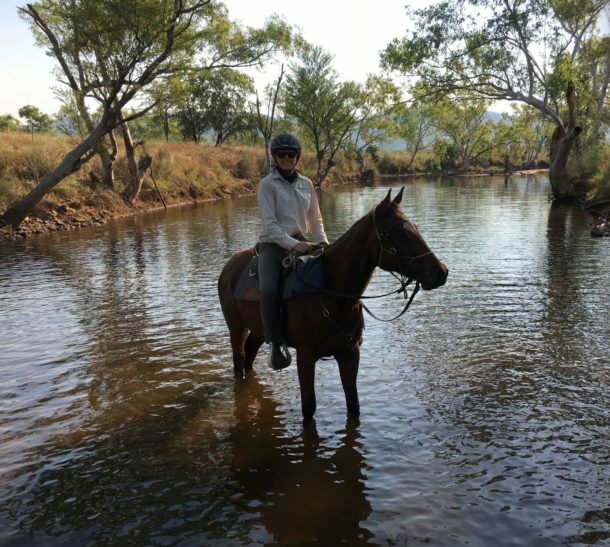 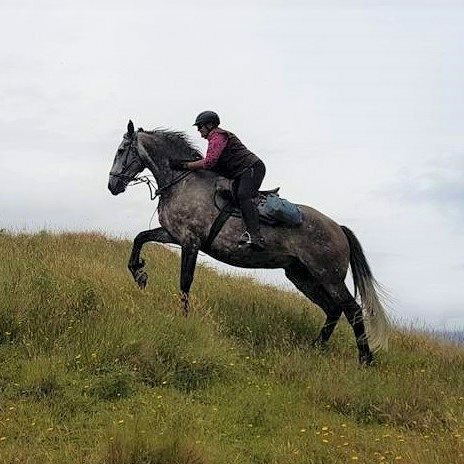 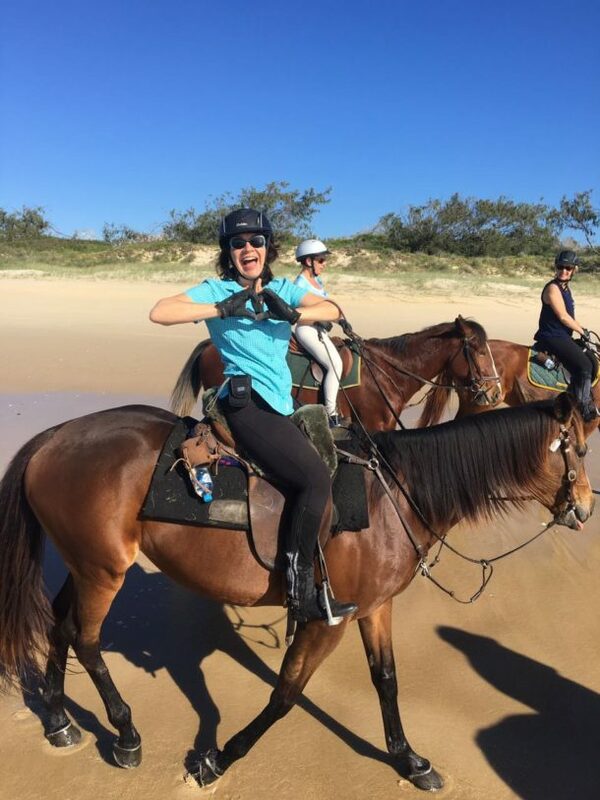 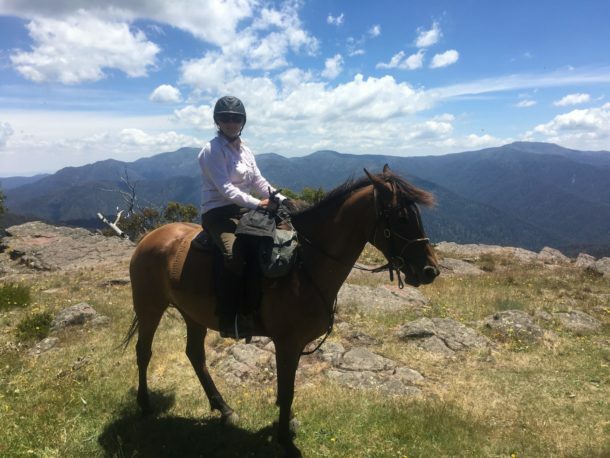 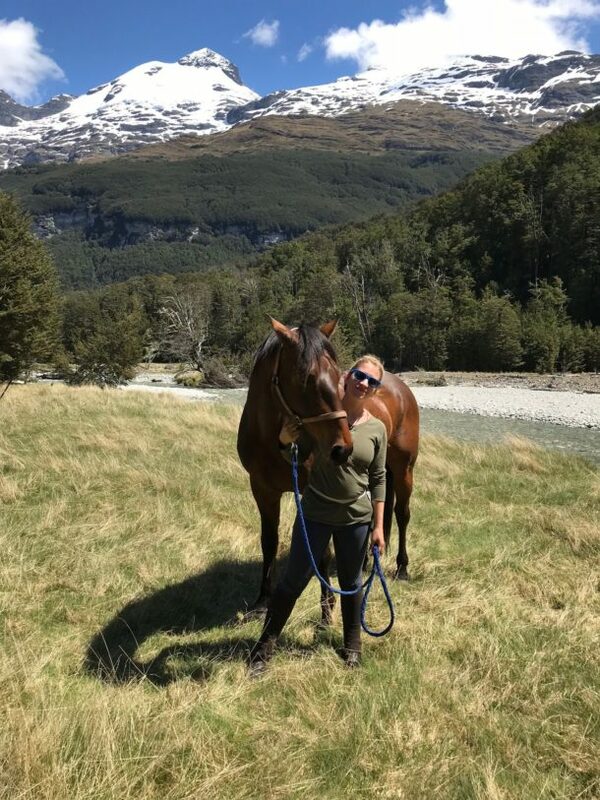 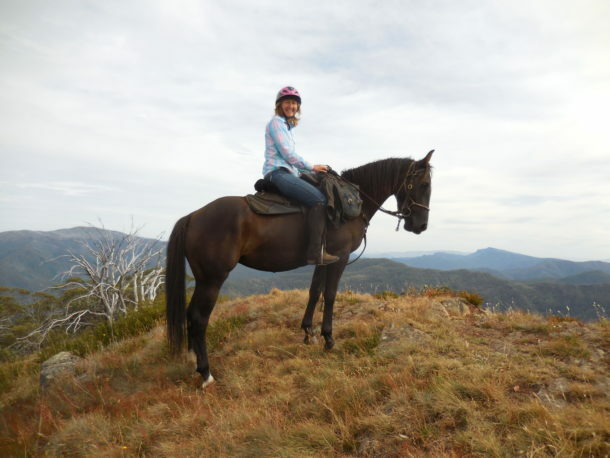 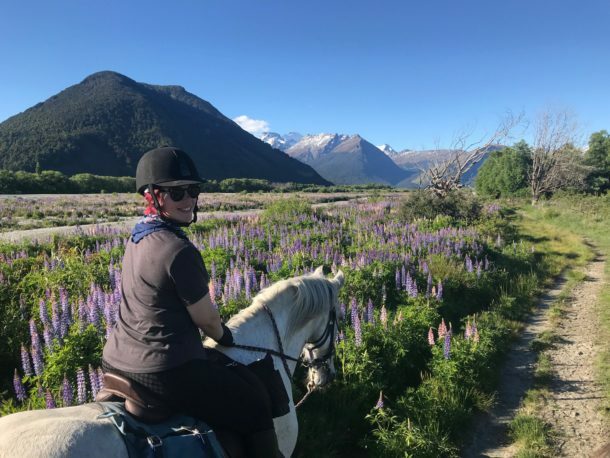 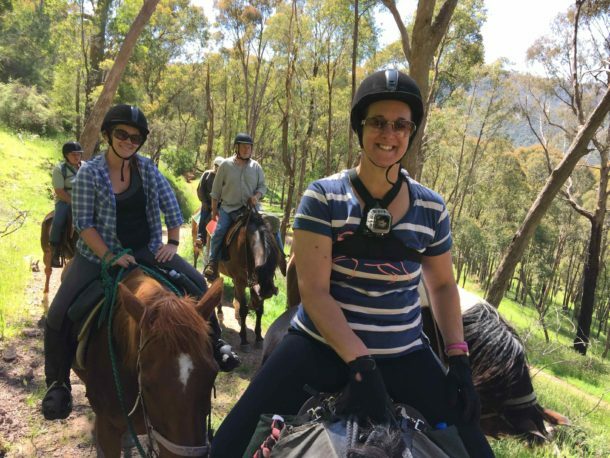 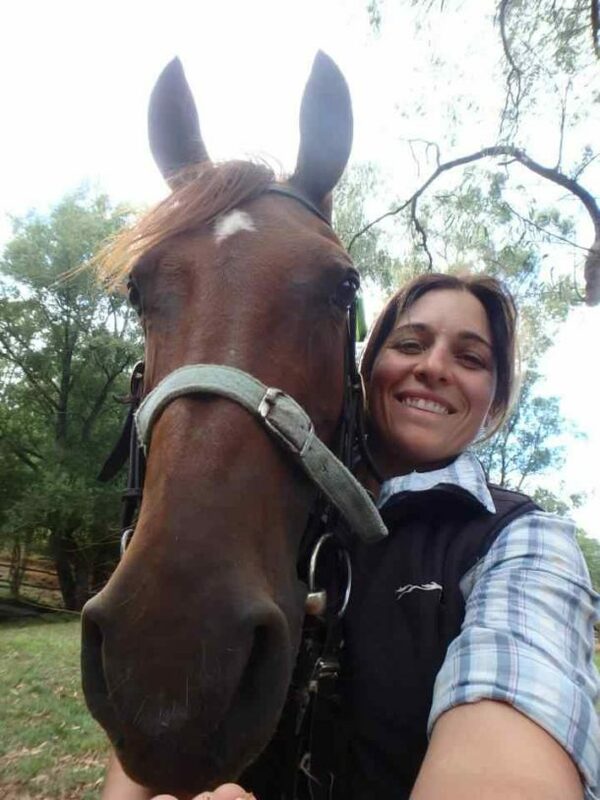 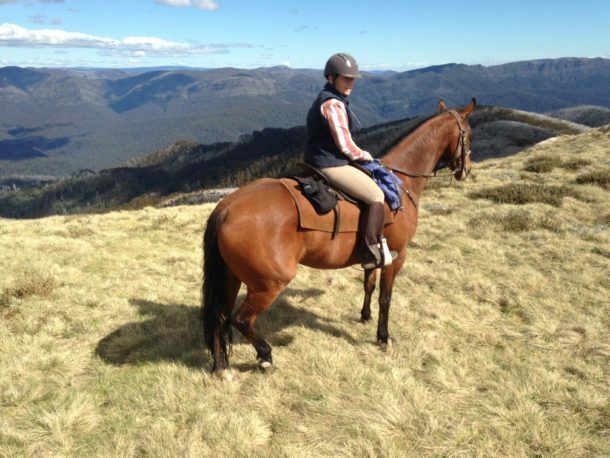 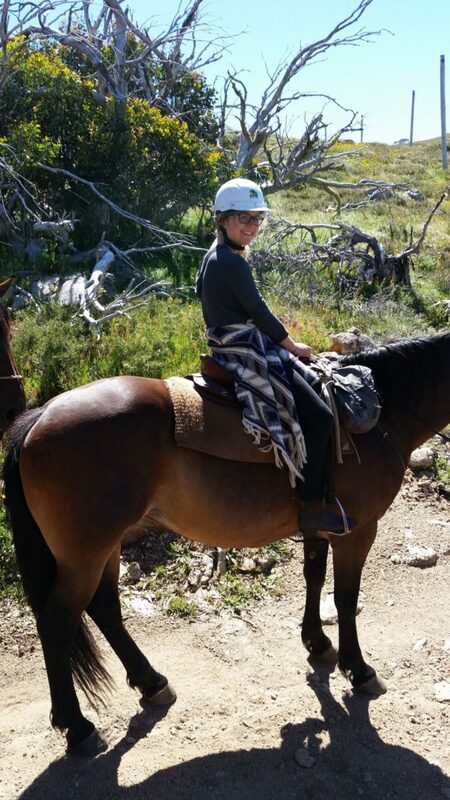 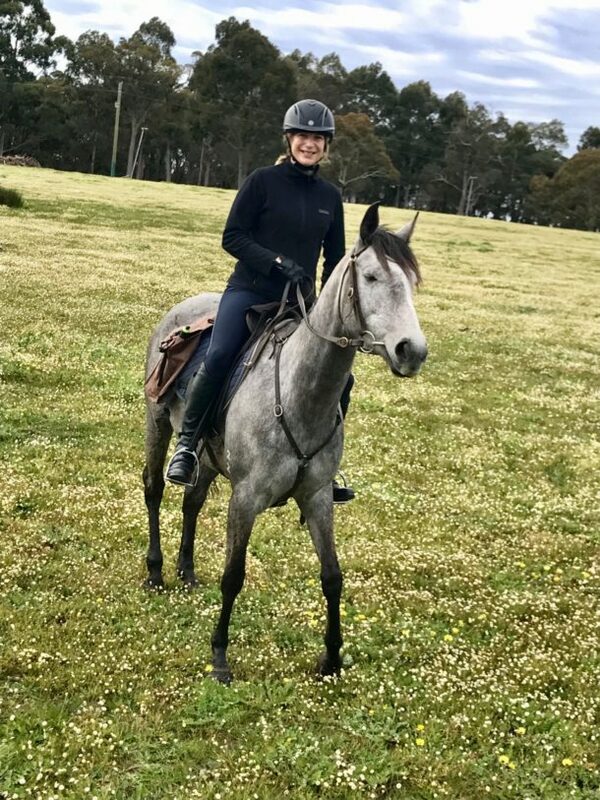 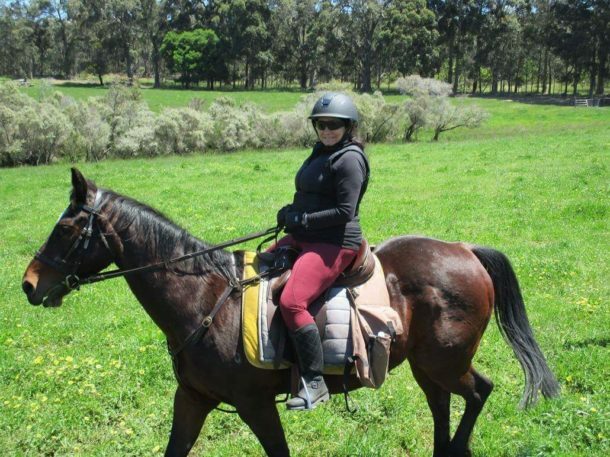 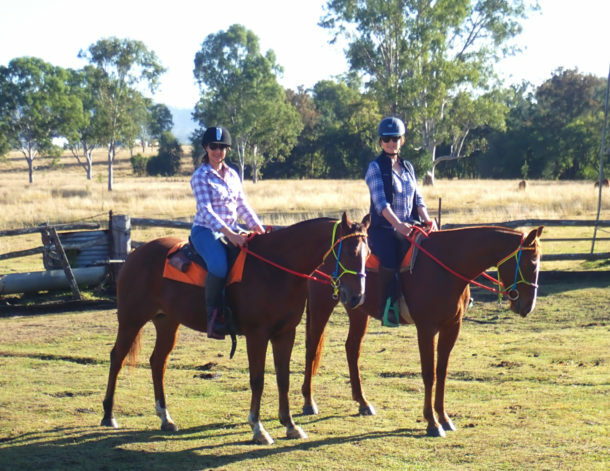 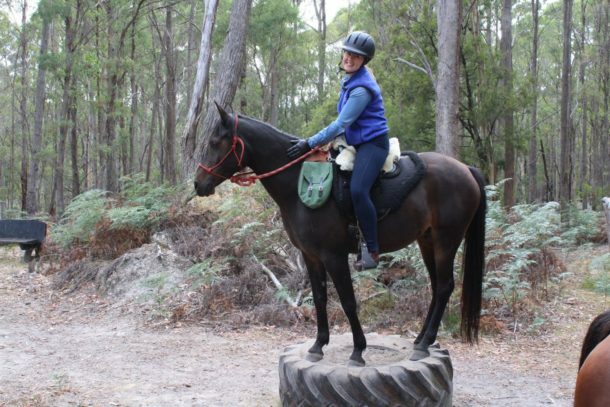 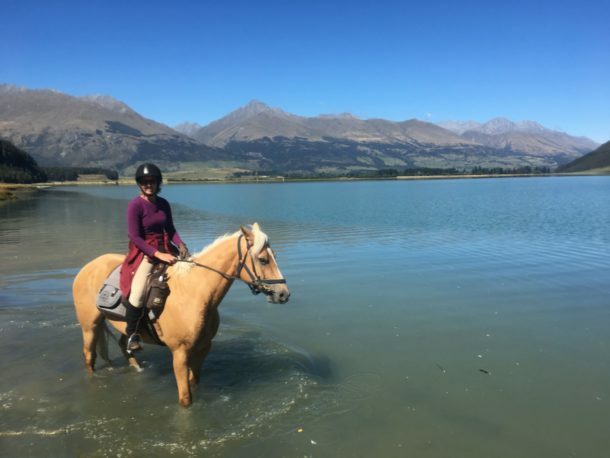 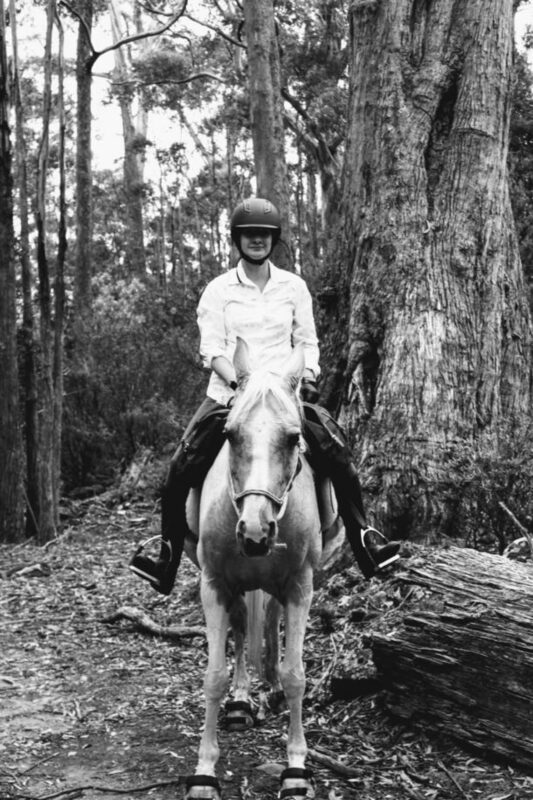 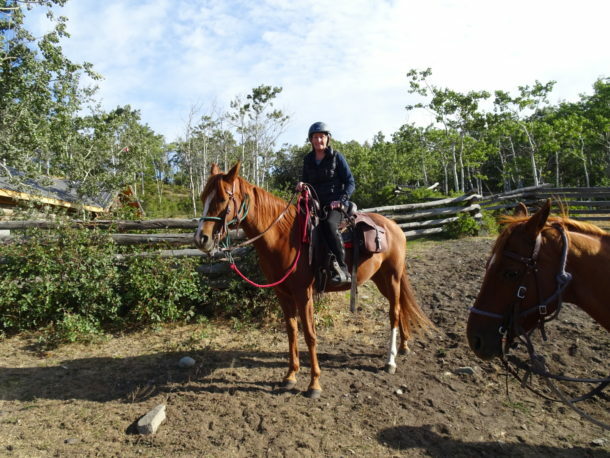 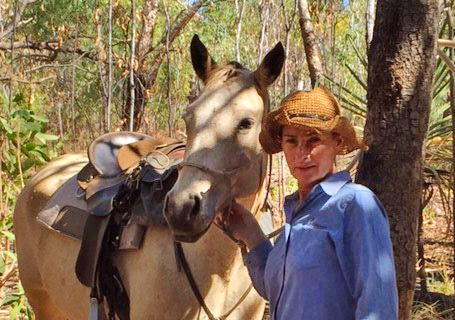 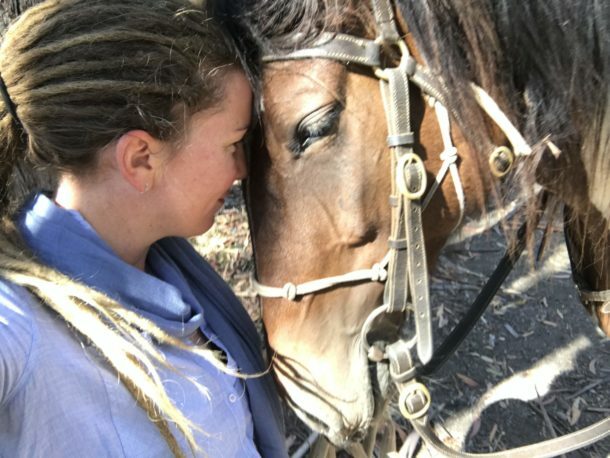 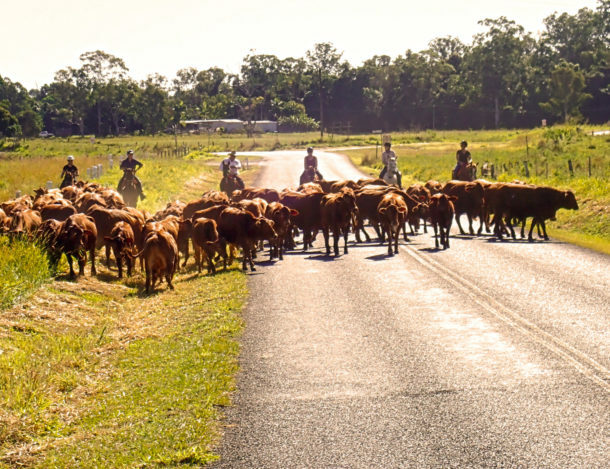 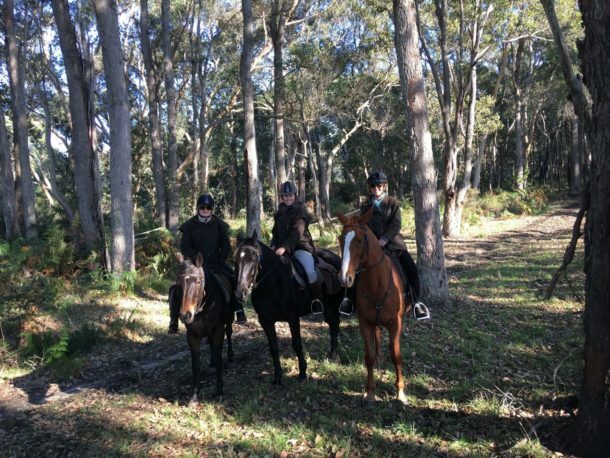 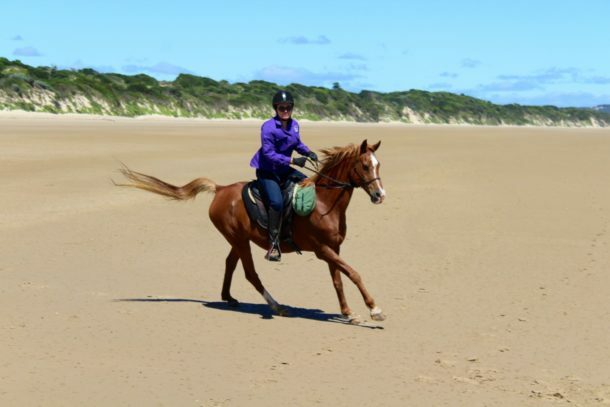 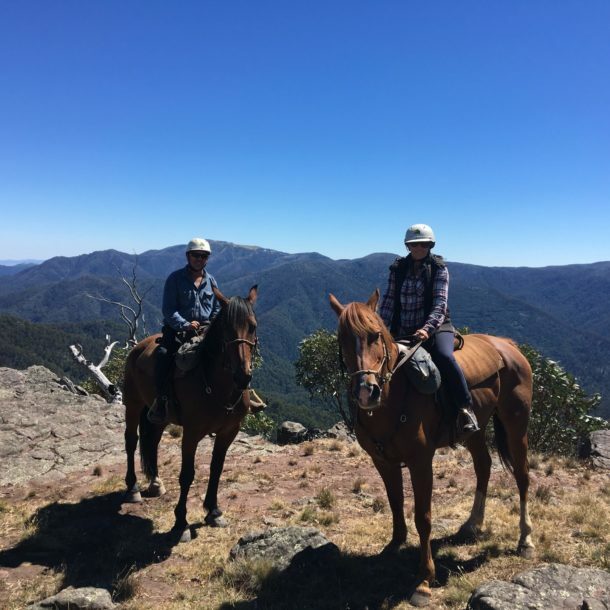 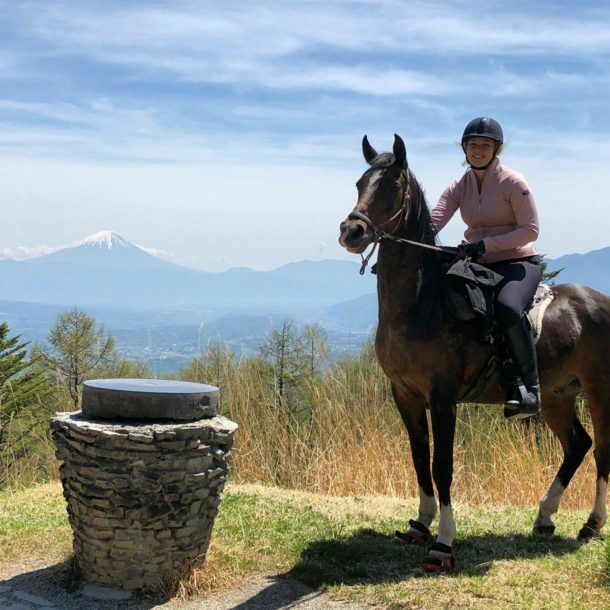 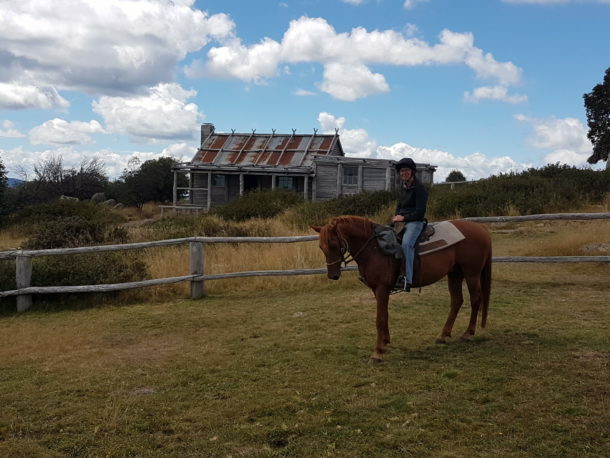 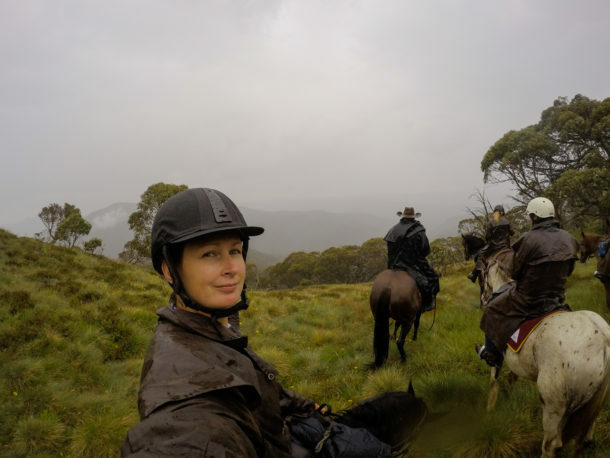 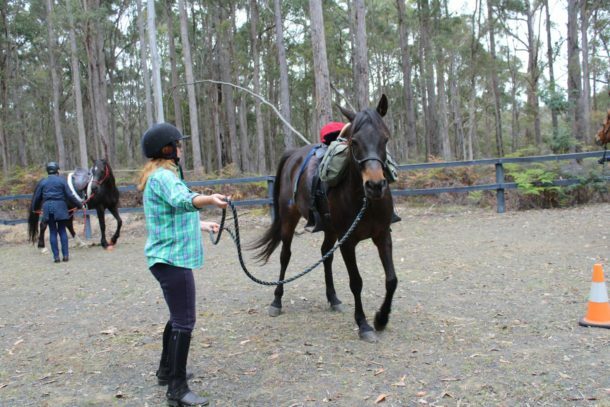 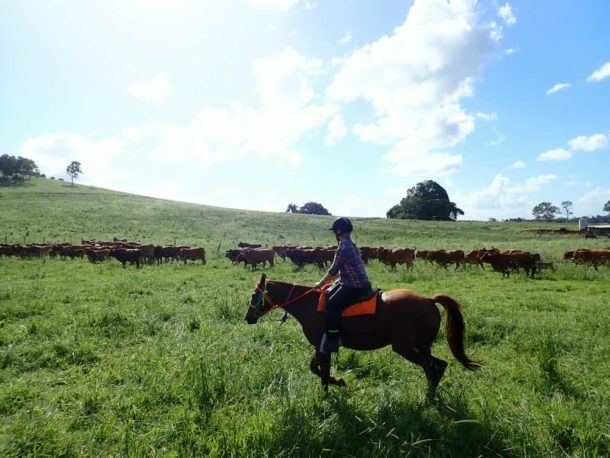 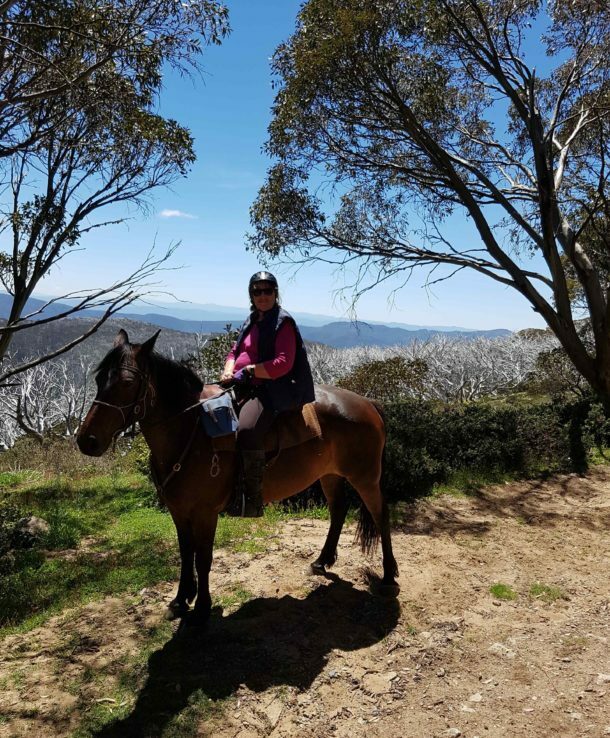 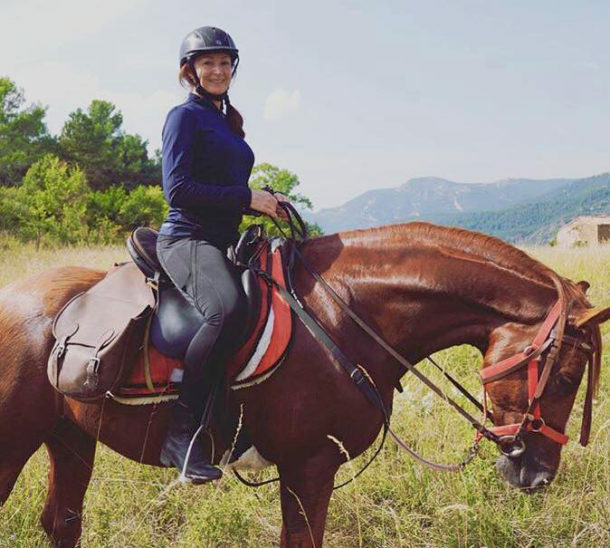 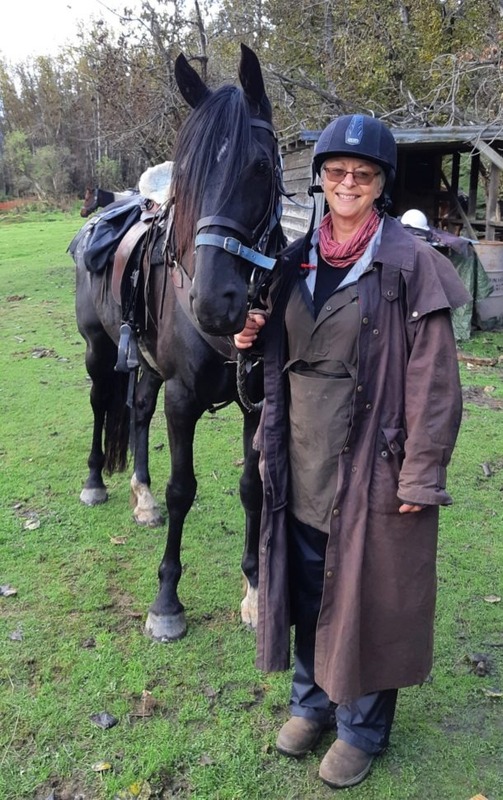 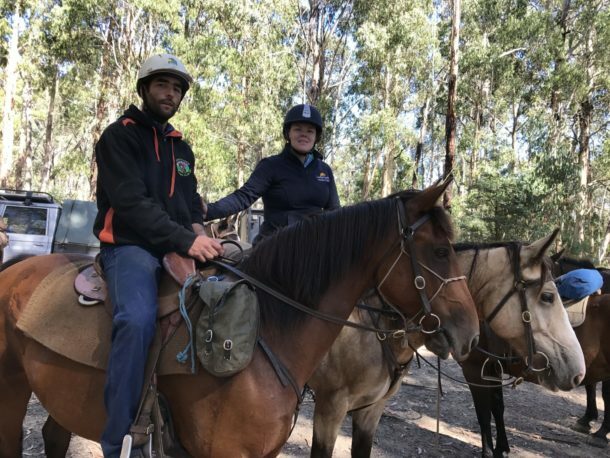 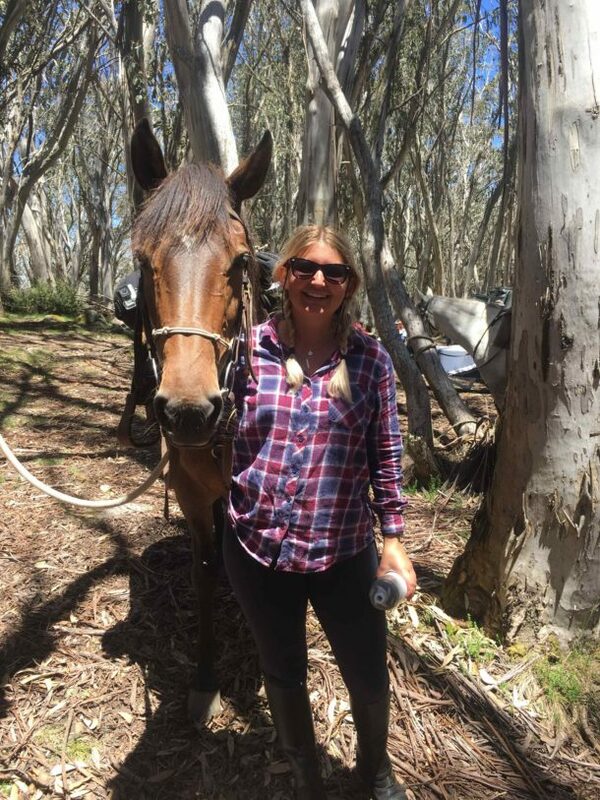 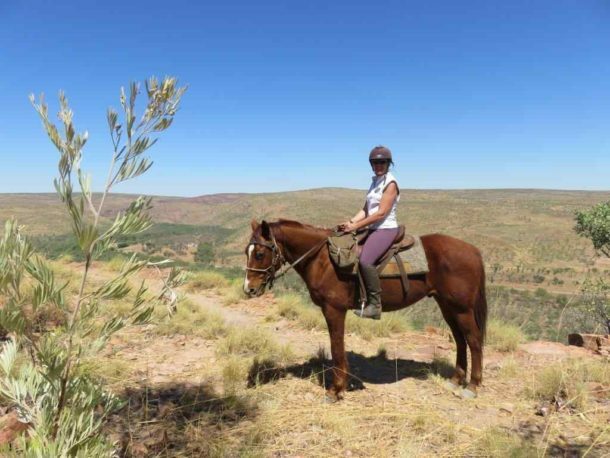 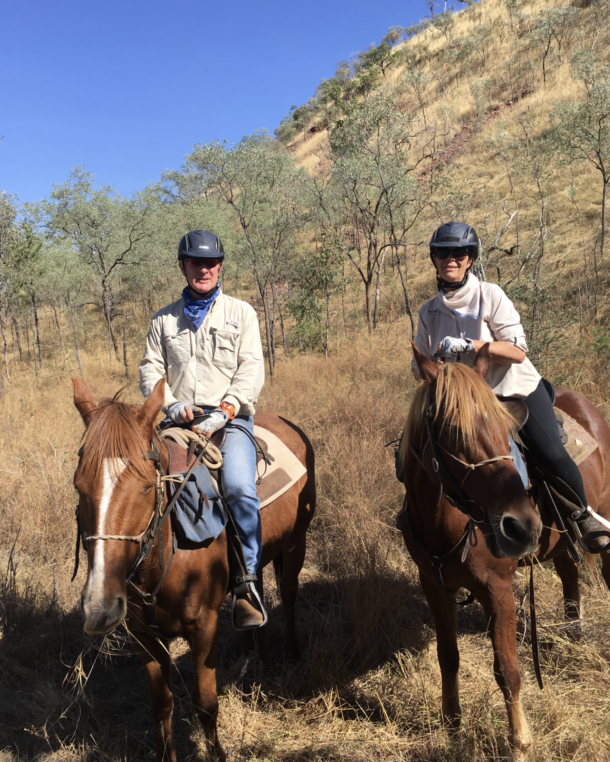 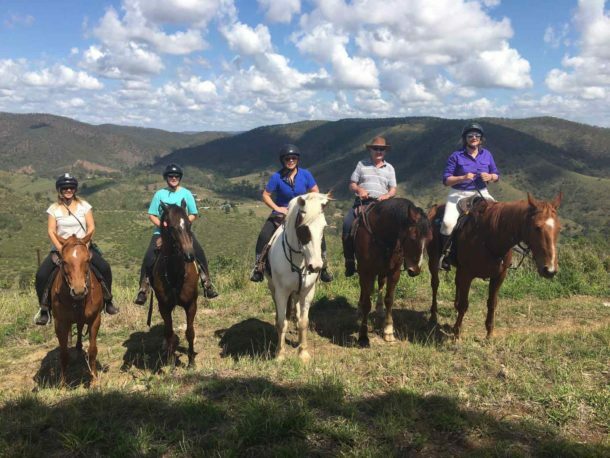 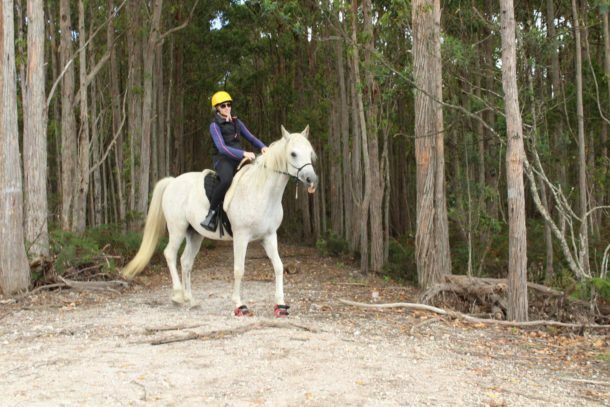 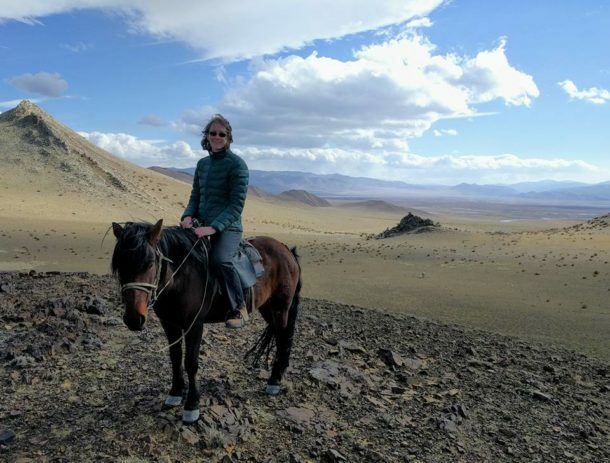 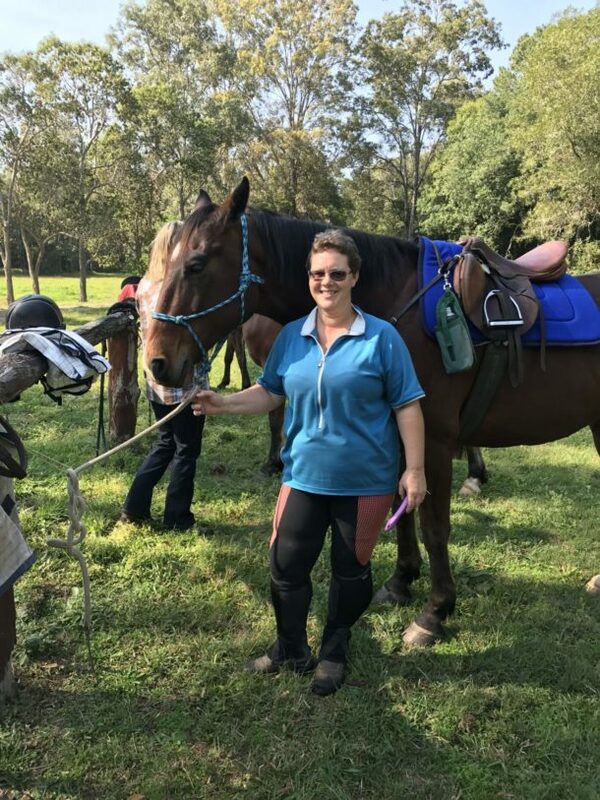 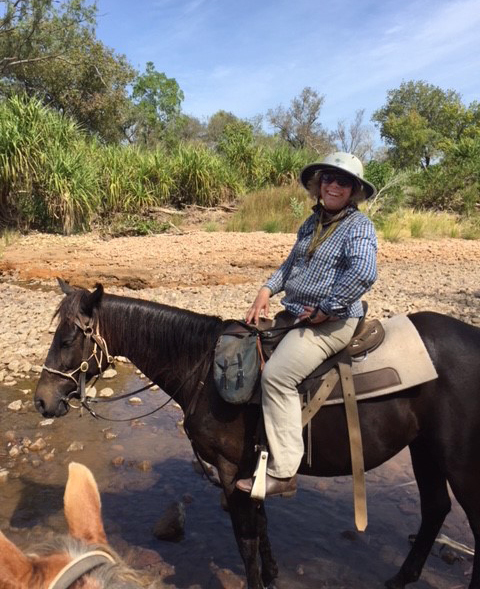 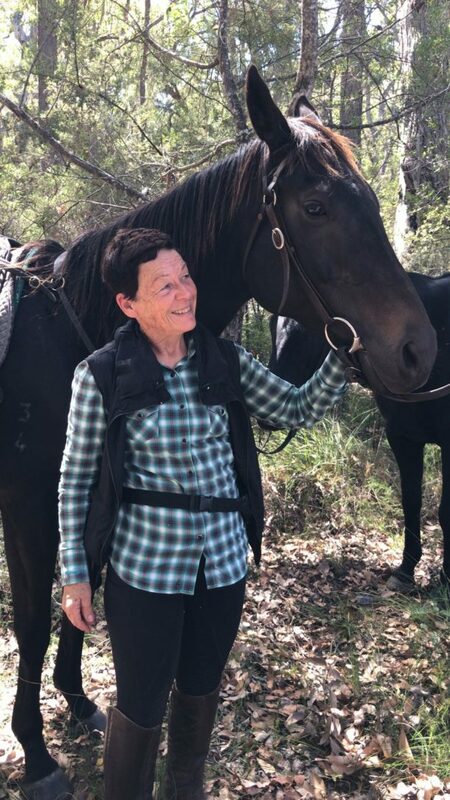 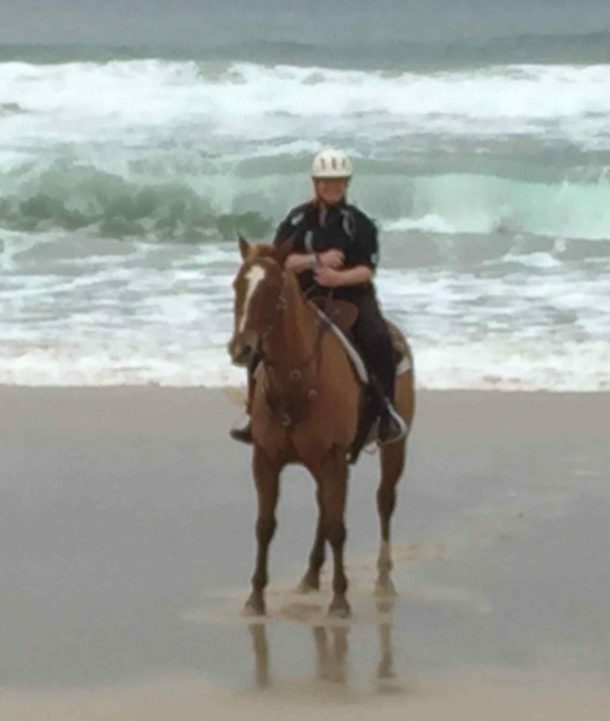 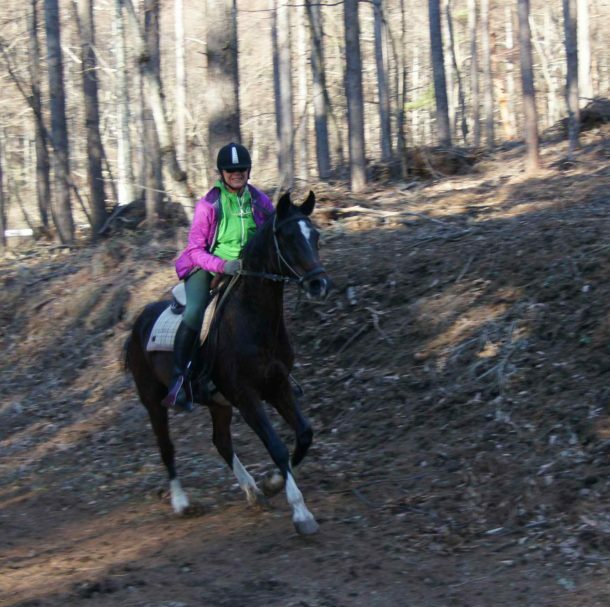 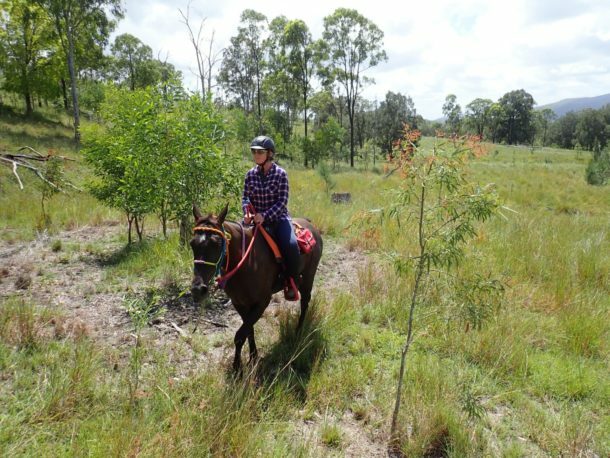 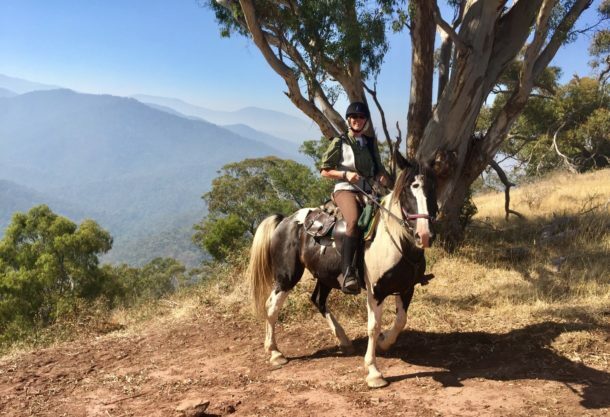 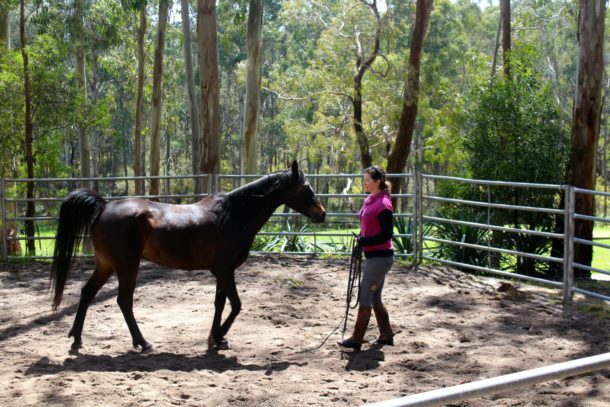 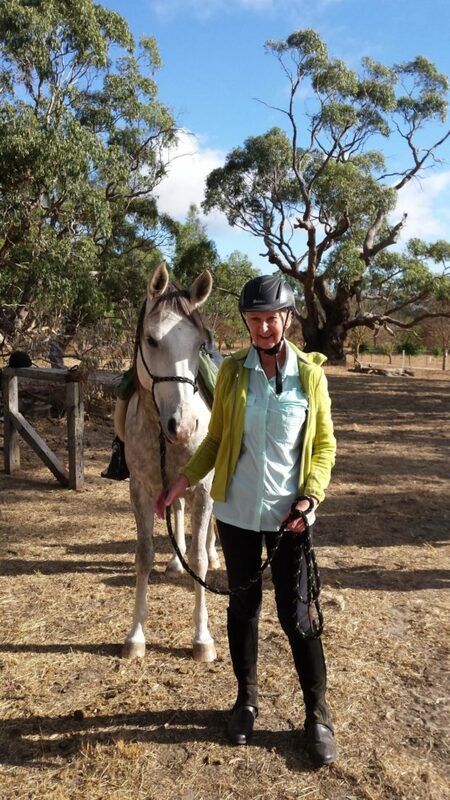 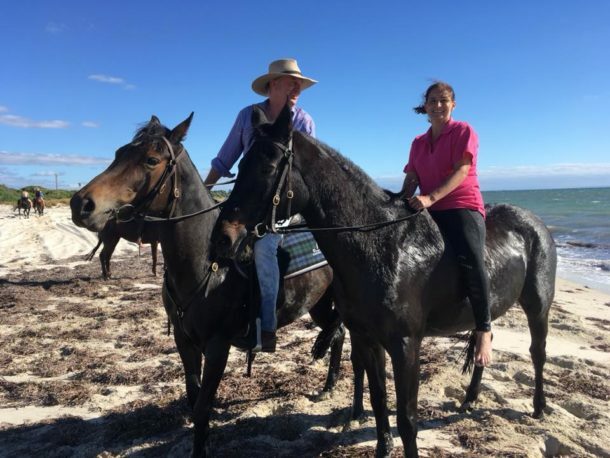 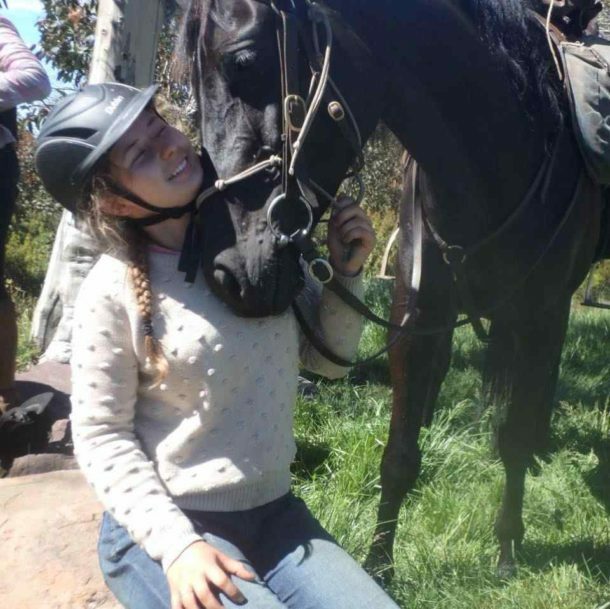 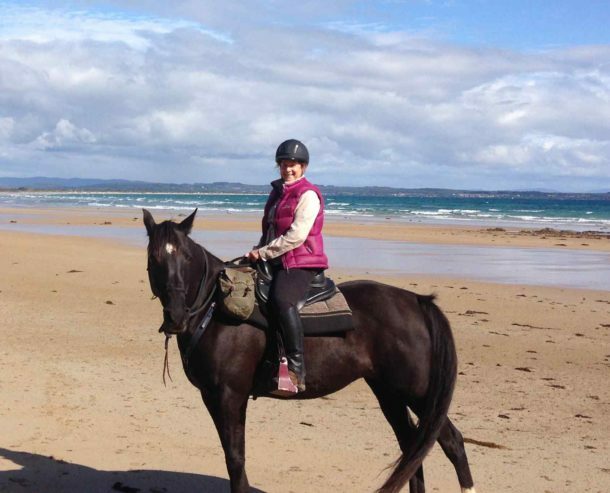 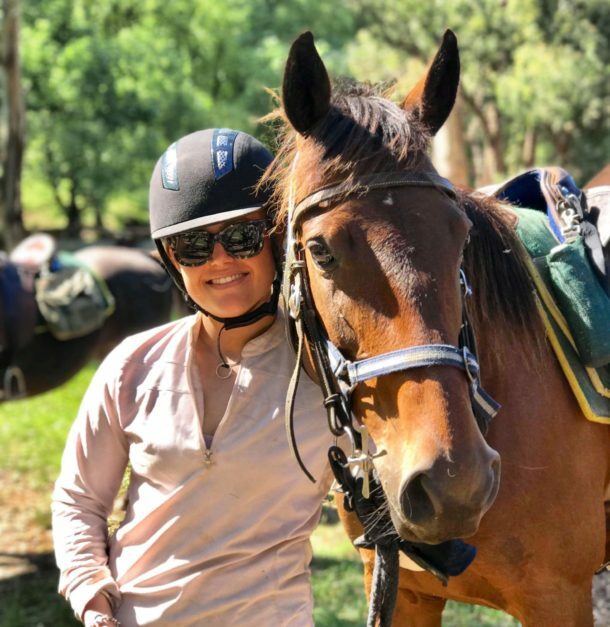 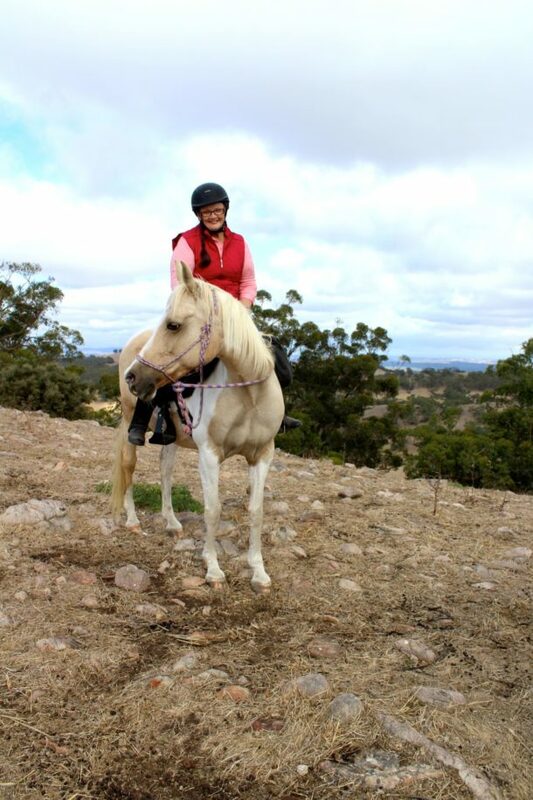 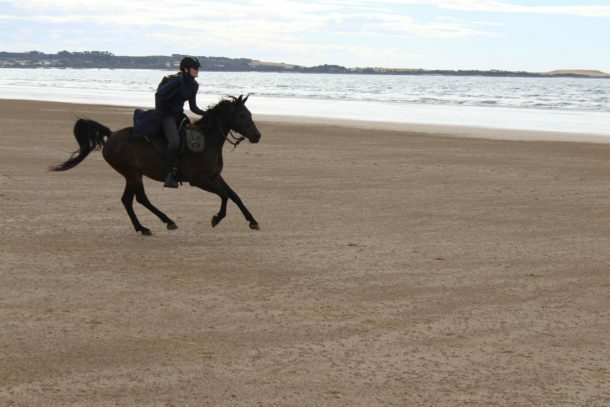 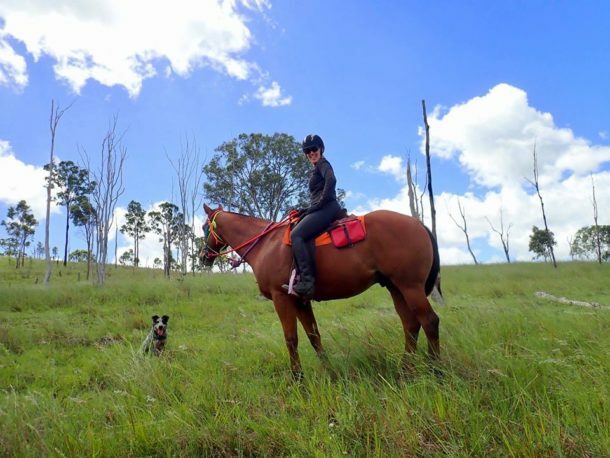 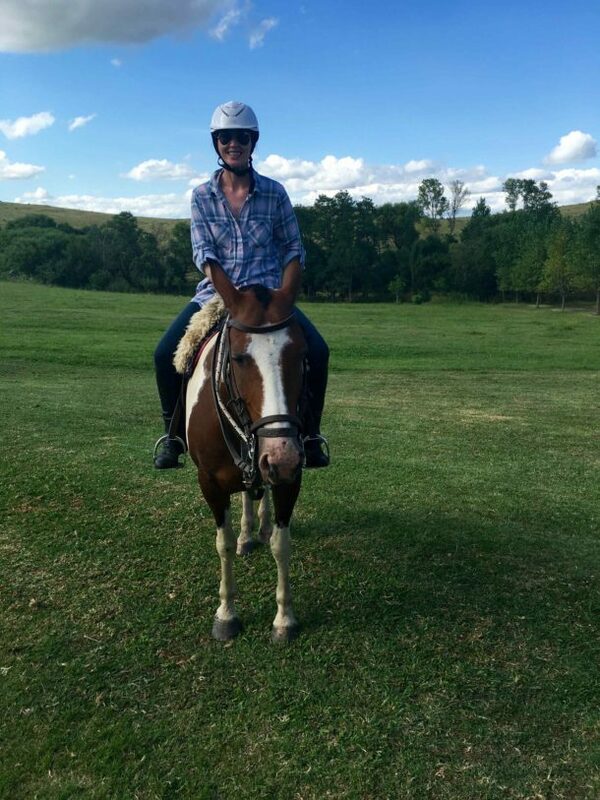 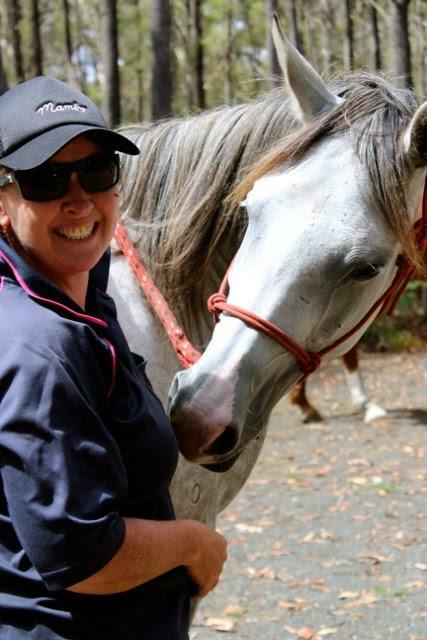 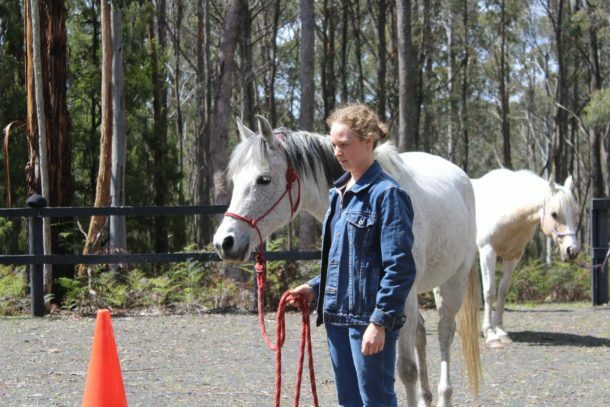 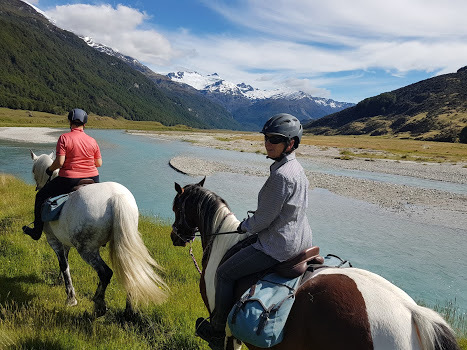 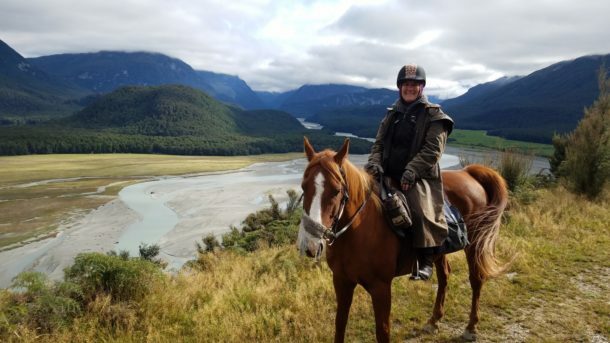 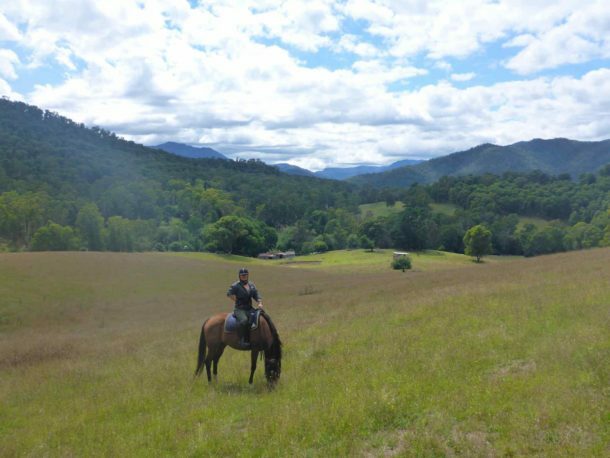 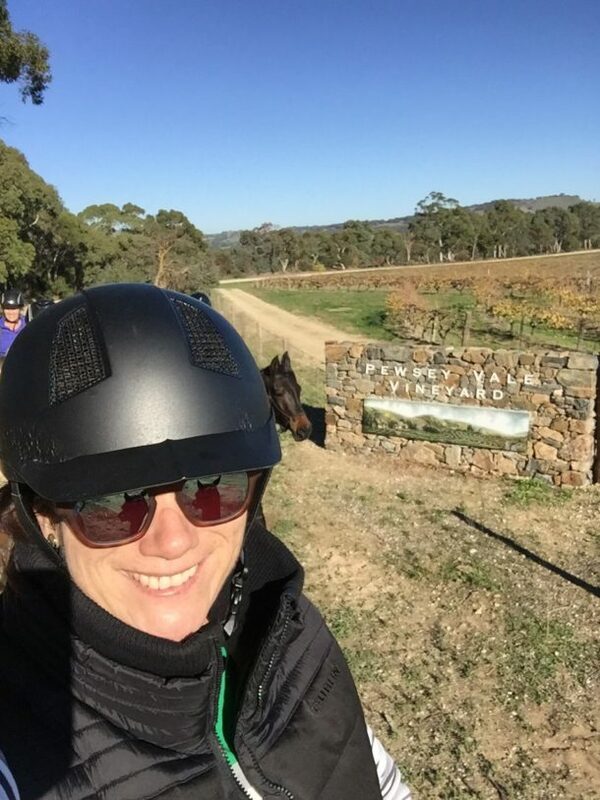 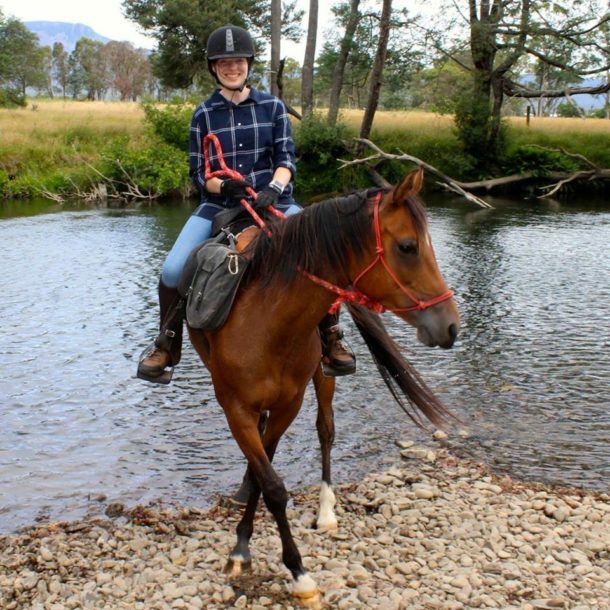 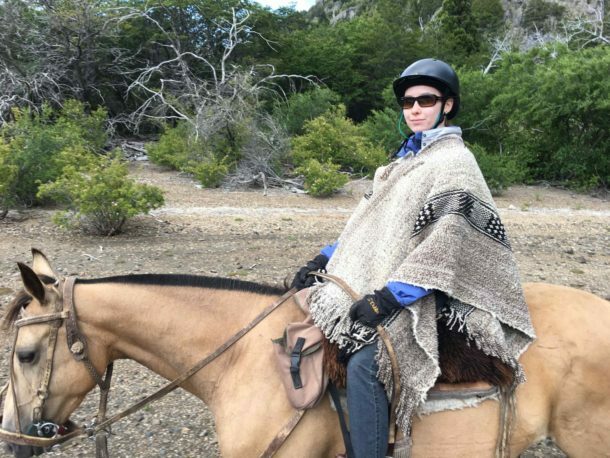 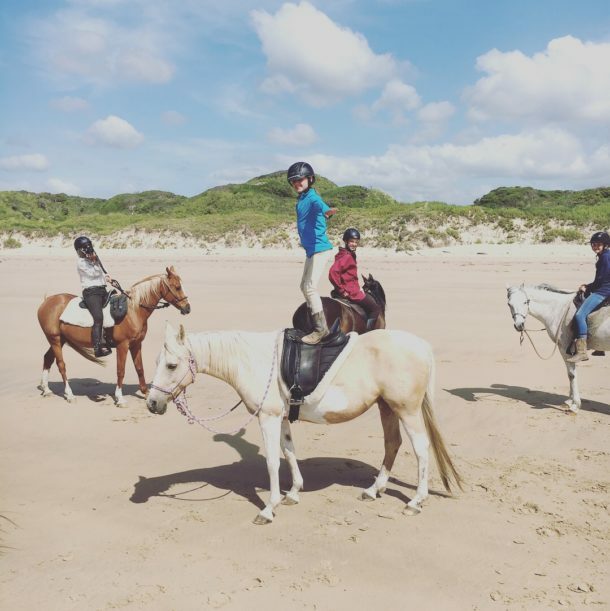 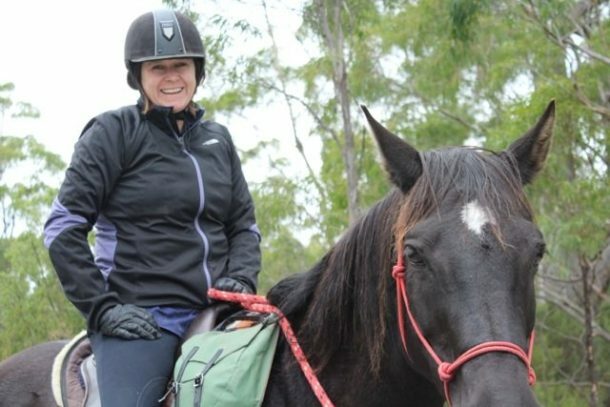 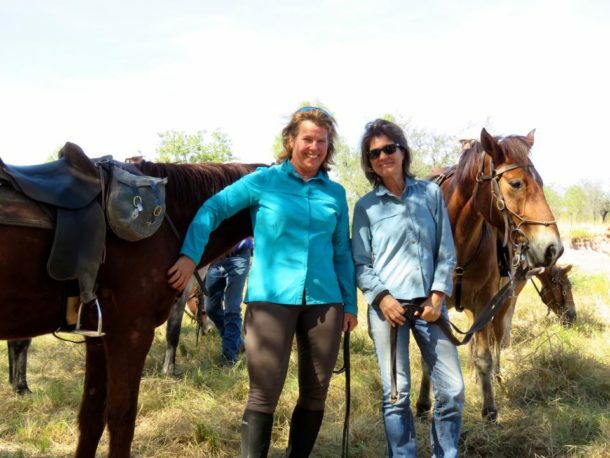 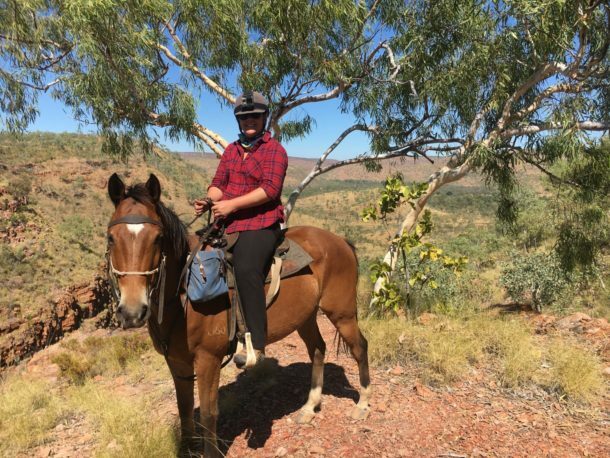 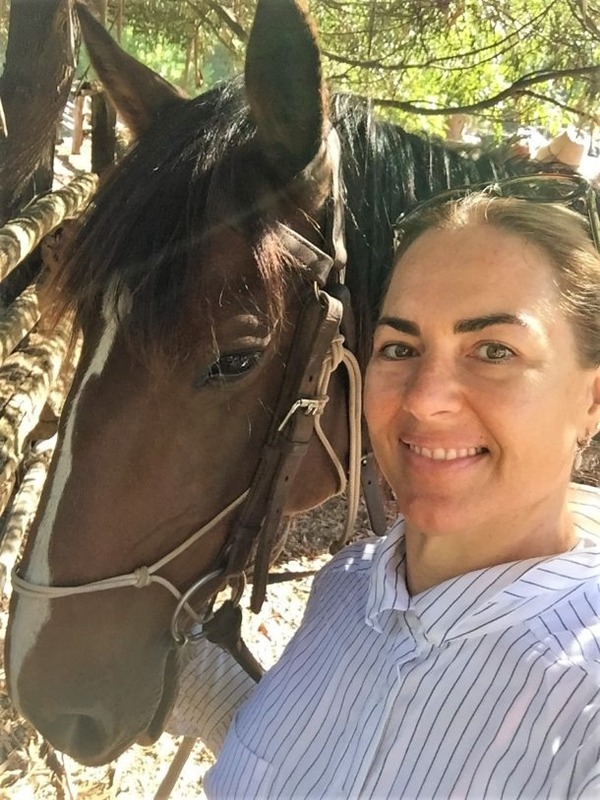 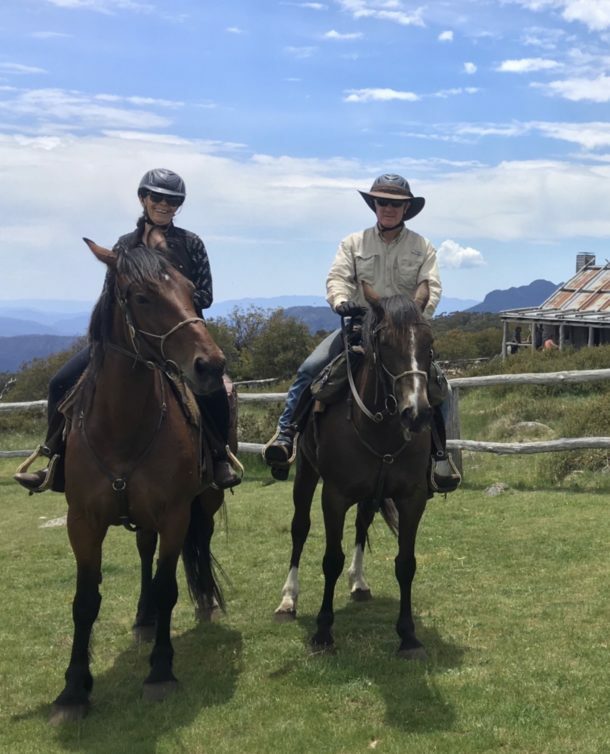 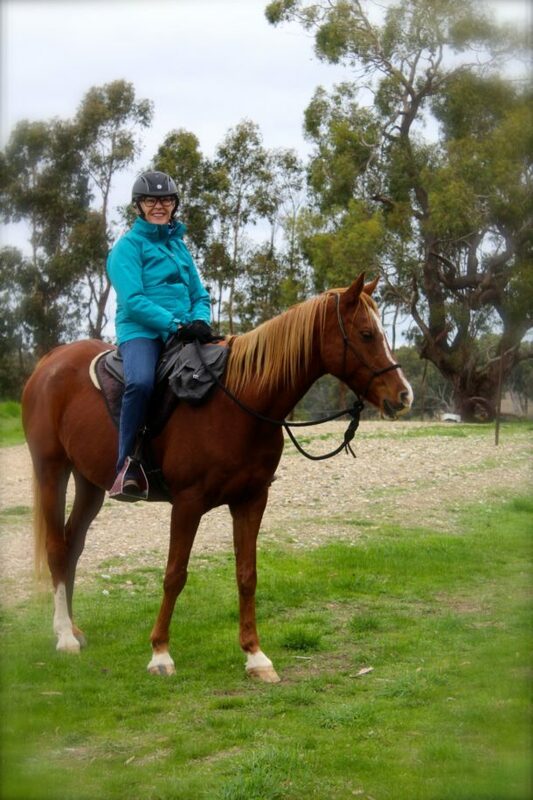 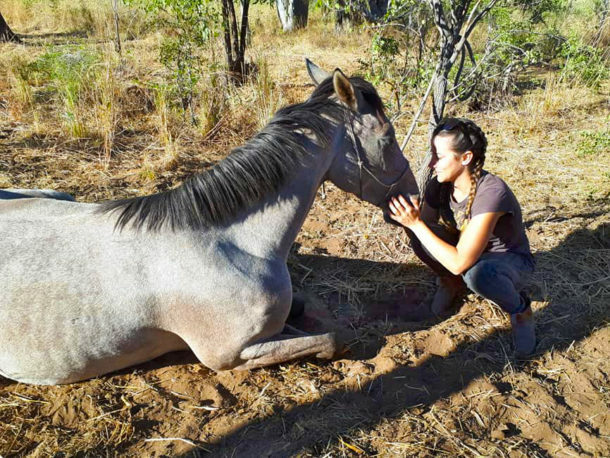 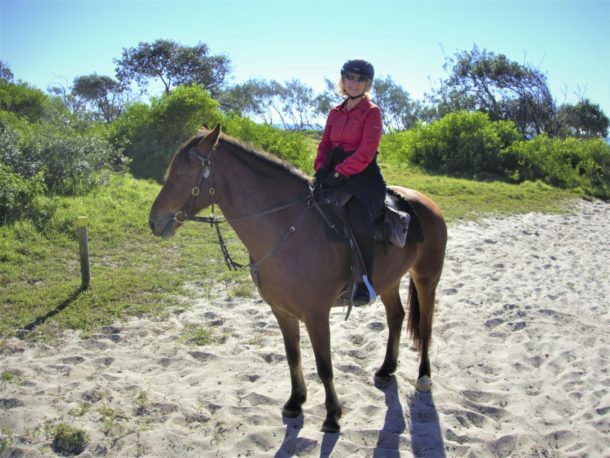 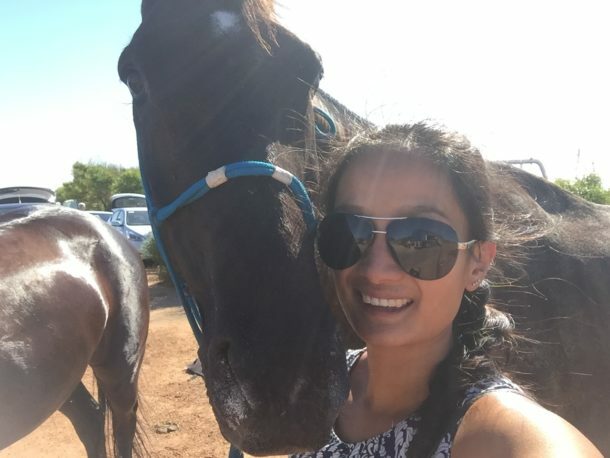 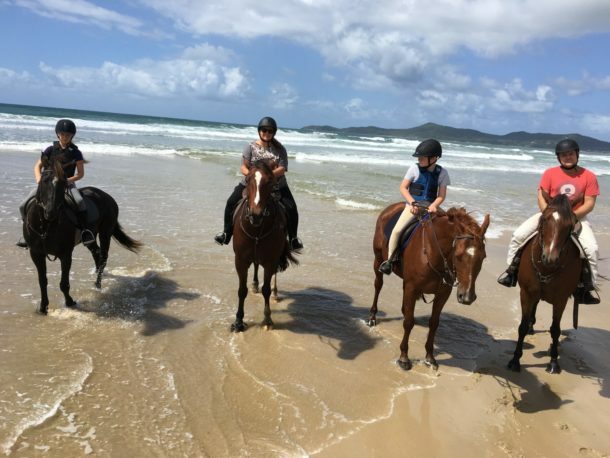 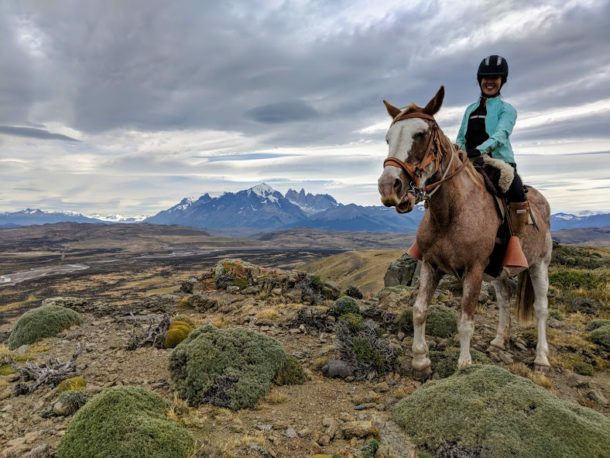 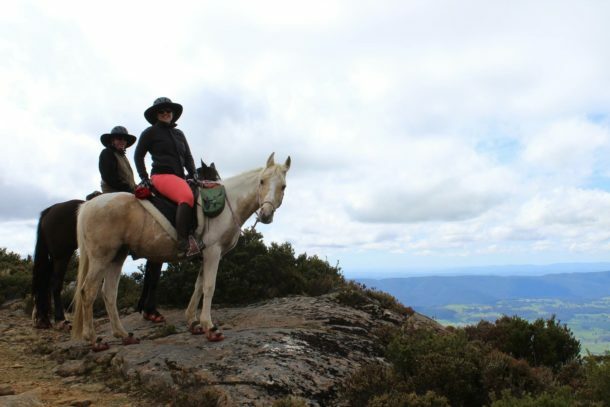 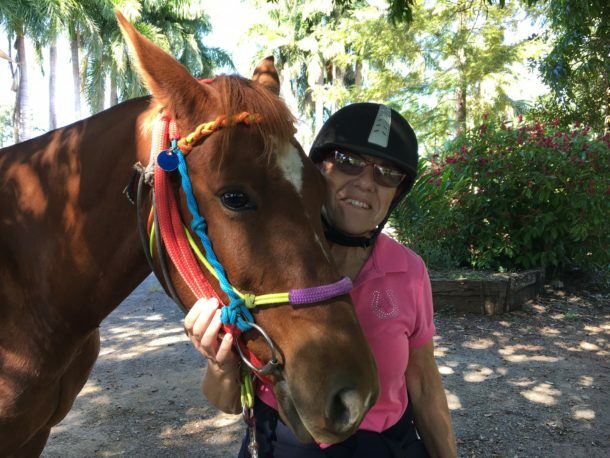 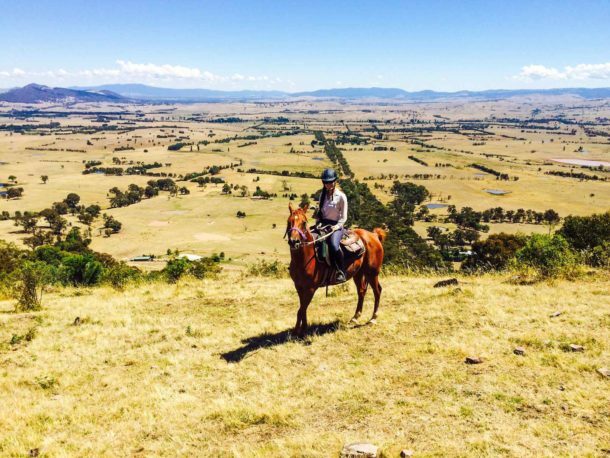 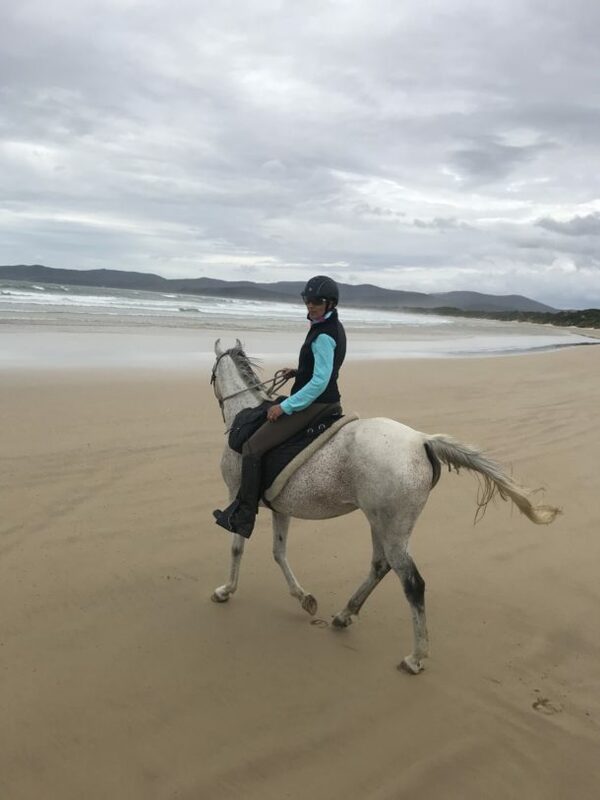 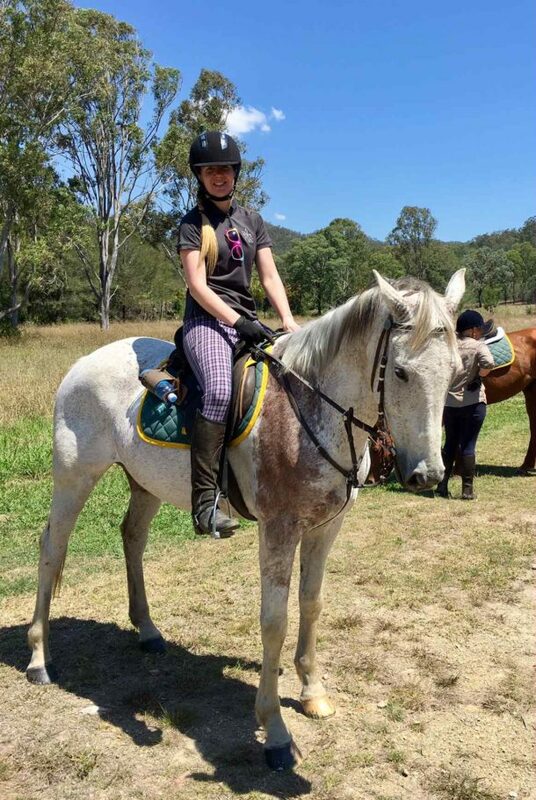 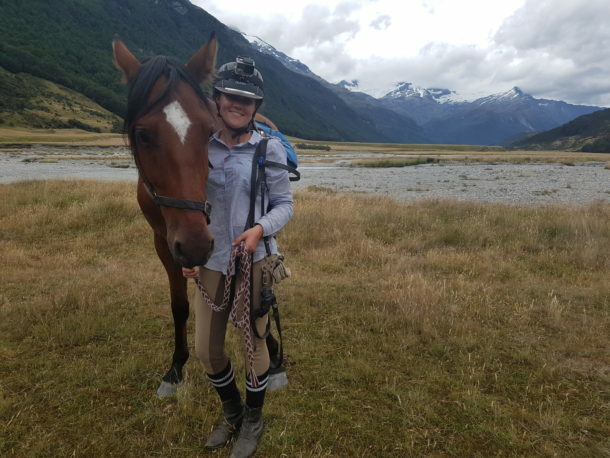 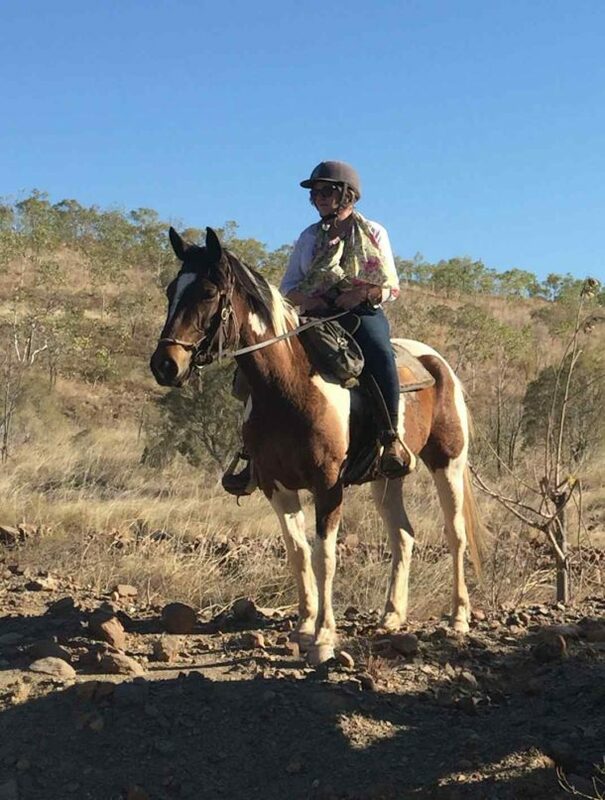 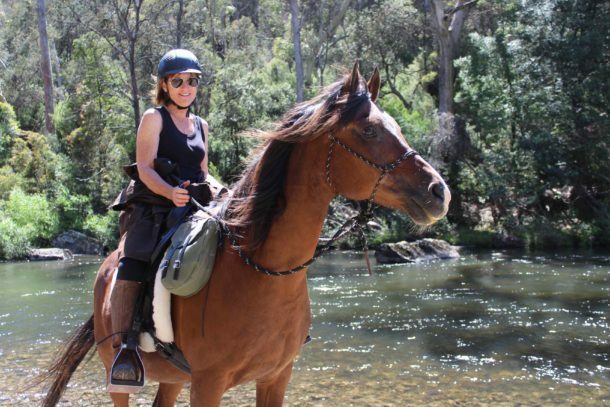 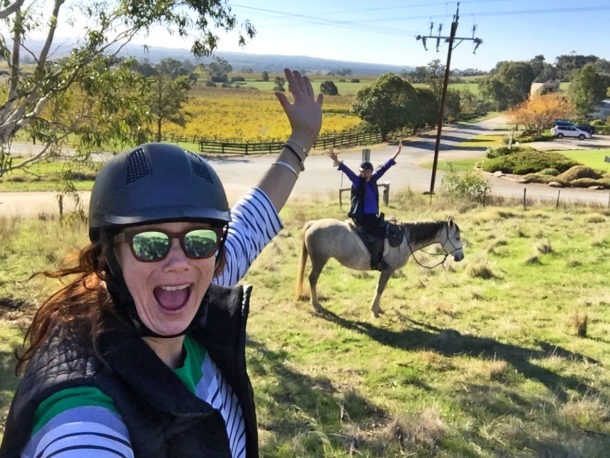 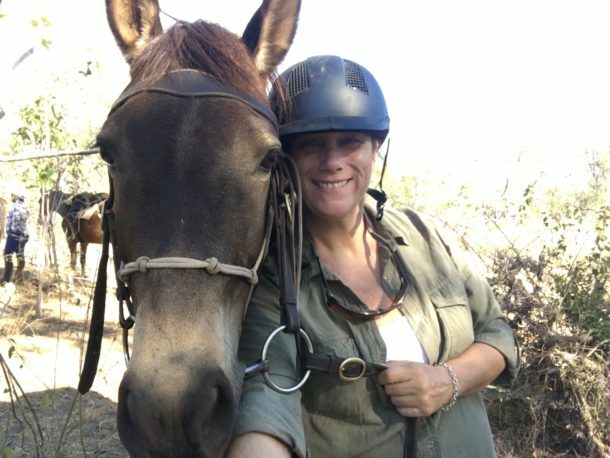 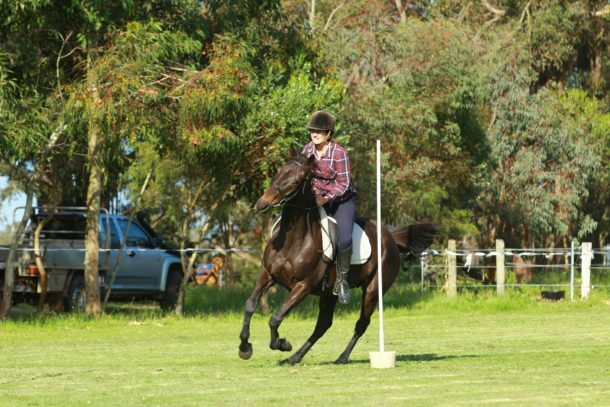 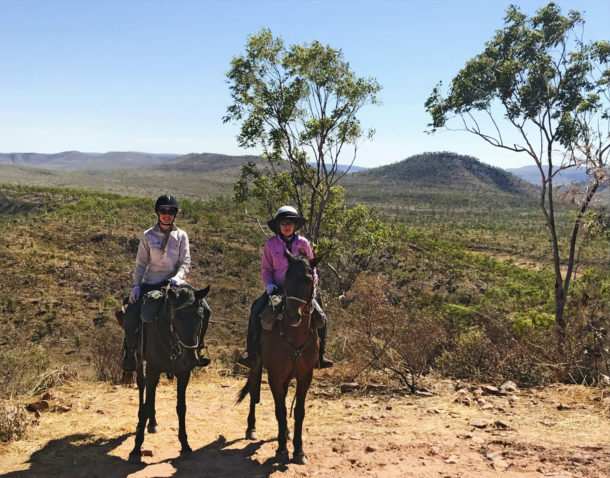 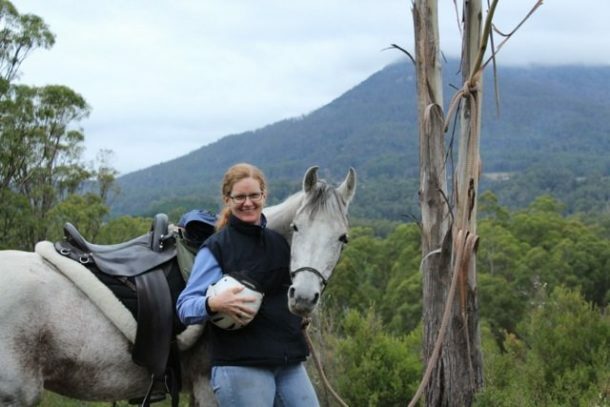 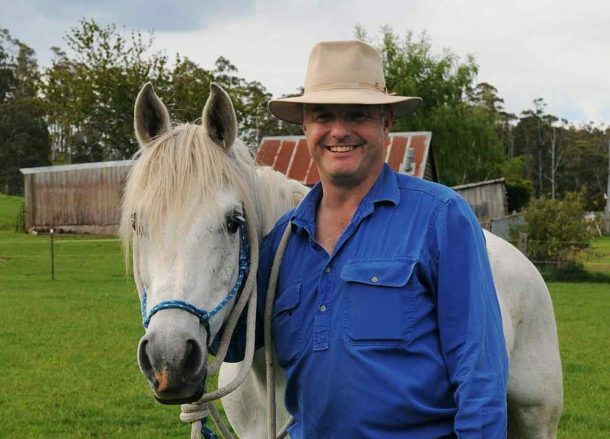 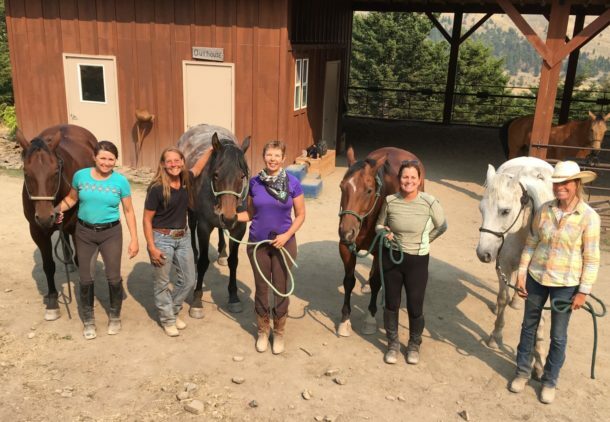 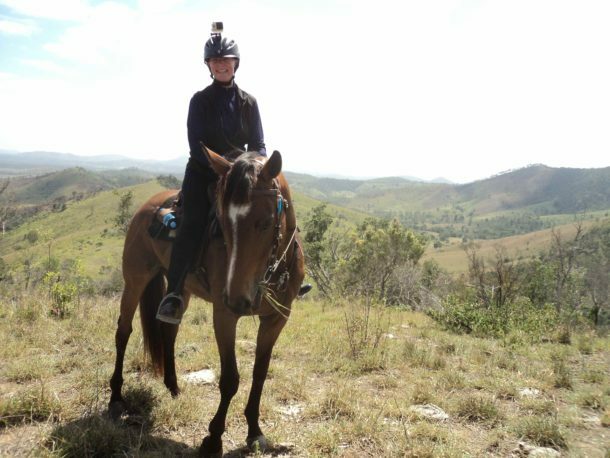 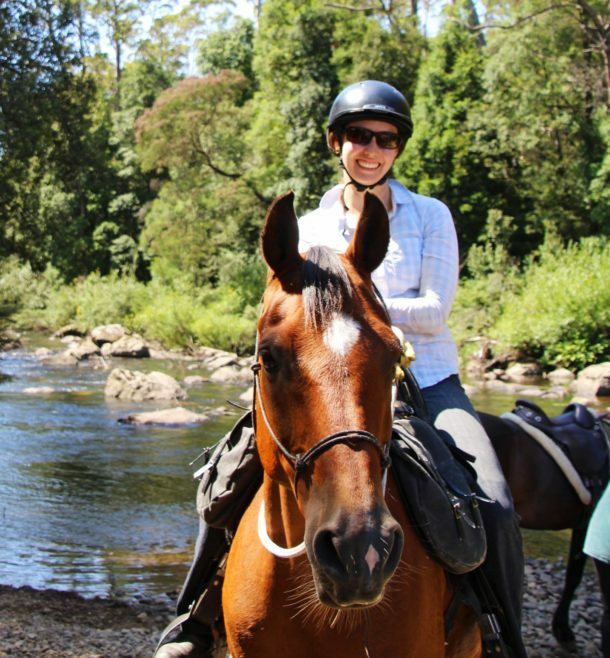 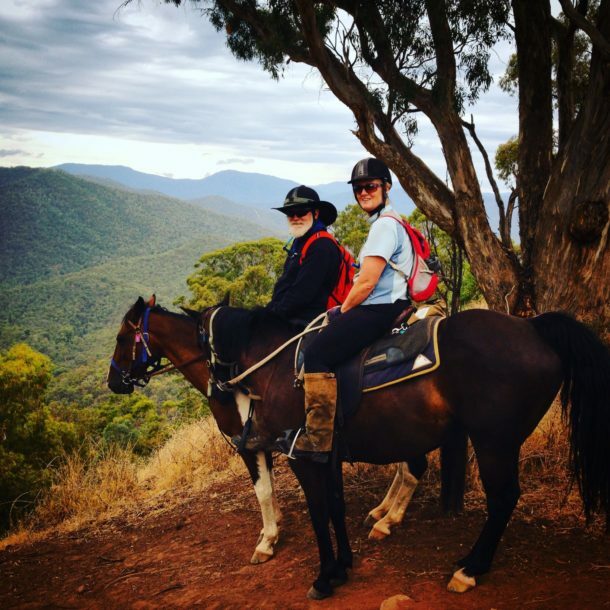 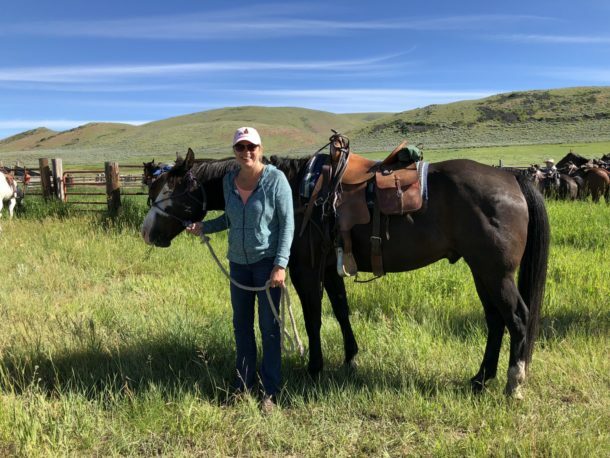 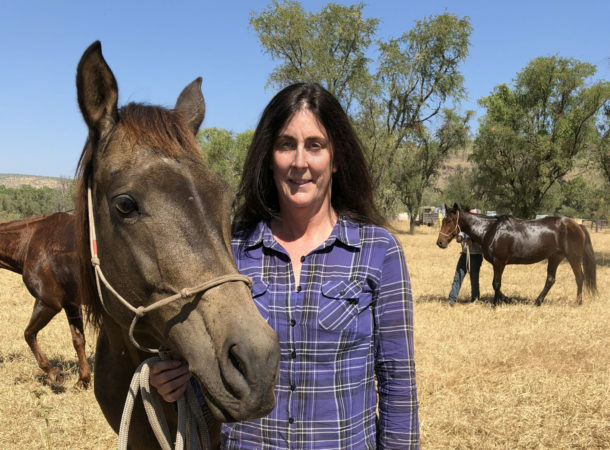 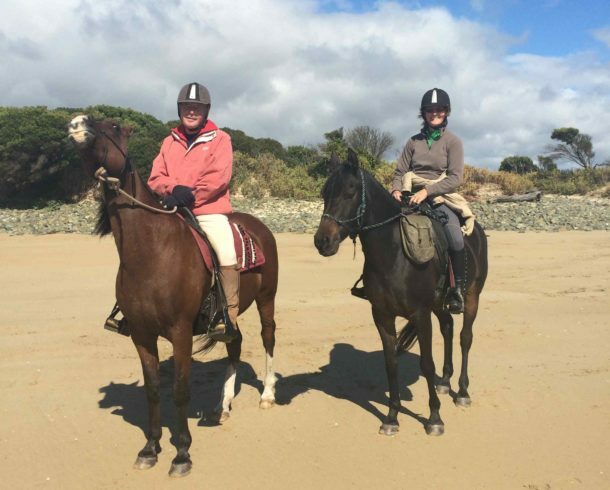 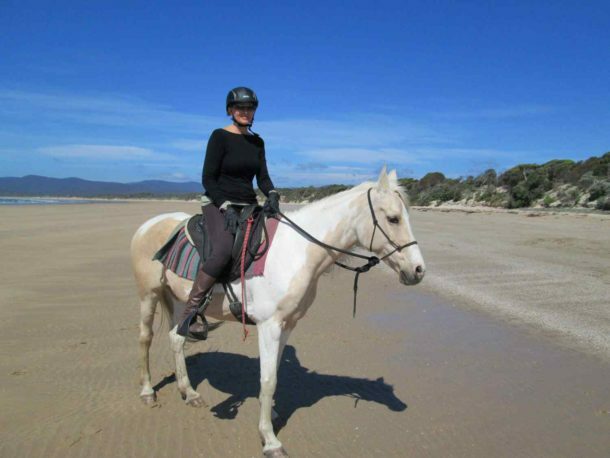 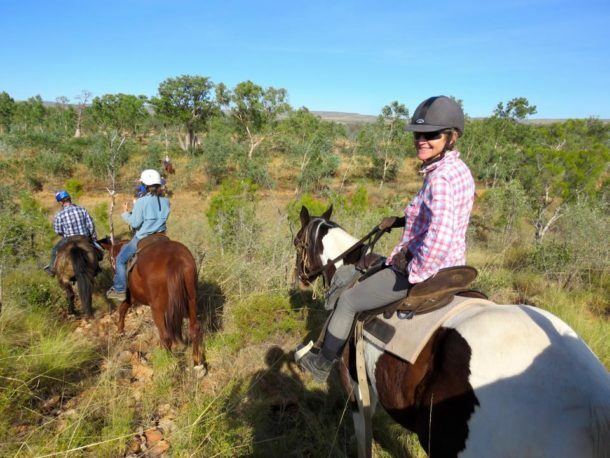 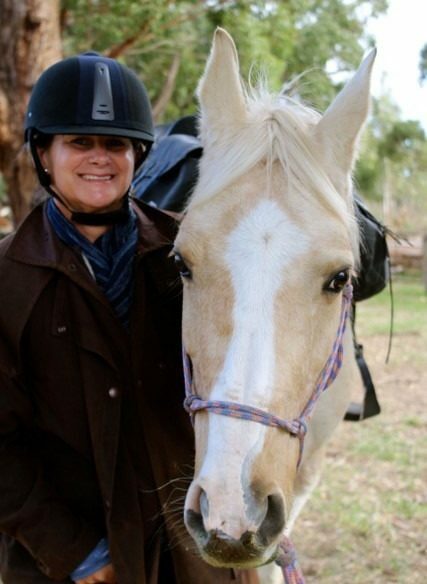 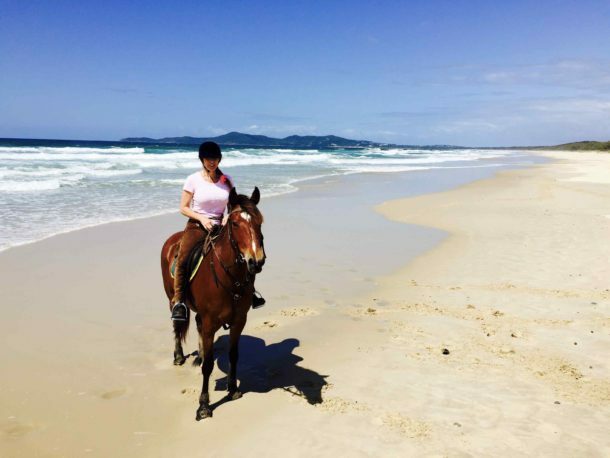 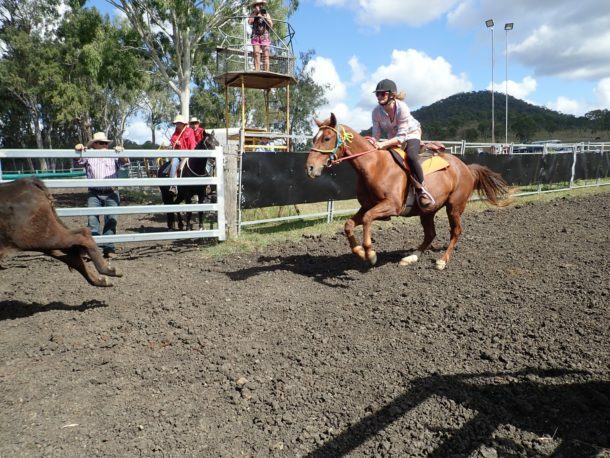 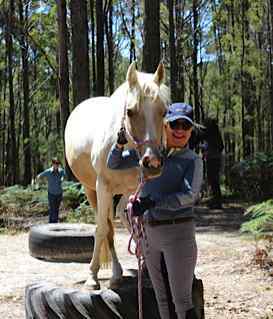 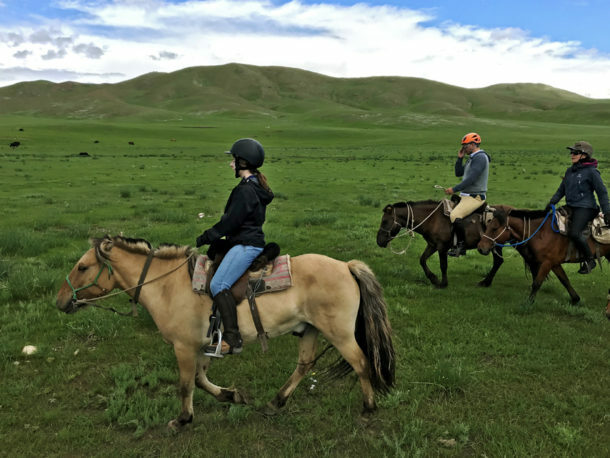 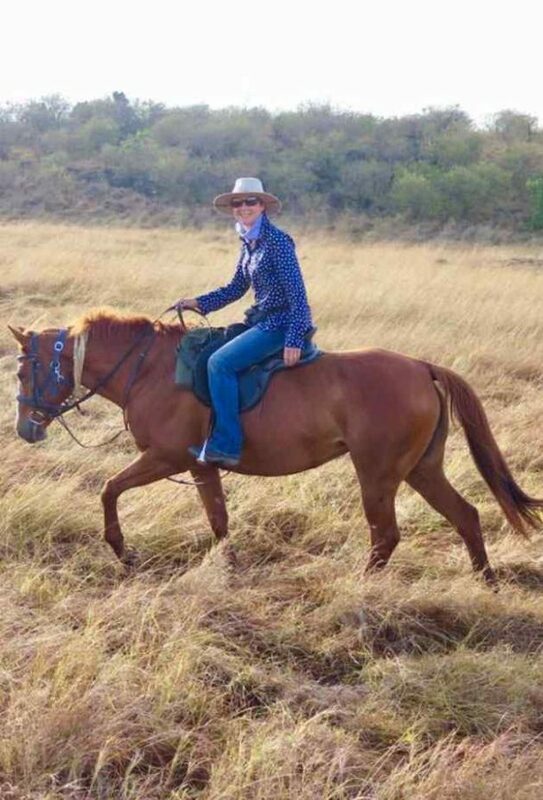 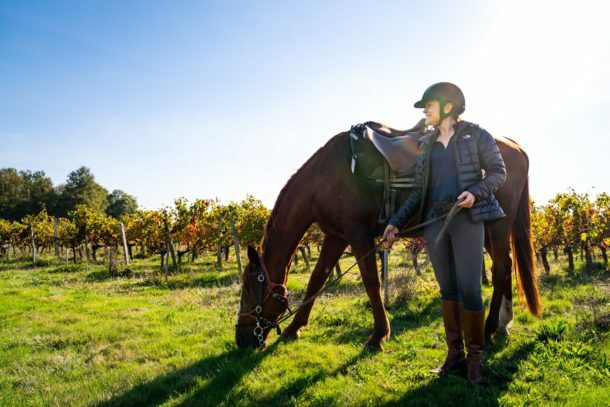 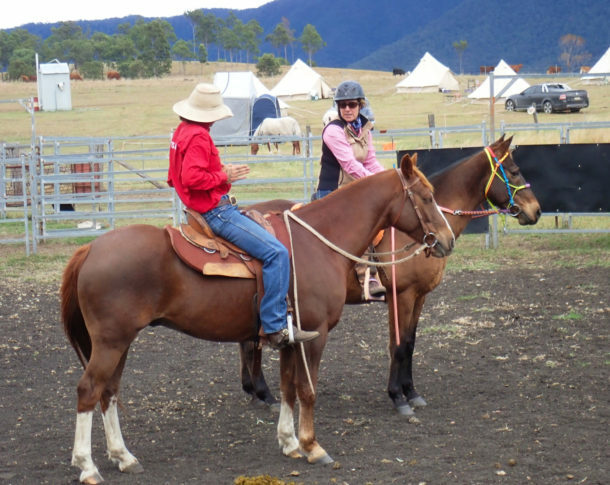 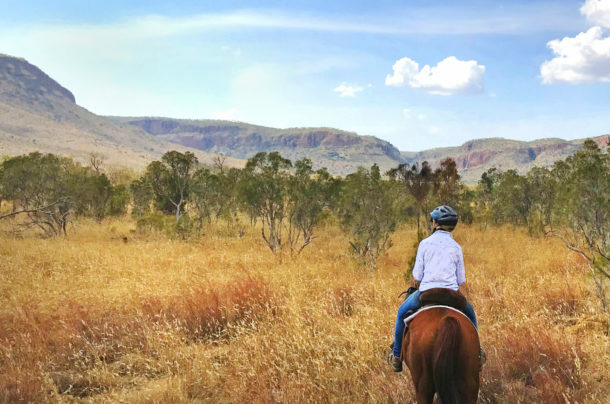 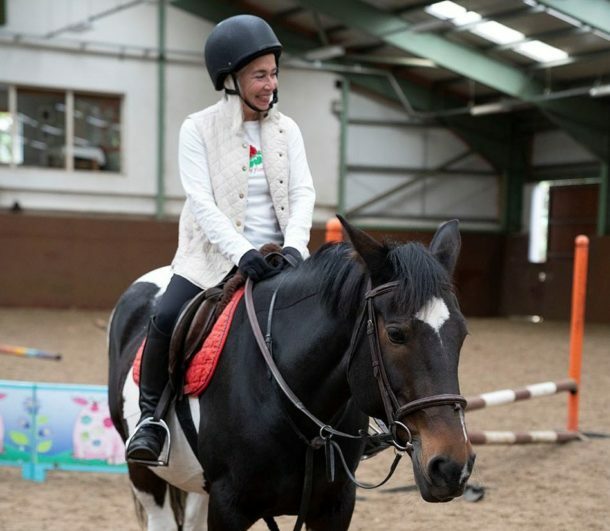 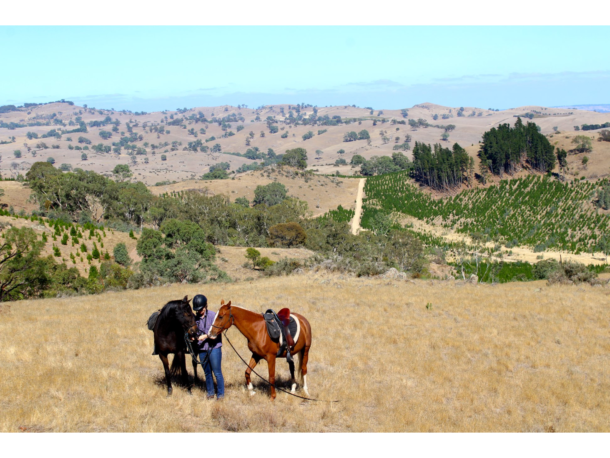 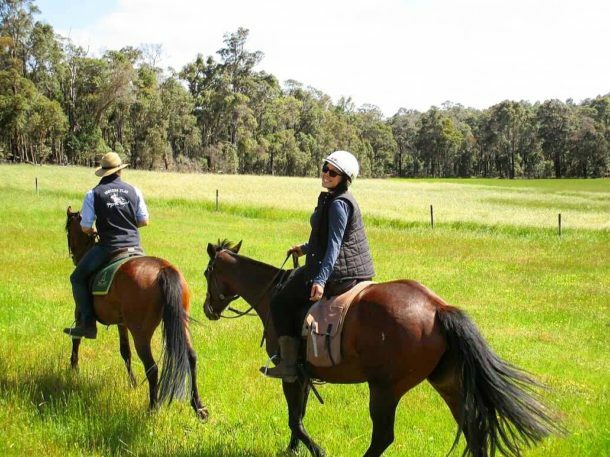 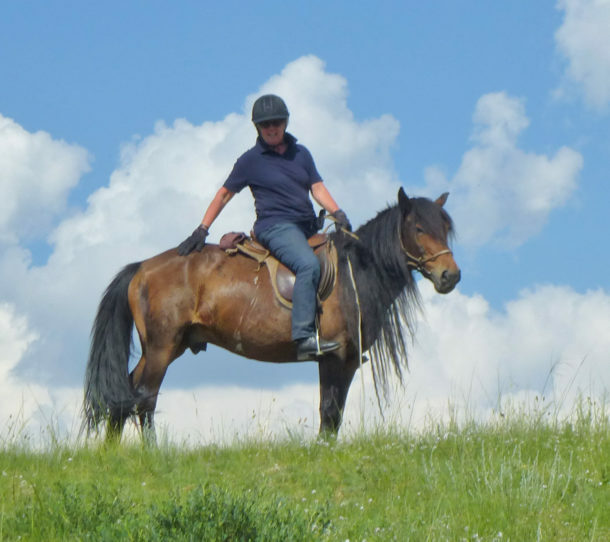 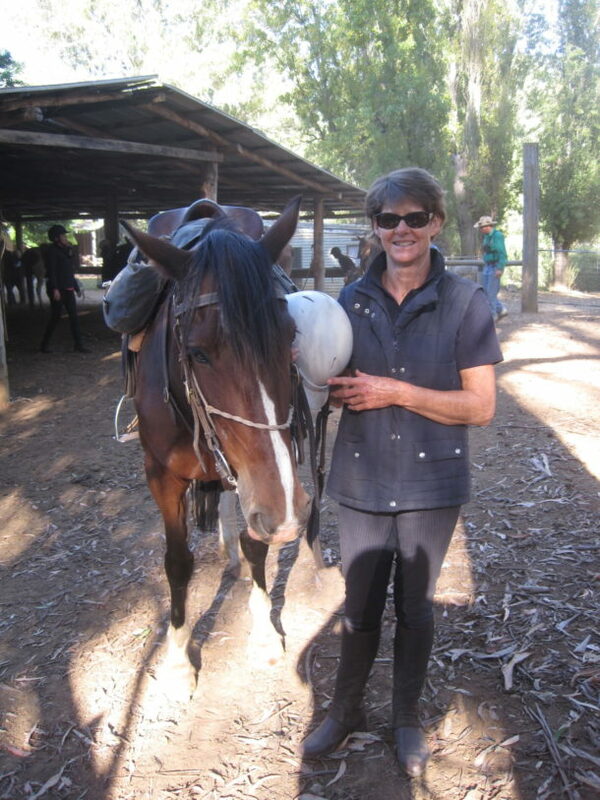 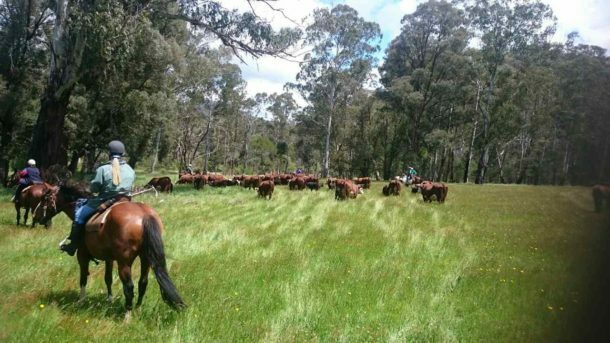 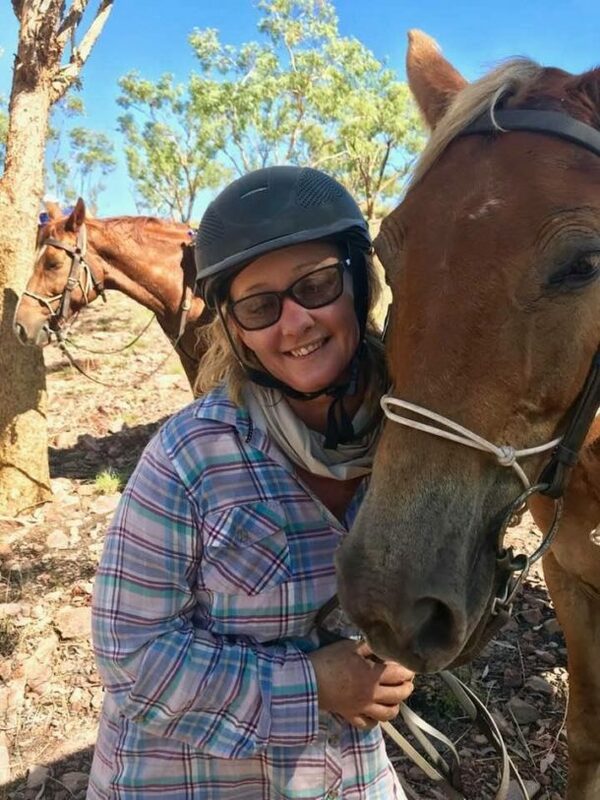 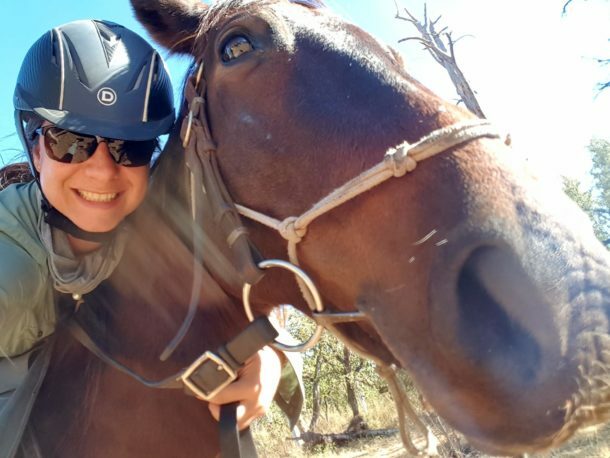 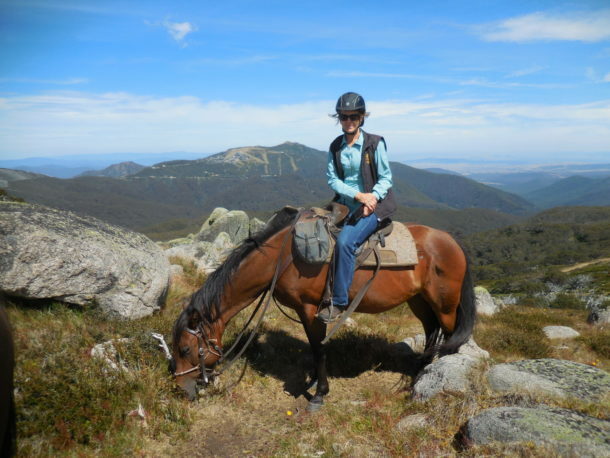 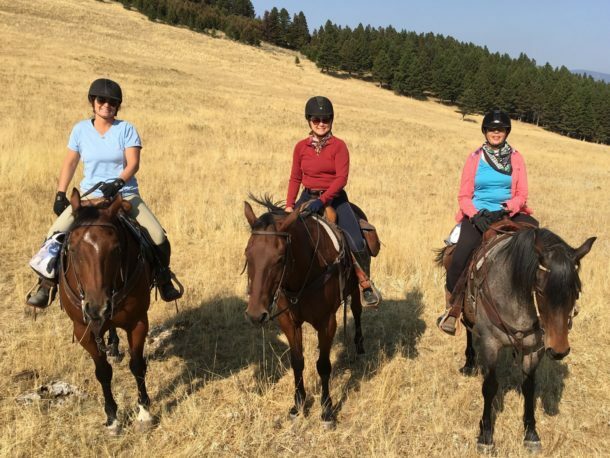 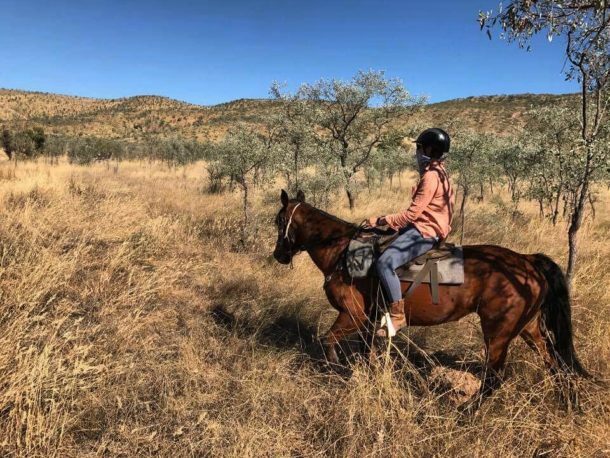 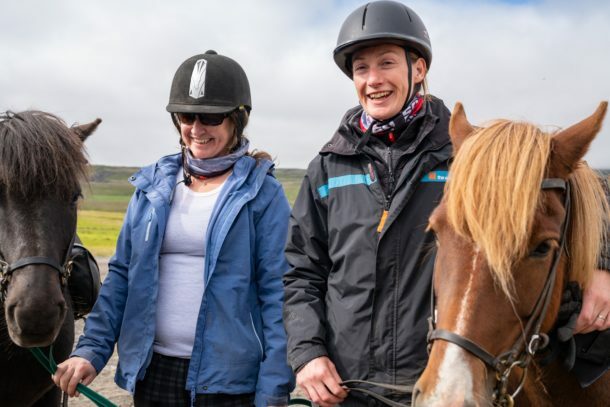 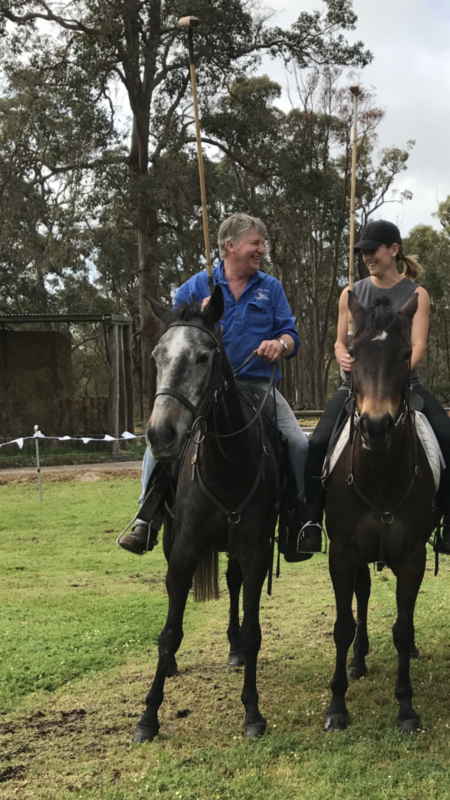 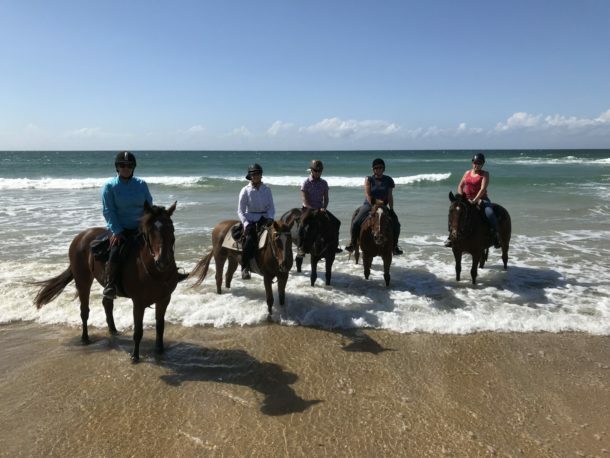 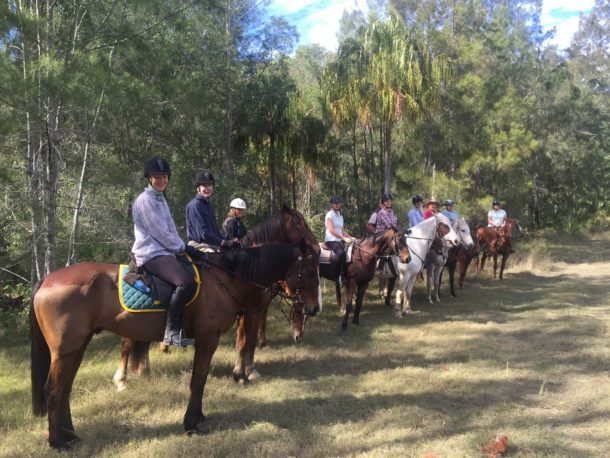 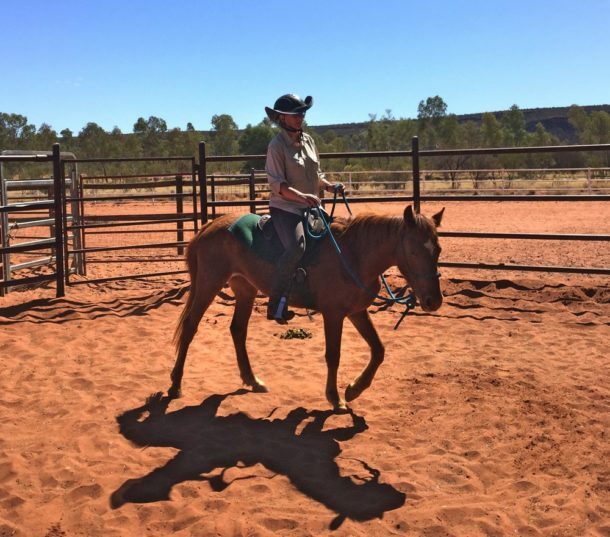 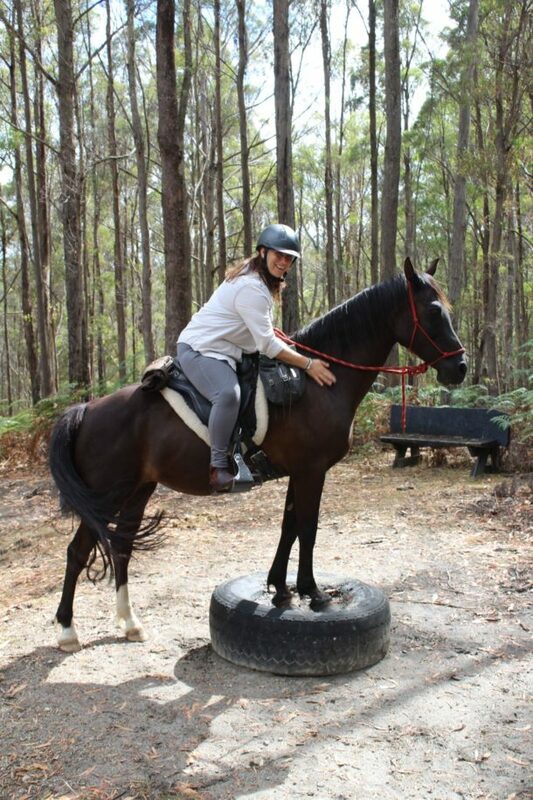 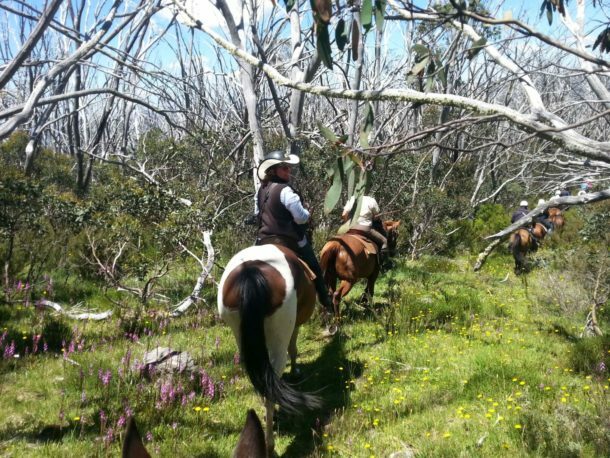 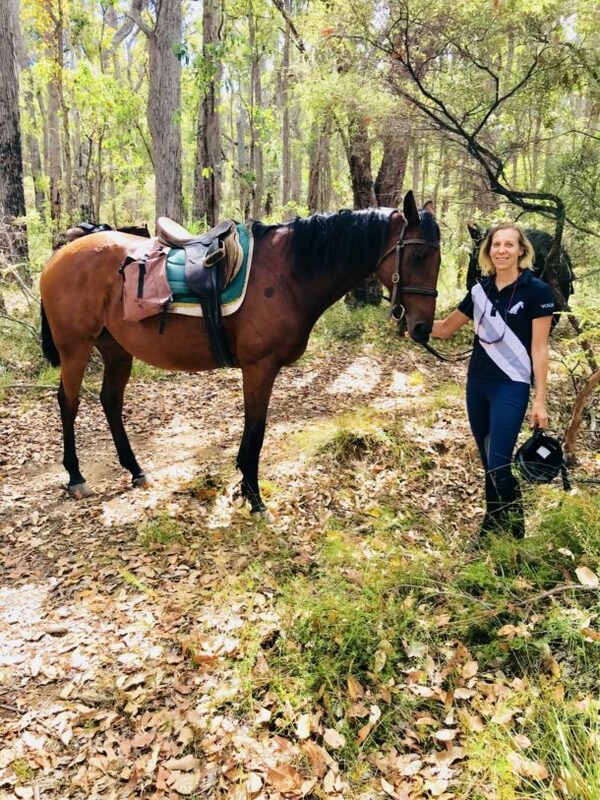 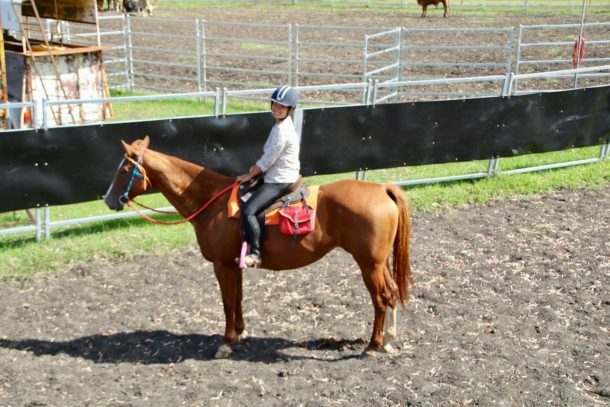 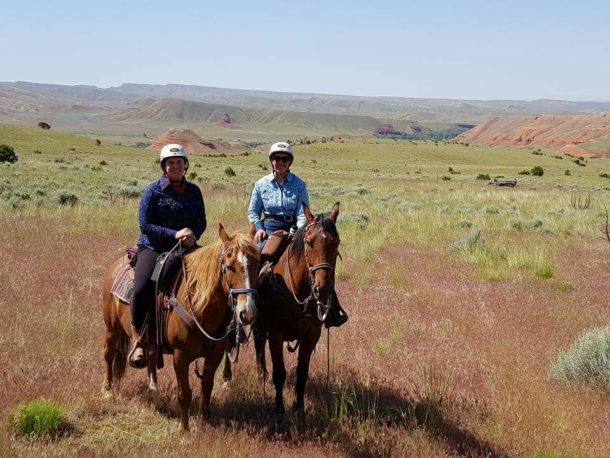 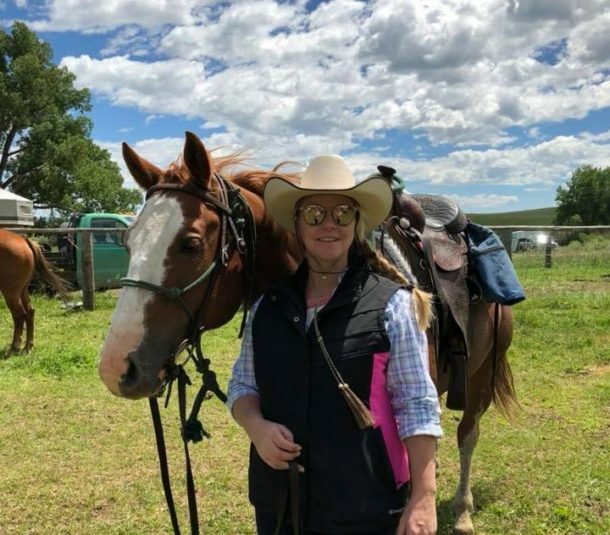 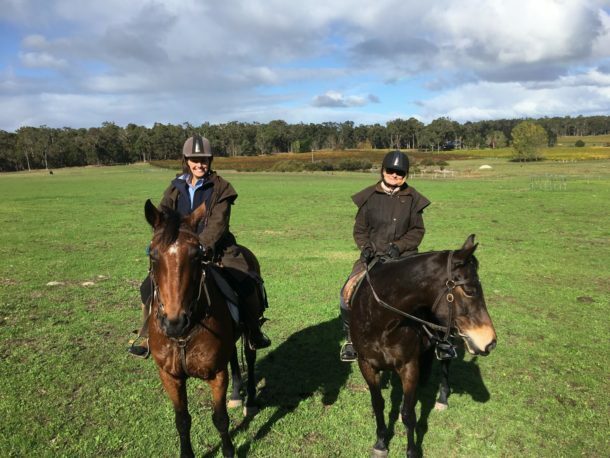 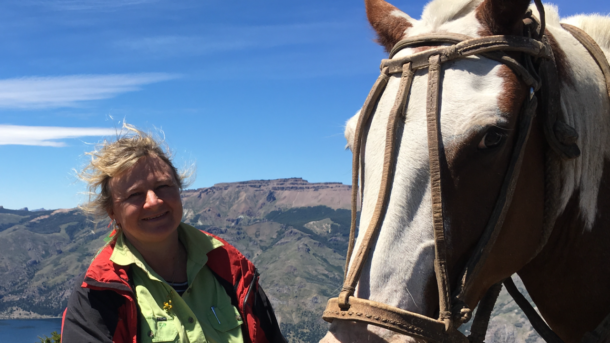 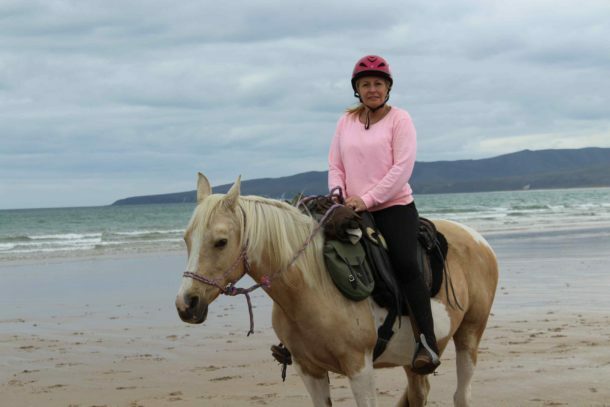 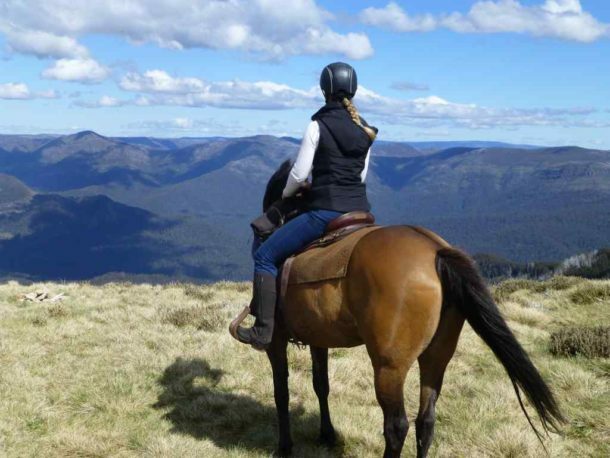 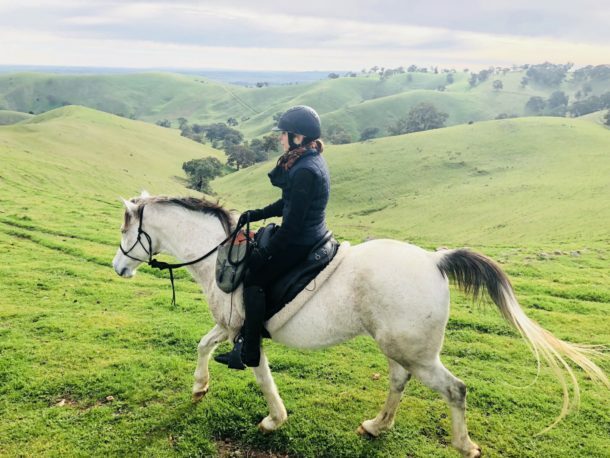 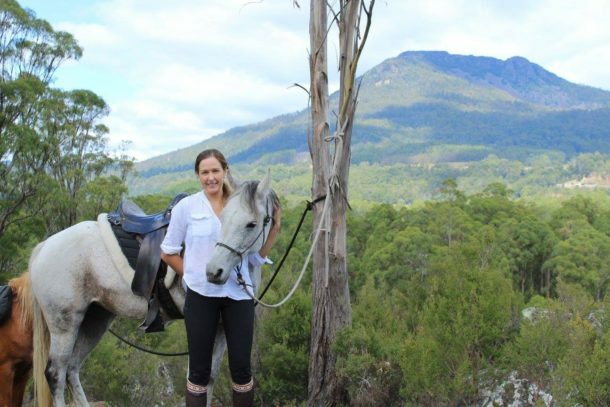 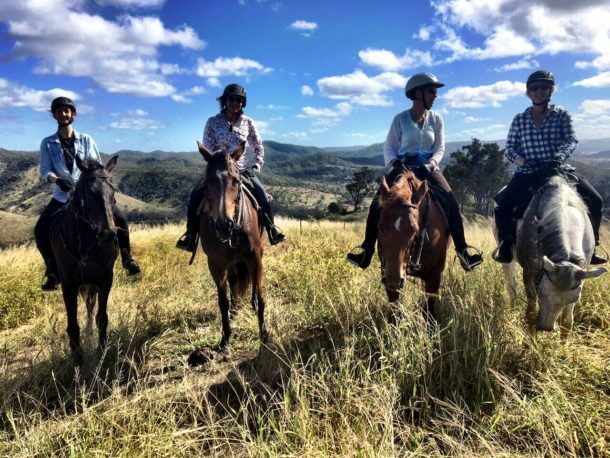 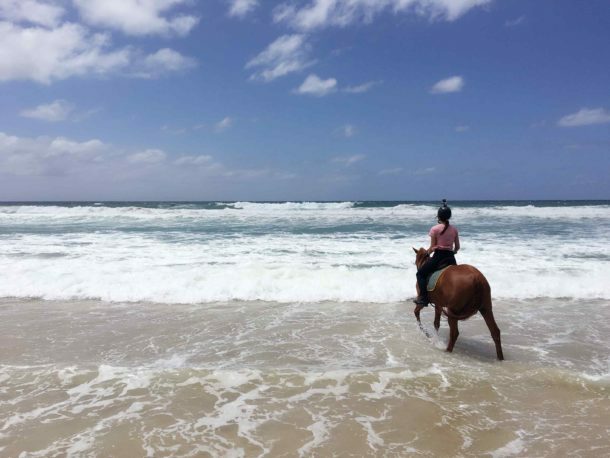 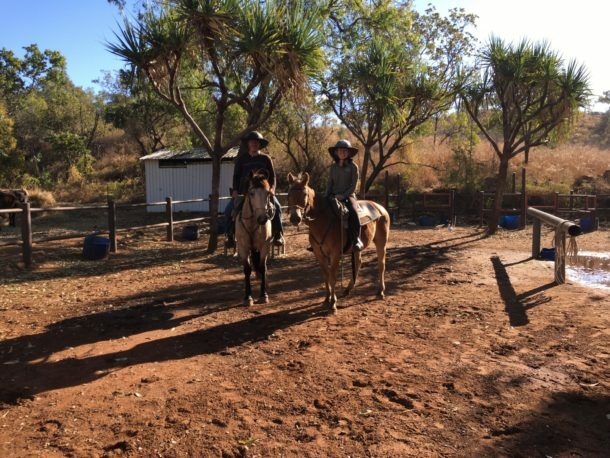 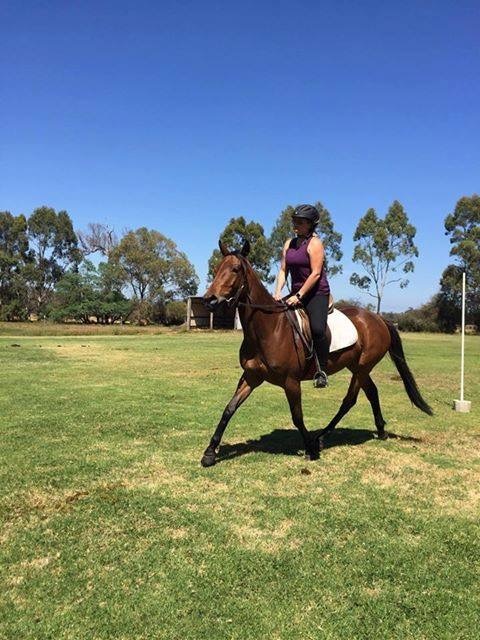 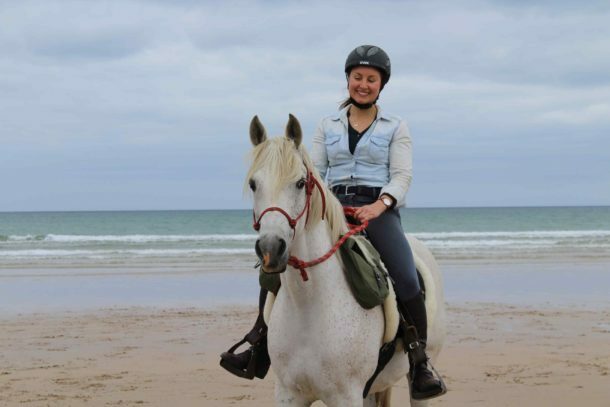 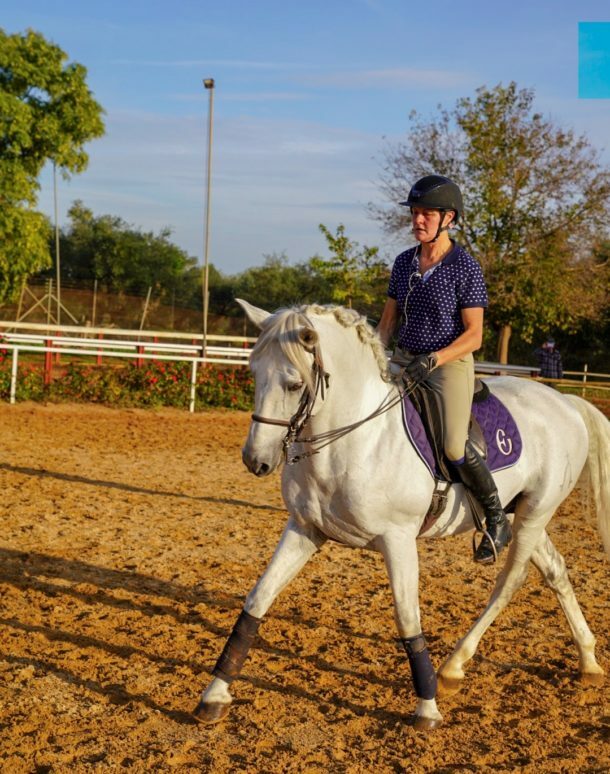 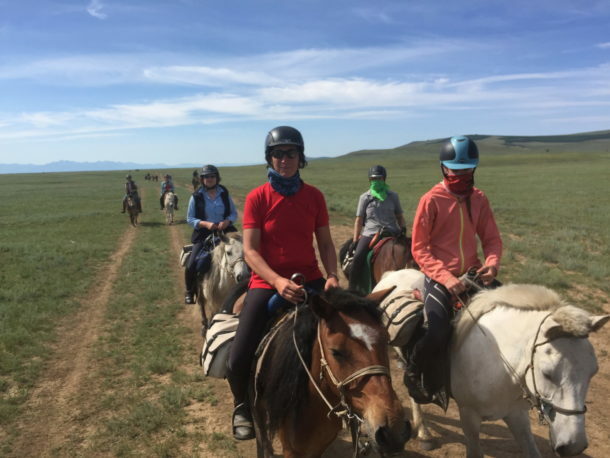 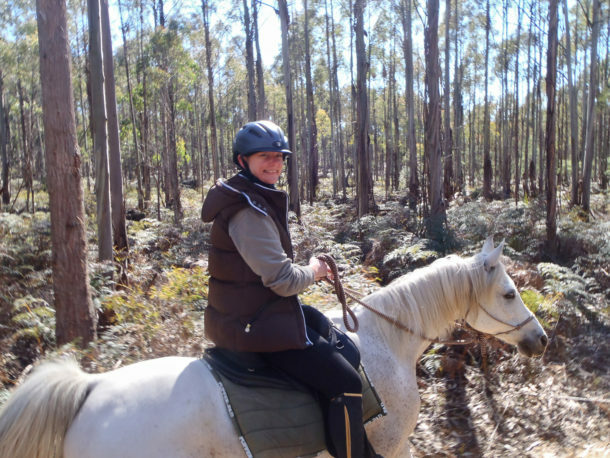 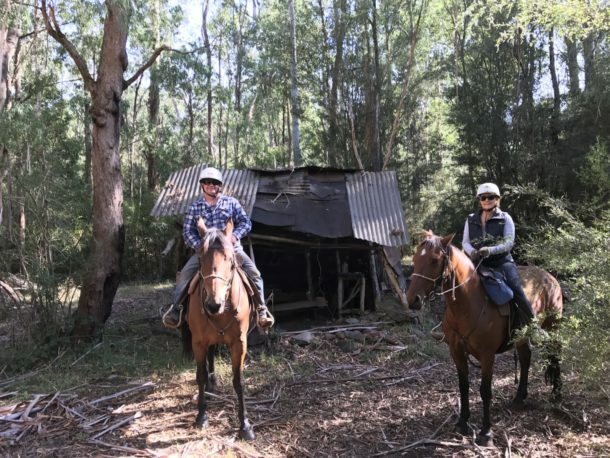 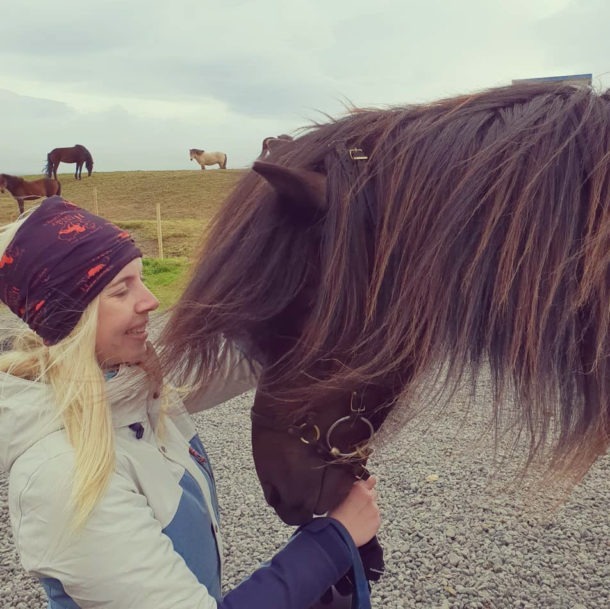 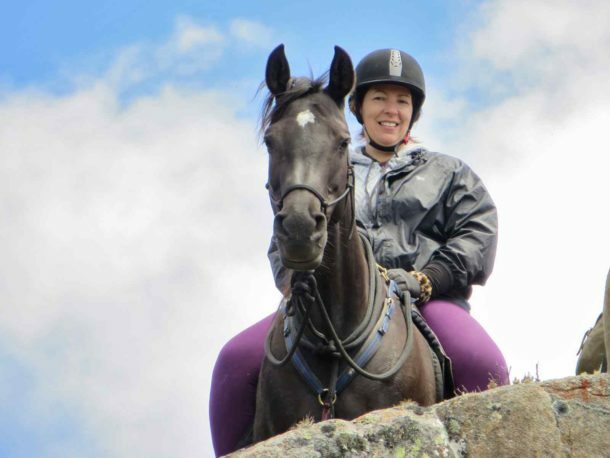 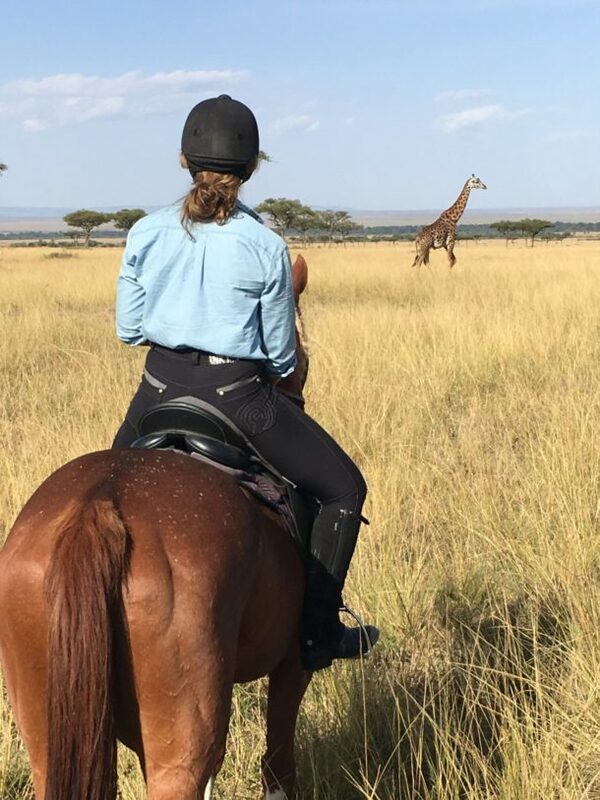 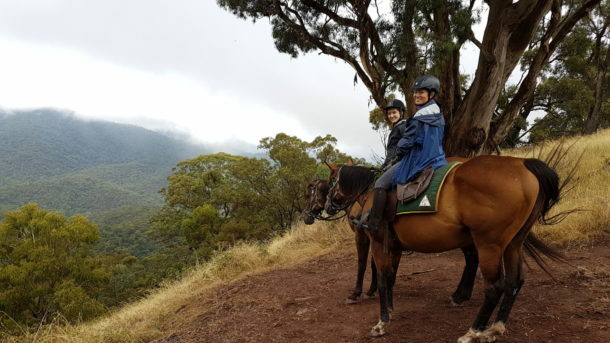 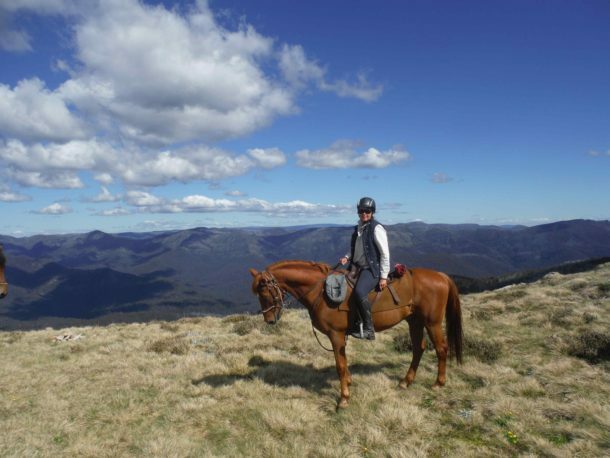 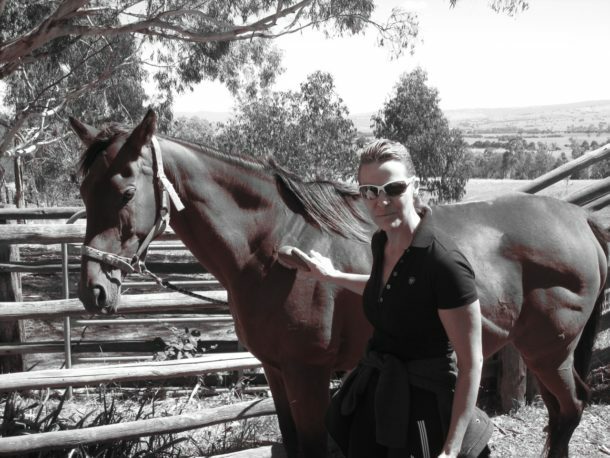 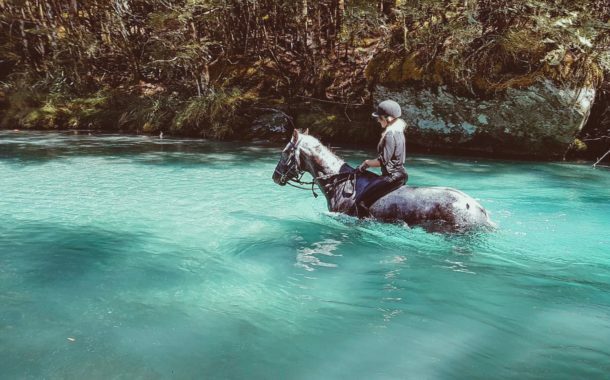 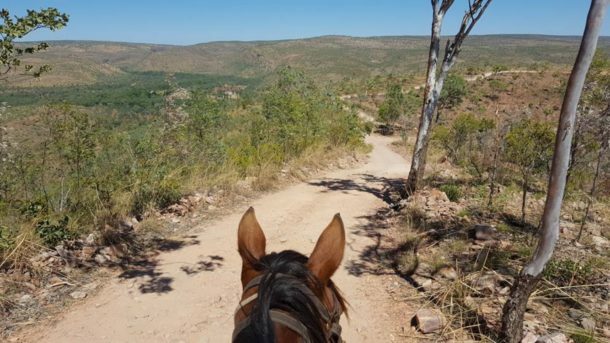 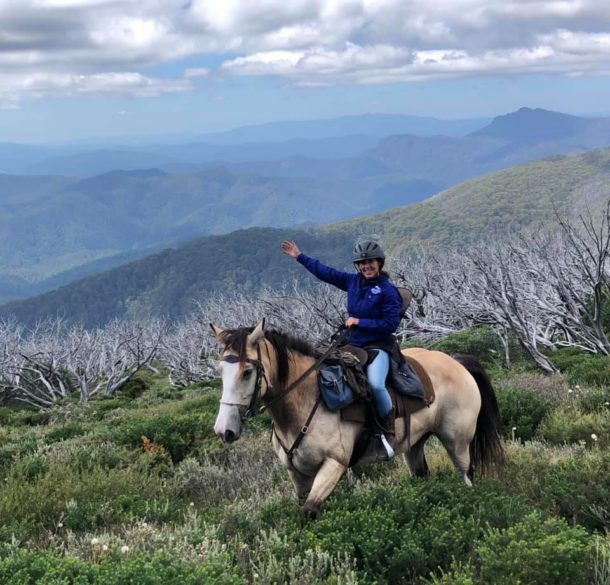 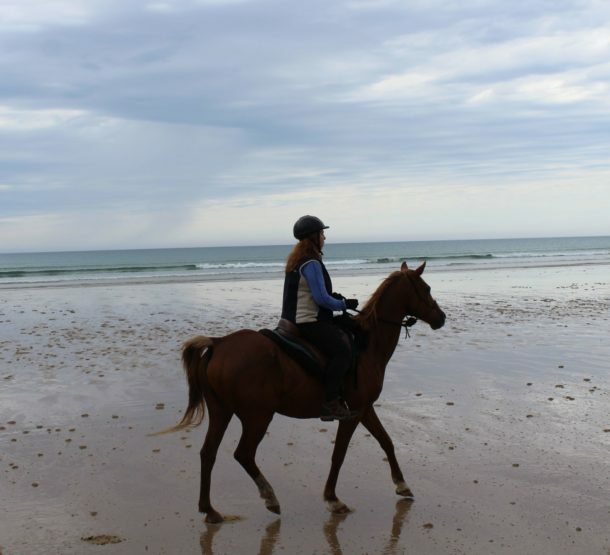 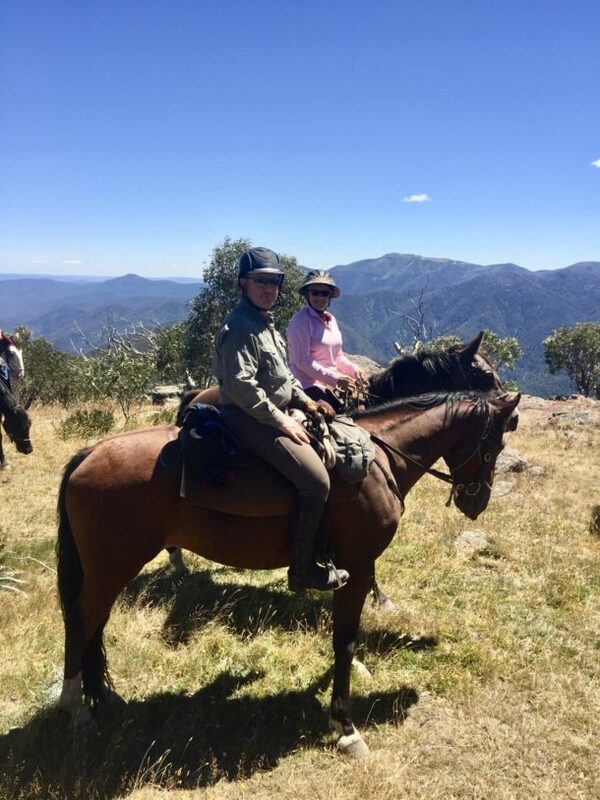 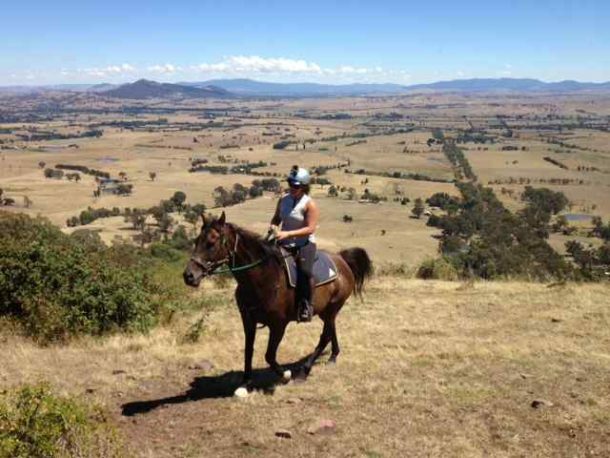 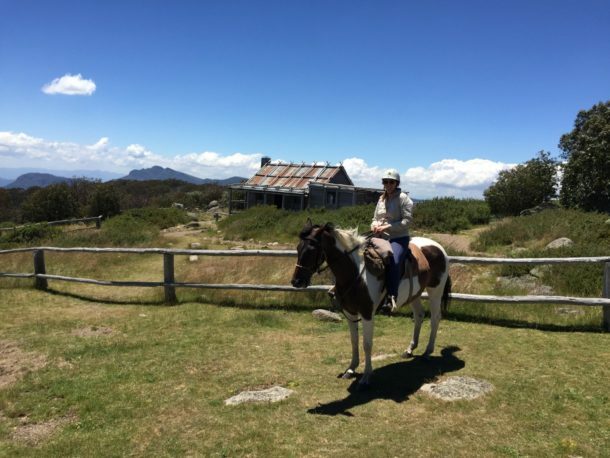 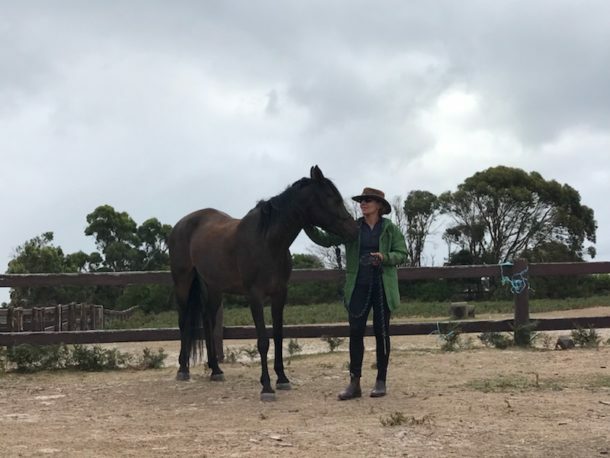 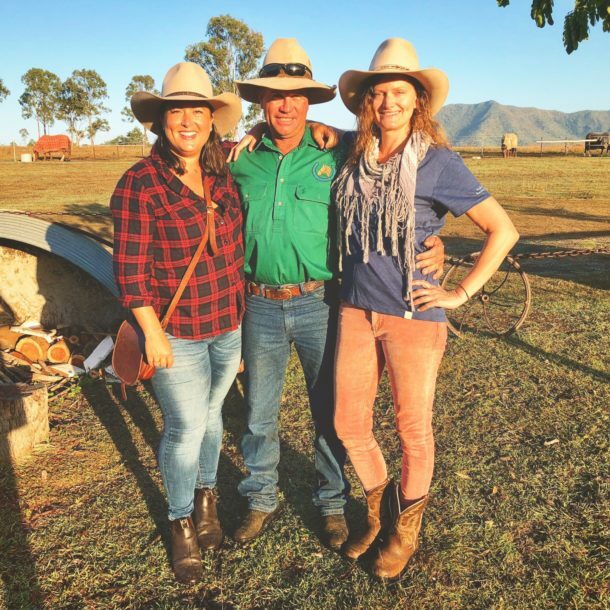 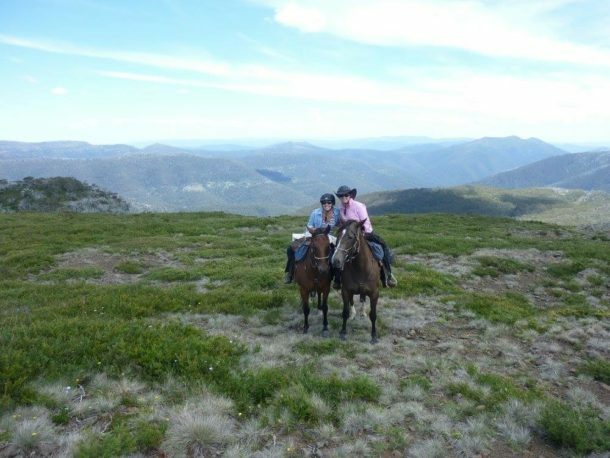 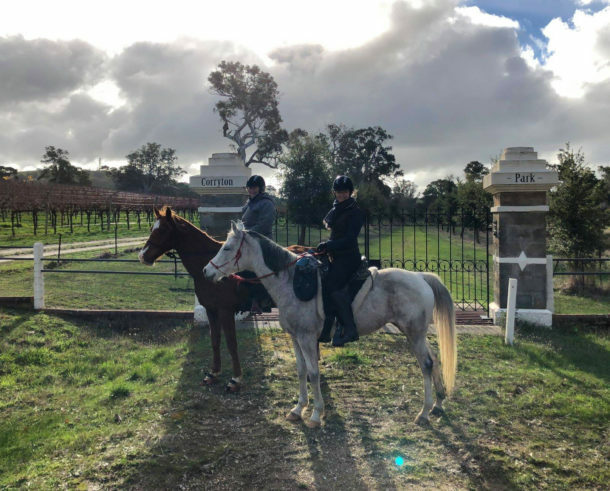 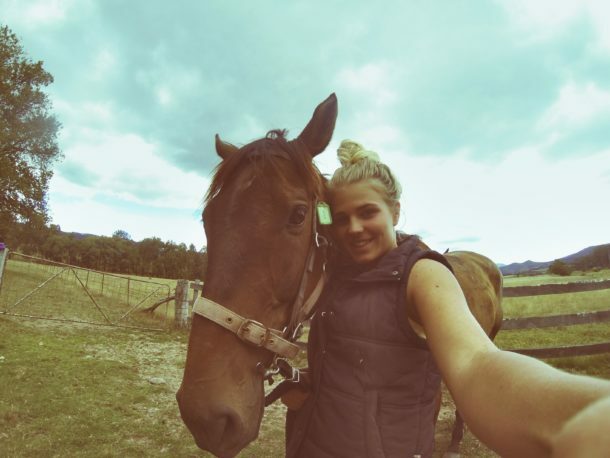 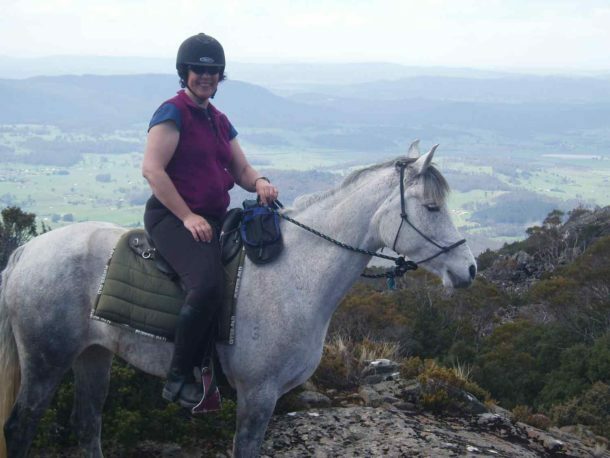 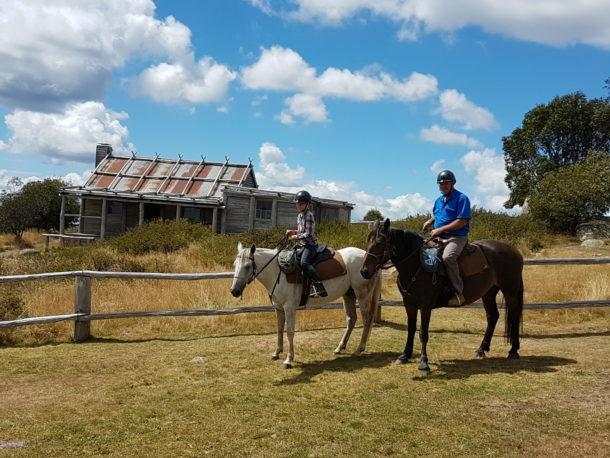 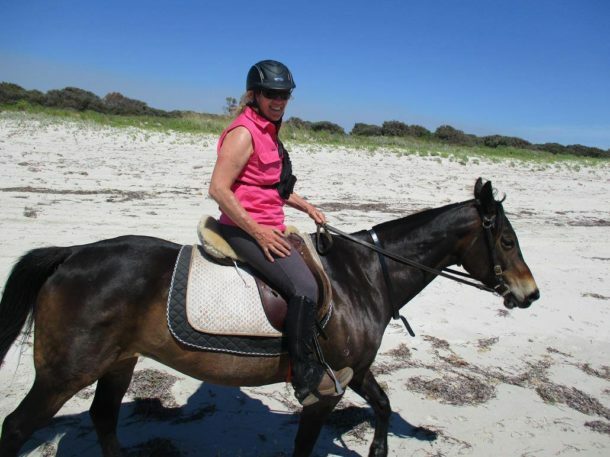 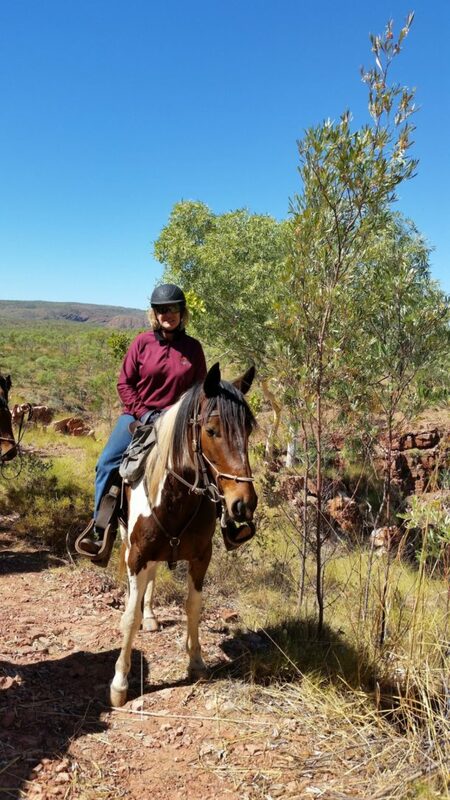 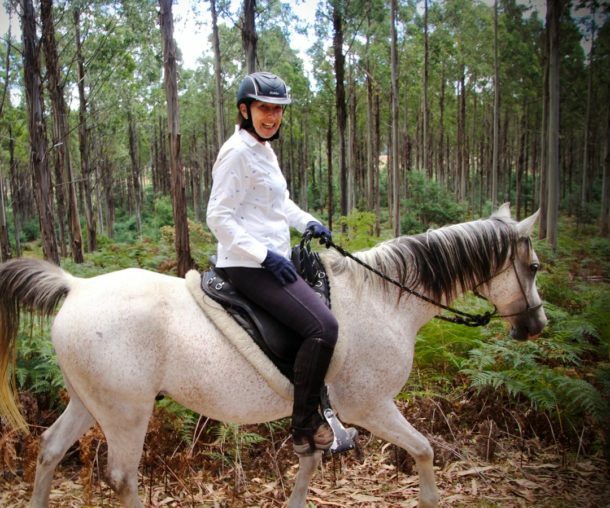 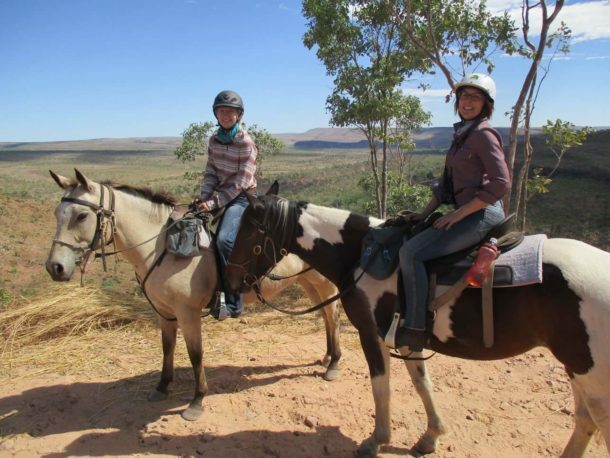 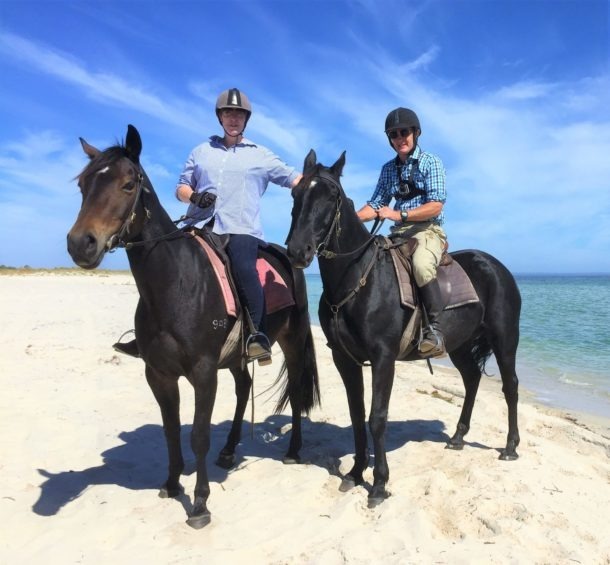 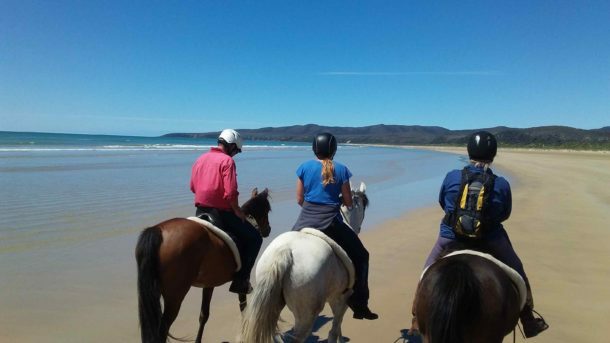 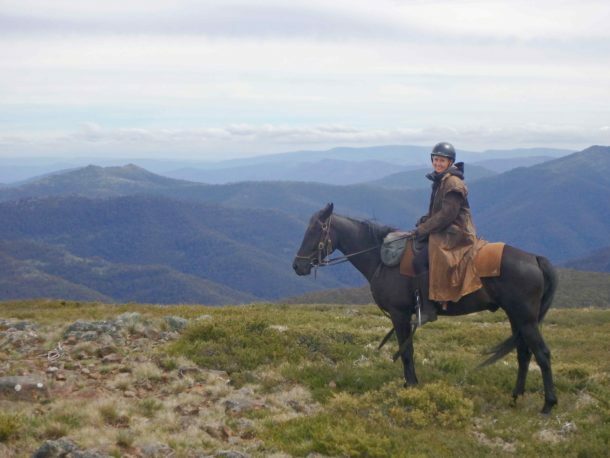 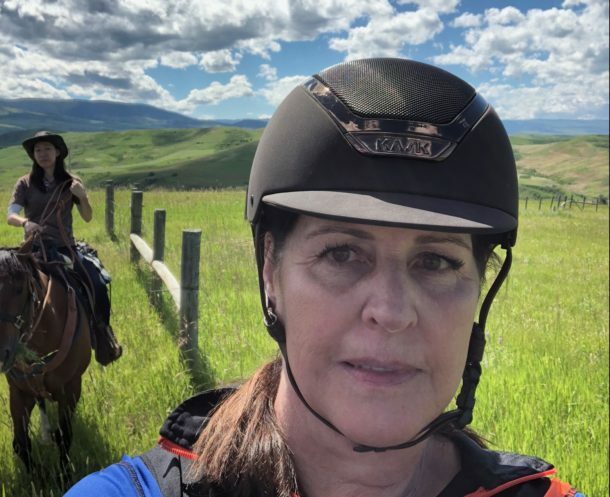 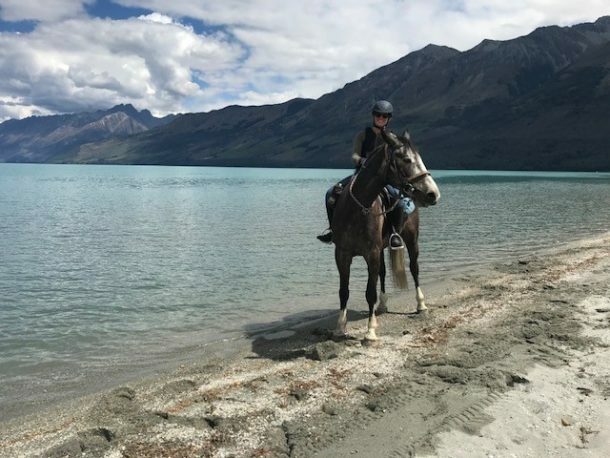 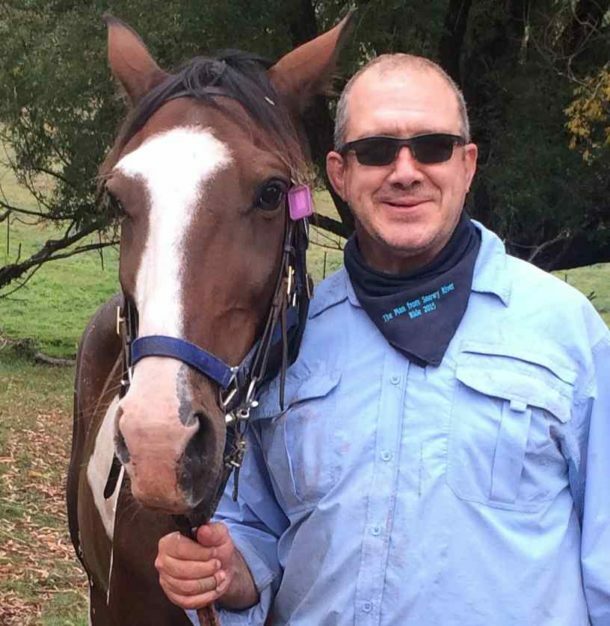 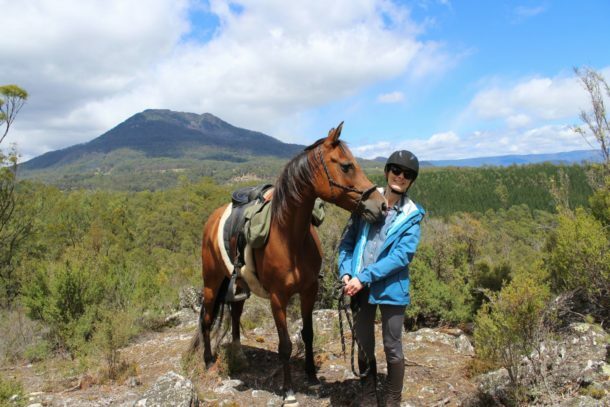 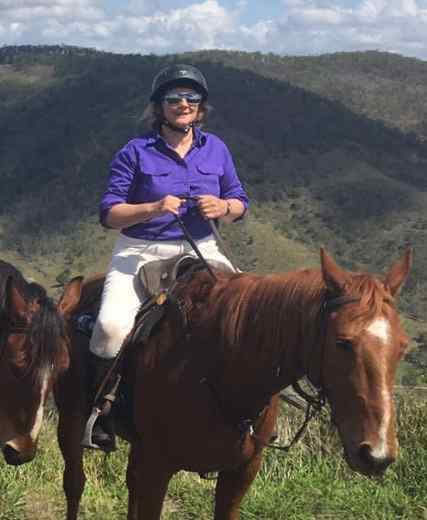 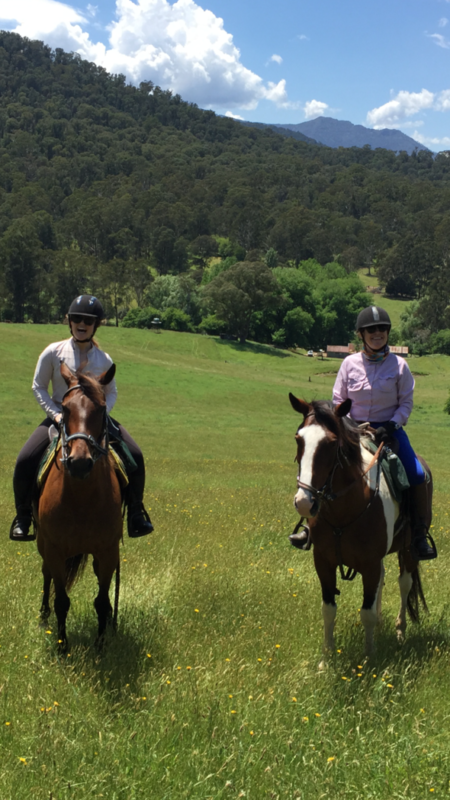 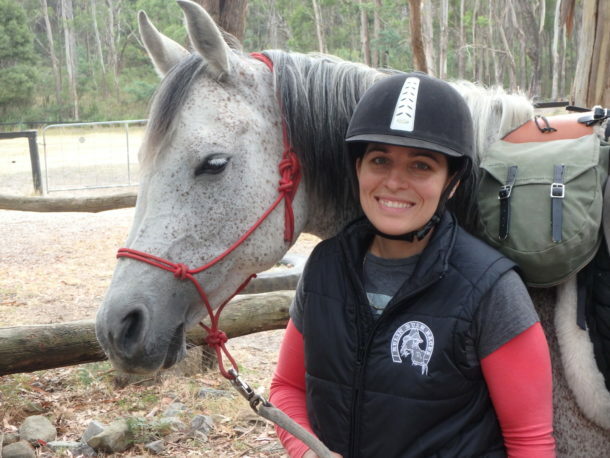 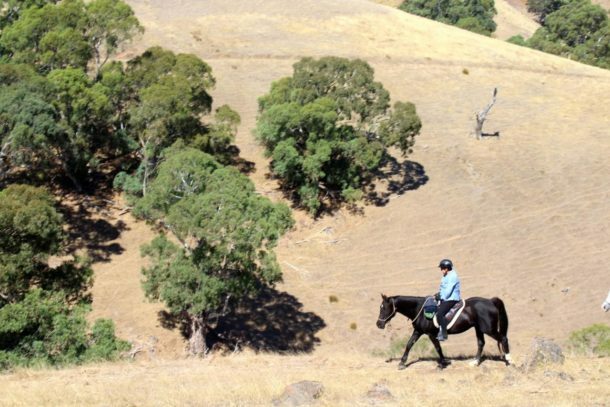 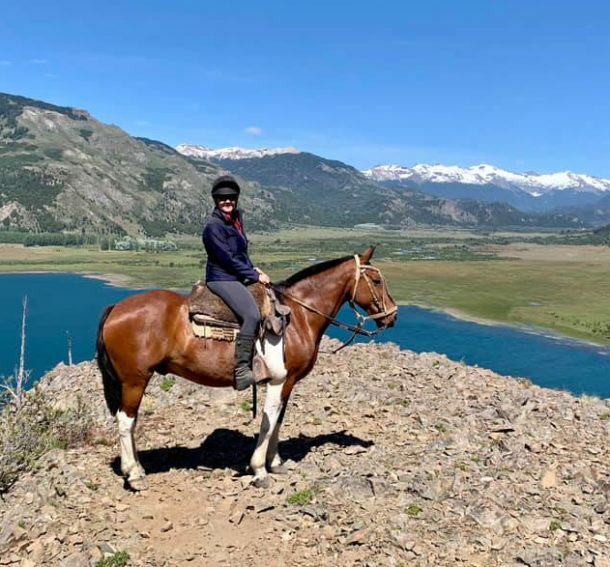 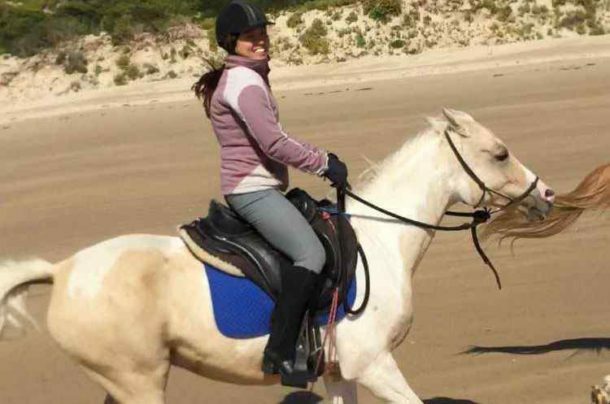 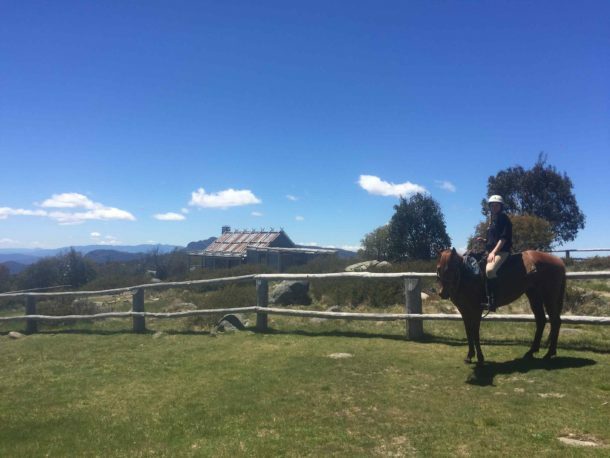 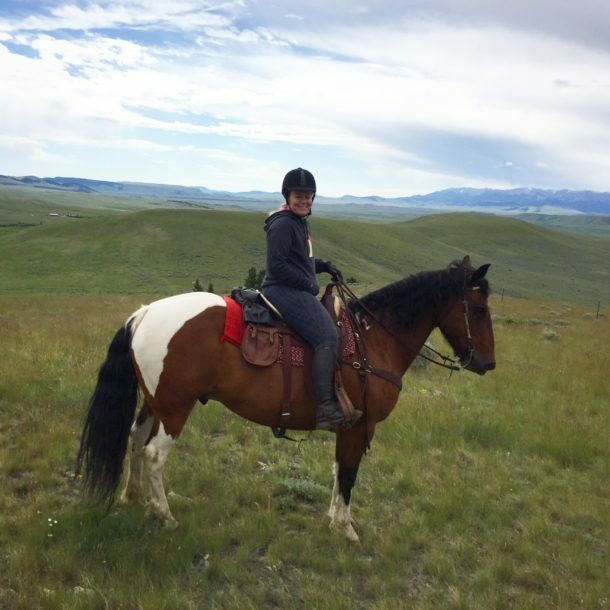 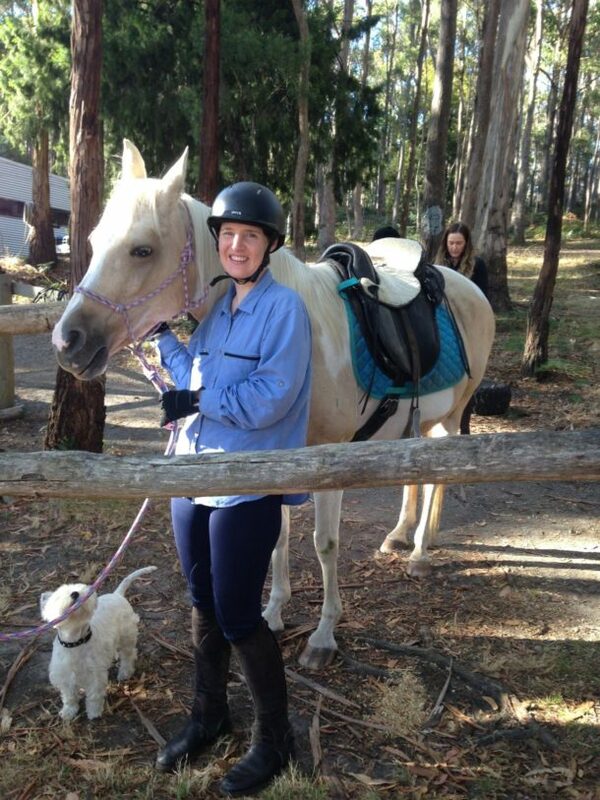 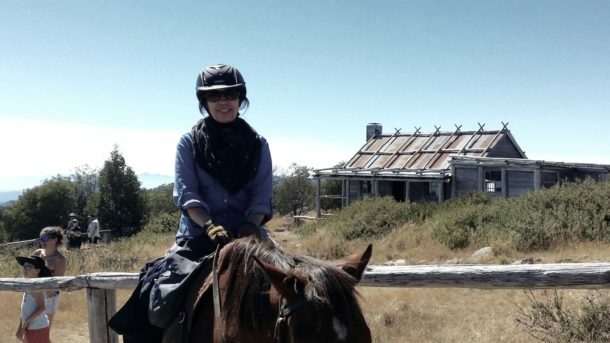 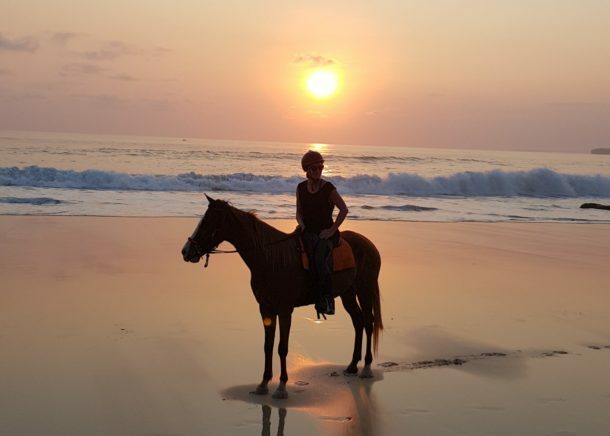 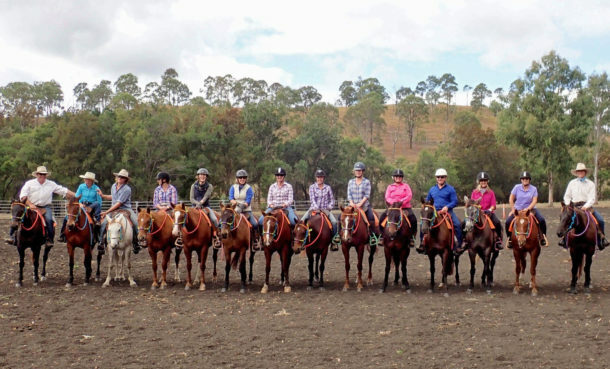 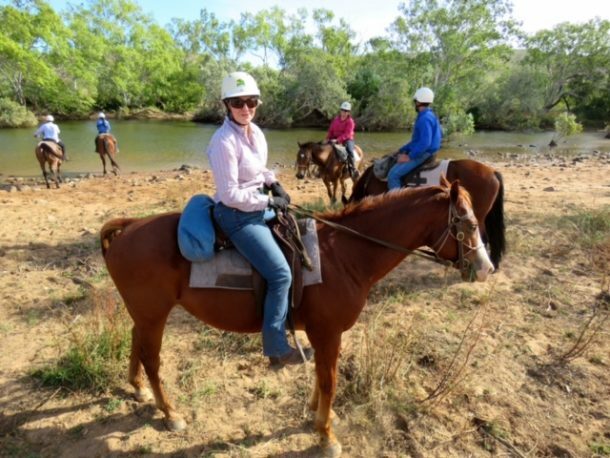 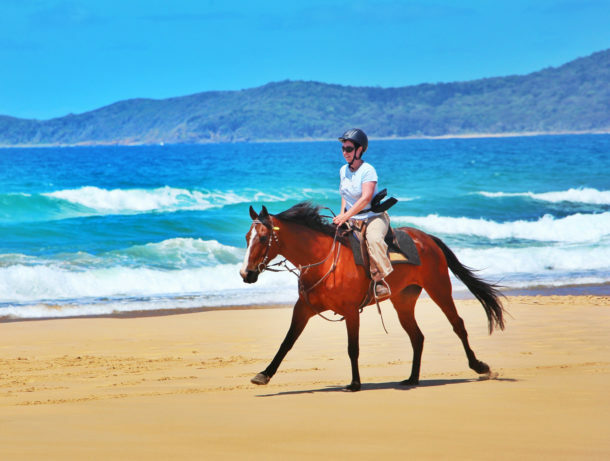 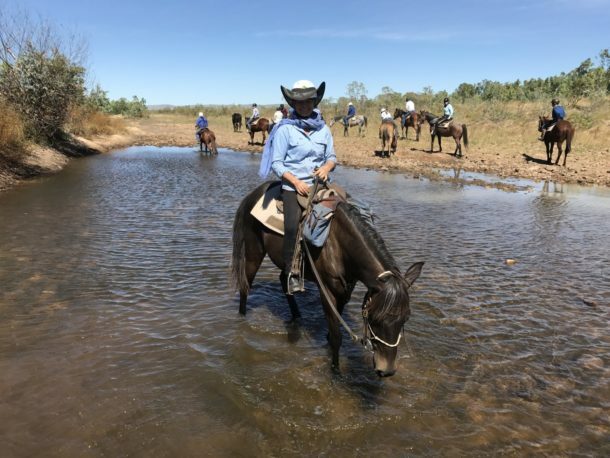 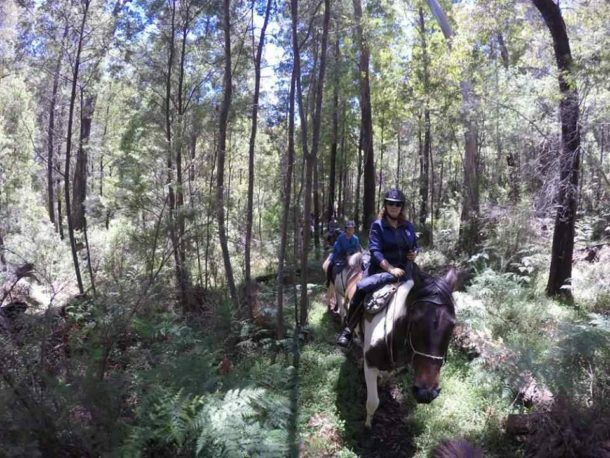 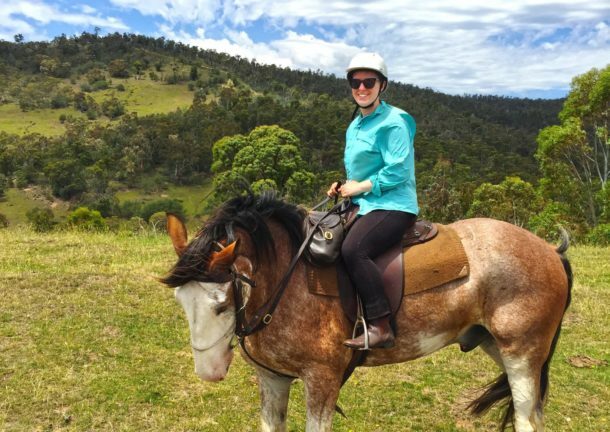 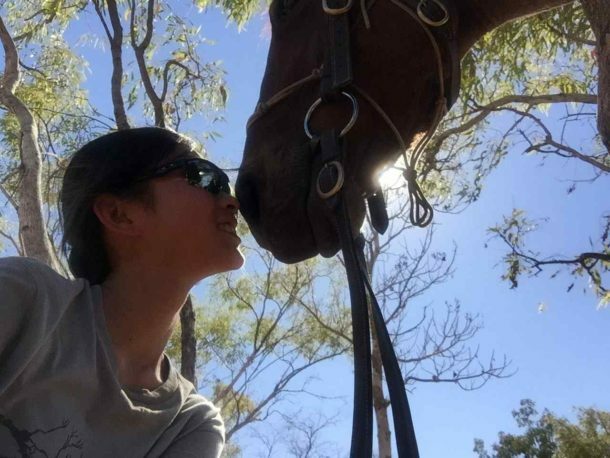 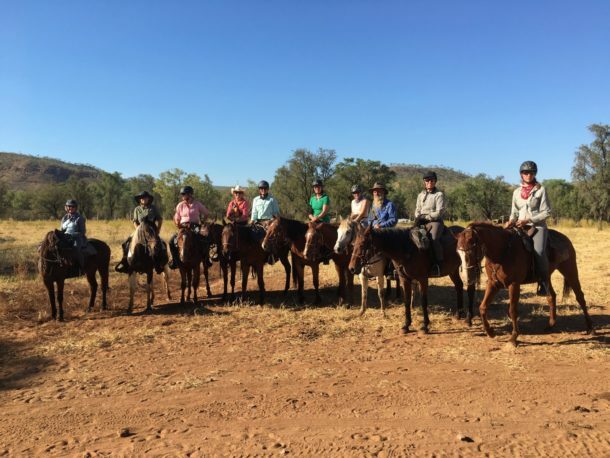 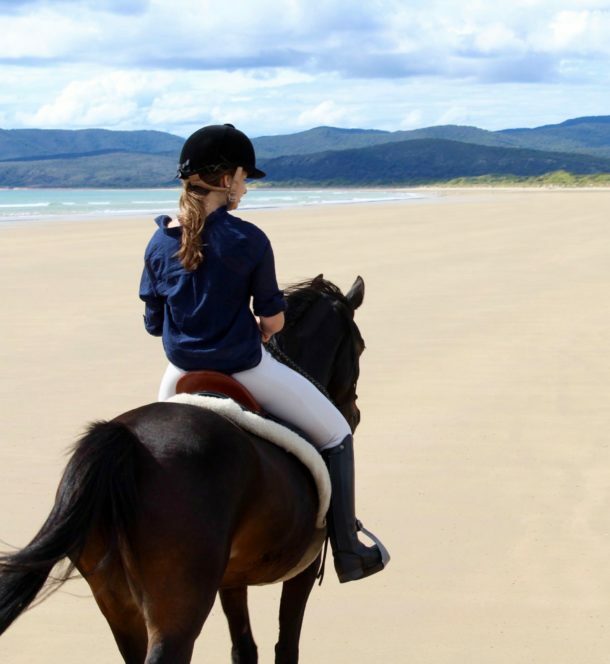 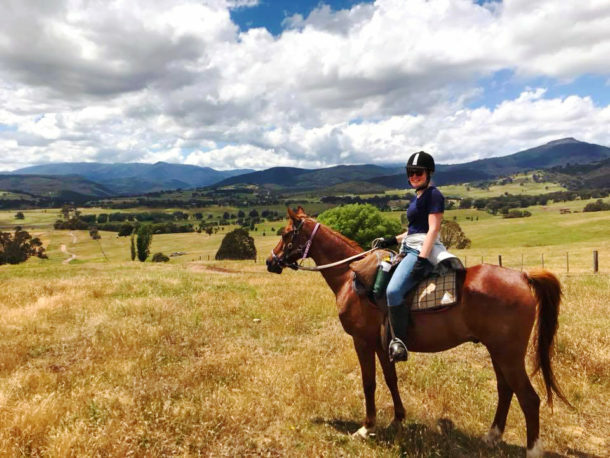 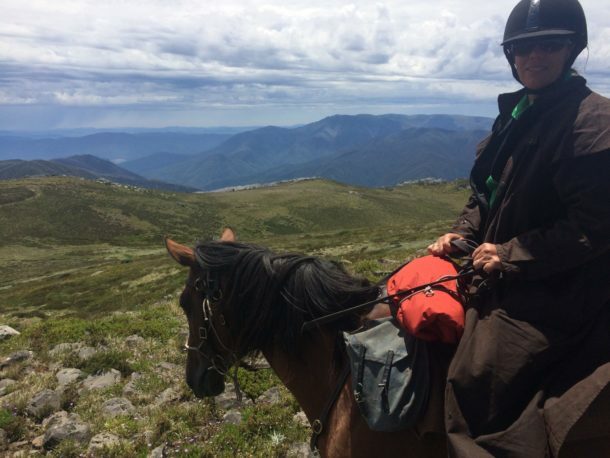 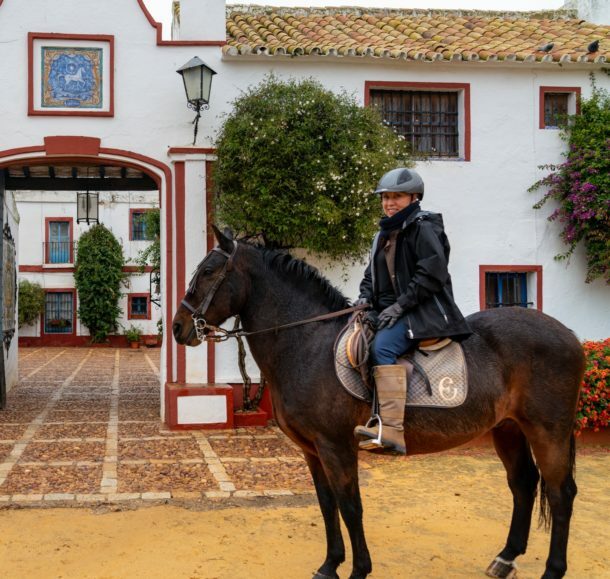 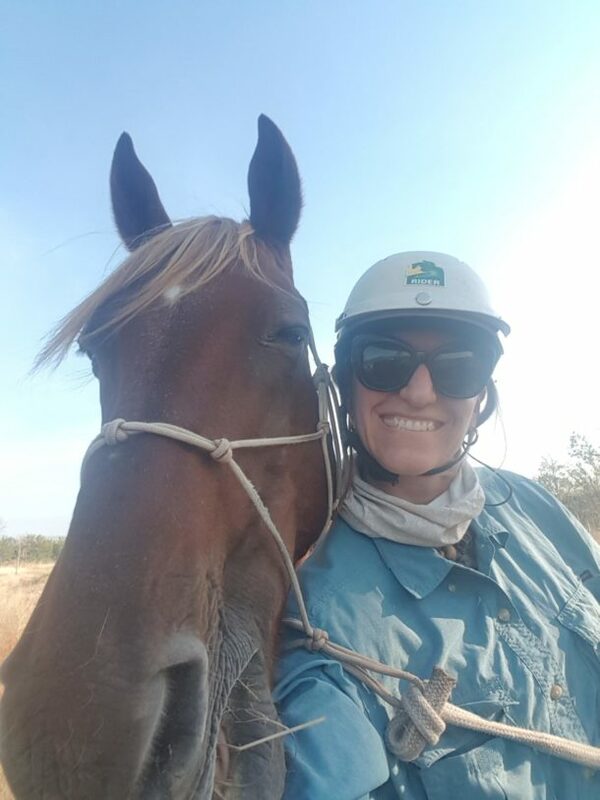 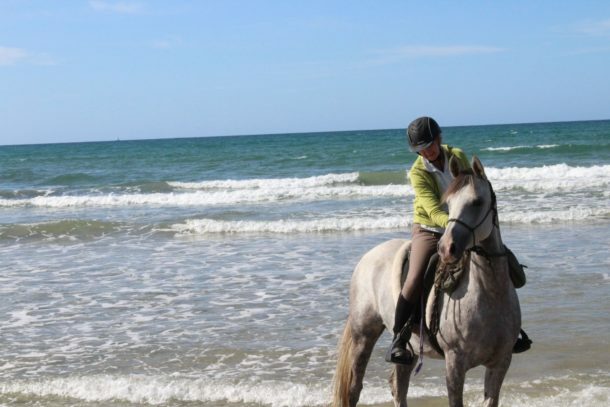 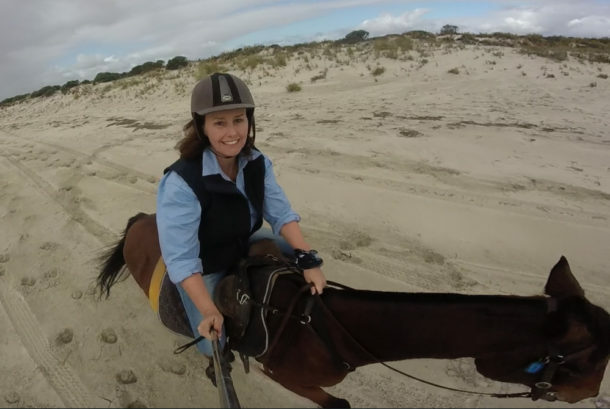 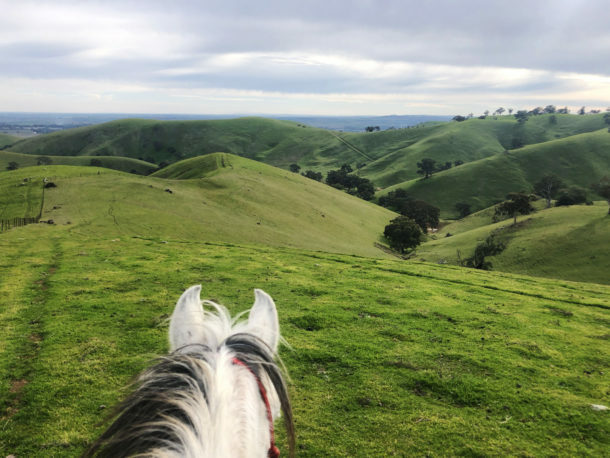 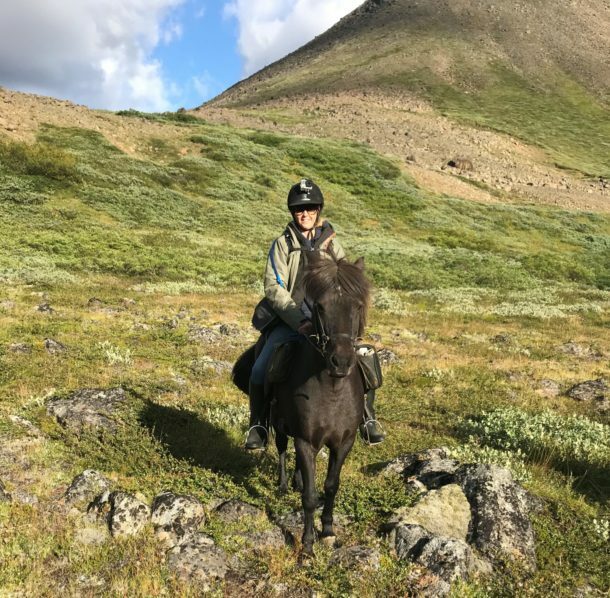 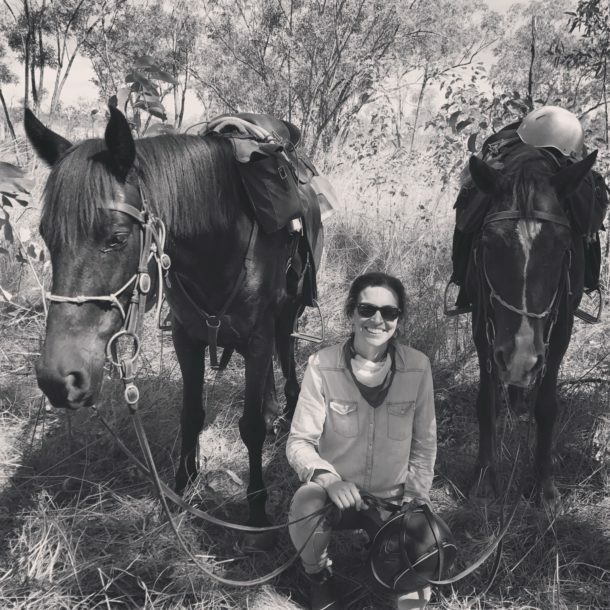 My ride was half dressage and half trail riding – which was a huge step for me as I’ve done very little dressage, but I learnt heaps, had lots of fun, and at no stage felt left out. 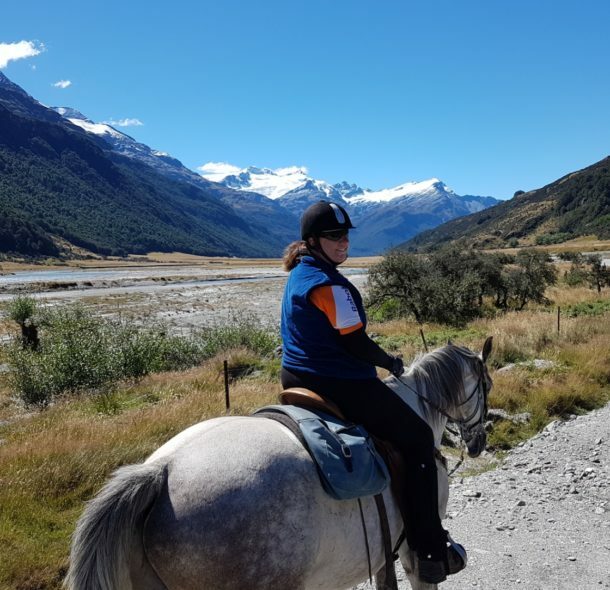 I was so nervous about travelling on my own but there was no need to be, everything was taken care of. 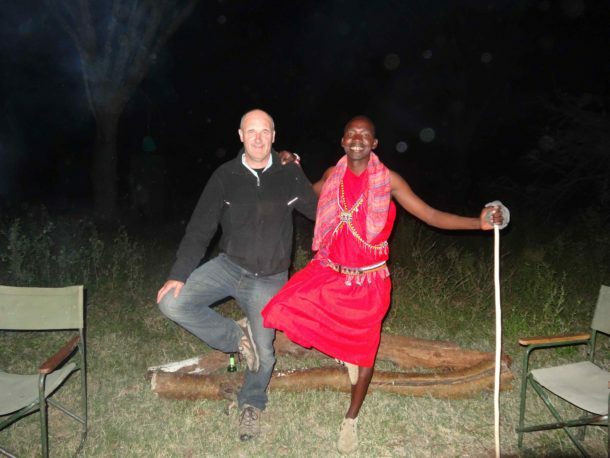 The accommodation and food were brilliant and we were looked after so well. 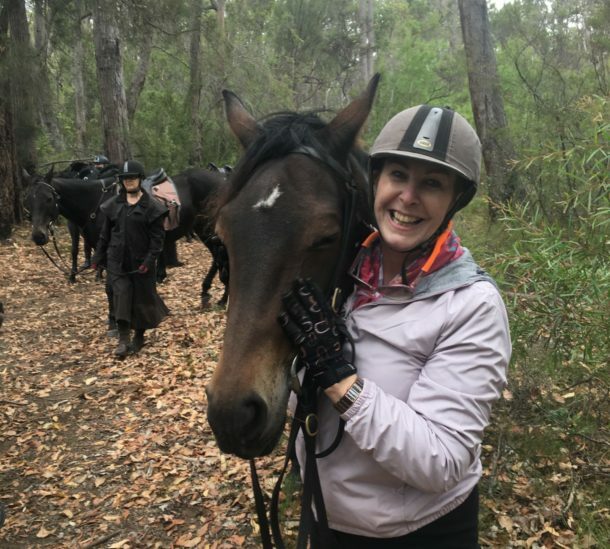 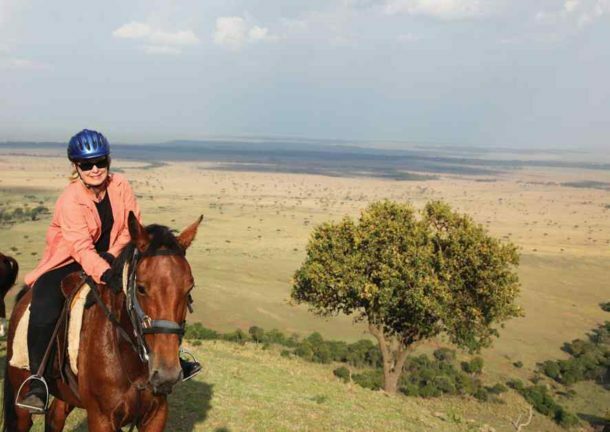 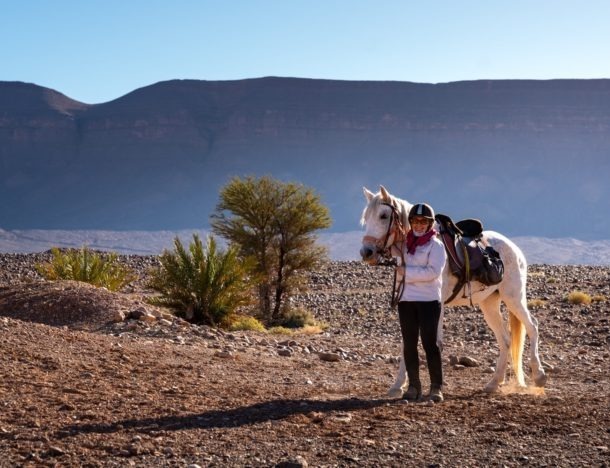 Advice to others considering this ride: firstly, try to be riding fit – I was and it paid dividends; pack light and pack your sense of humour; and be prepared to have the best time possible. 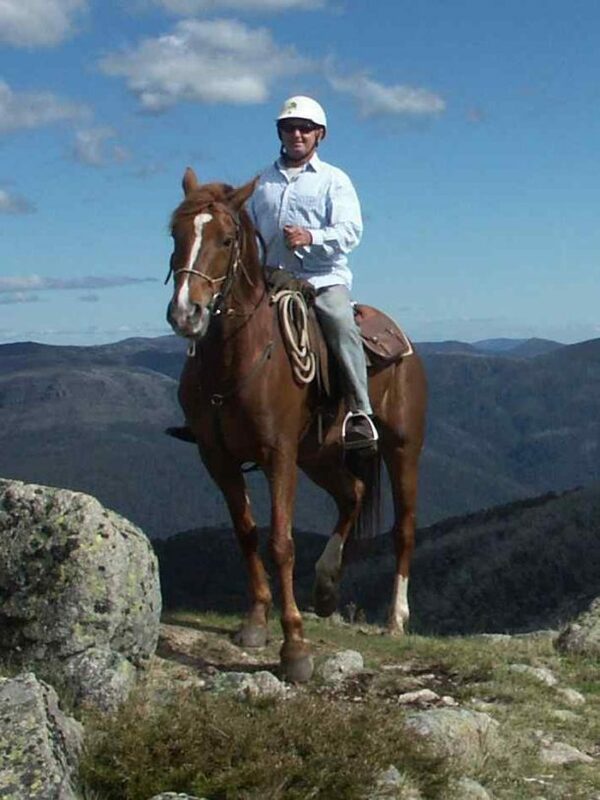 ‘Excellent customer service on every level. 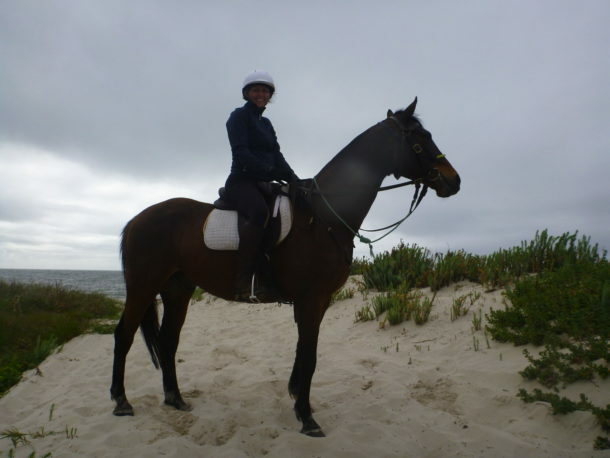 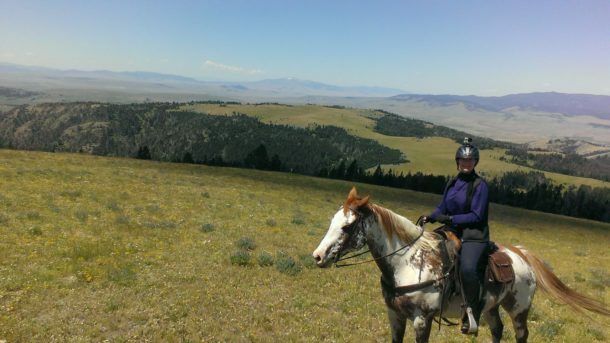 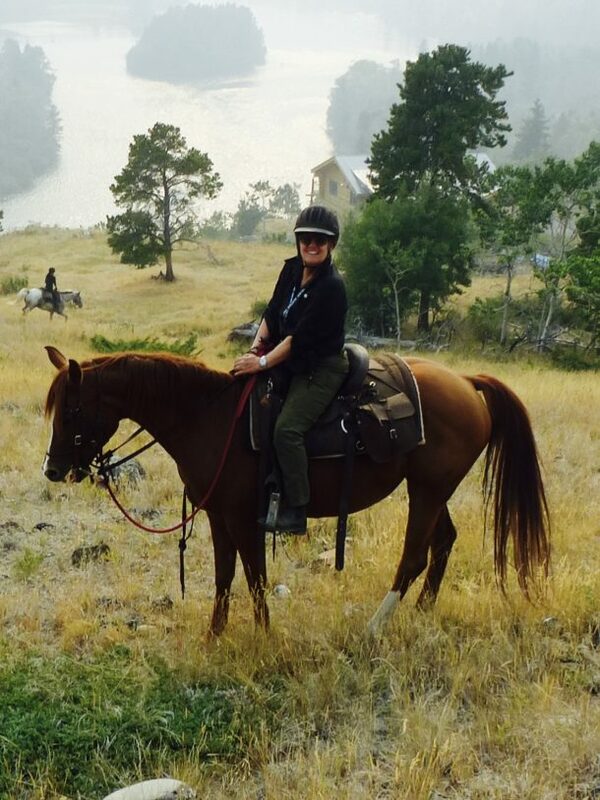 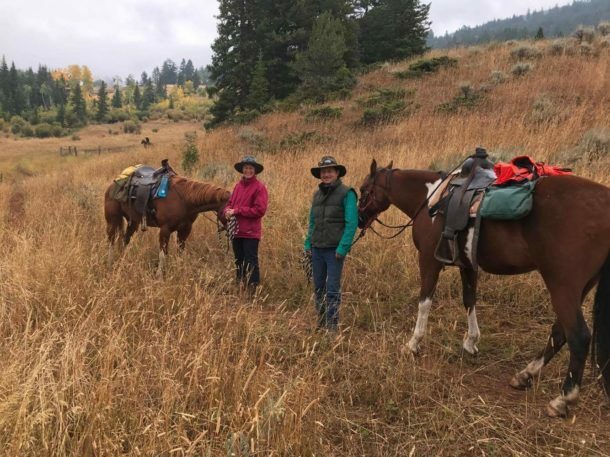 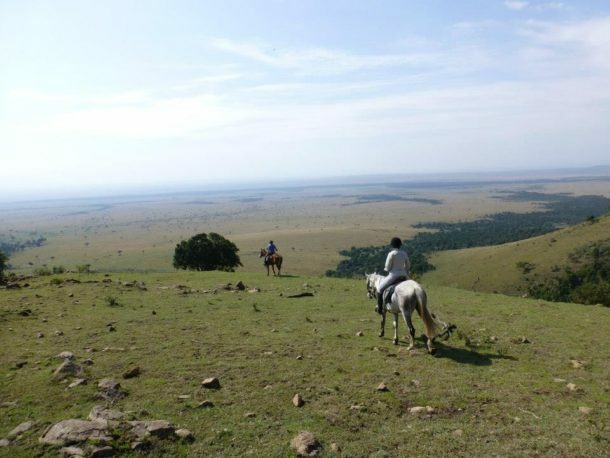 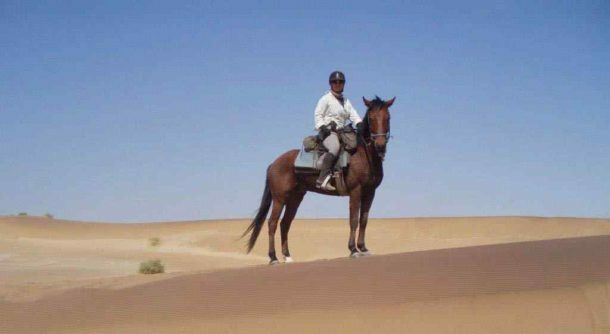 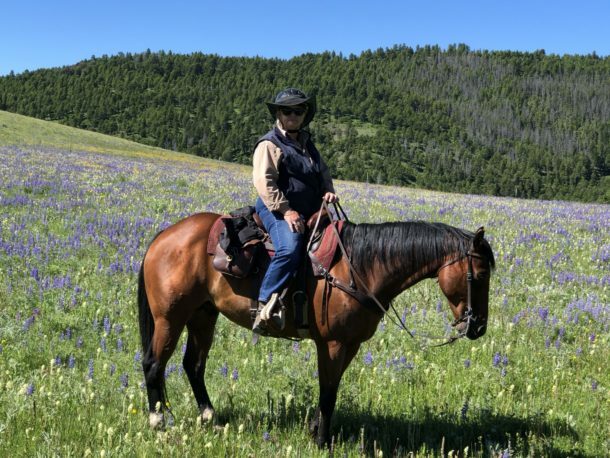 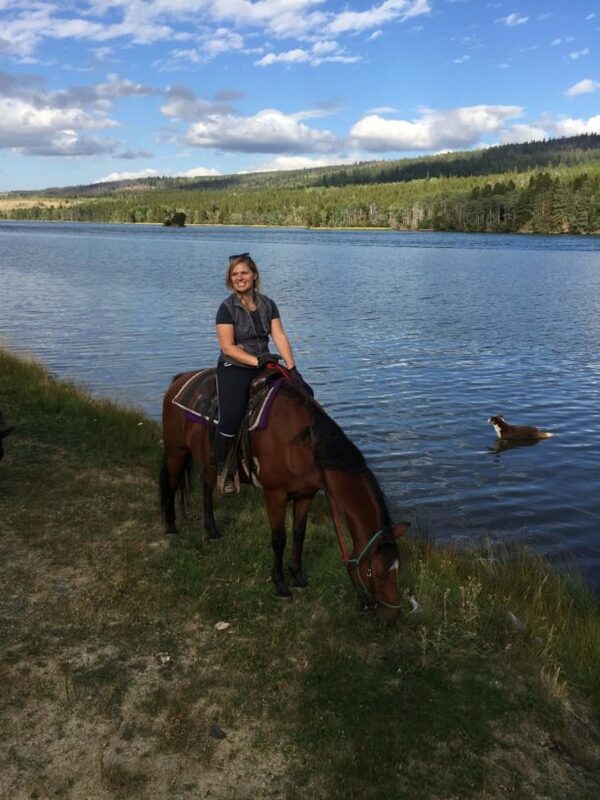 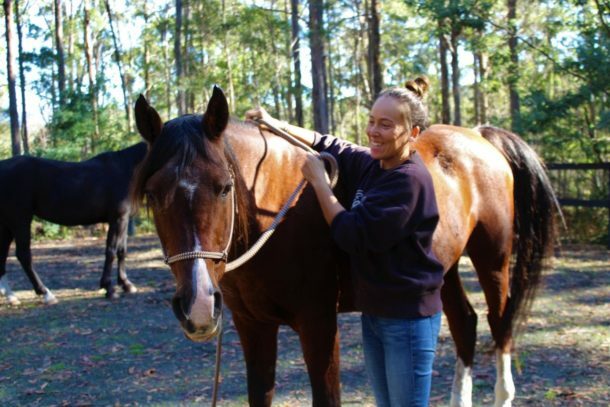 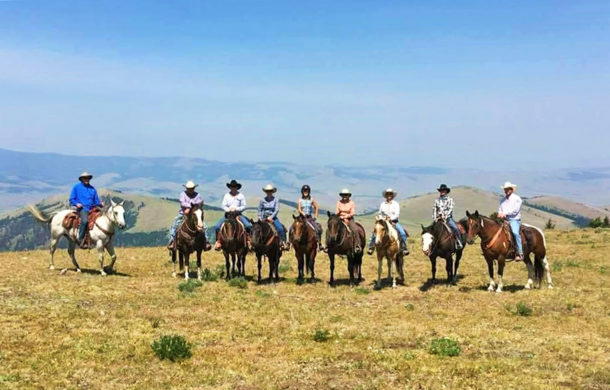 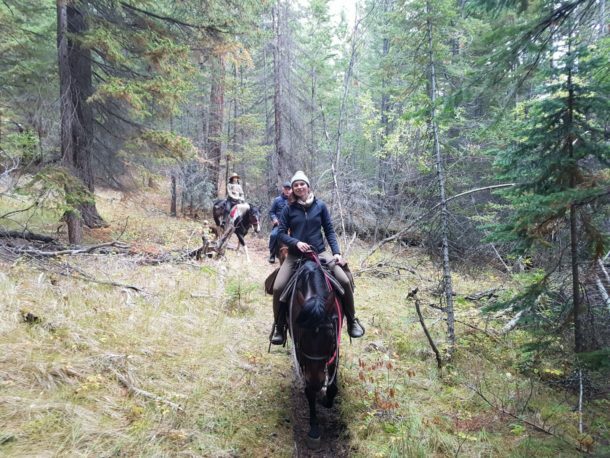 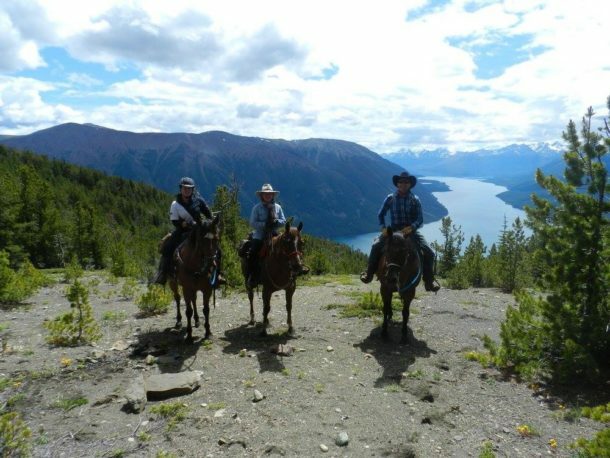 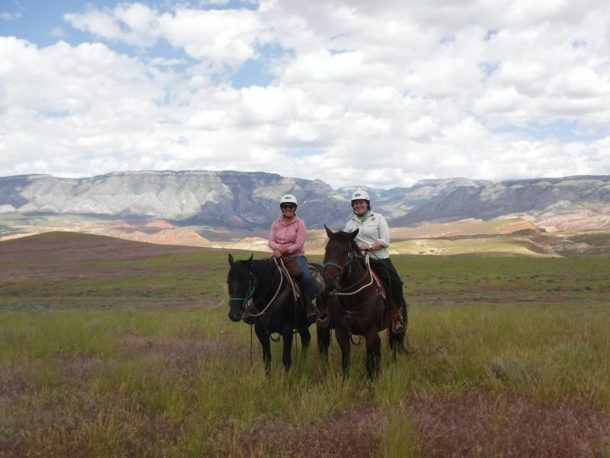 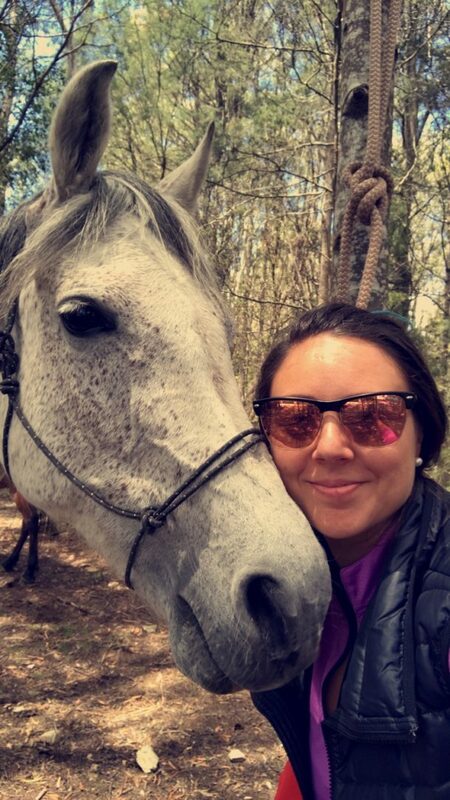 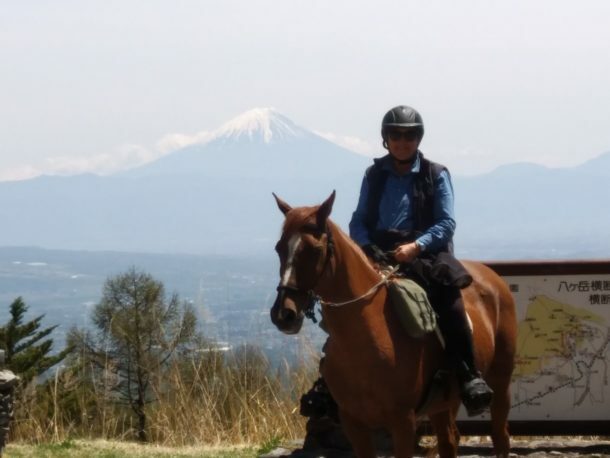 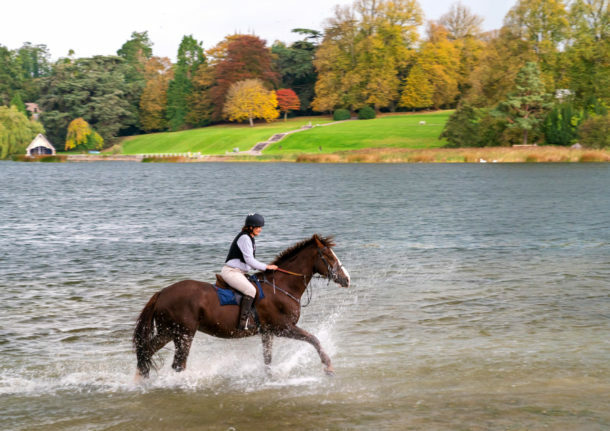 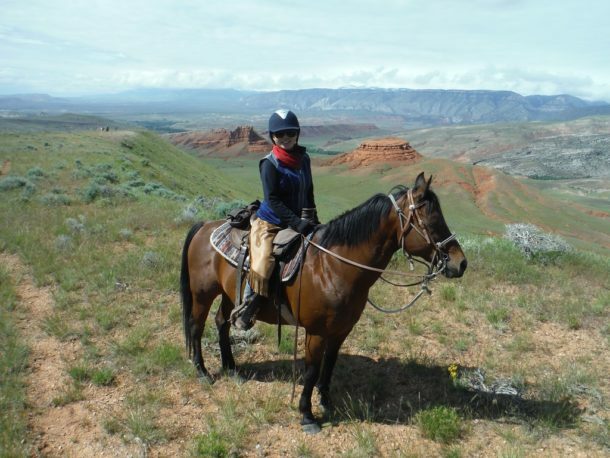 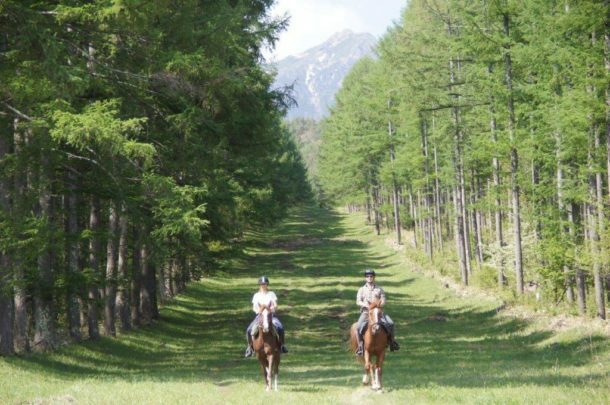 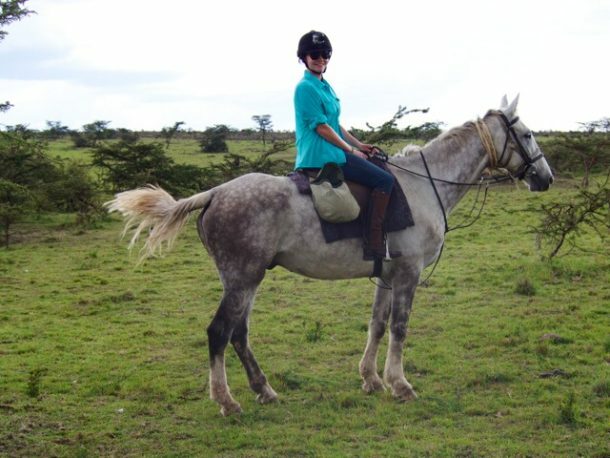 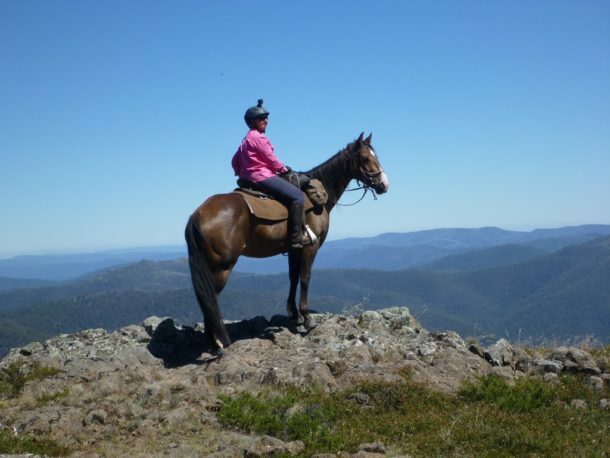 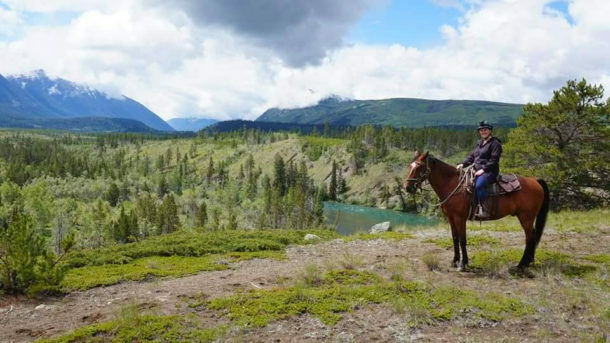 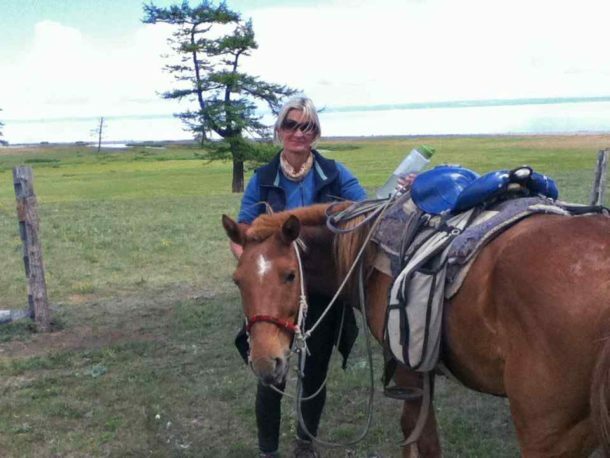 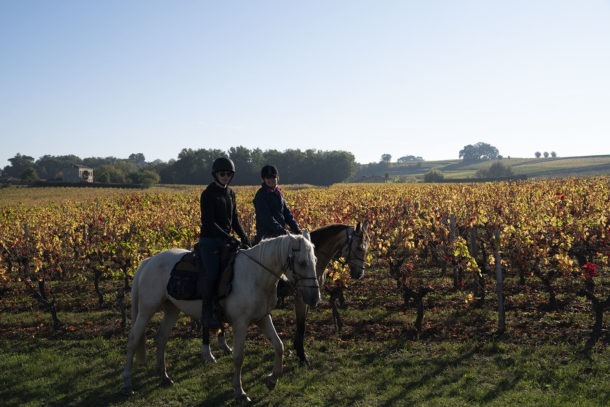 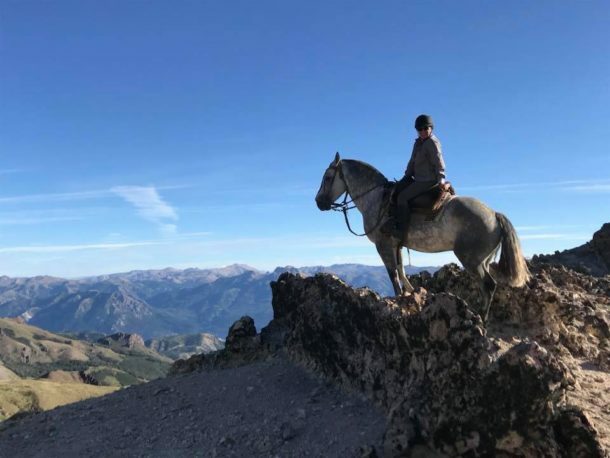 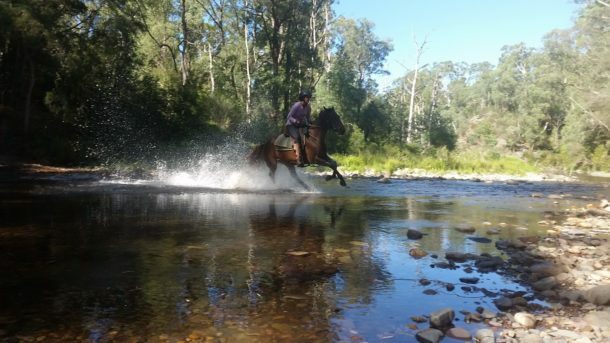 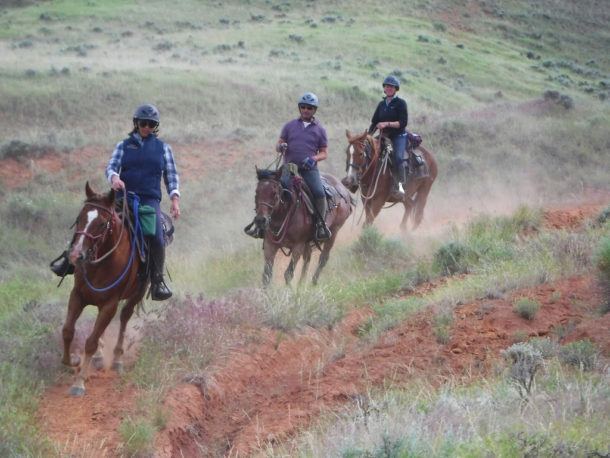 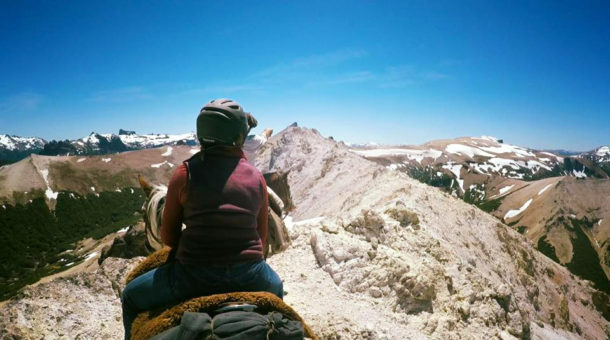 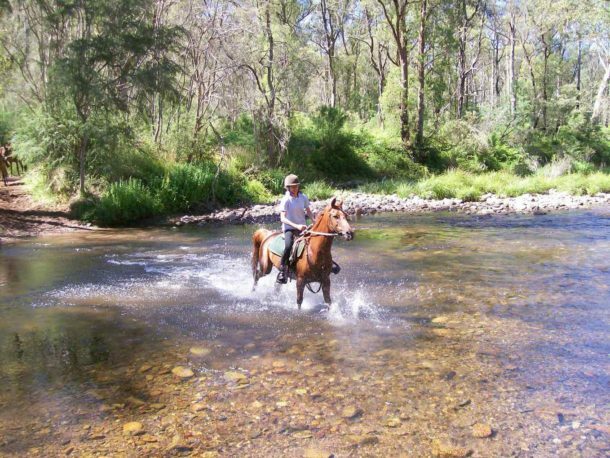 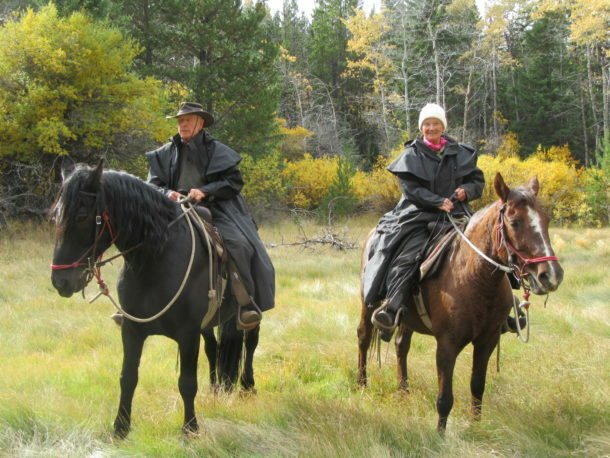 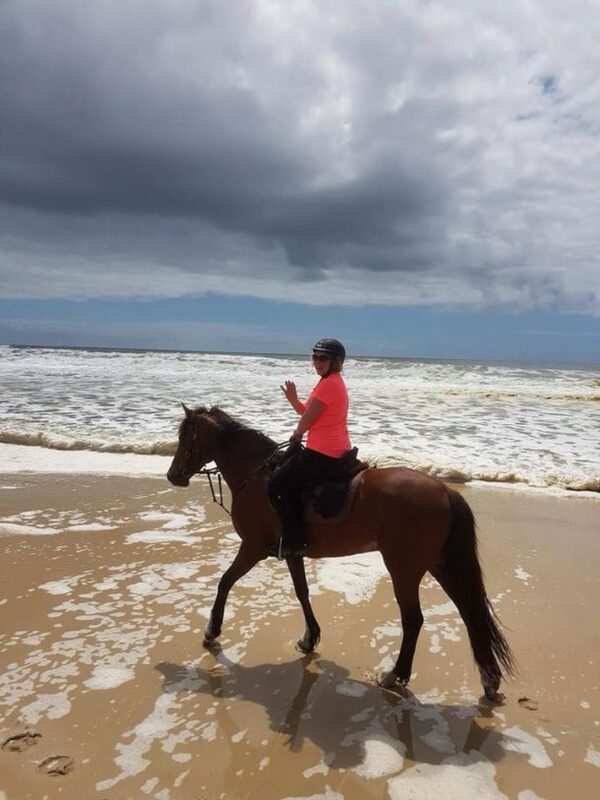 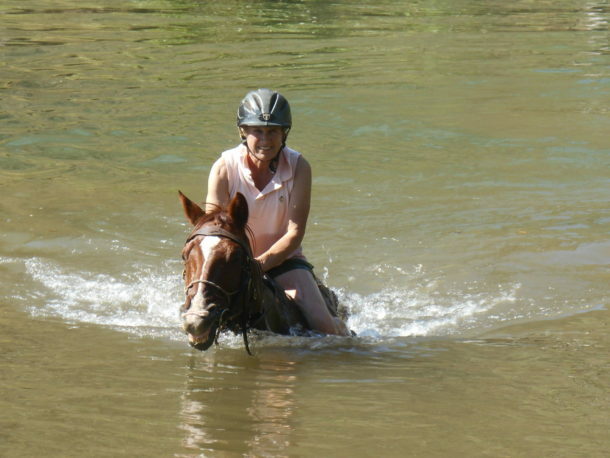 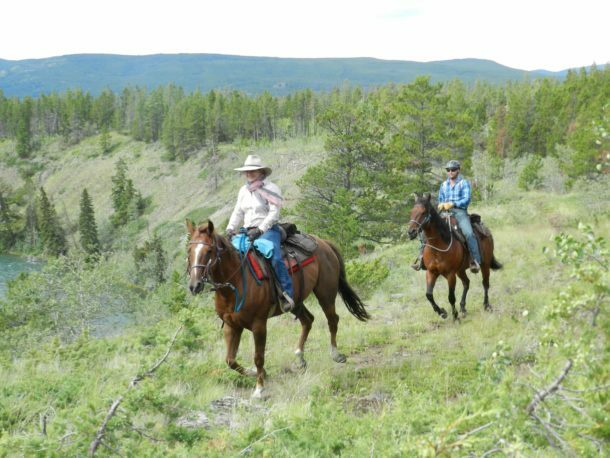 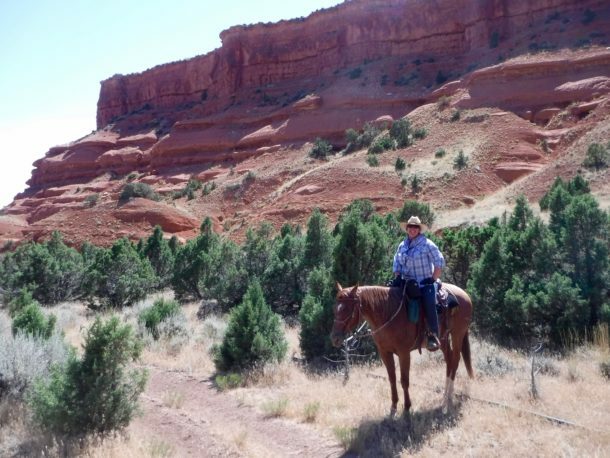 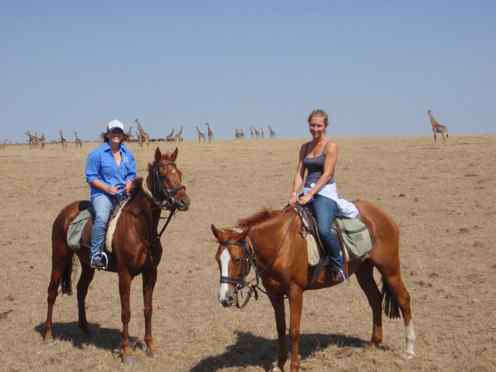 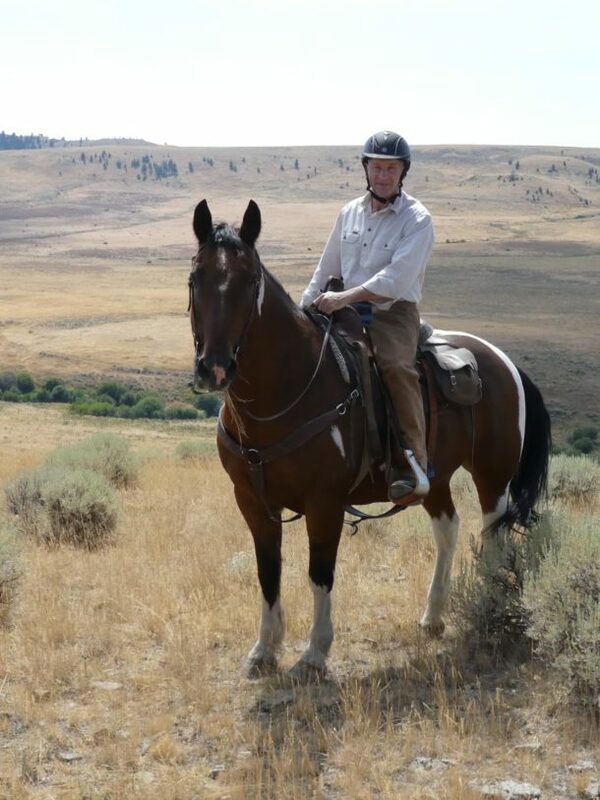 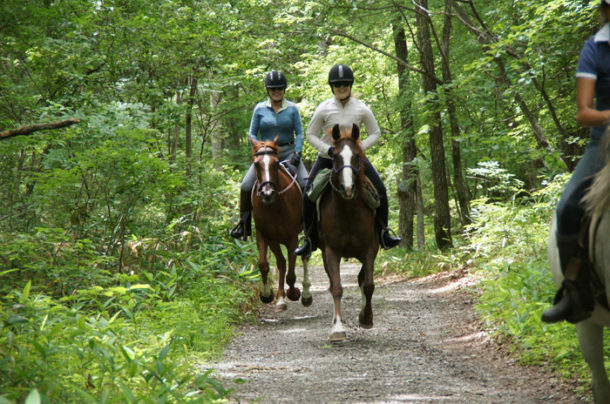 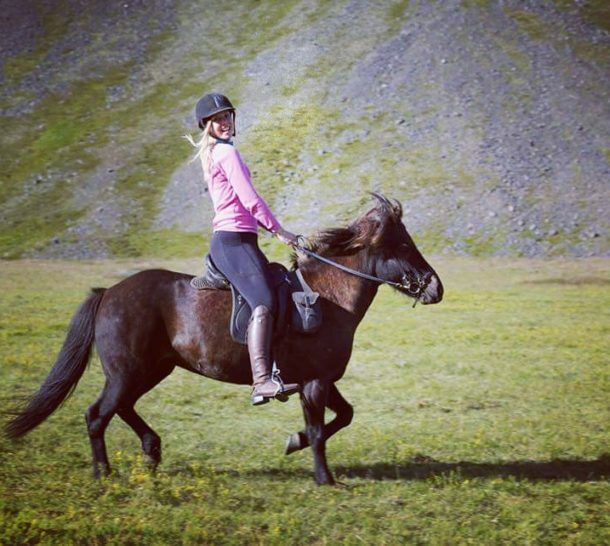 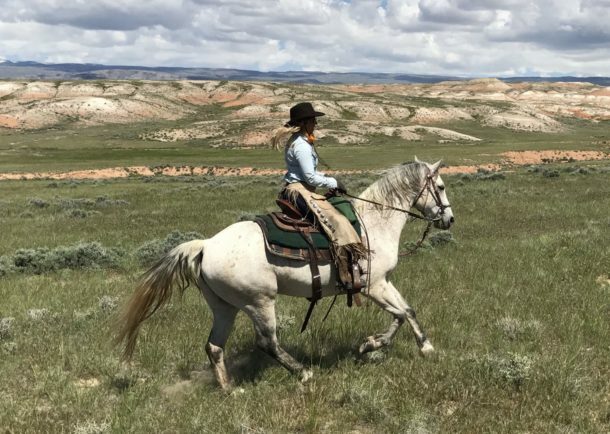 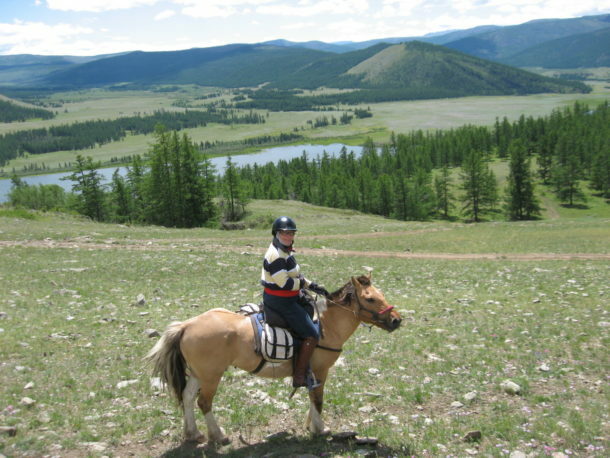 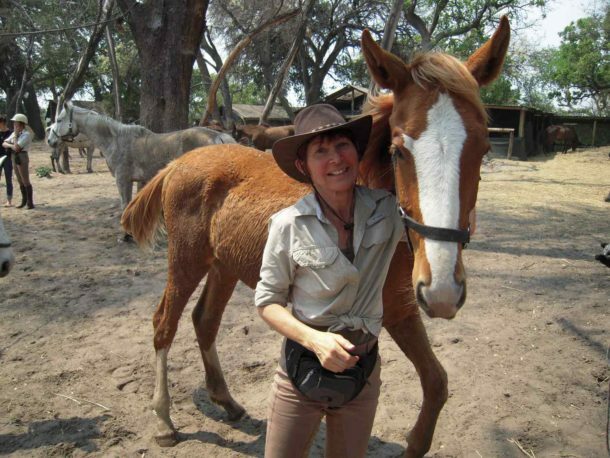 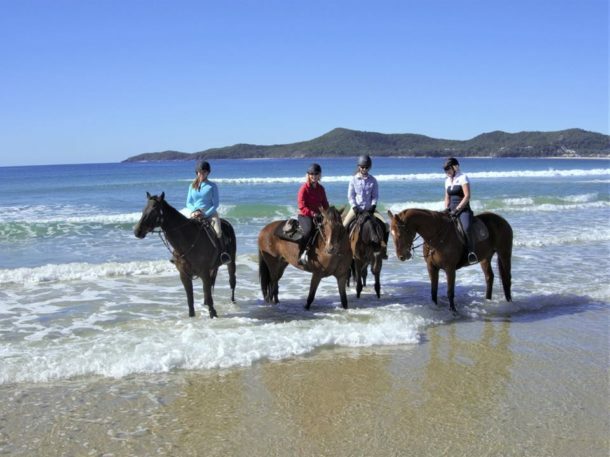 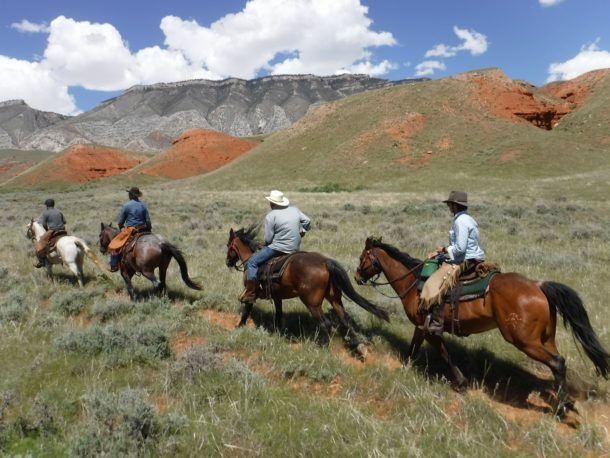 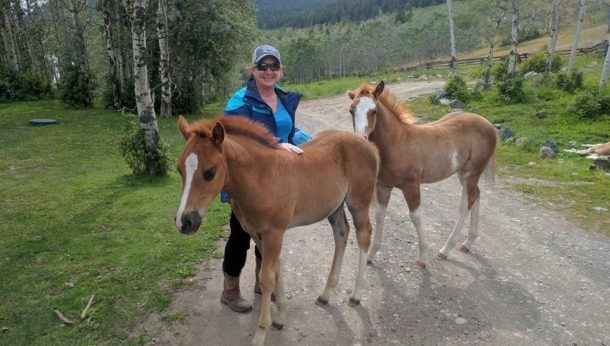 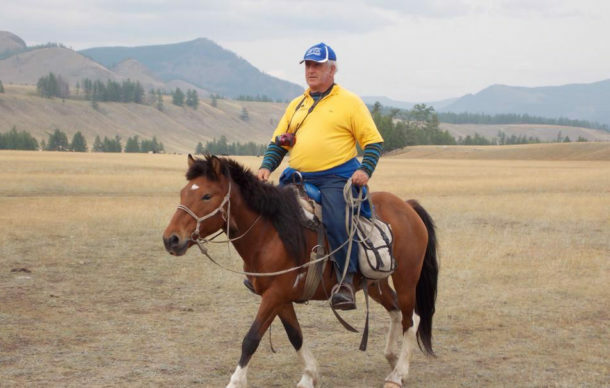 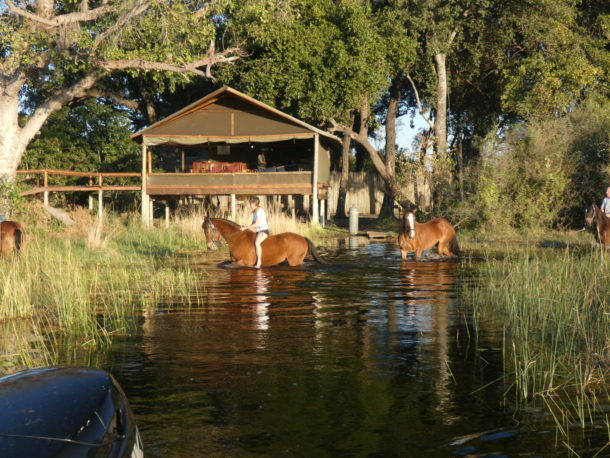 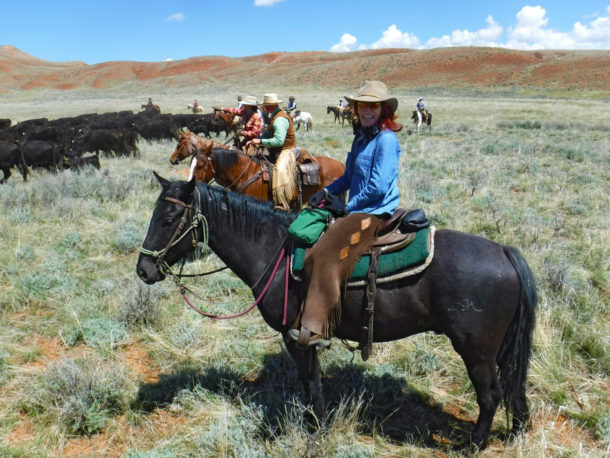 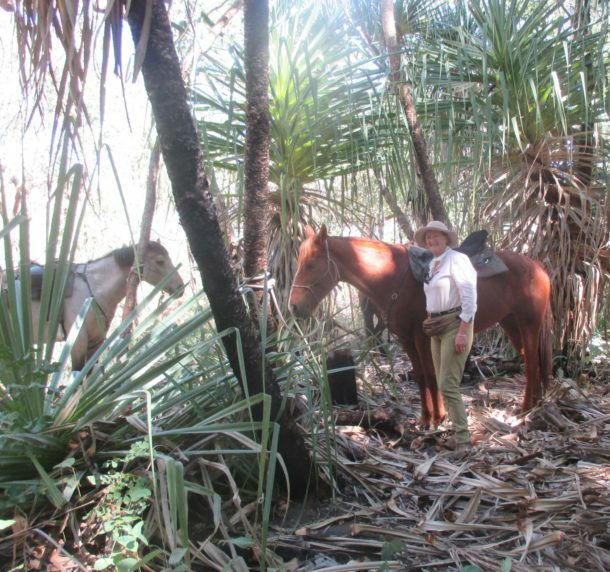 Horses and trips that you have personally been on and thus know they are great quality. 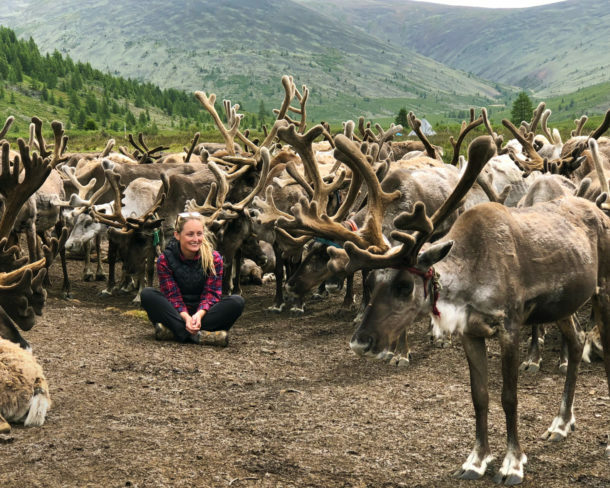 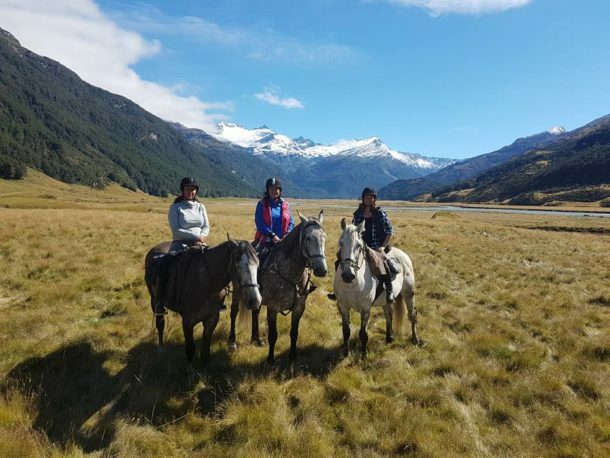 Unique trips that are not offered anywhere else. 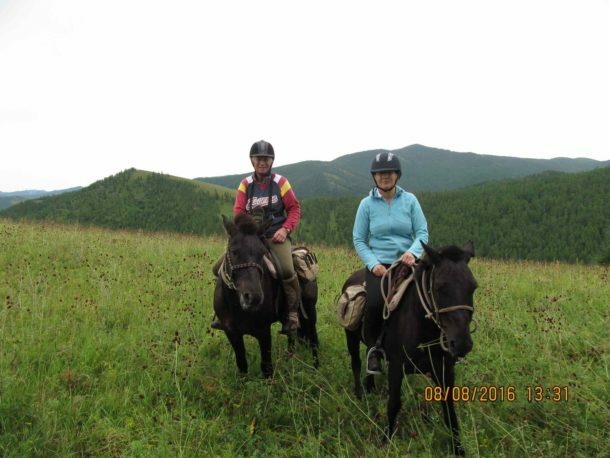 A genuine desire to provide the best of everything giving all the info needed, offering options, taking our requests seriously. 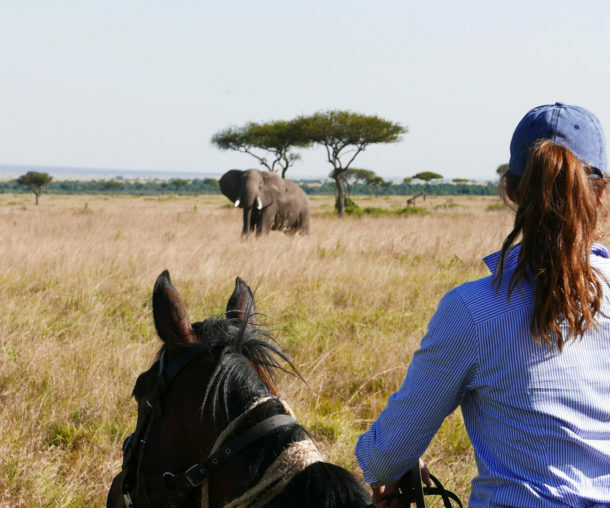 The booking process and payment options make it easy. 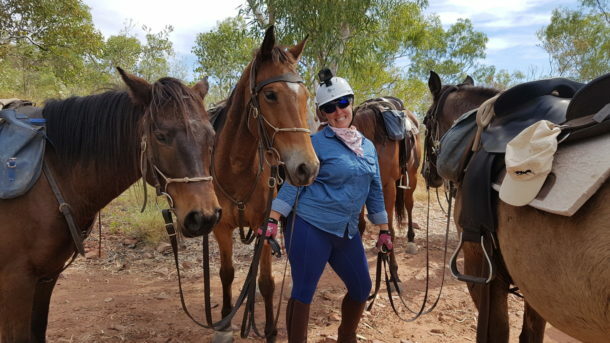 ‘I enjoyed the information leading up to the ride, the emails, the group messages and the private Facebook group. 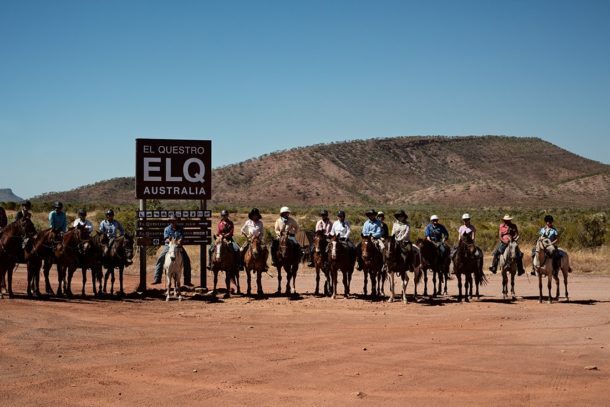 No question is a silly question. 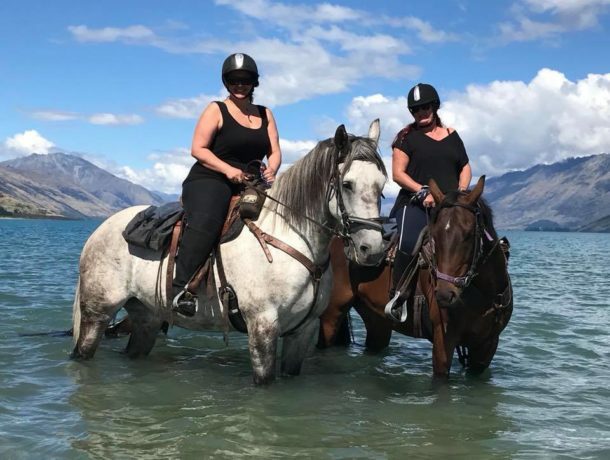 There is so much risk to take when booking a ride, especially as first timers, but once you get connected to the group, you get a sense of relief and the excitement kicks in. 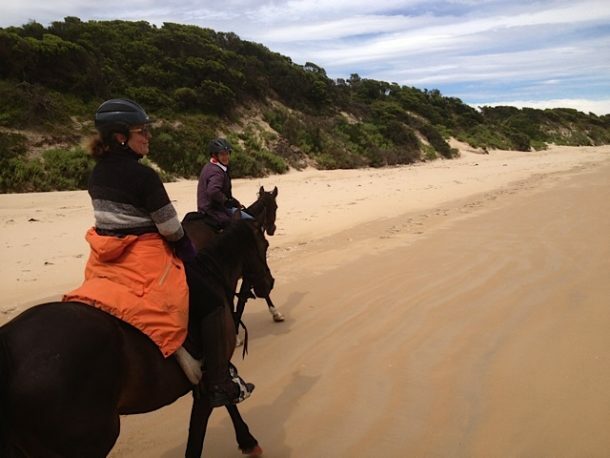 Everything is so well organised and surpasses your expectations. 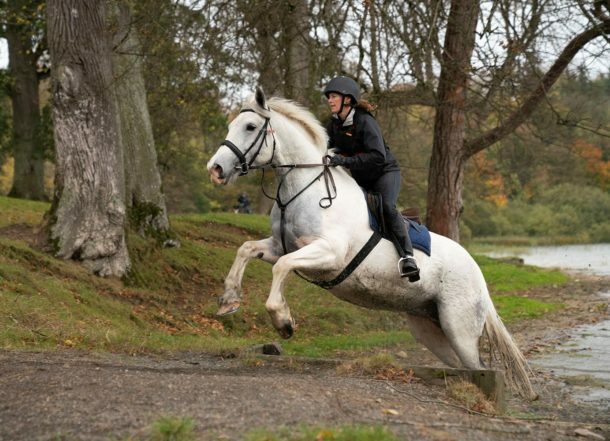 And the pairing of your horse is incredibly well done! 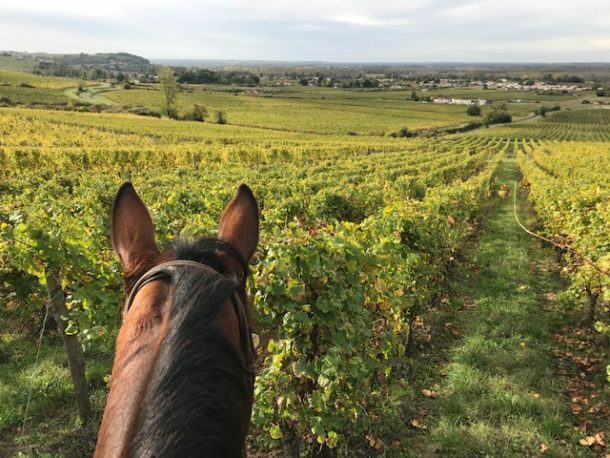 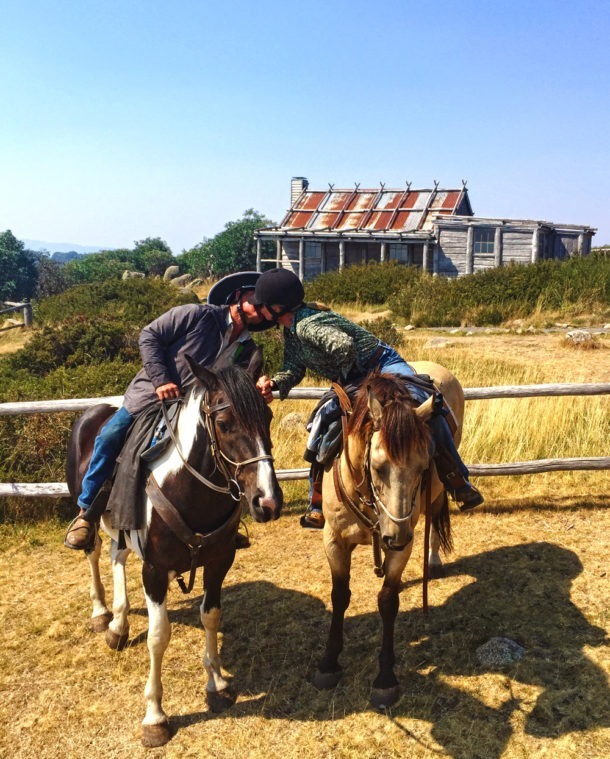 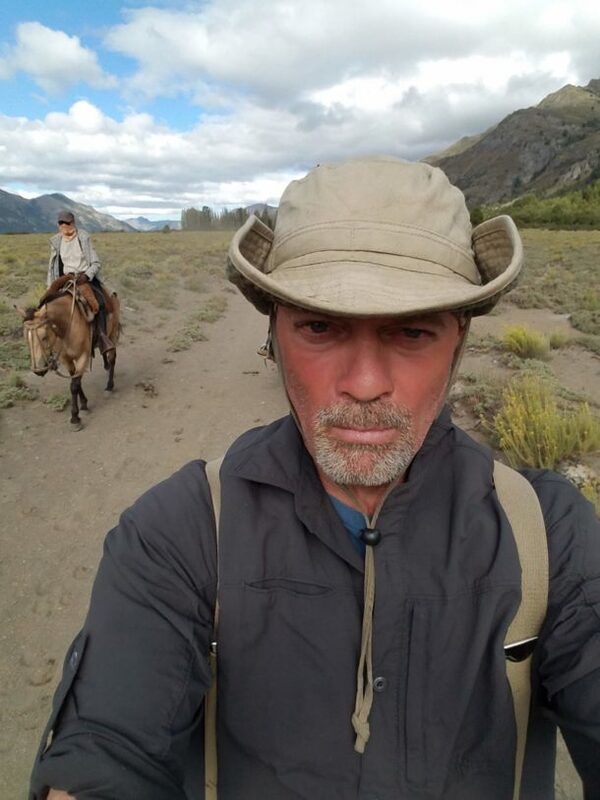 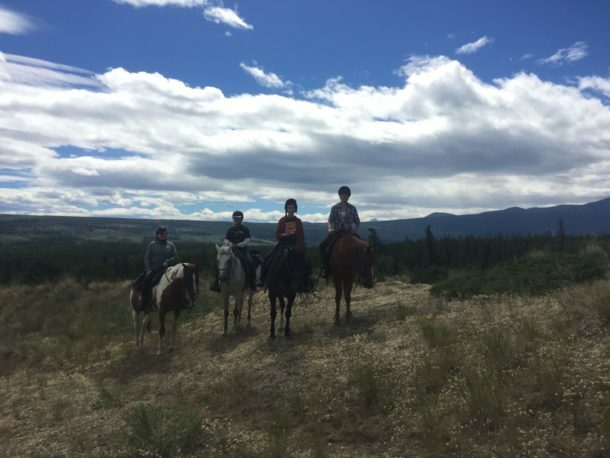 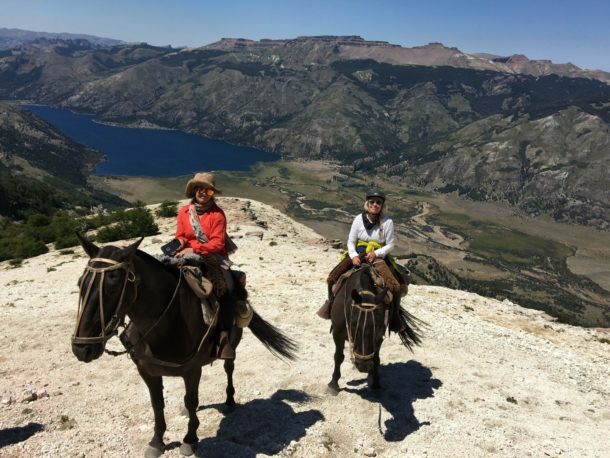 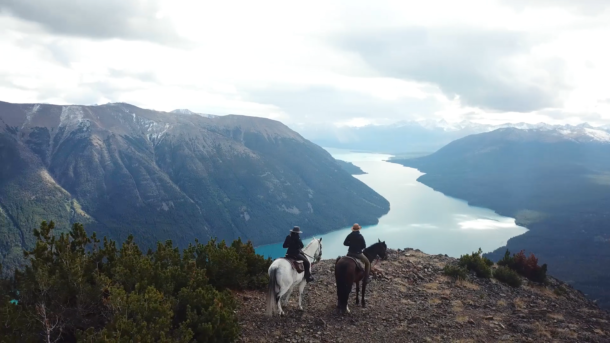 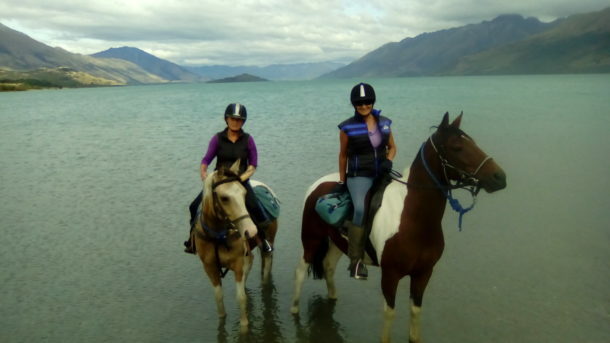 ‘Every day on our ride was amazing and it is hard to think that any one day was better than another. 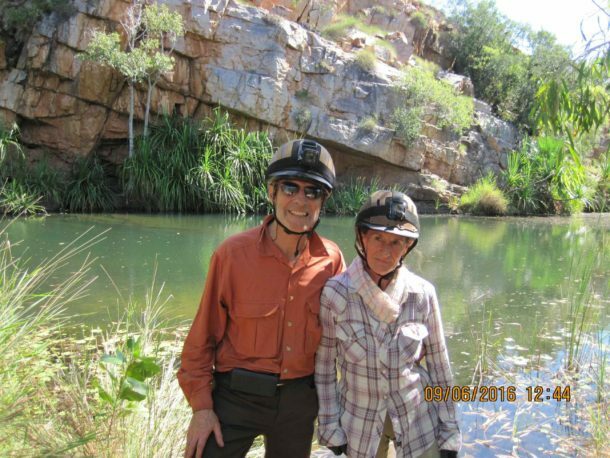 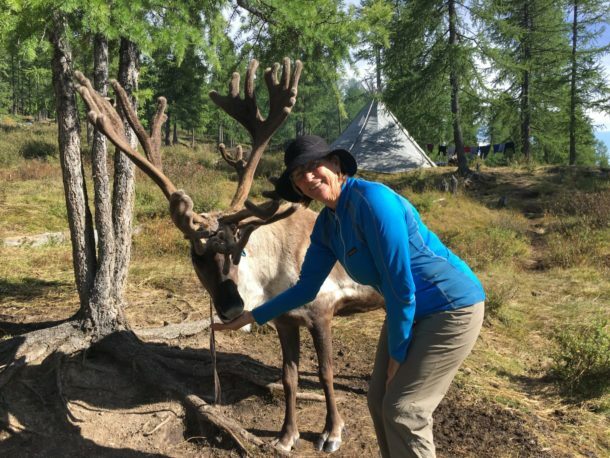 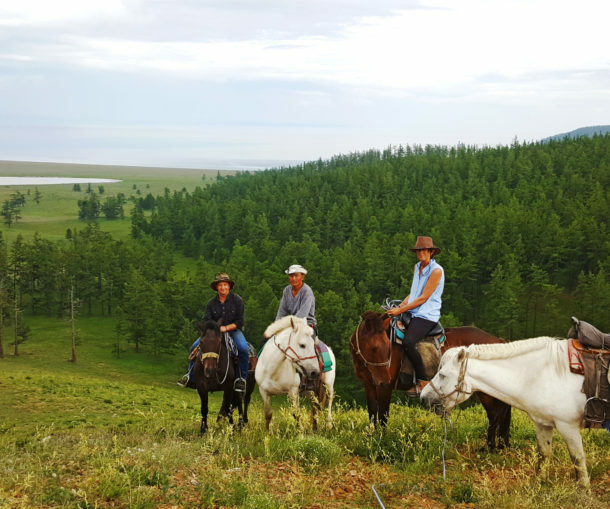 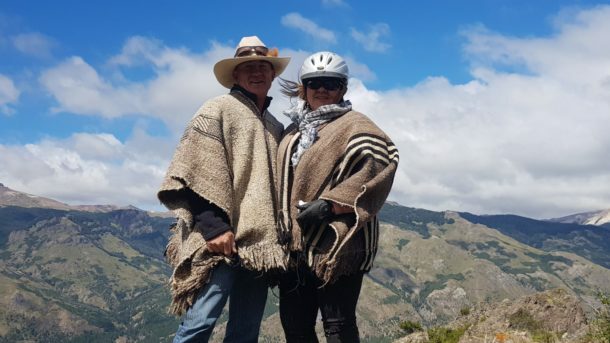 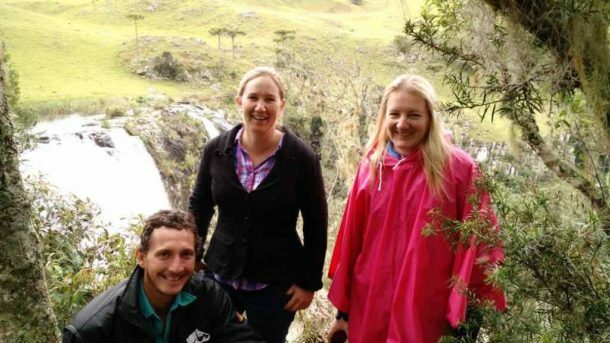 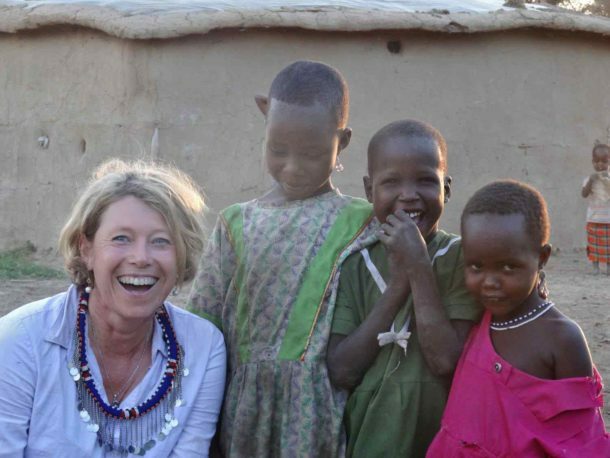 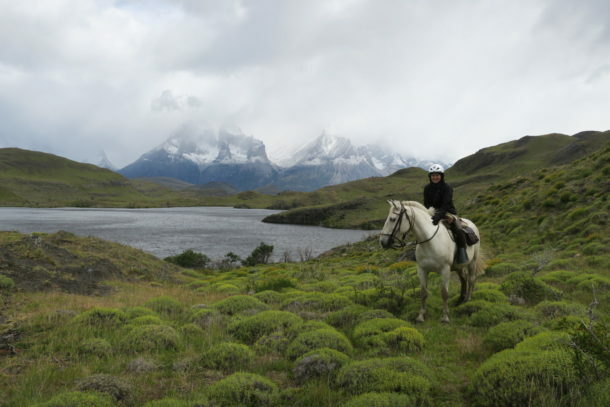 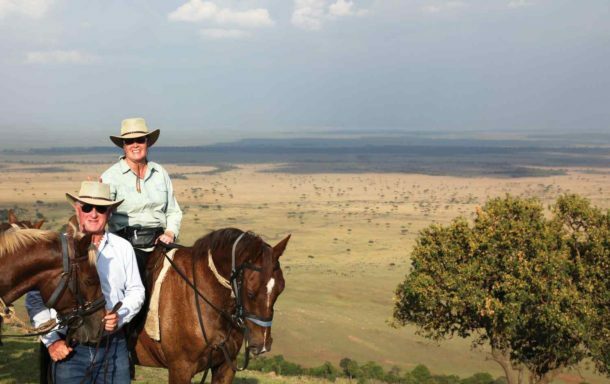 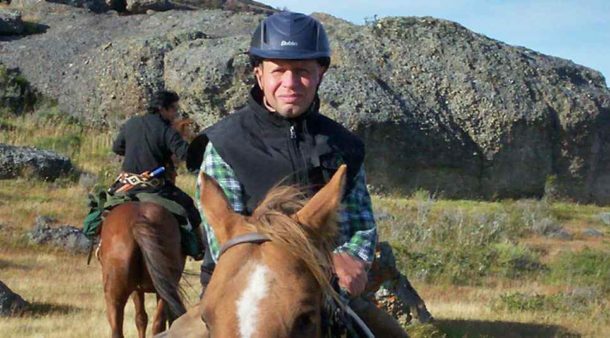 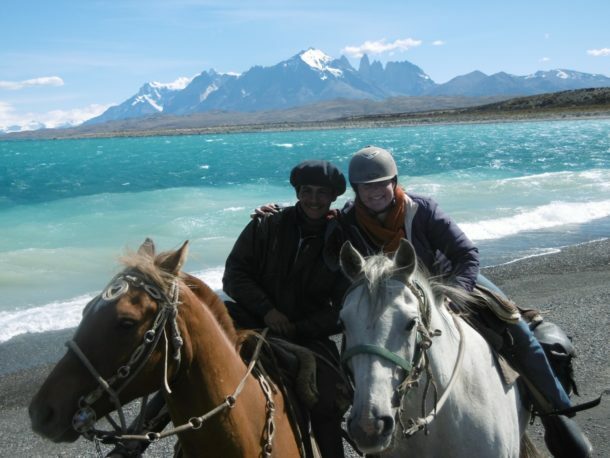 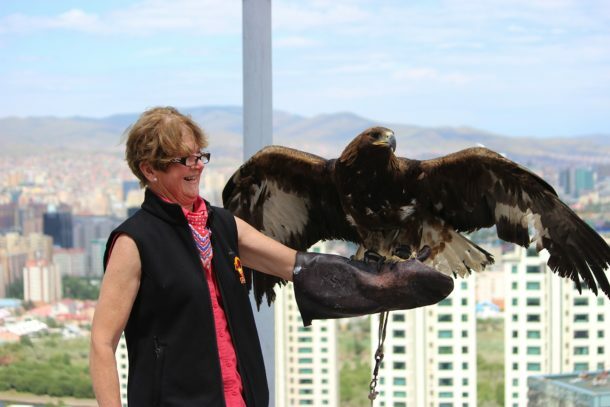 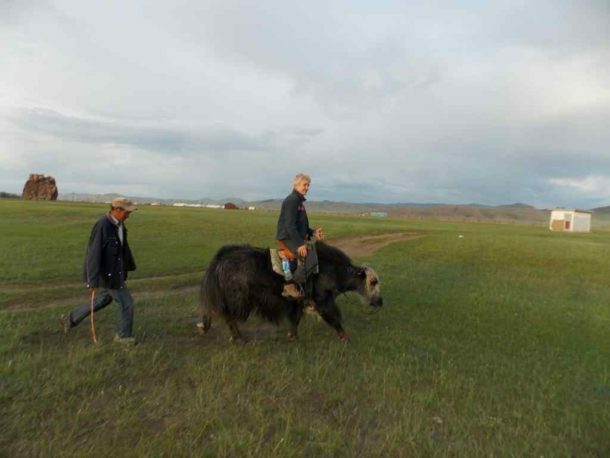 Our hosts Christian and Laura are exceptional operators and we felt really comfortable with our guides. 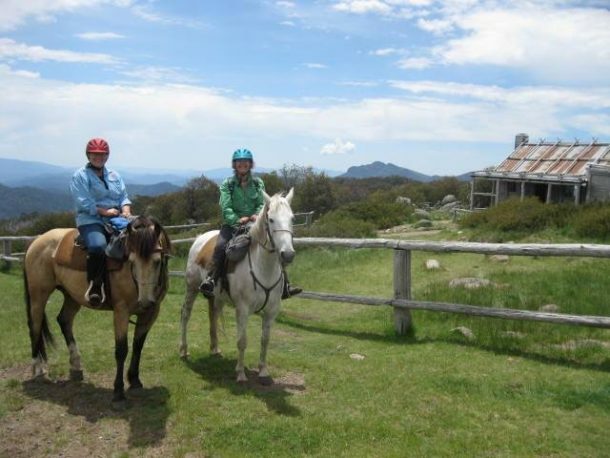 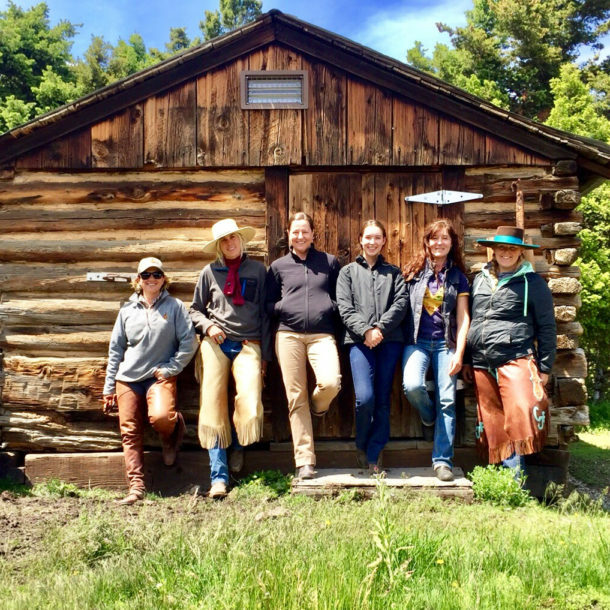 Their knowledge of the country and history was great and we loved listening to their stories of the High Country. 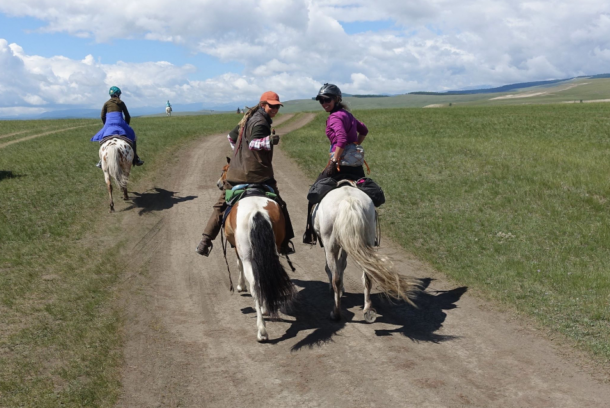 All of our guides were attentive and always looking out for the riders’ safety and comfort. 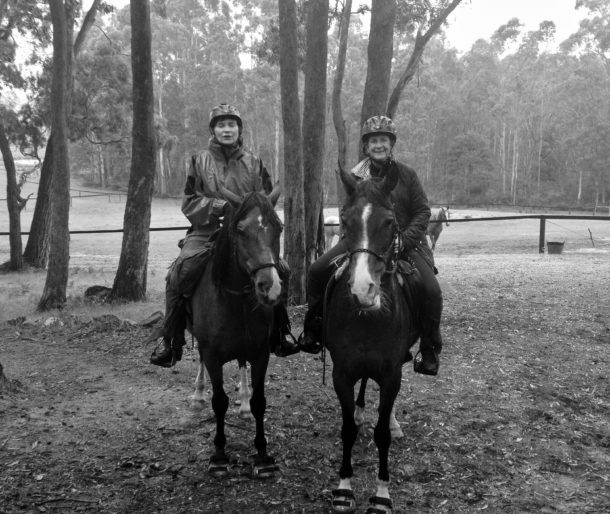 Their sense of fun and humour was second to none. 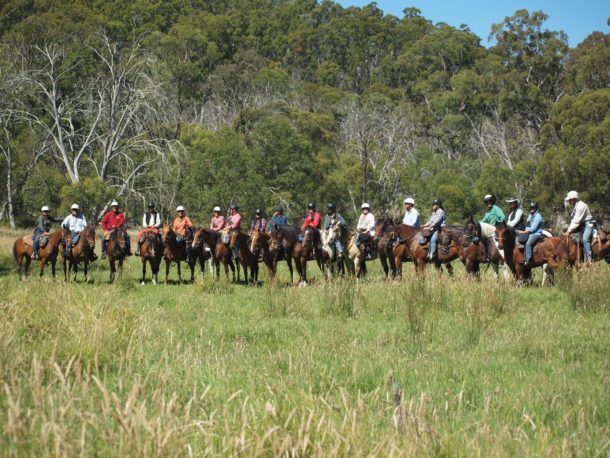 There was heaps of banter, songs around the campfire and just plain good fun. 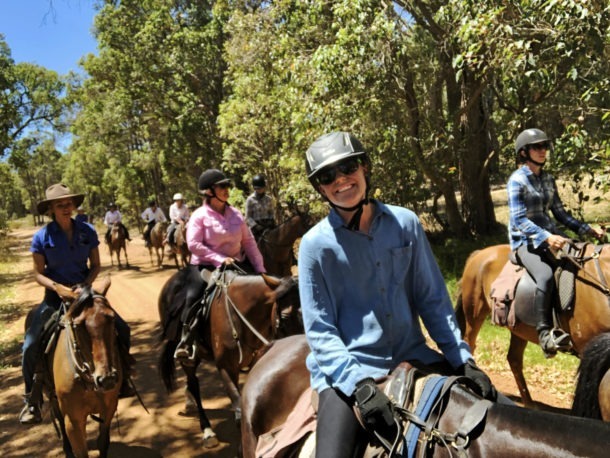 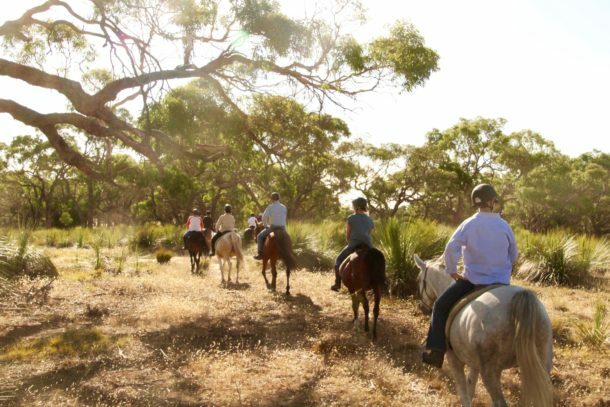 ‘Every day of the Margaret River Ride was perfect. 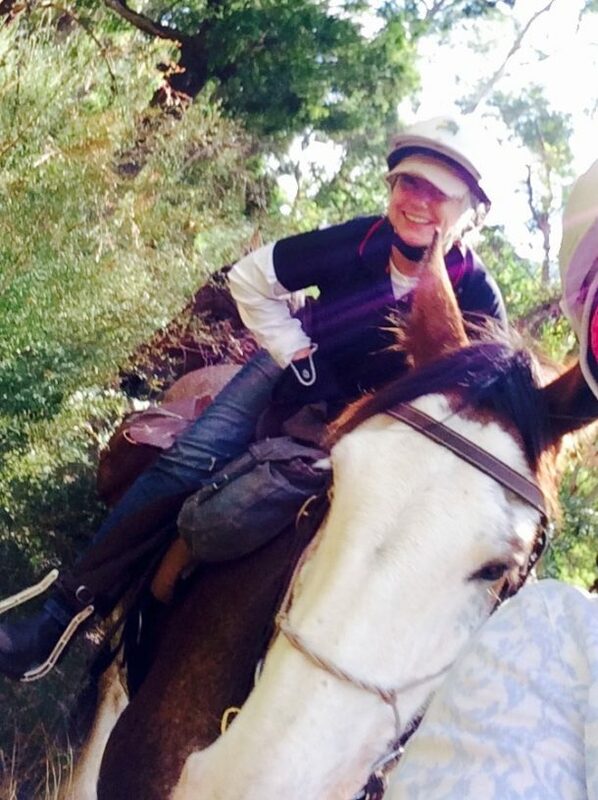 It was a special mother daughter bonding holiday. 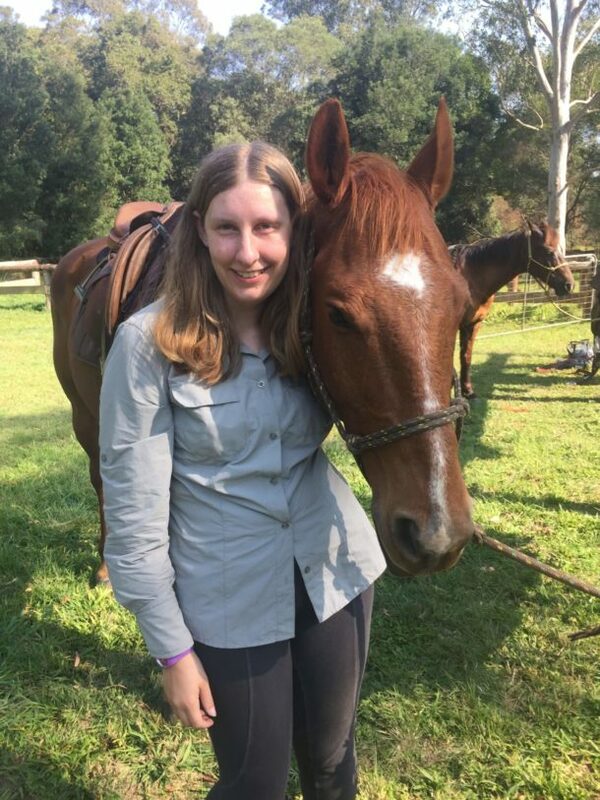 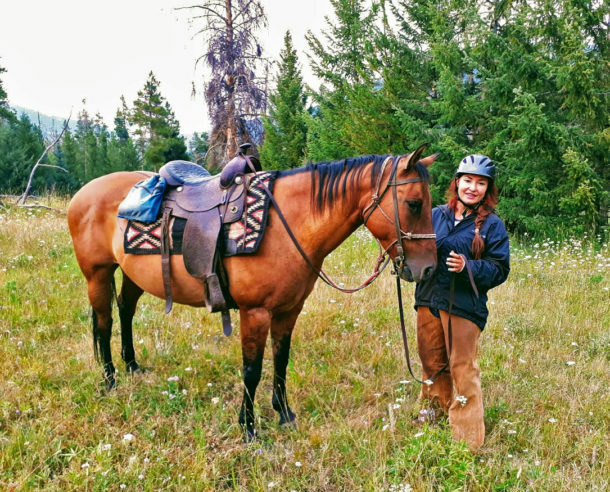 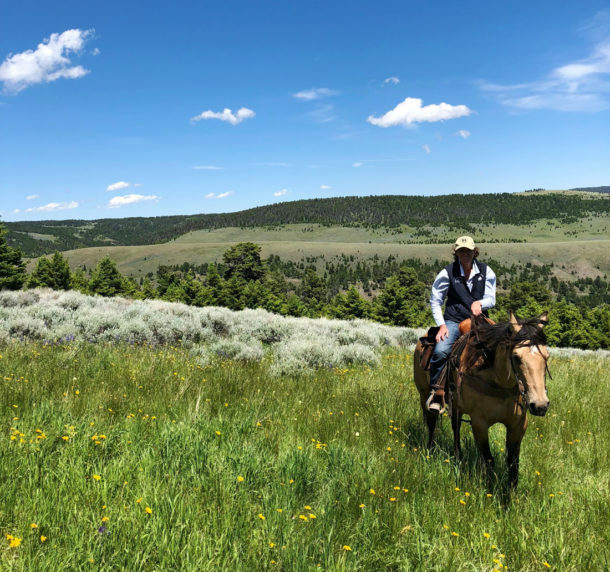 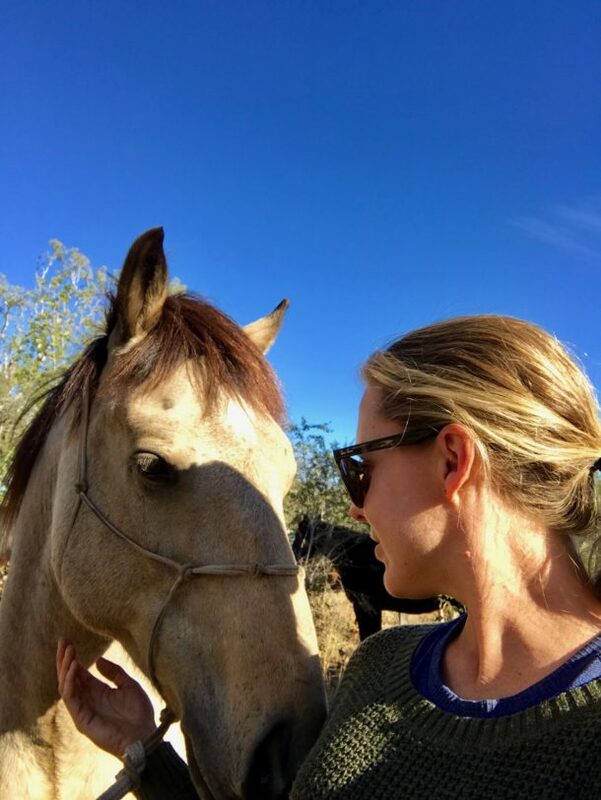 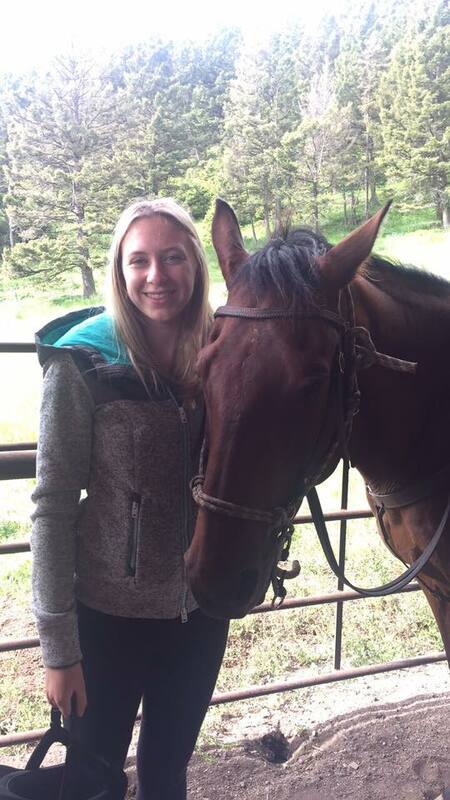 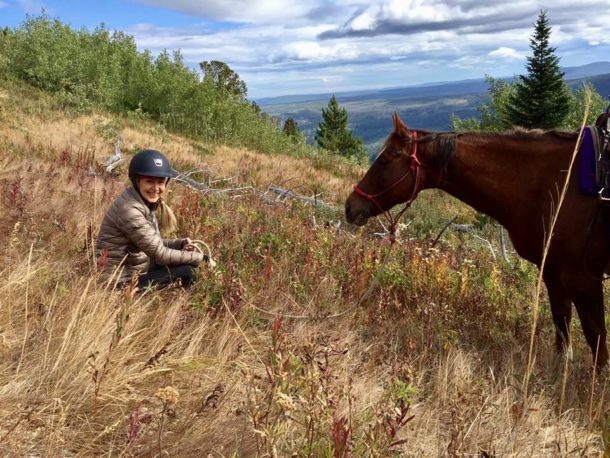 To be able to have one-on-one with my 13 year old daughter is extremely rare, so we both loved every second together, sharing our love of everything horsey. 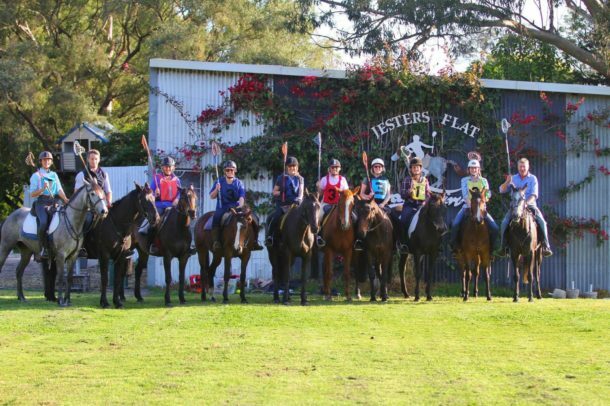 We loved Jesters Flat glamping and the dining room. 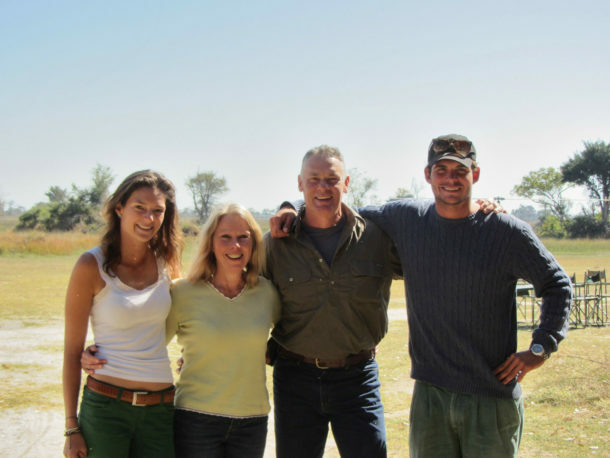 Paul and Fiona and Sally and Keith were lovely. 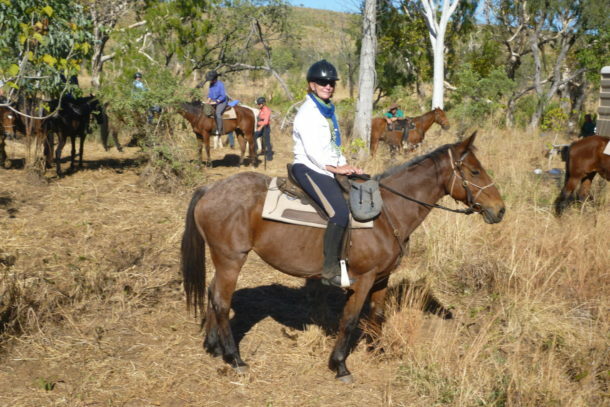 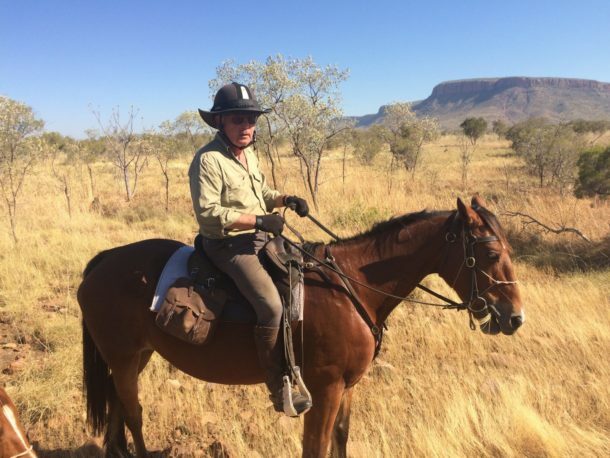 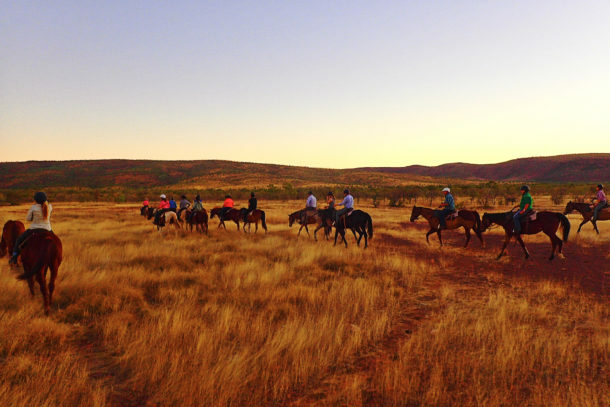 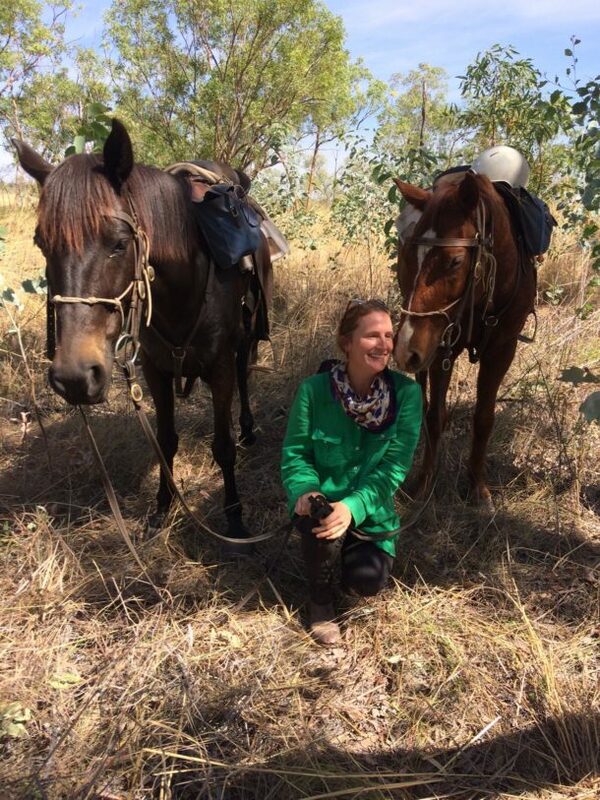 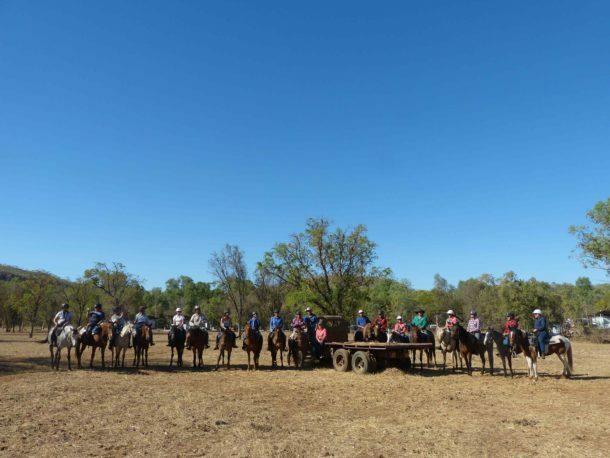 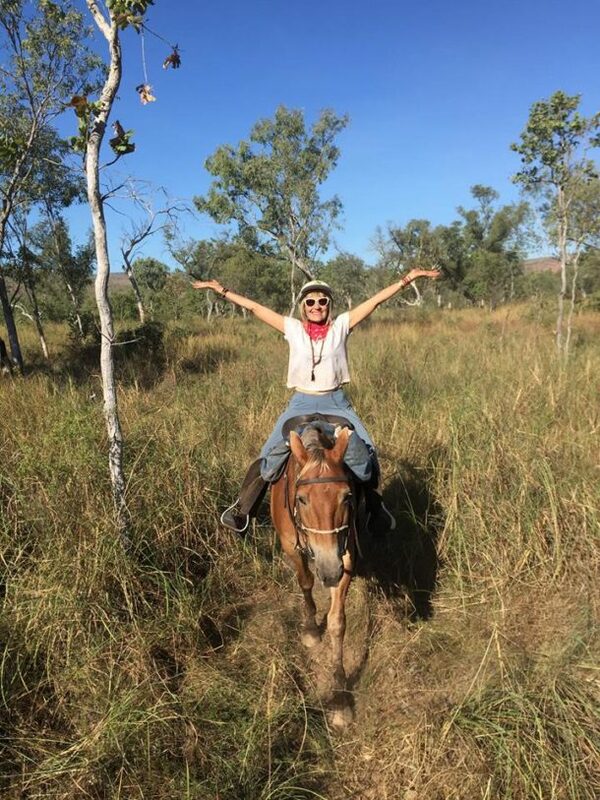 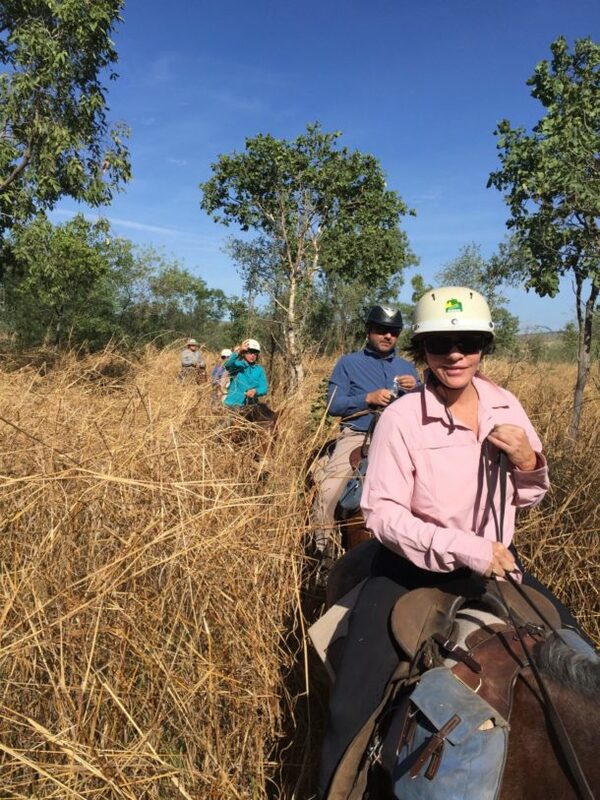 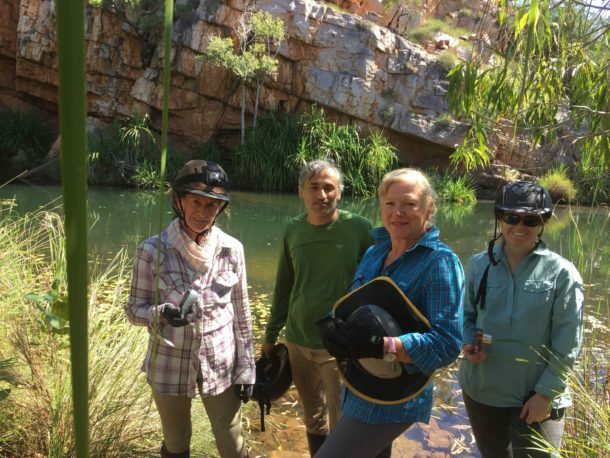 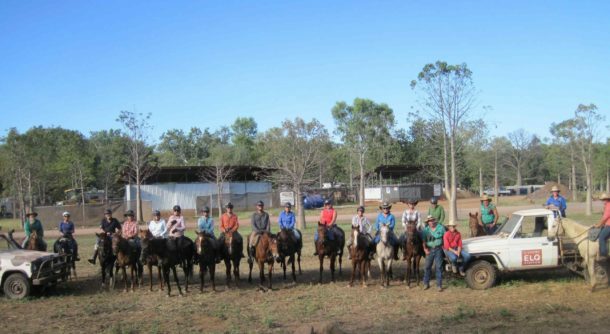 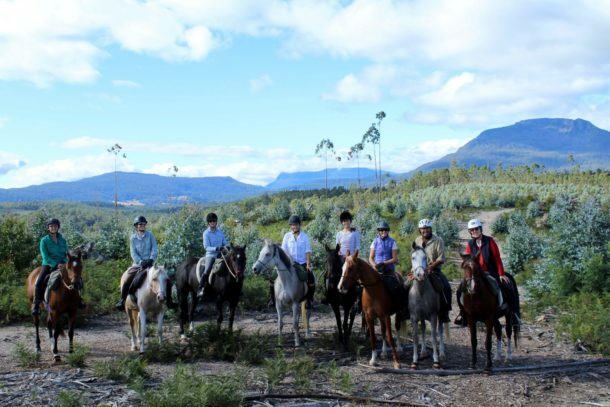 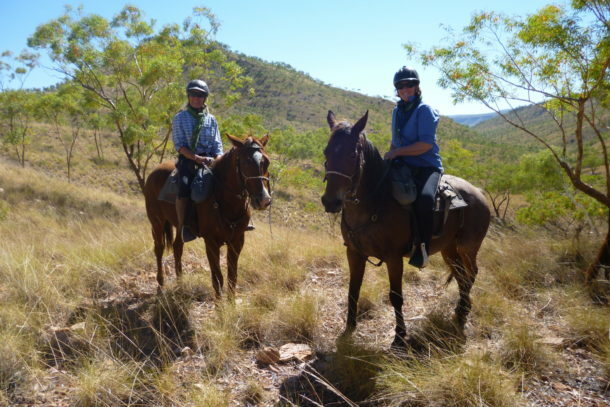 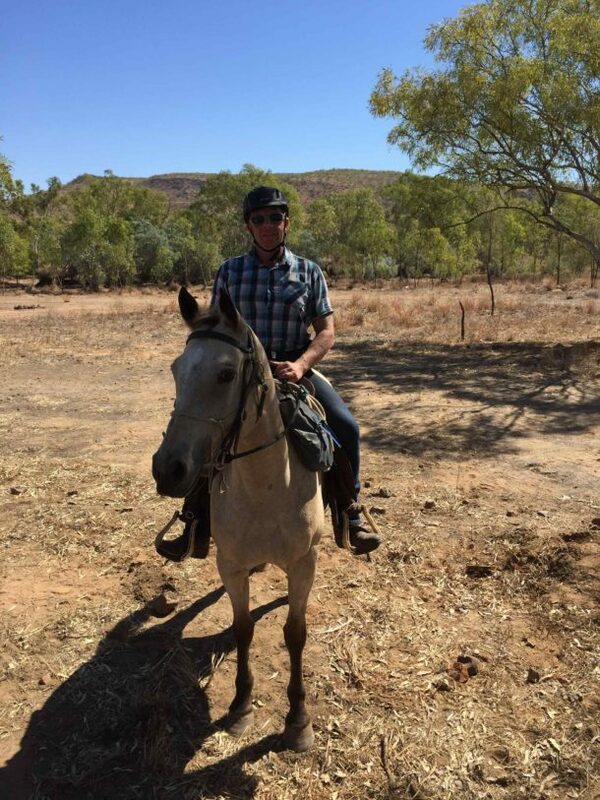 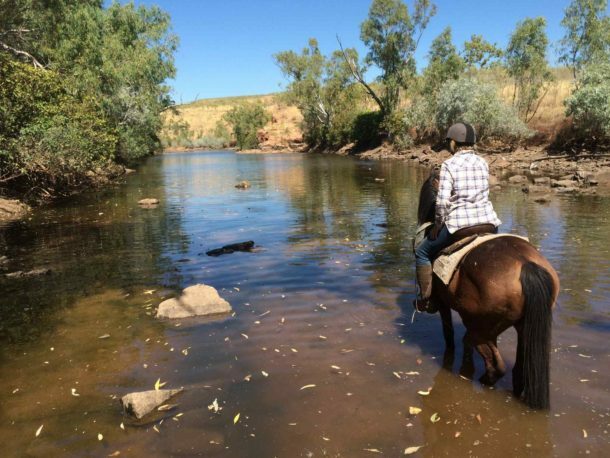 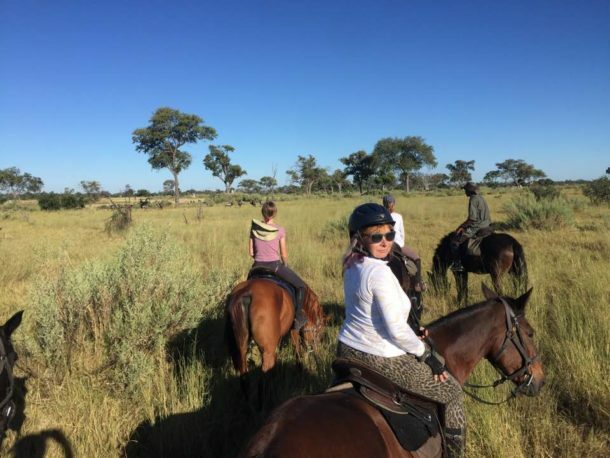 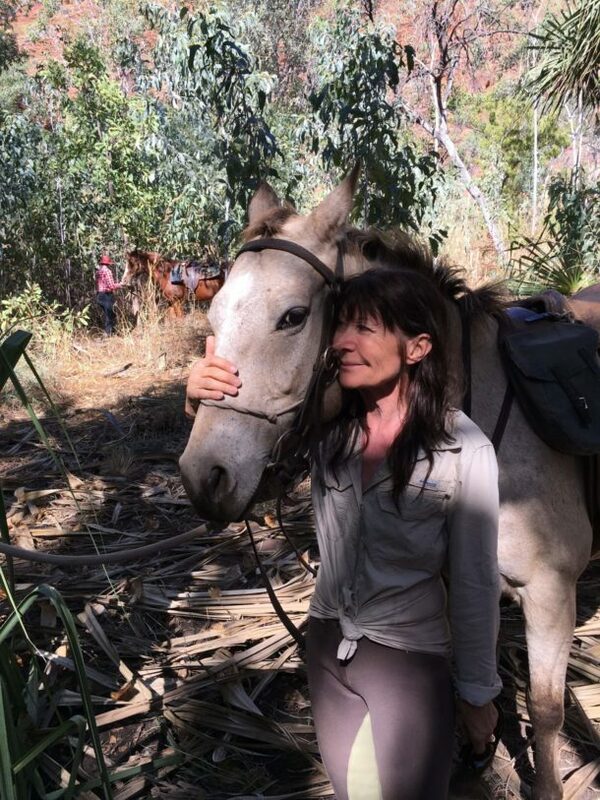 We learnt so much about the bush, the area, history, culture, polocrosse, horses. 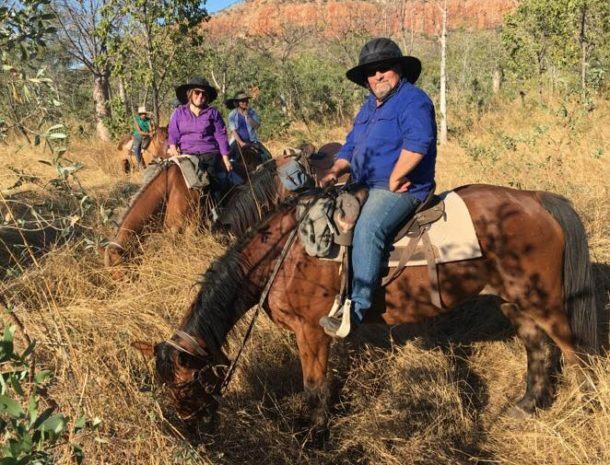 Sally and Keith did an amazing job with feeding us all. 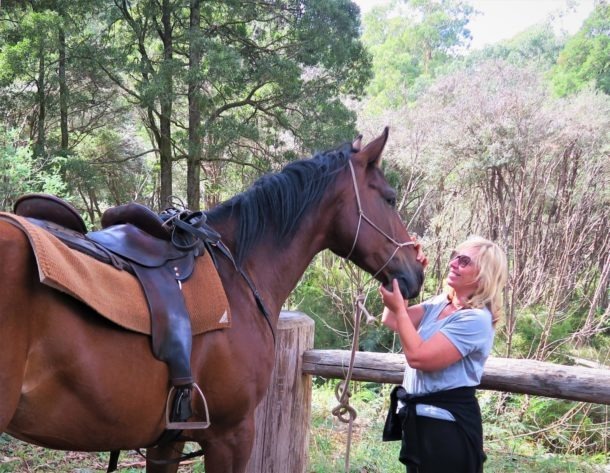 The horses were educated and fantastic. 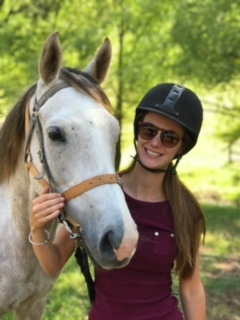 My daughter rode George, who was an absolute gentleman, and she fell in love with him after day 1. 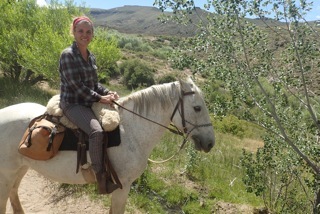 I rode Poppy. 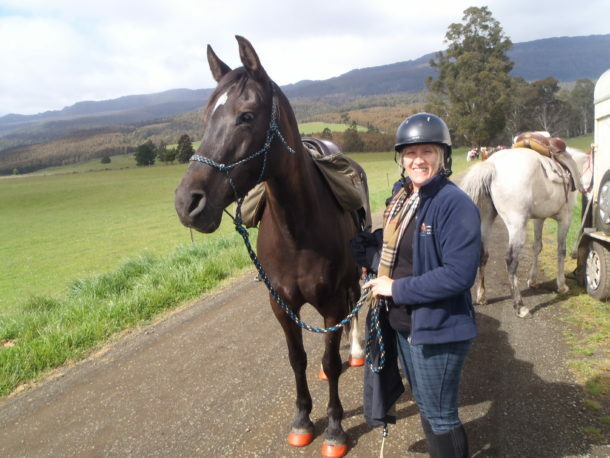 We had very similar personalities, so we got along perfectly and both loved the polocrosse! 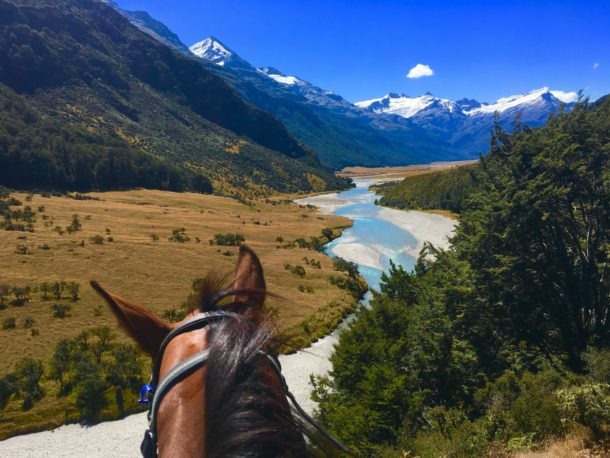 ‘What an amazing place to take a ride! 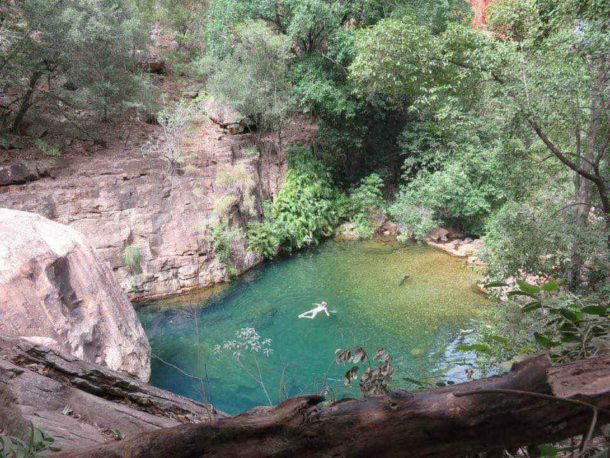 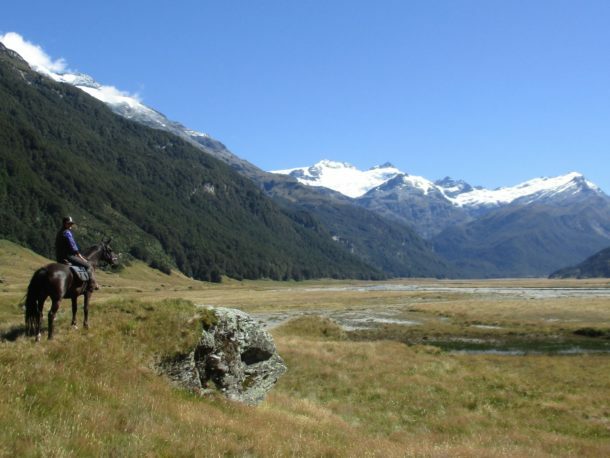 The scenery is spectacular and varied. 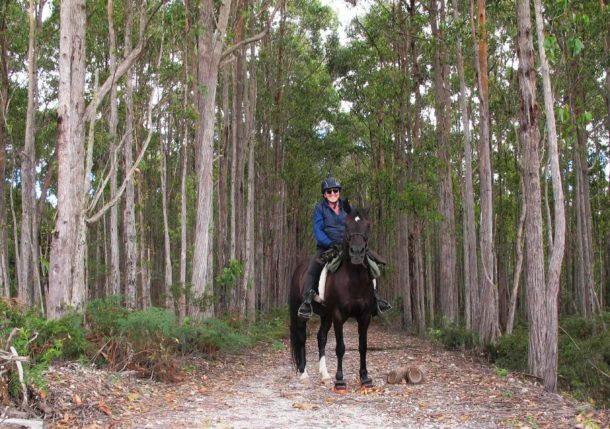 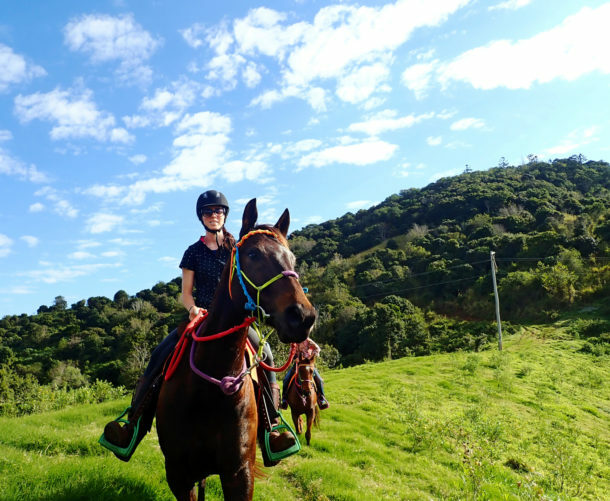 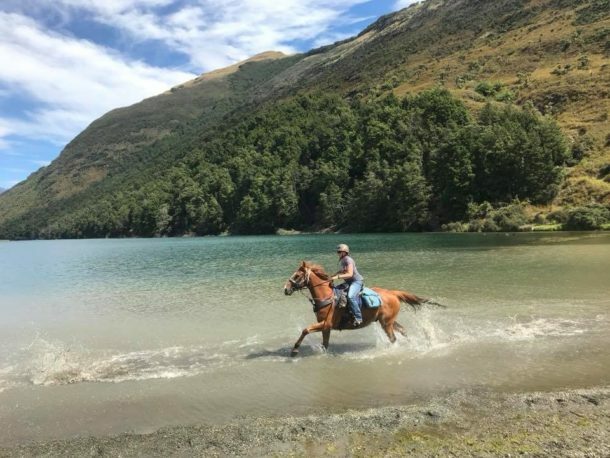 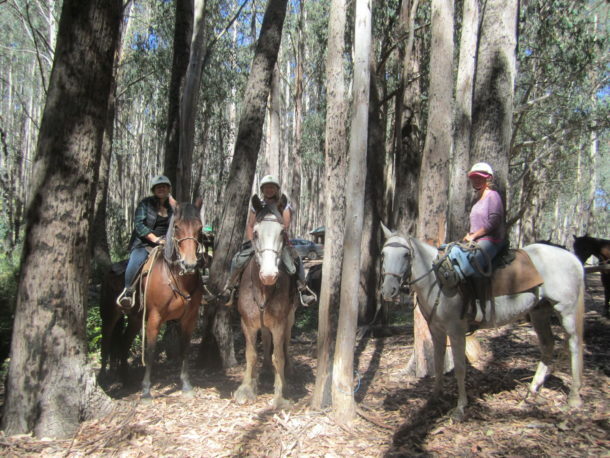 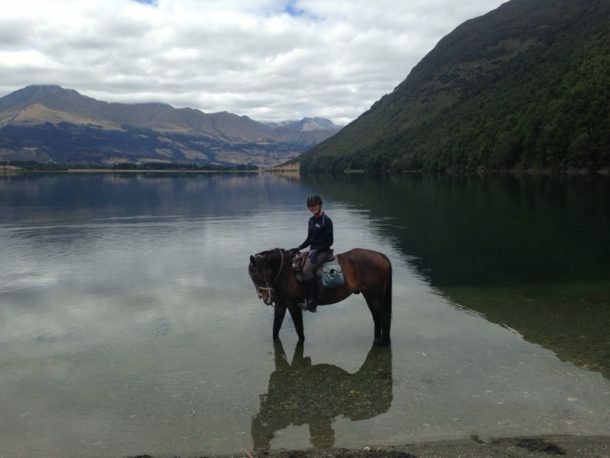 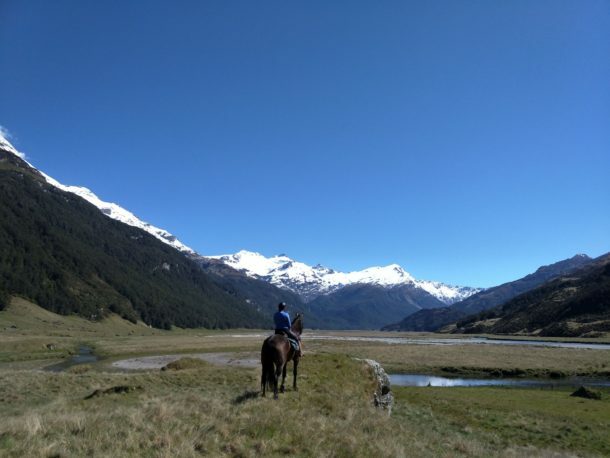 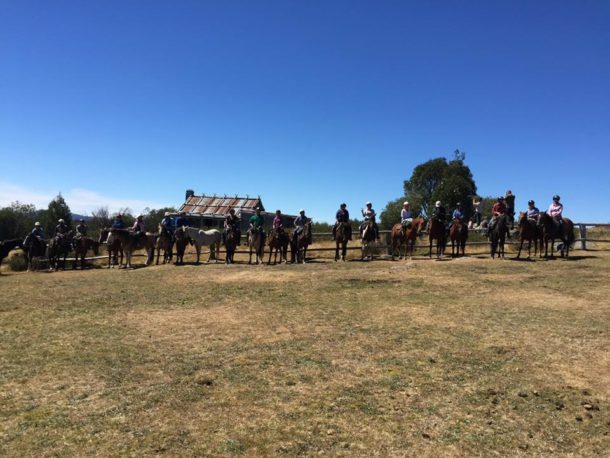 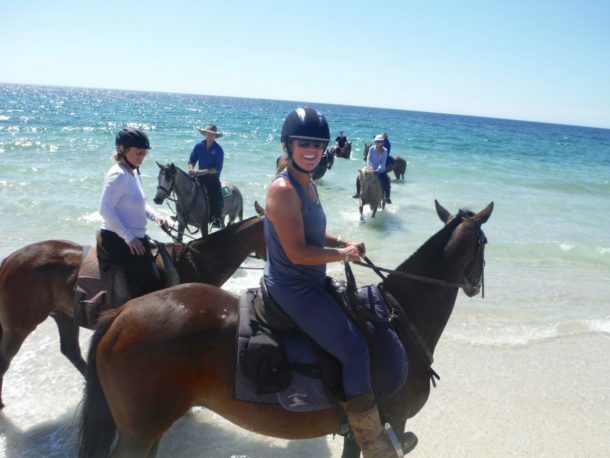 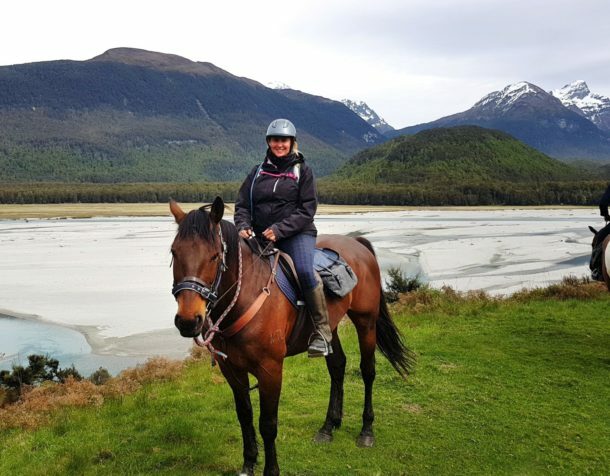 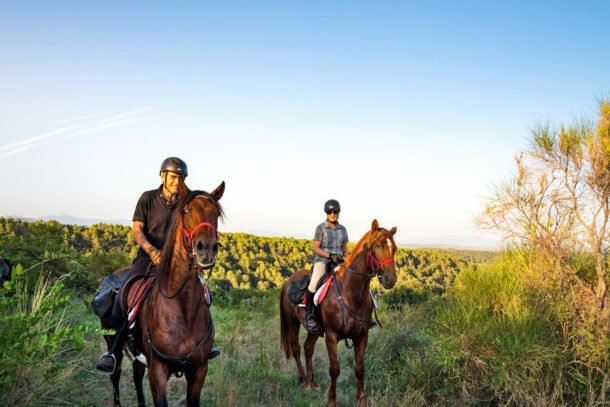 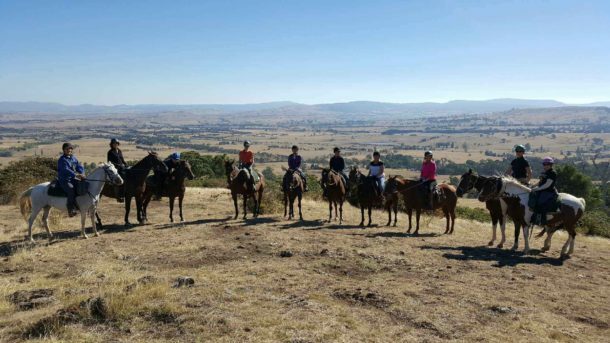 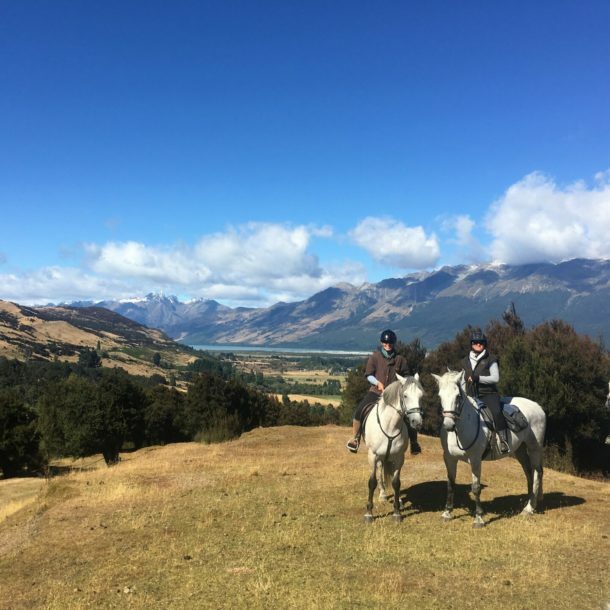 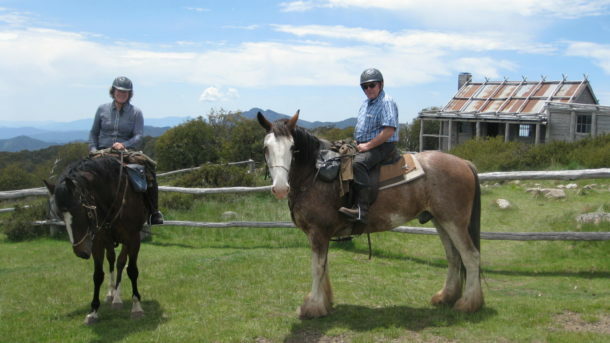 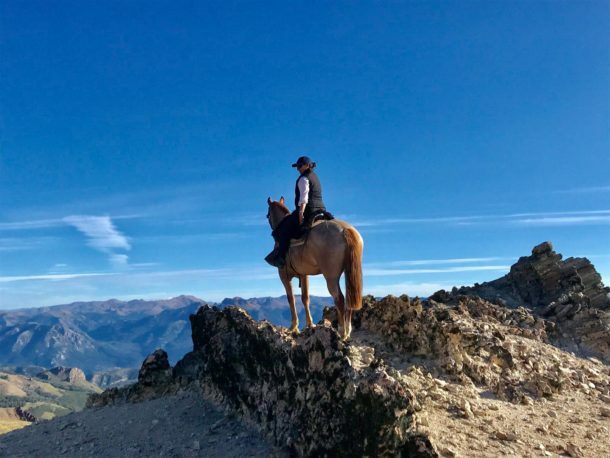 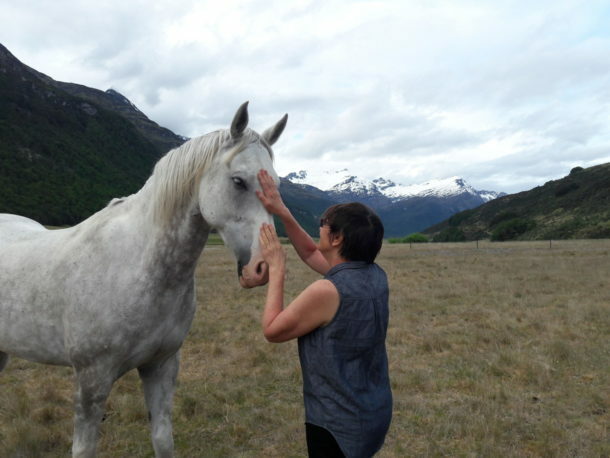 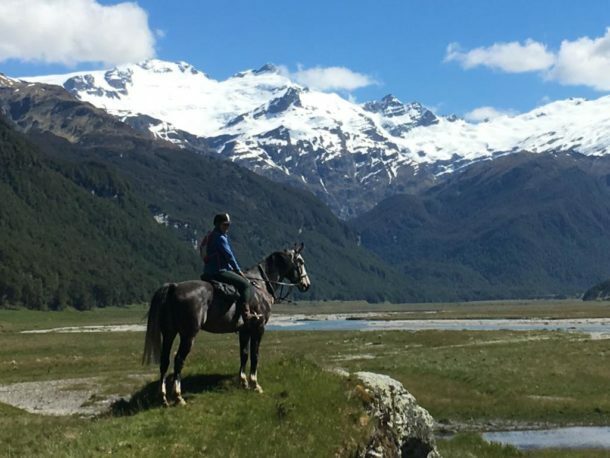 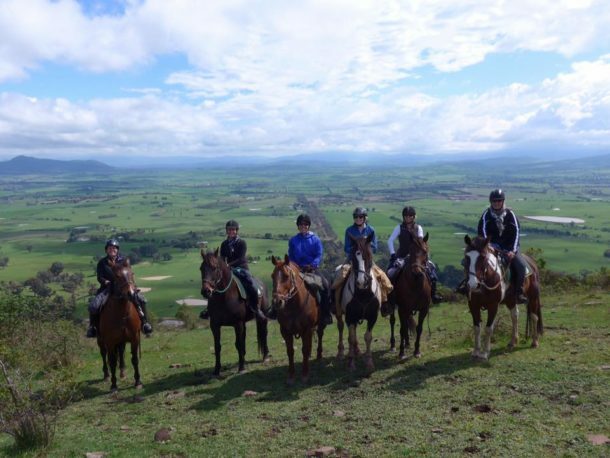 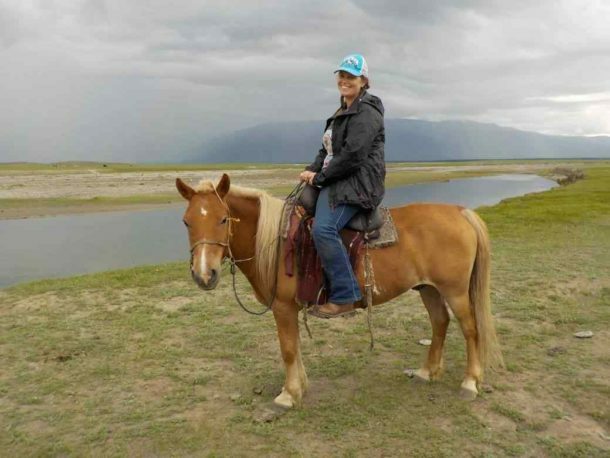 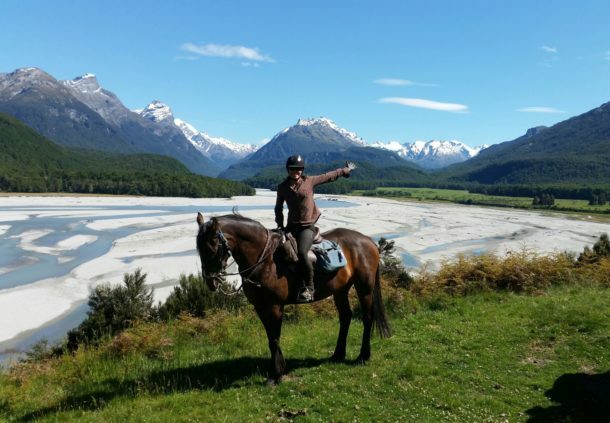 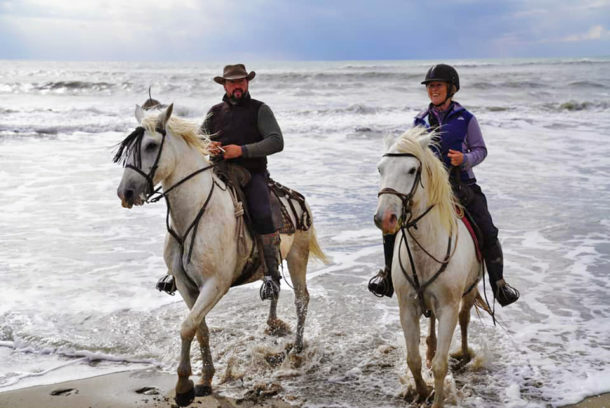 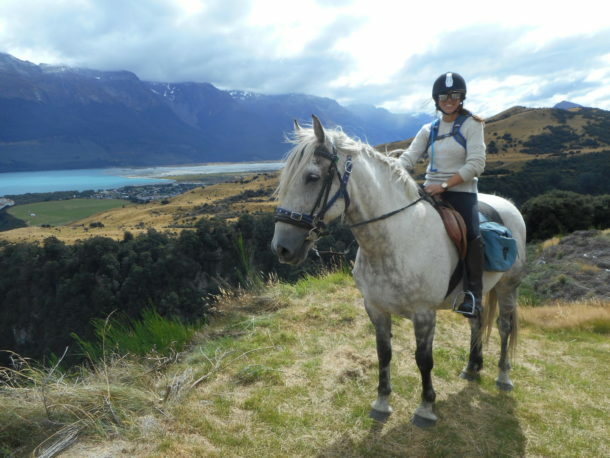 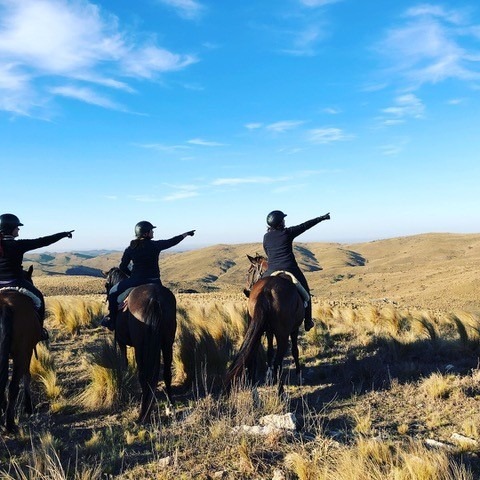 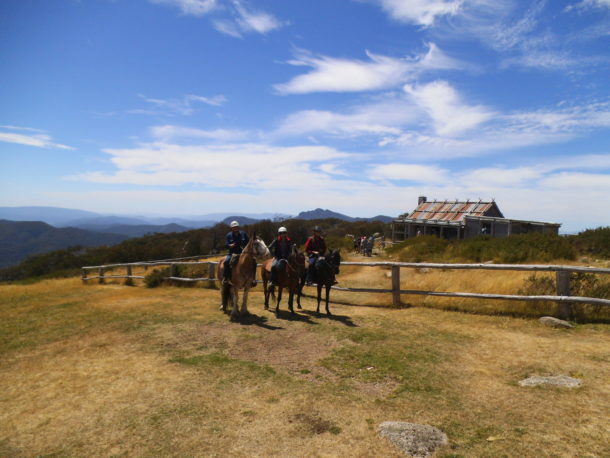 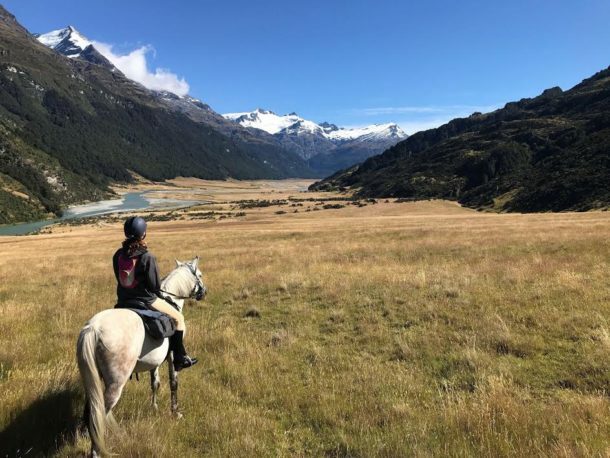 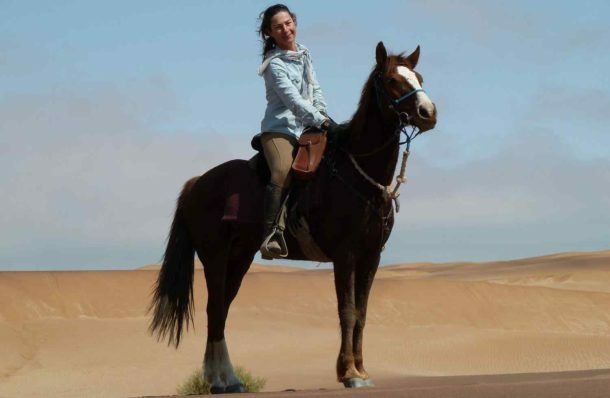 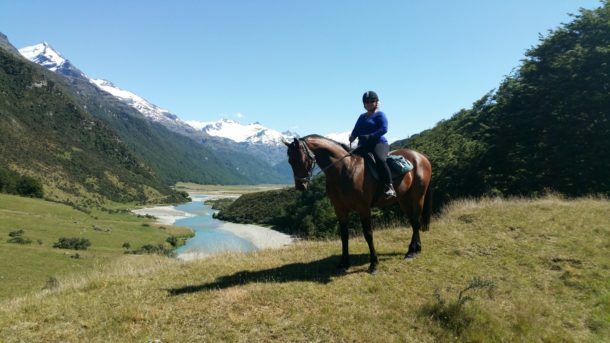 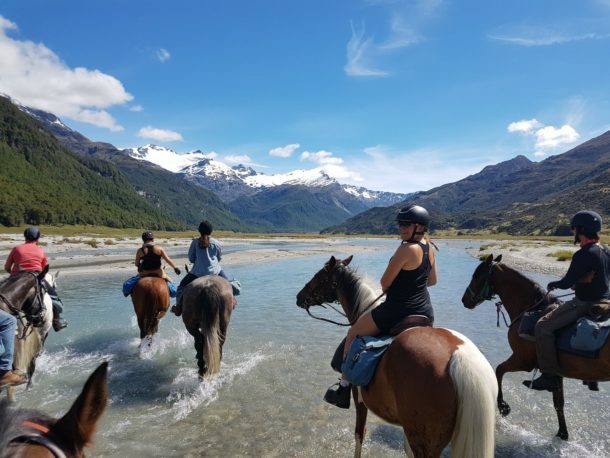 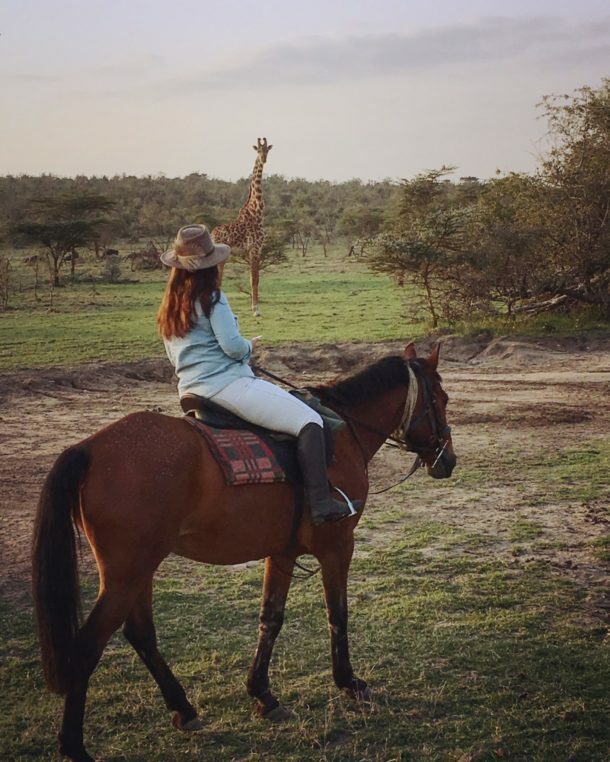 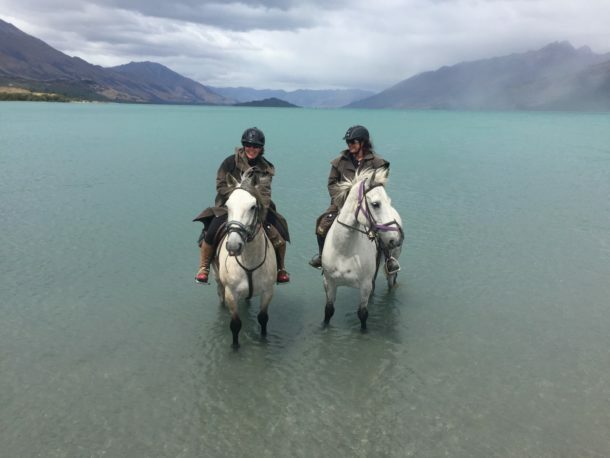 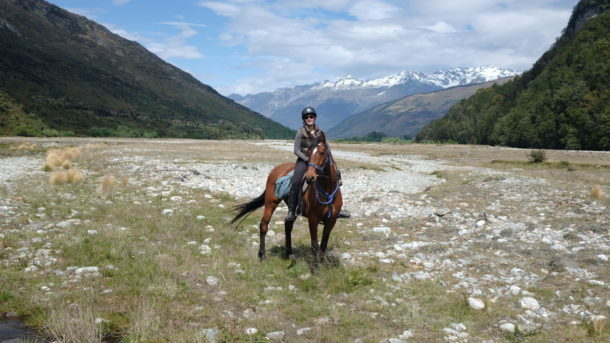 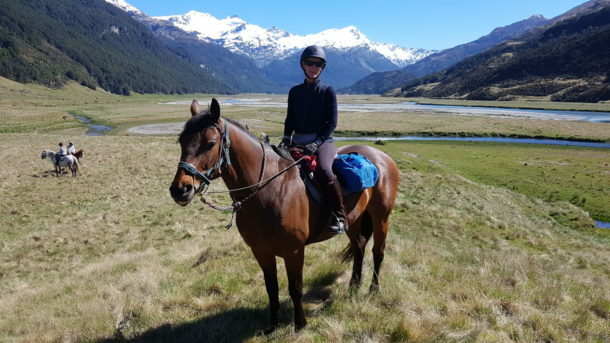 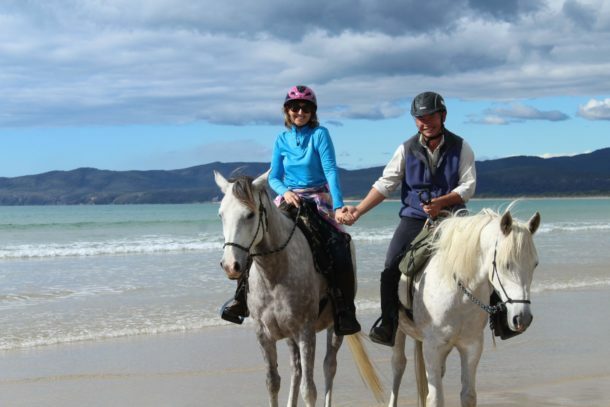 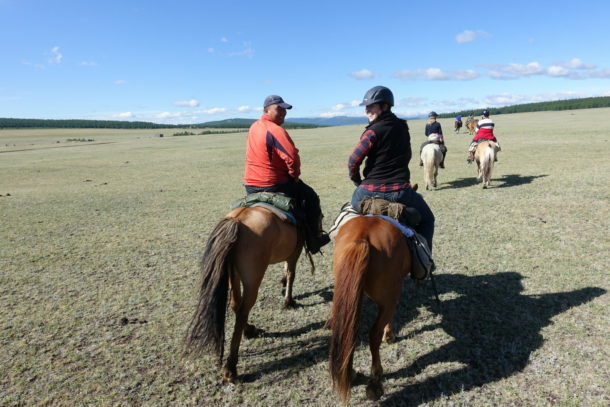 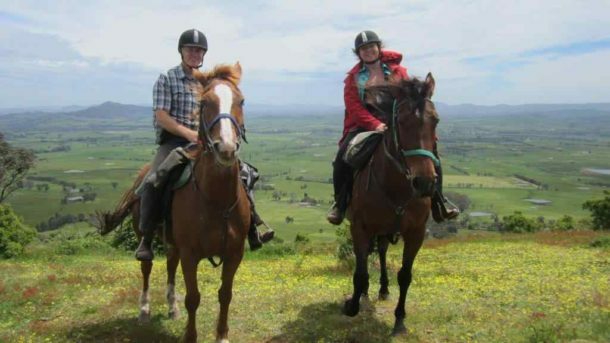 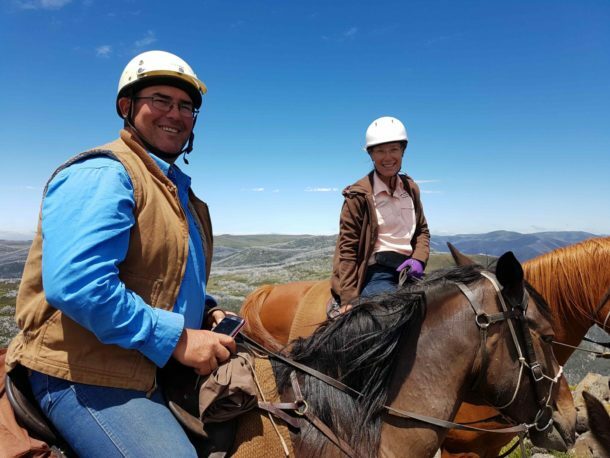 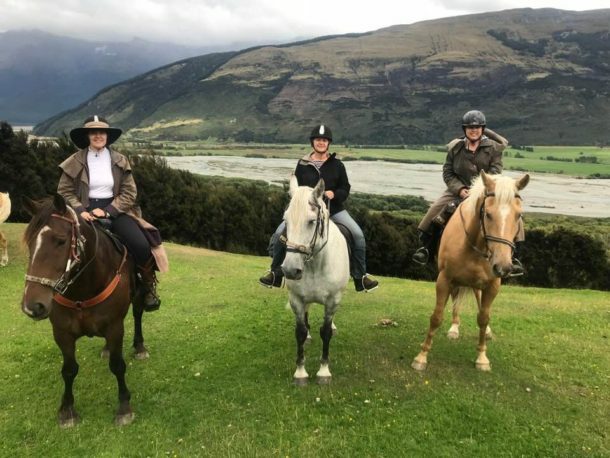 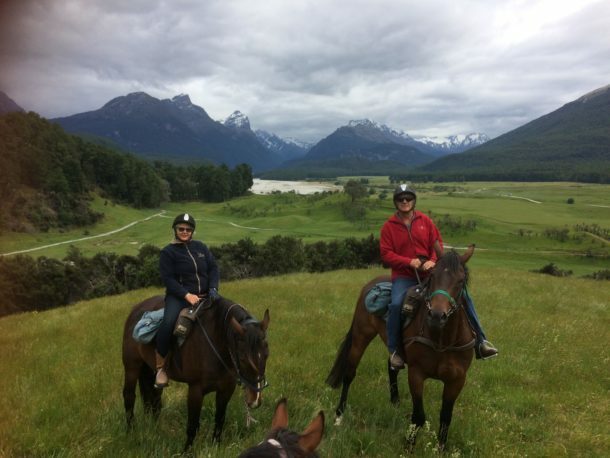 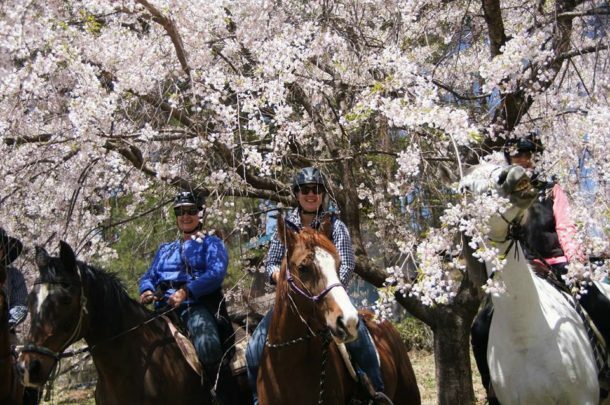 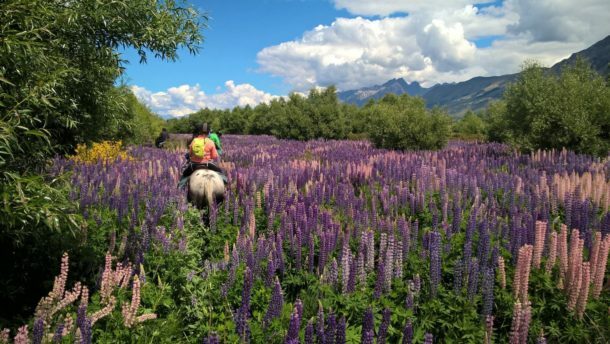 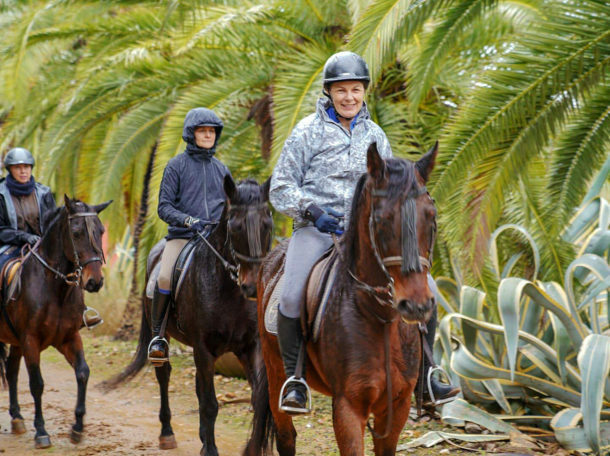 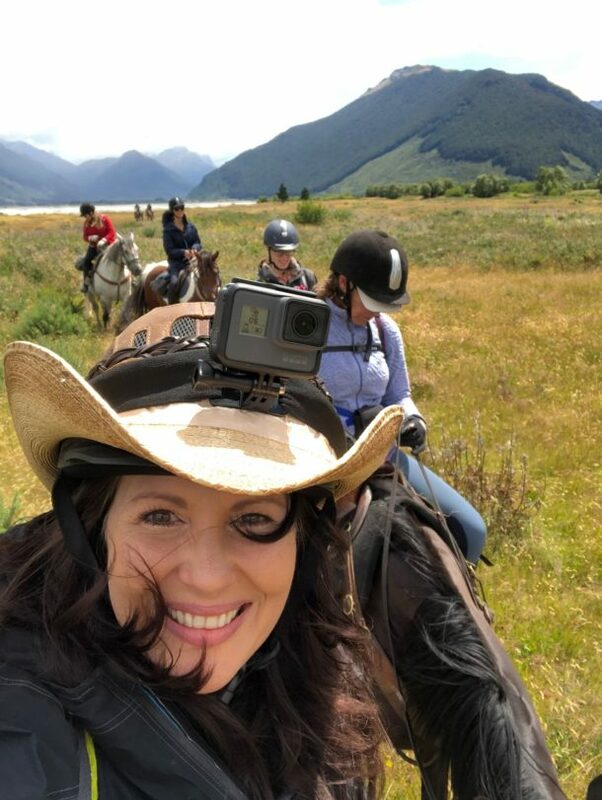 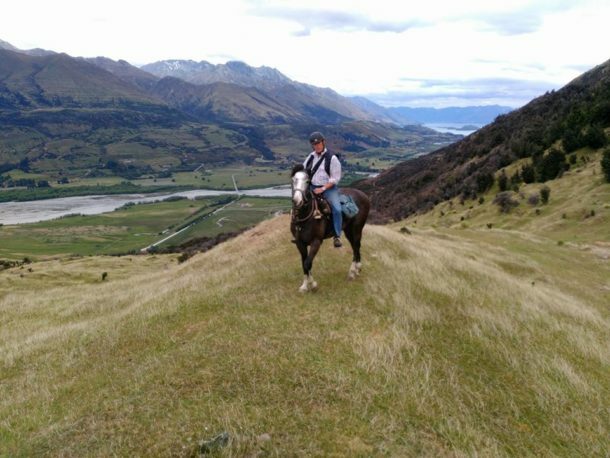 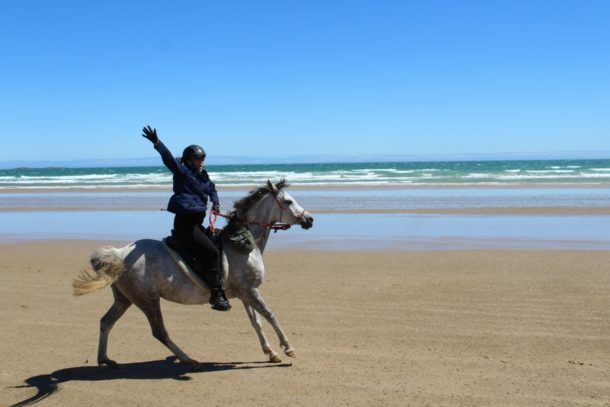 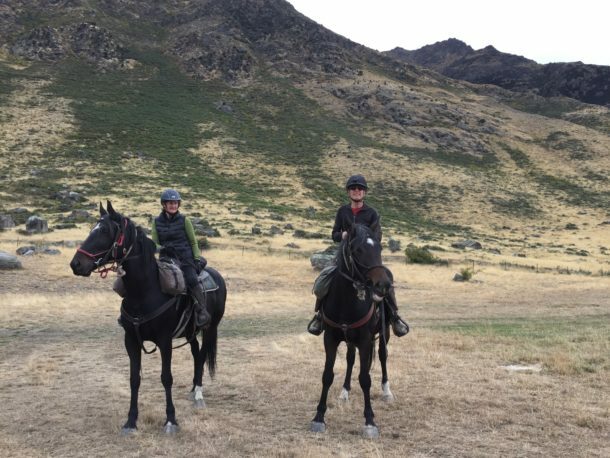 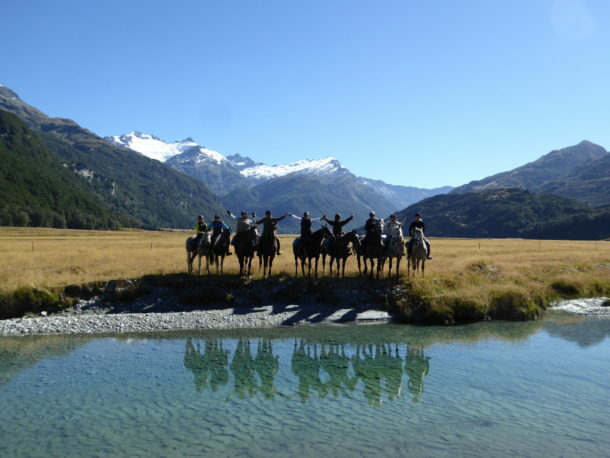 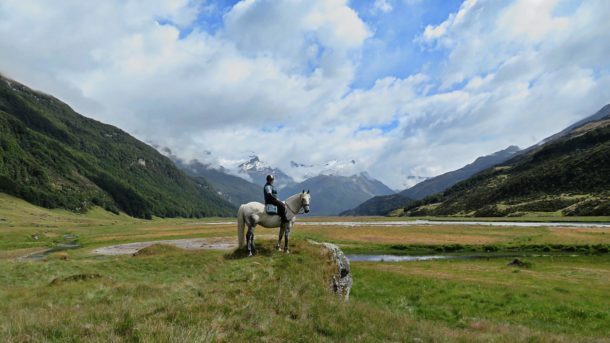 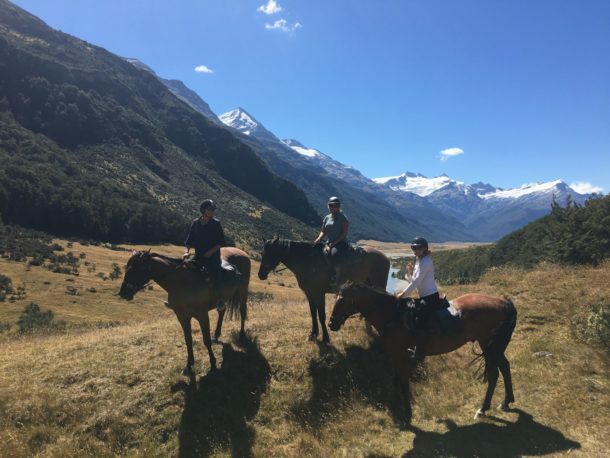 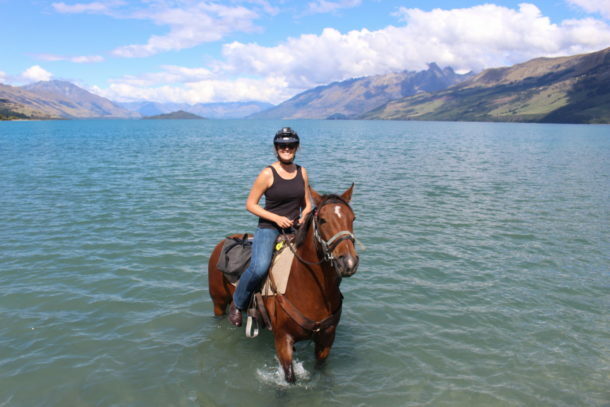 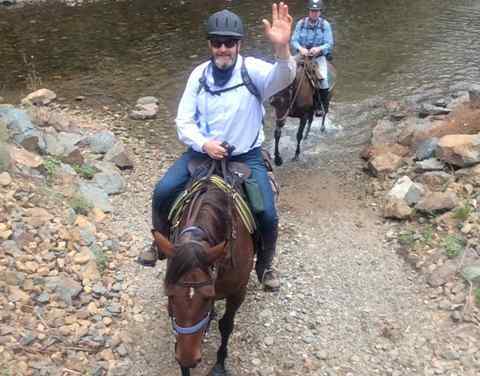 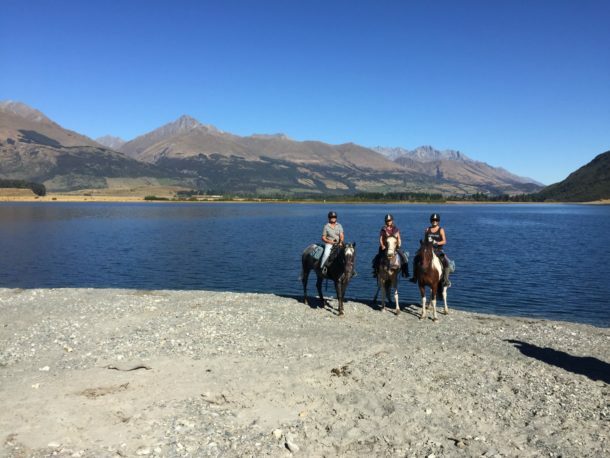 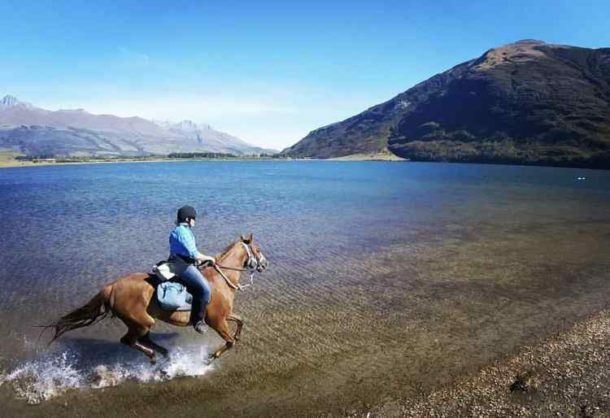 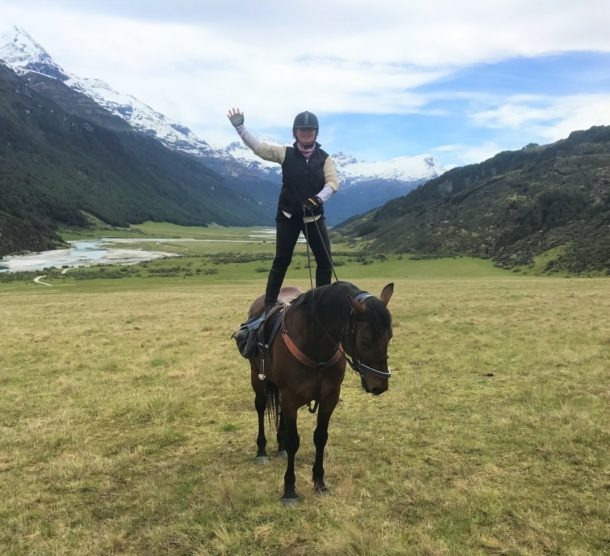 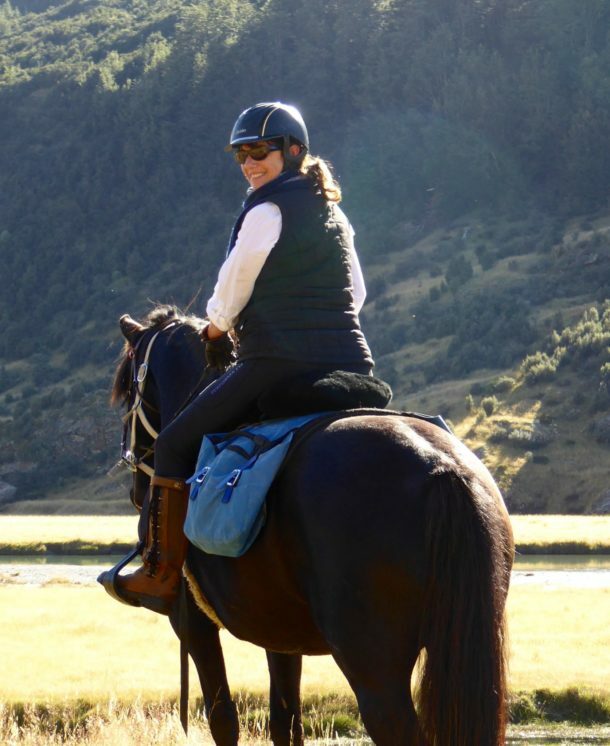 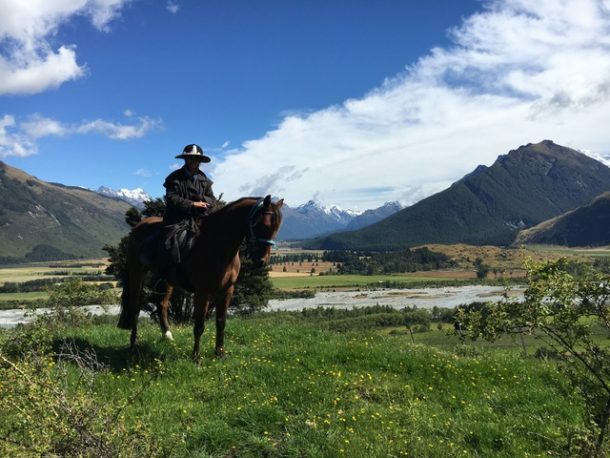 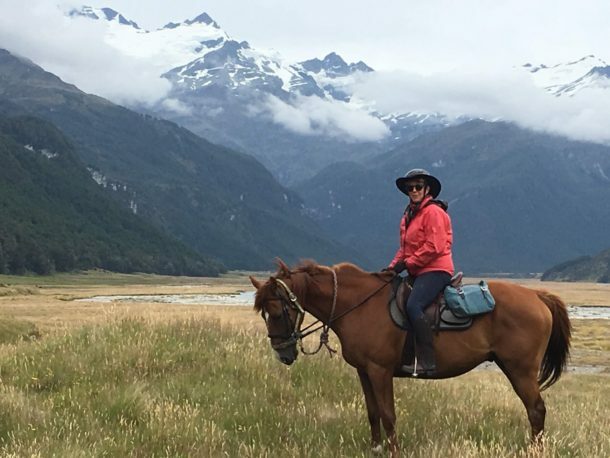 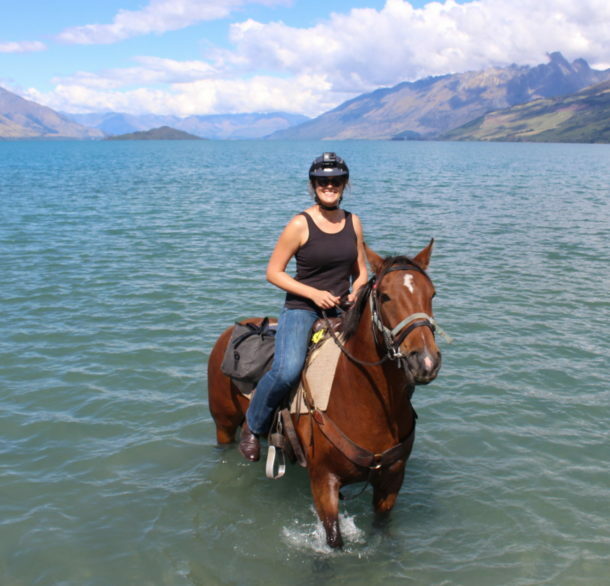 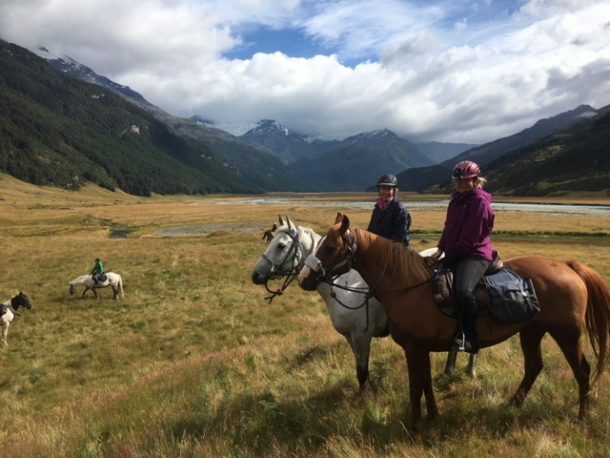 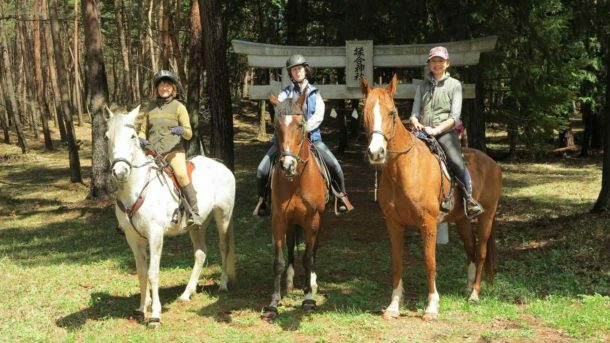 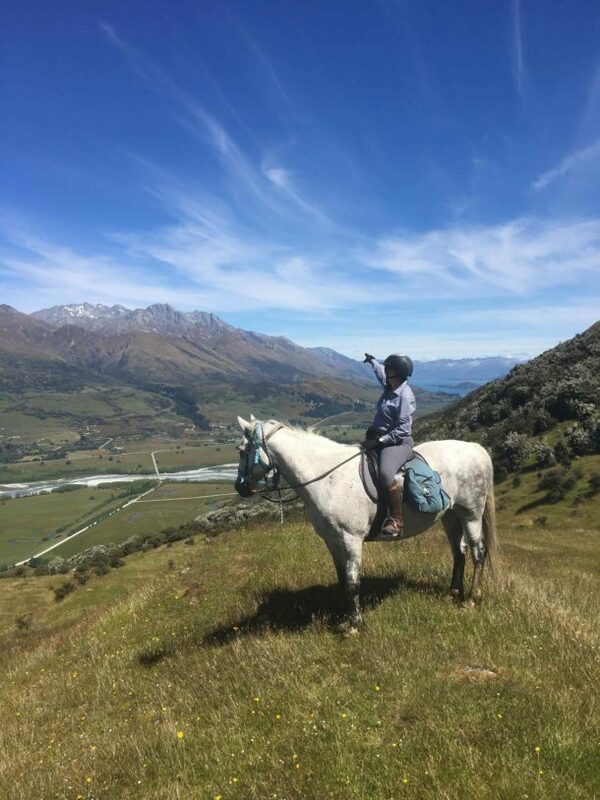 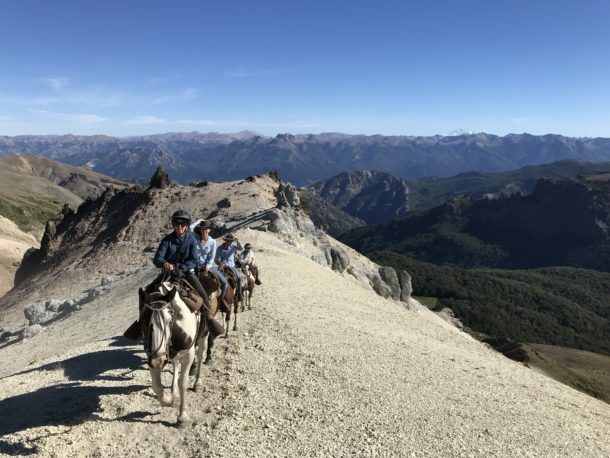 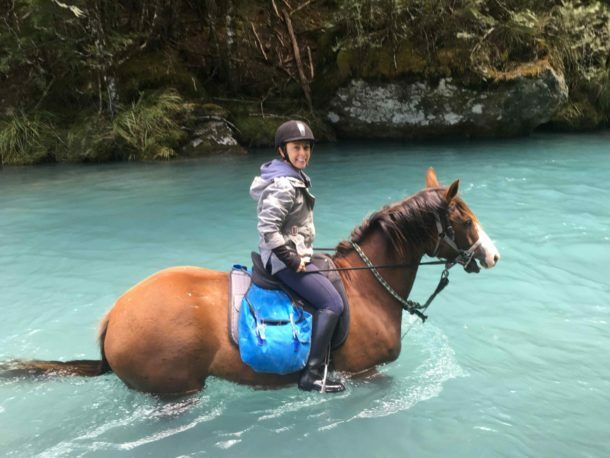 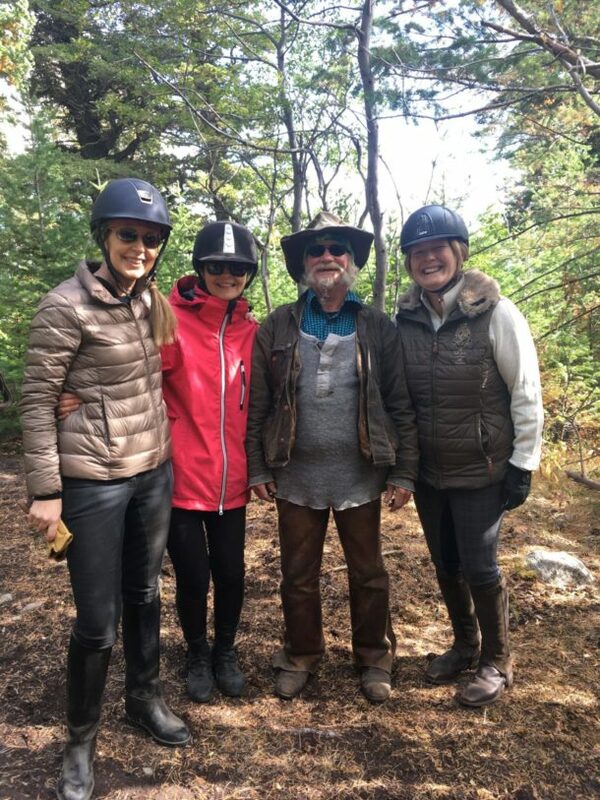 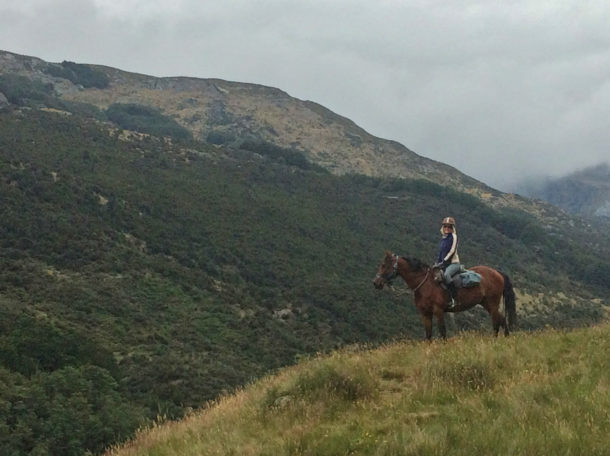 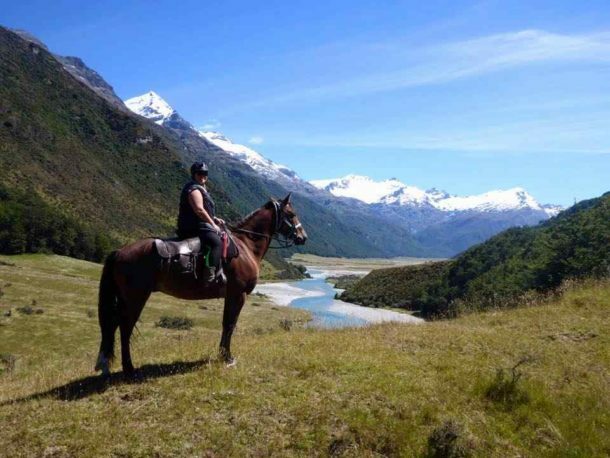 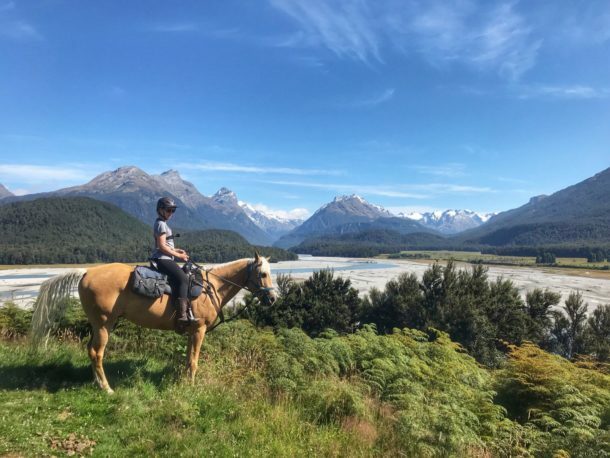 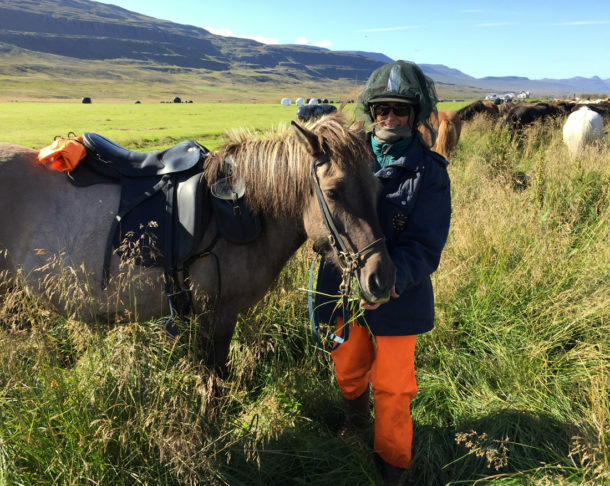 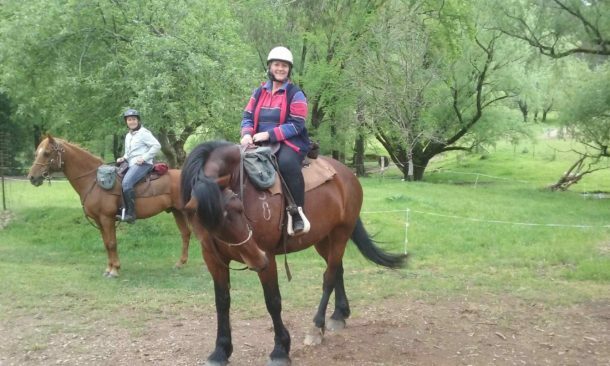 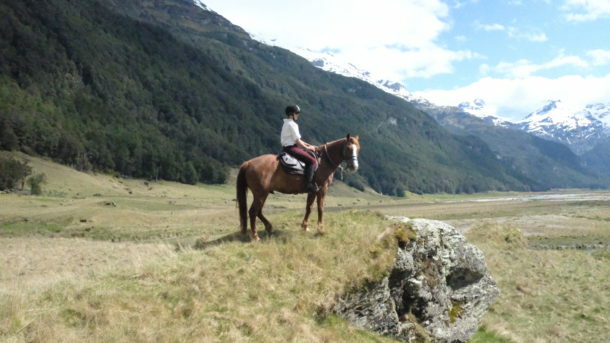 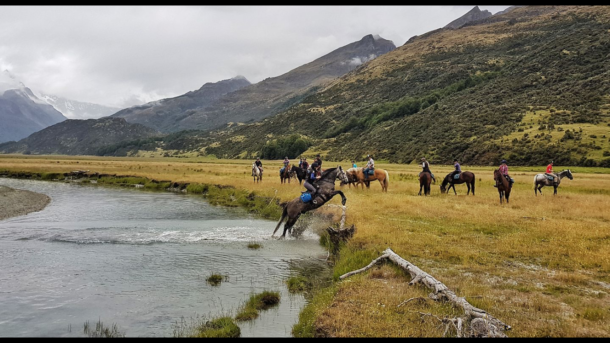 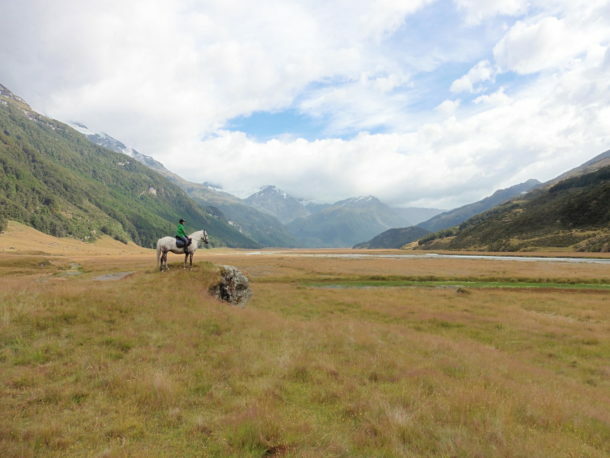 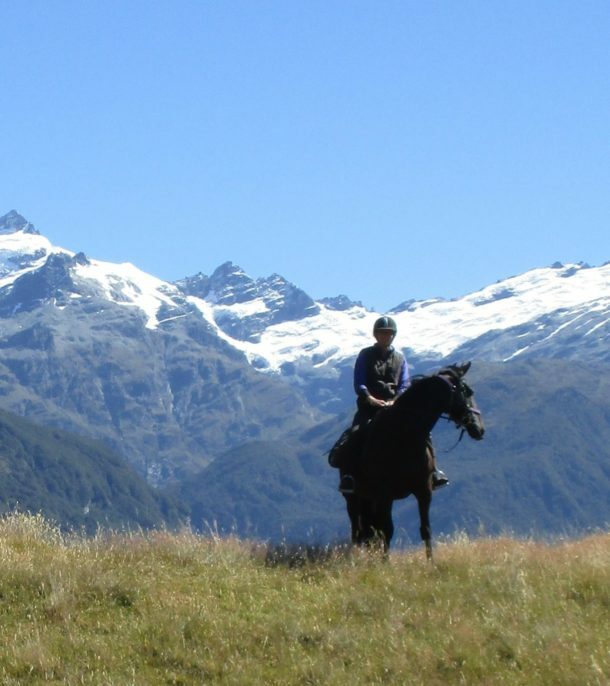 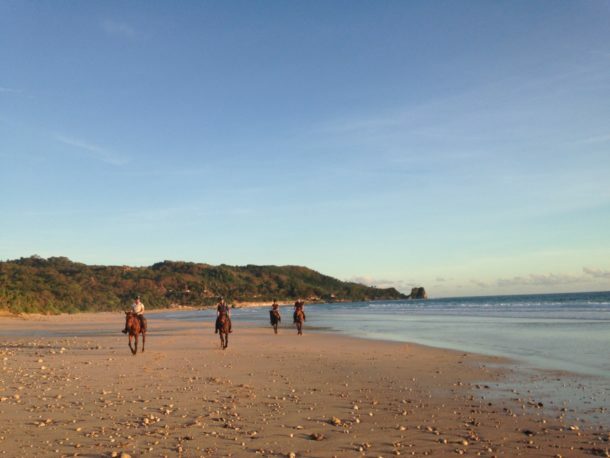 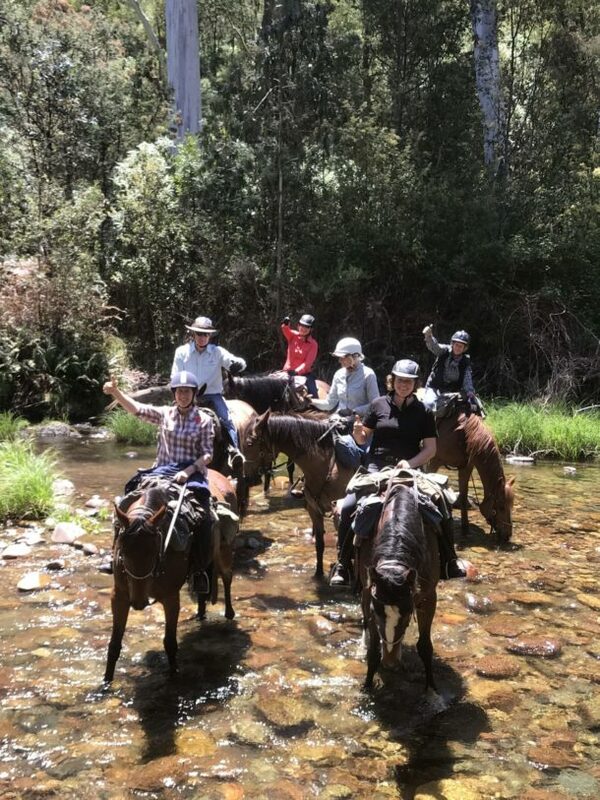 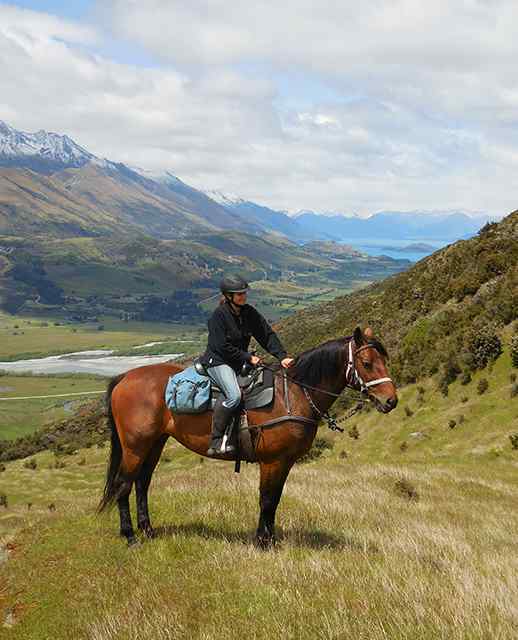 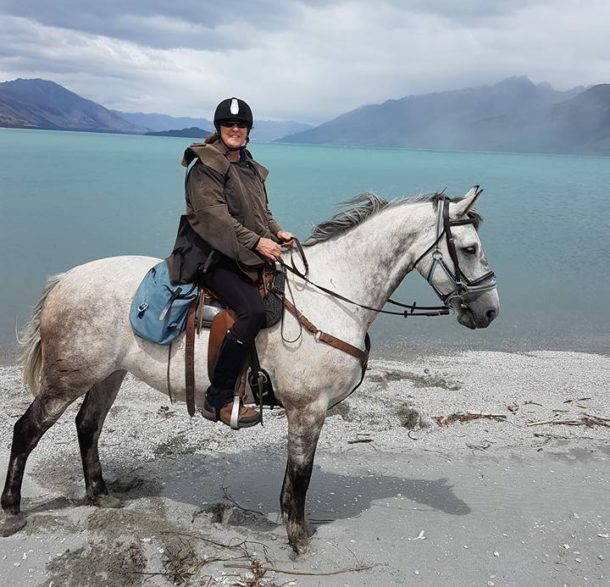 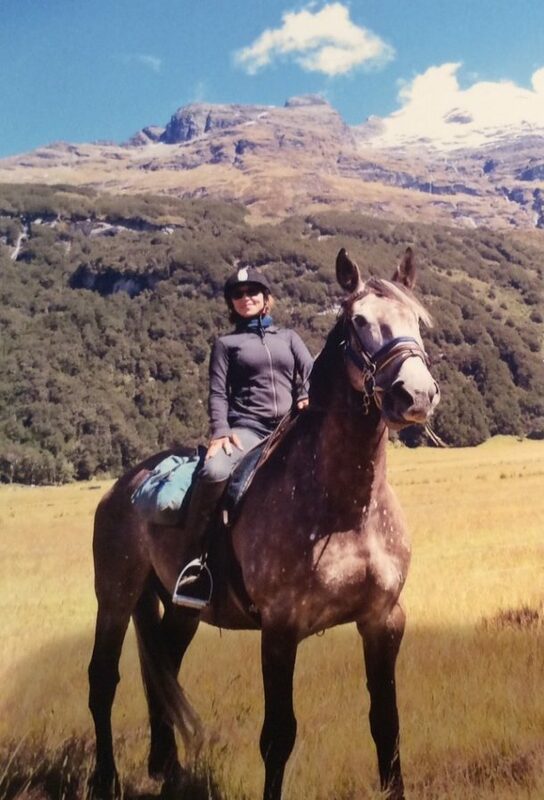 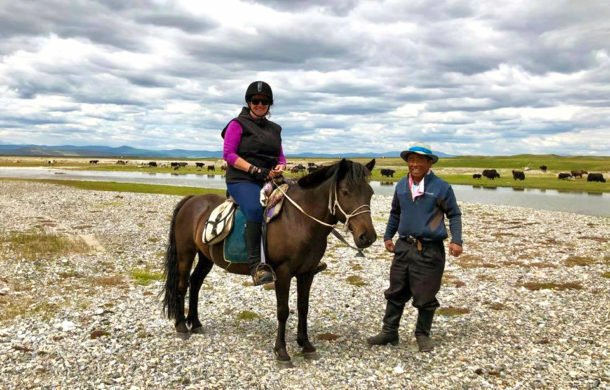 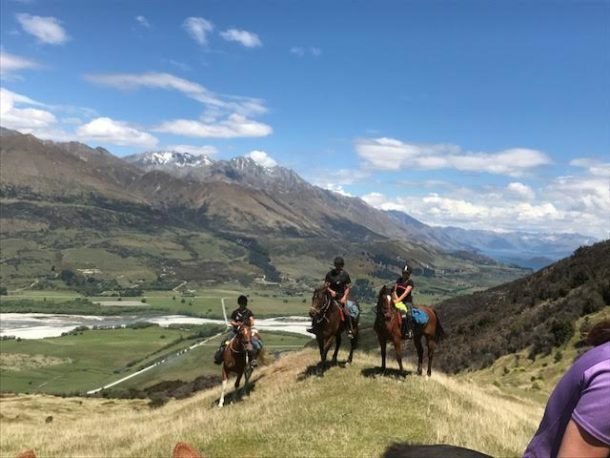 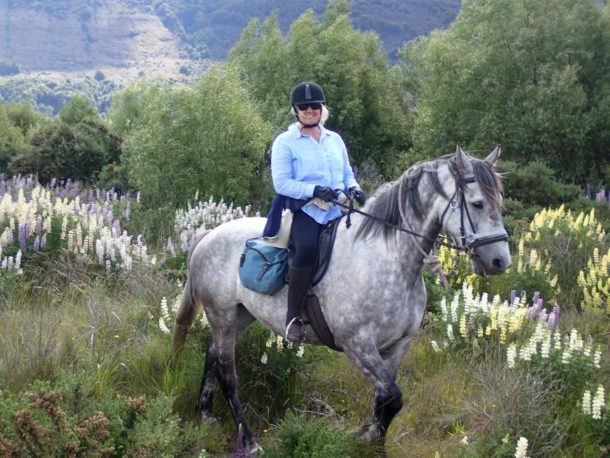 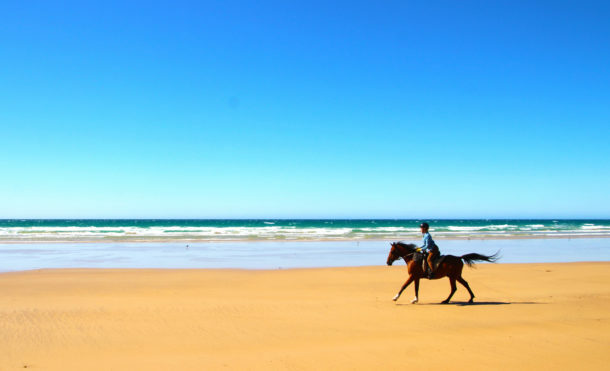 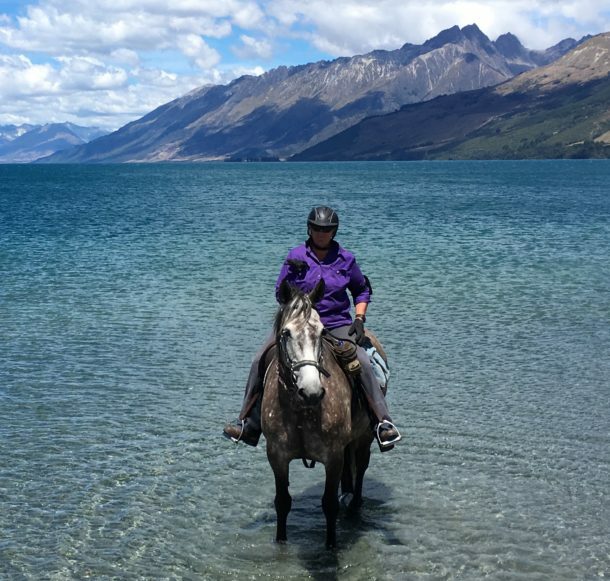 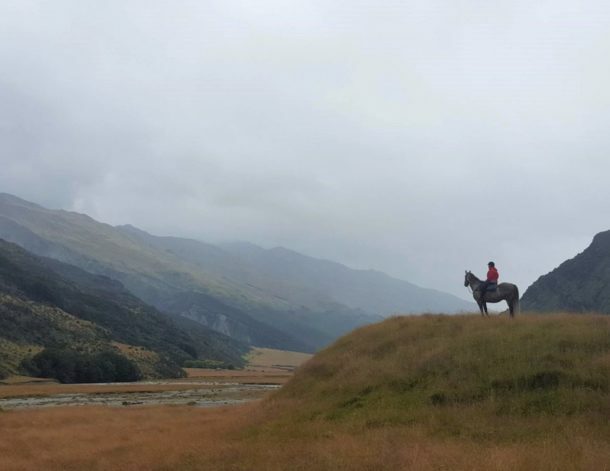 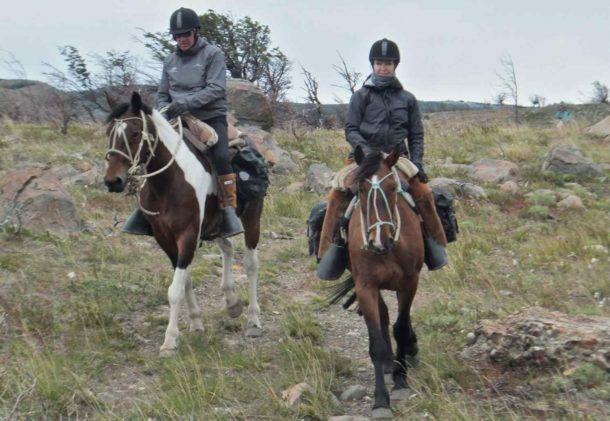 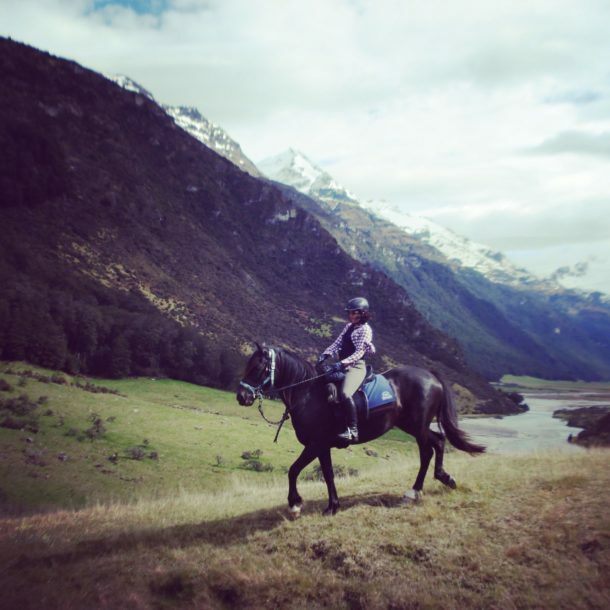 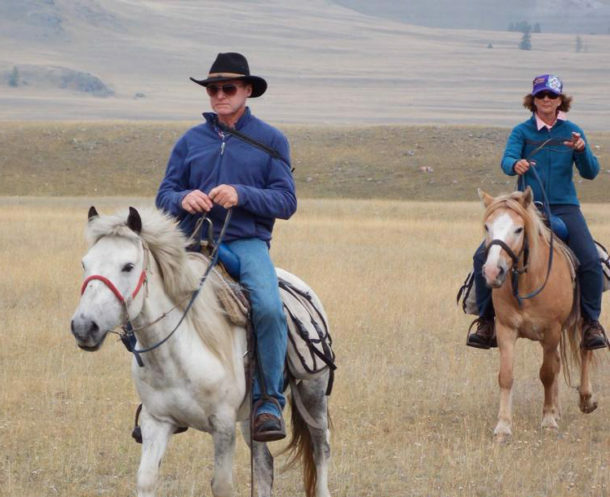 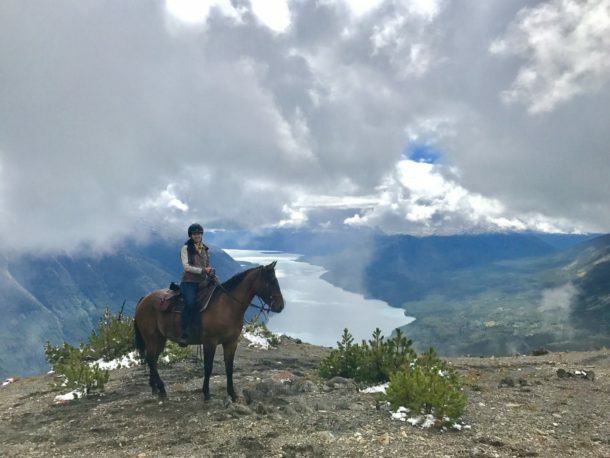 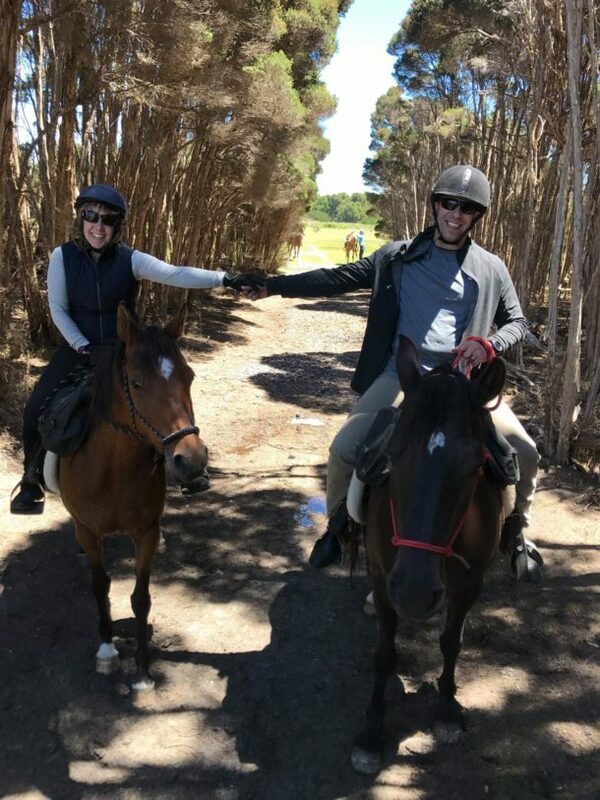 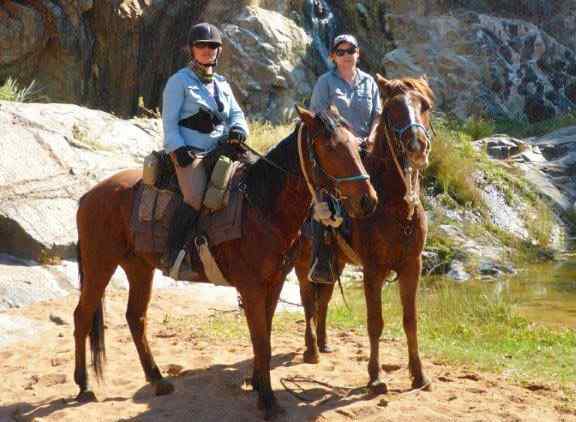 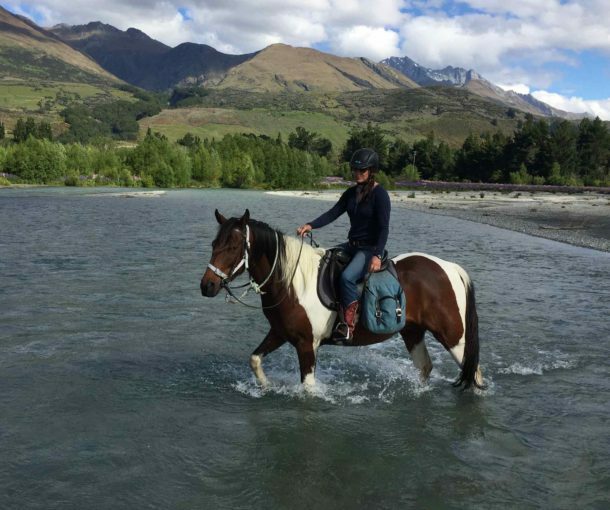 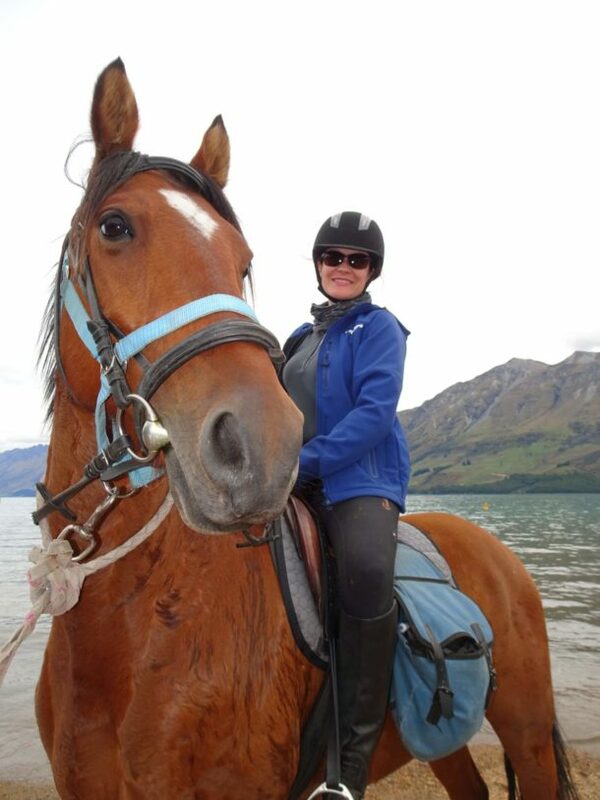 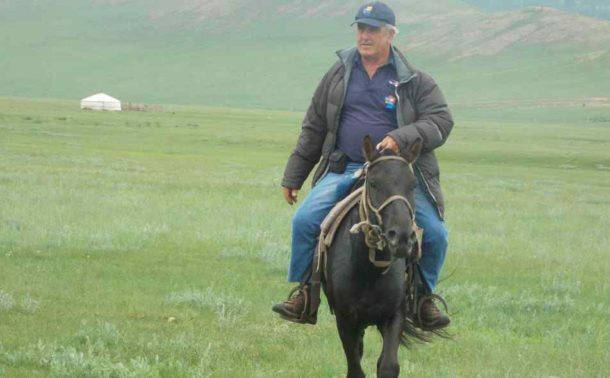 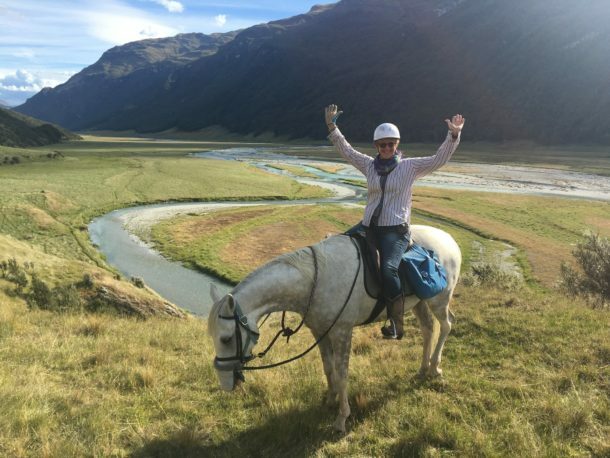 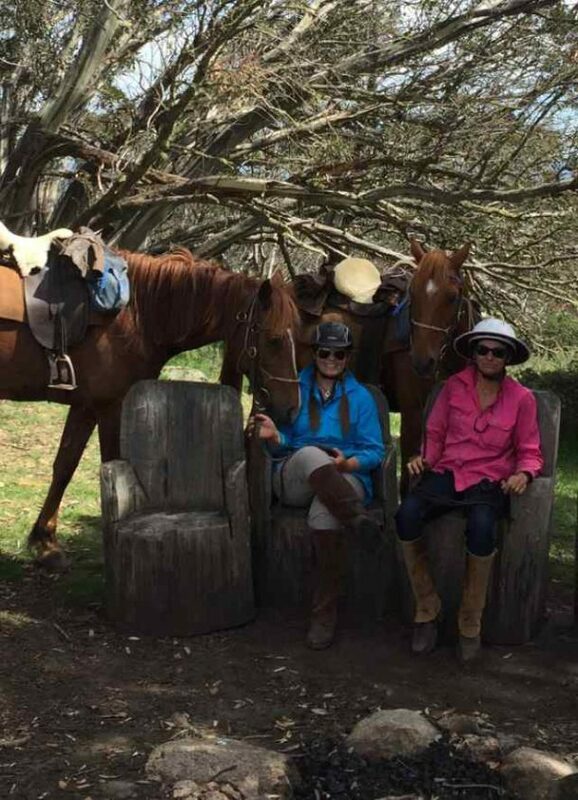 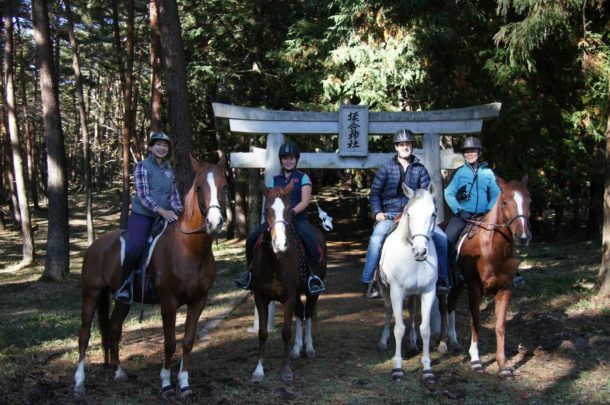 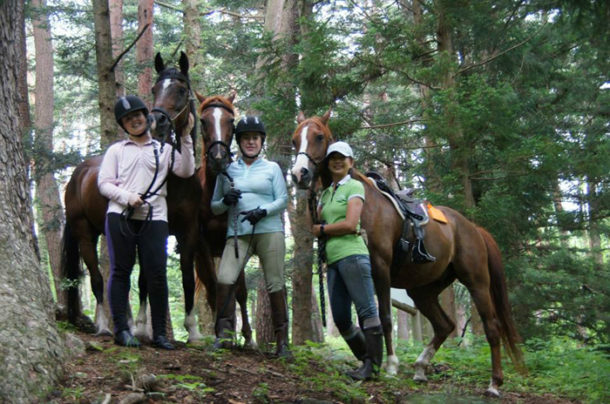 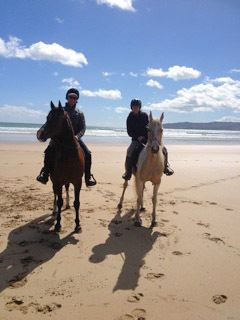 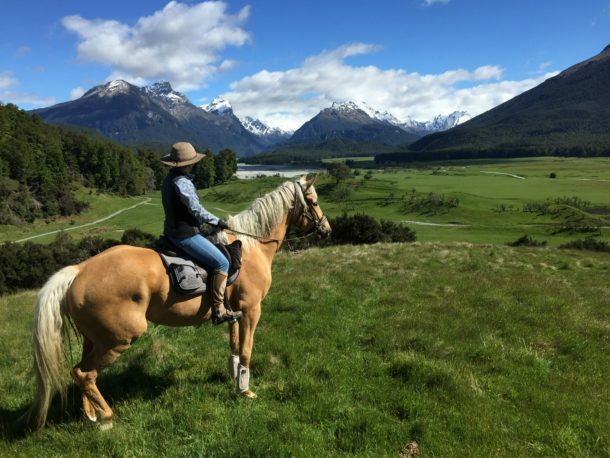 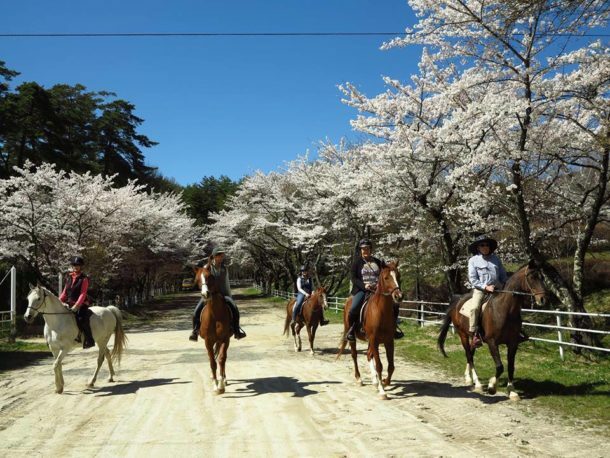 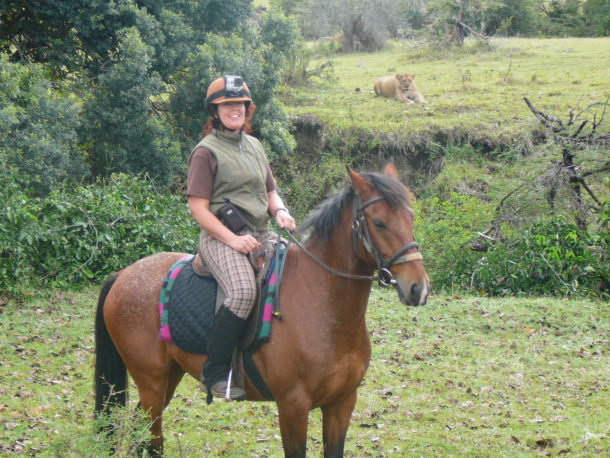 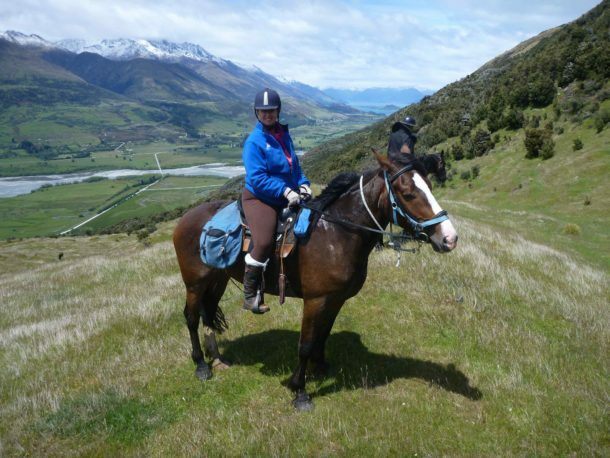 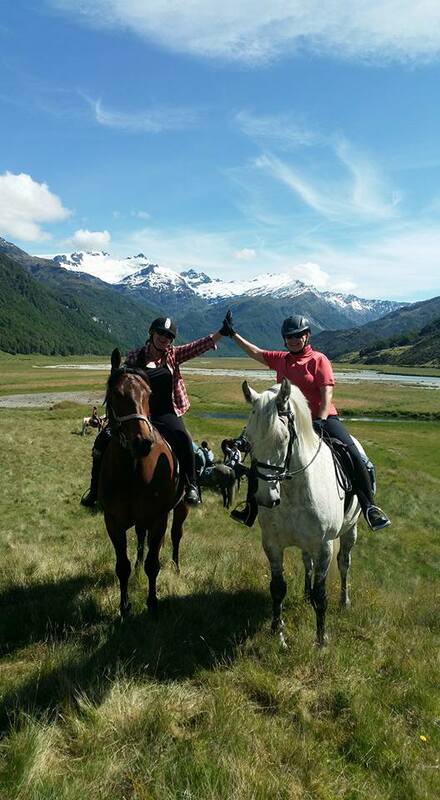 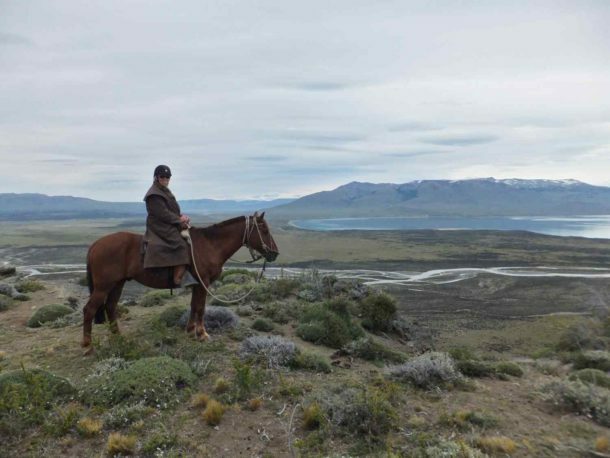 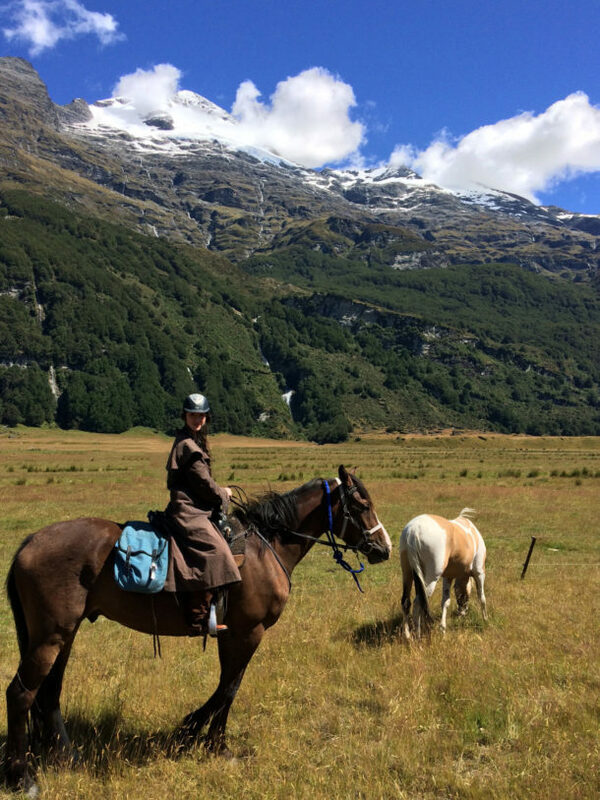 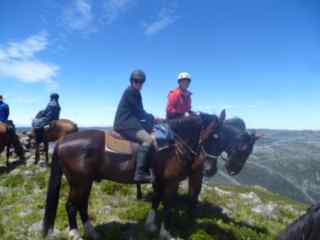 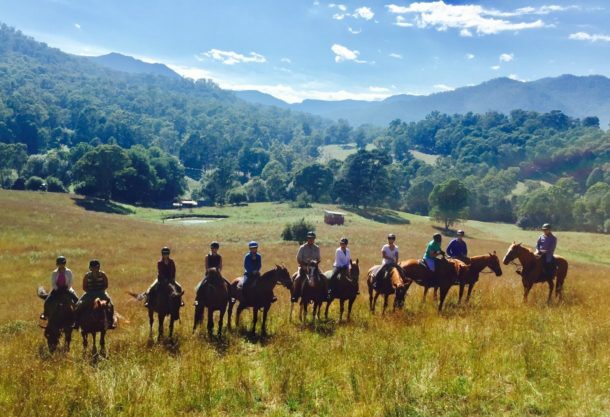 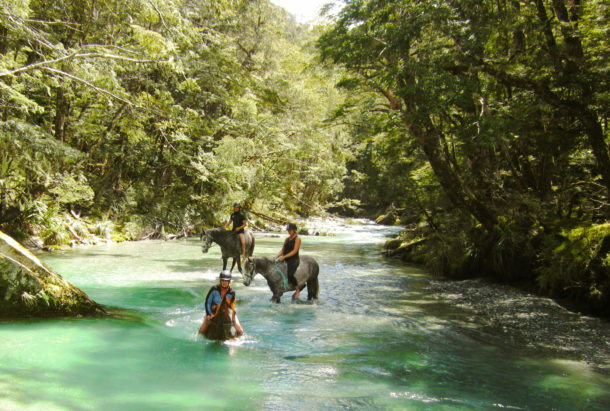 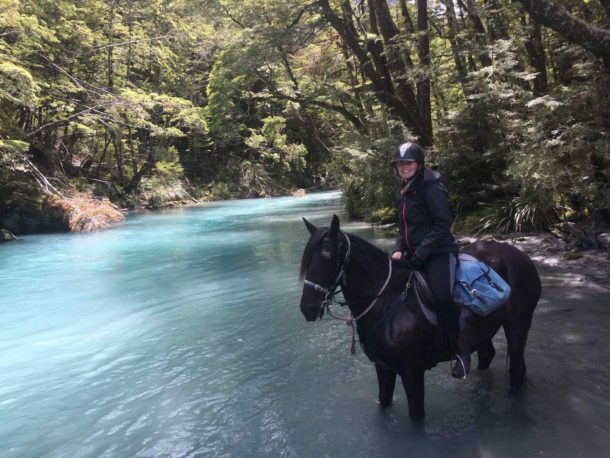 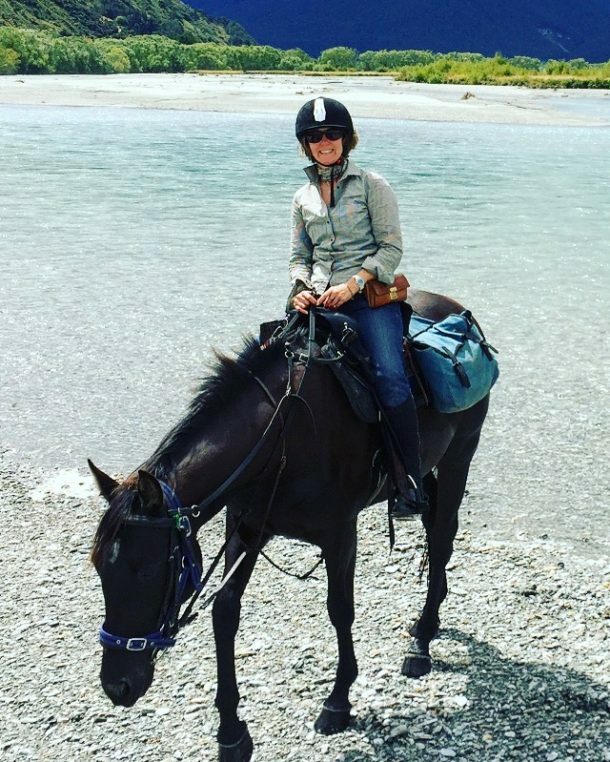 Our guides had amazing knowledge of horses, riding, Maori culture and New Zealand.